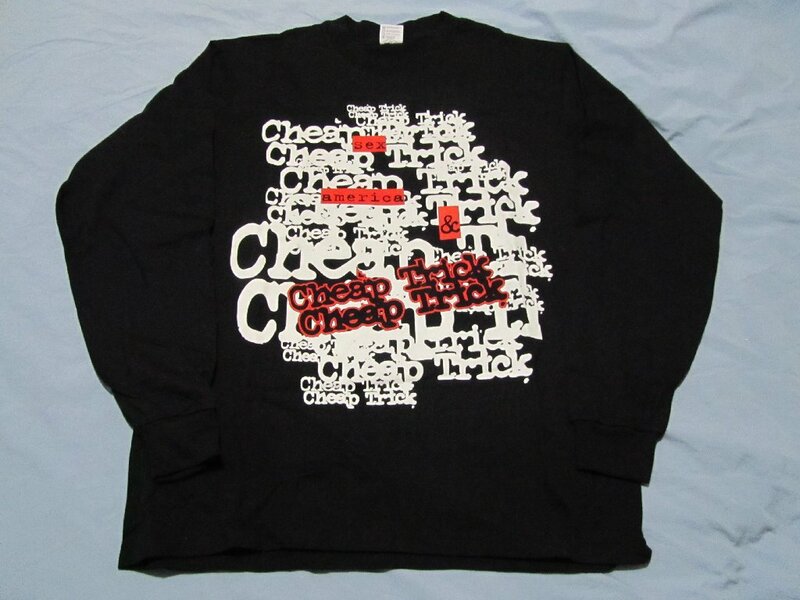 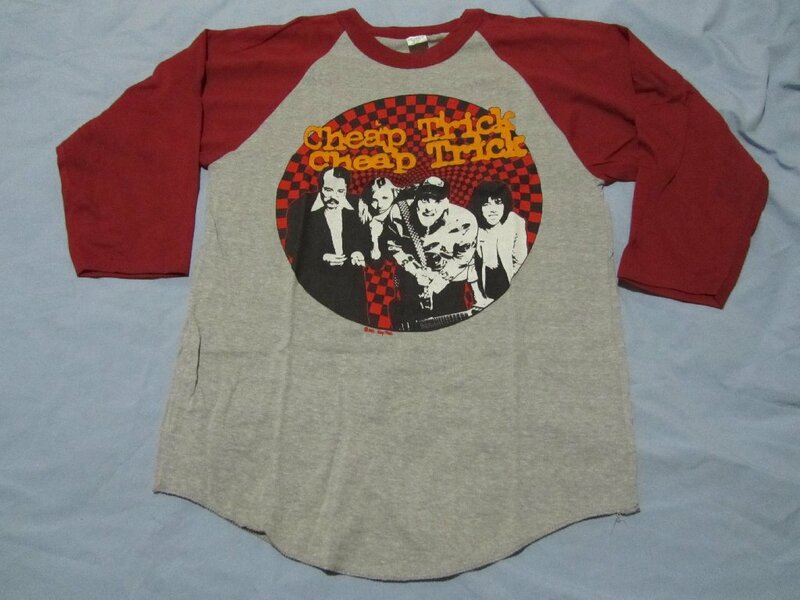 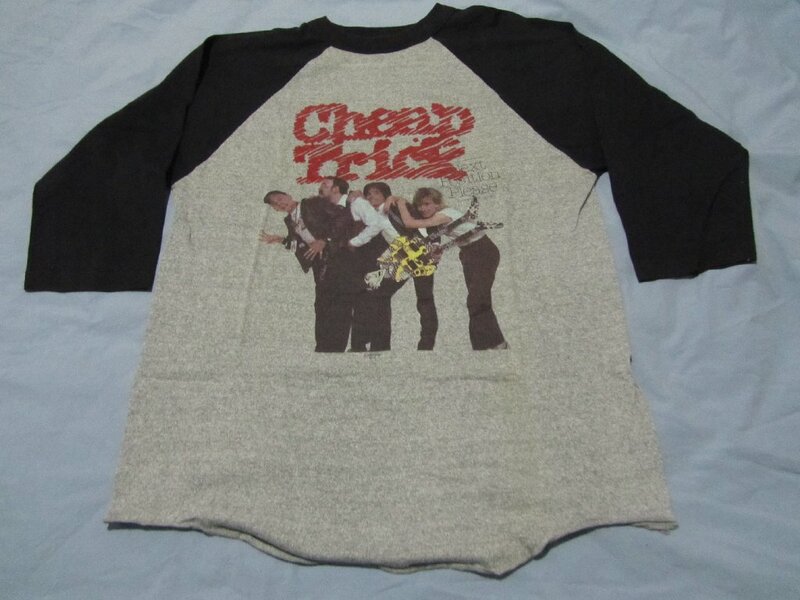 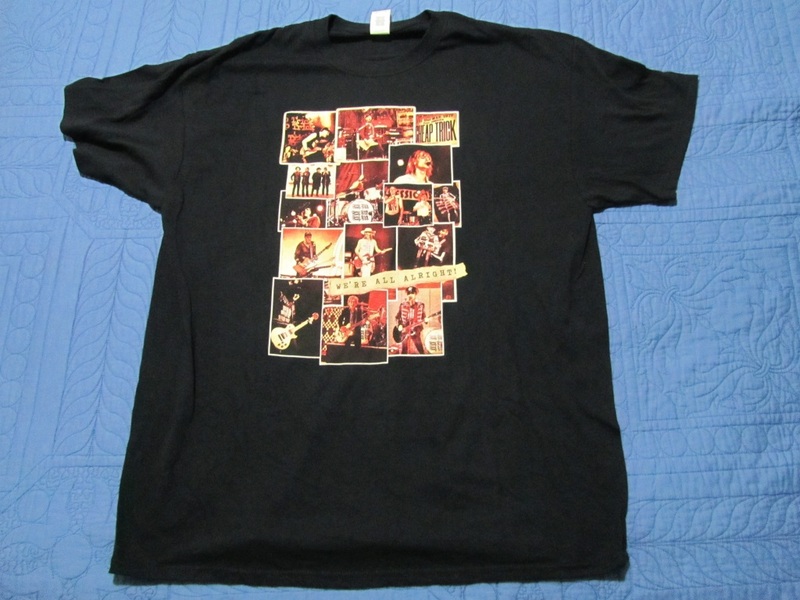 This is a new page, created in March 2014 in order to add photo's of t-shirts etc that had previously just been listed in the "Other Collectables" page. 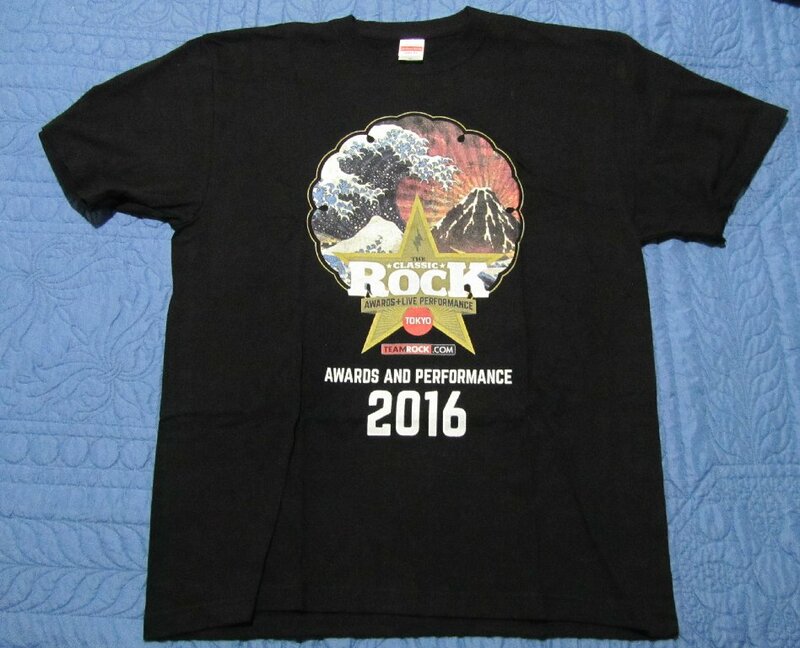 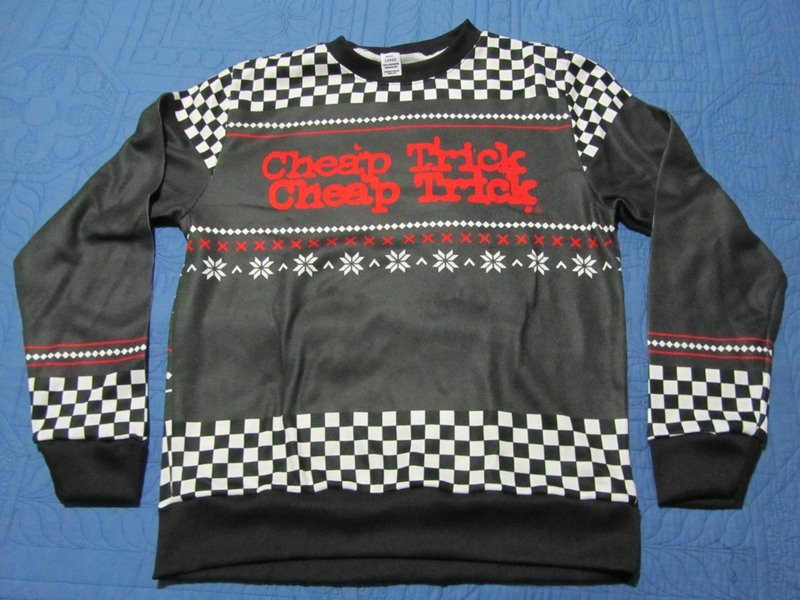 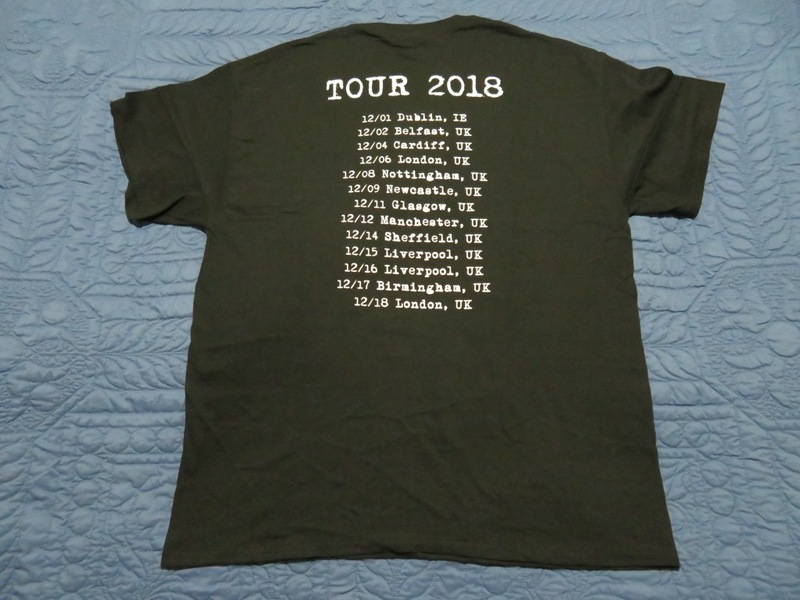 I know there are lots and lots of t-shirts, official and unofficial ones as well as for one-off shows and festivals/multi-band lineups, so this list is NOT exhaustive or definitive. 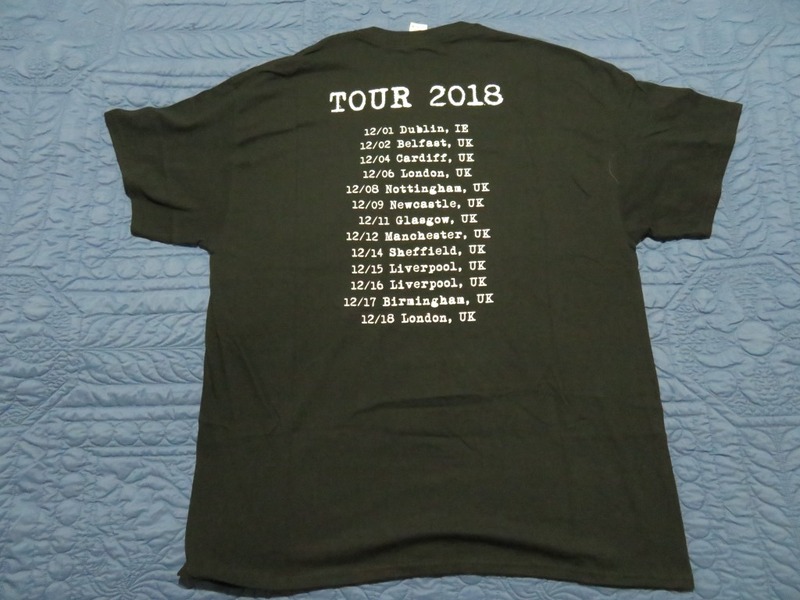 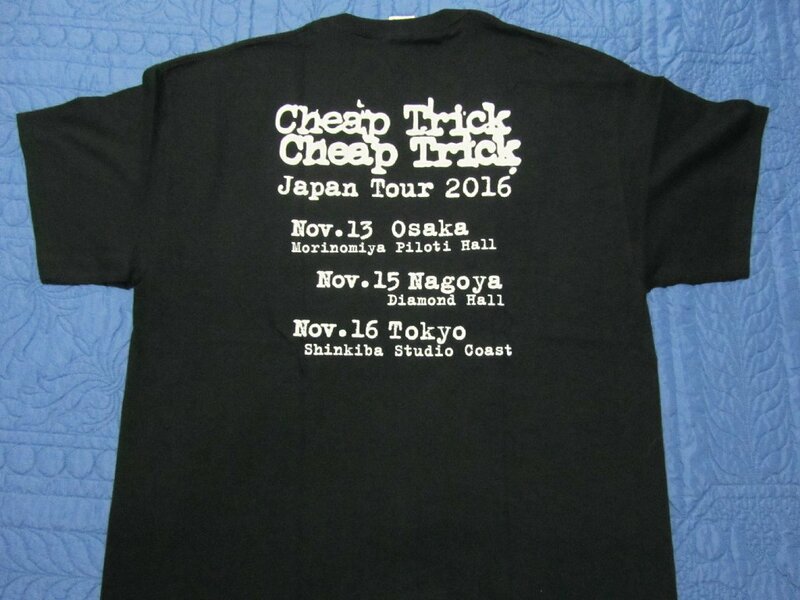 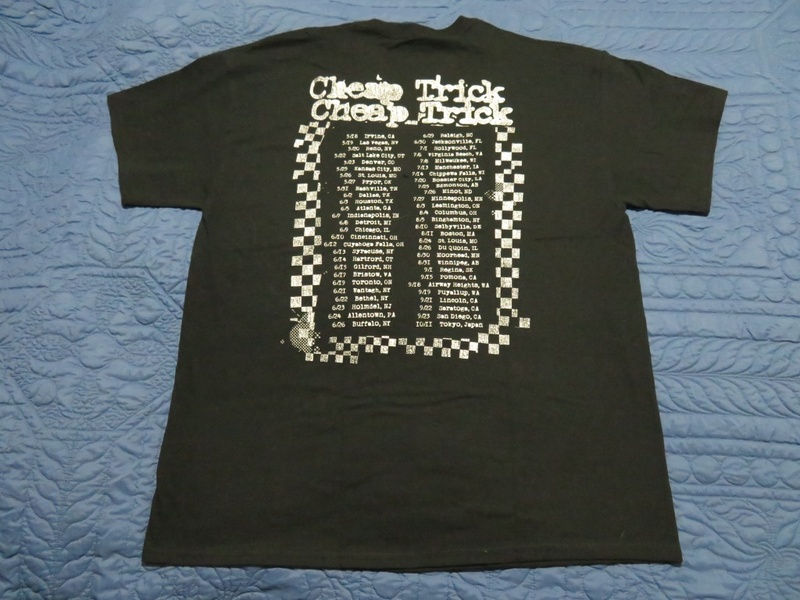 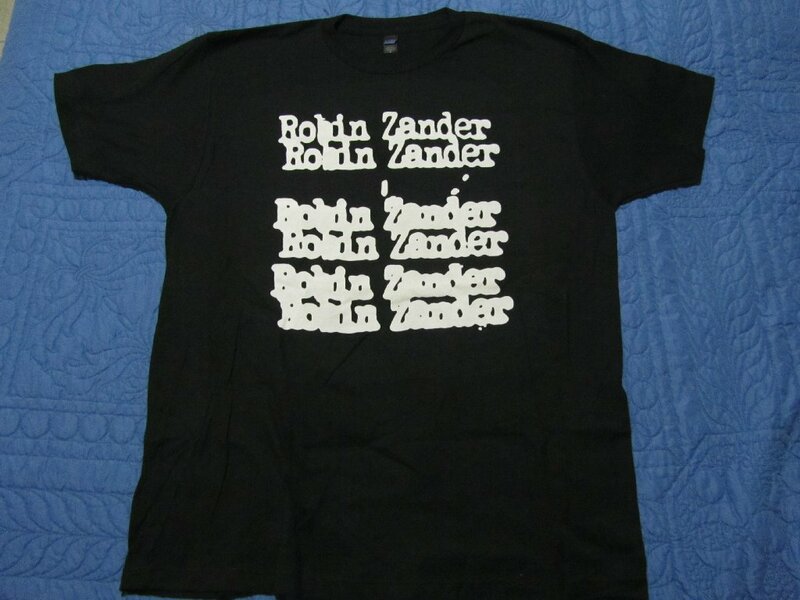 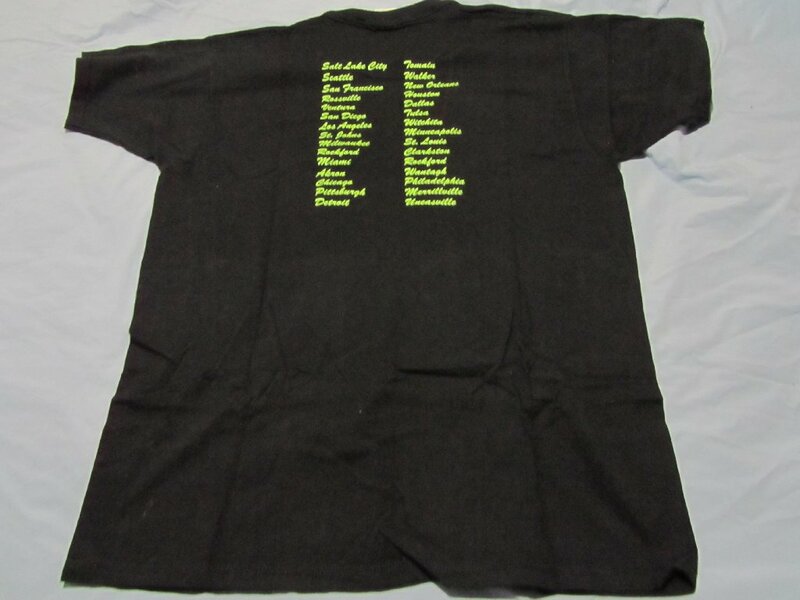 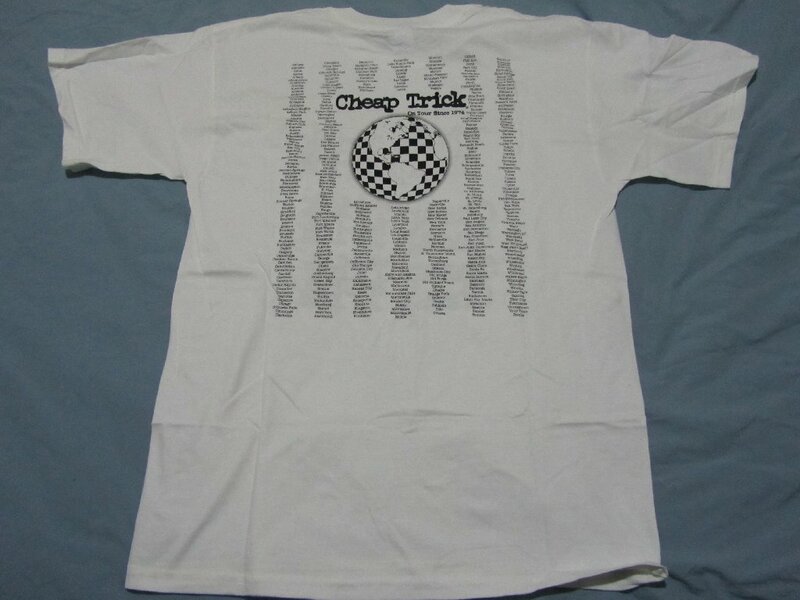 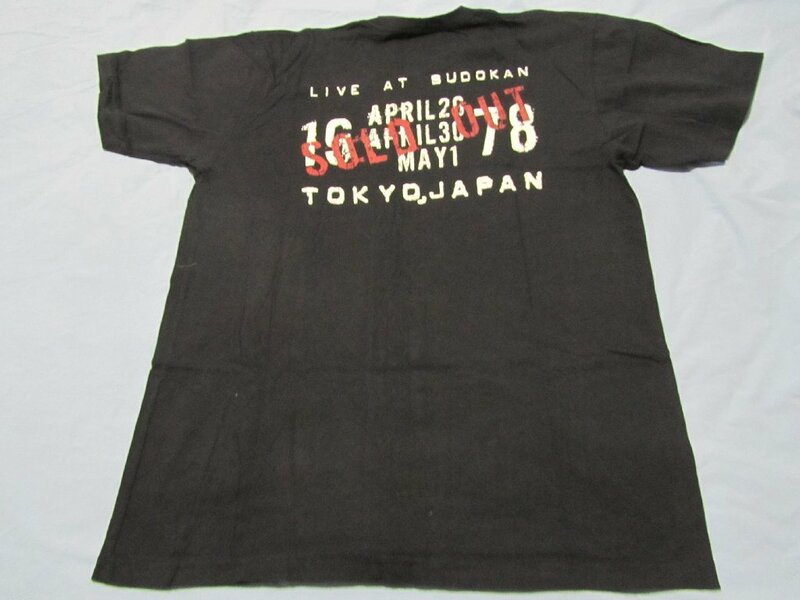 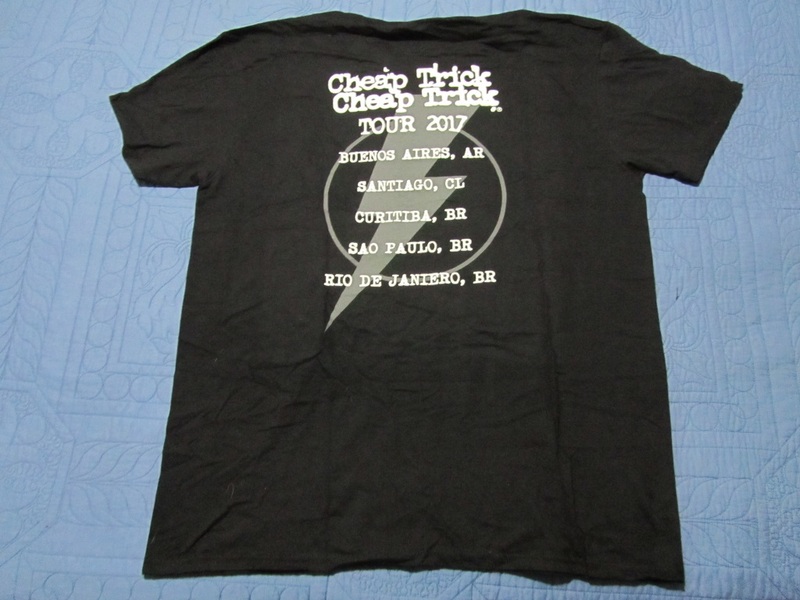 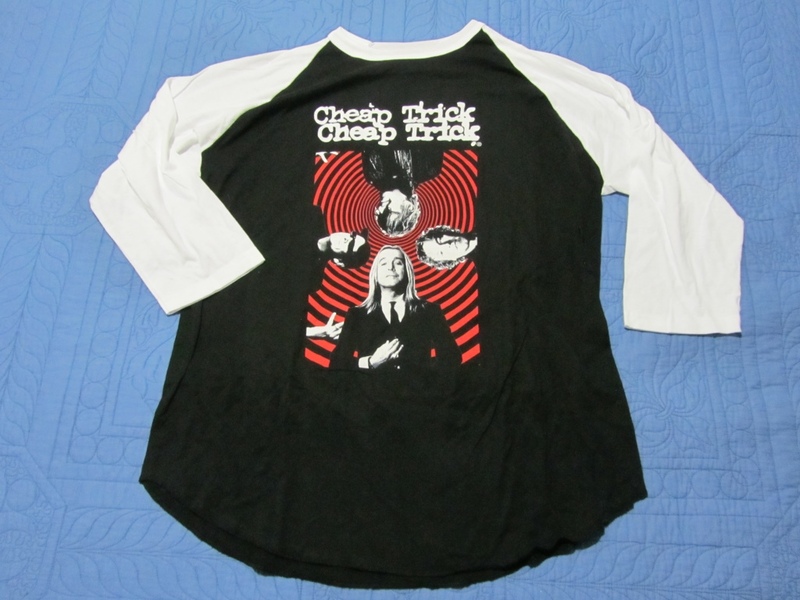 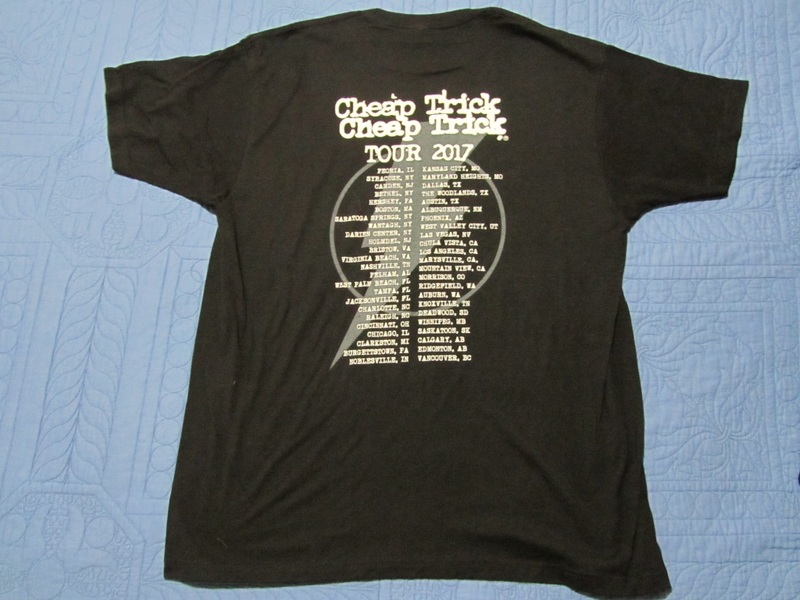 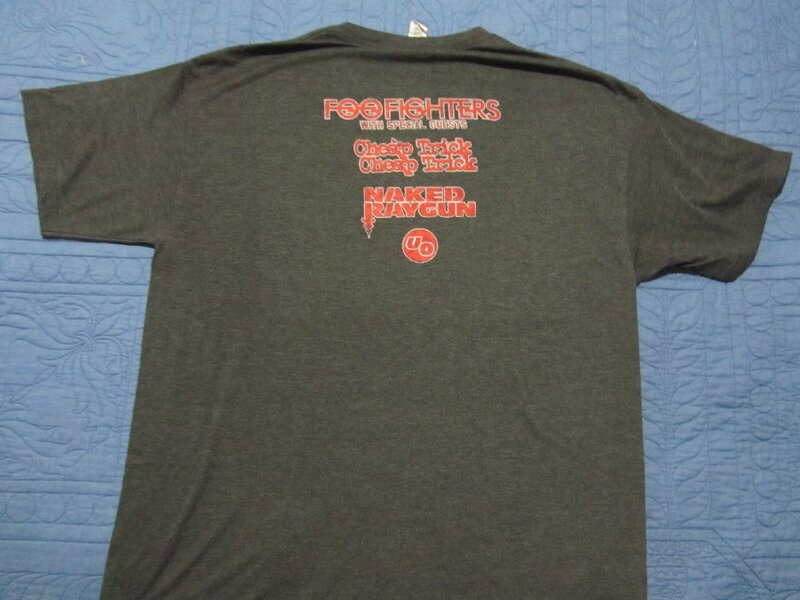 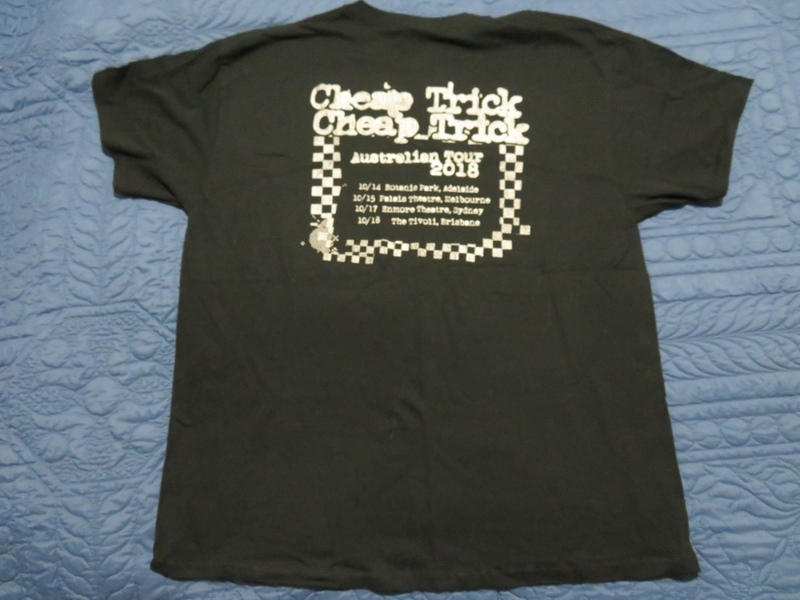 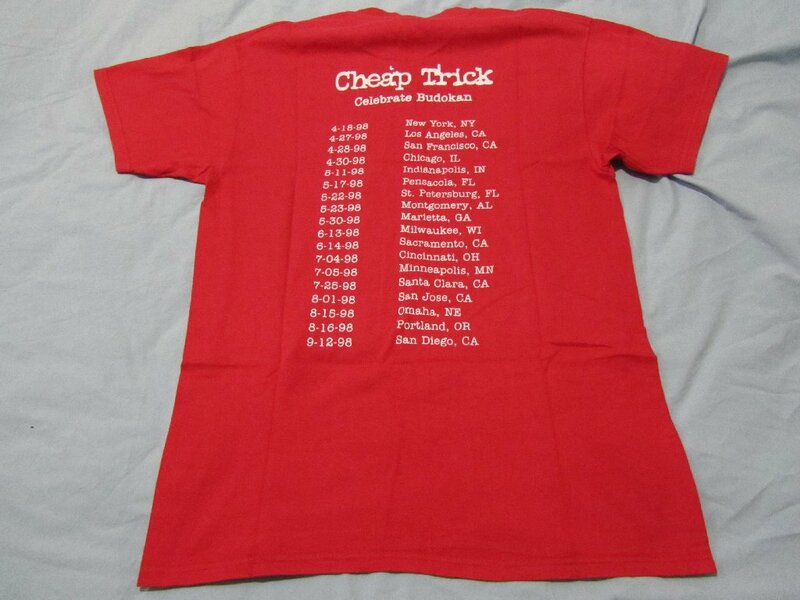 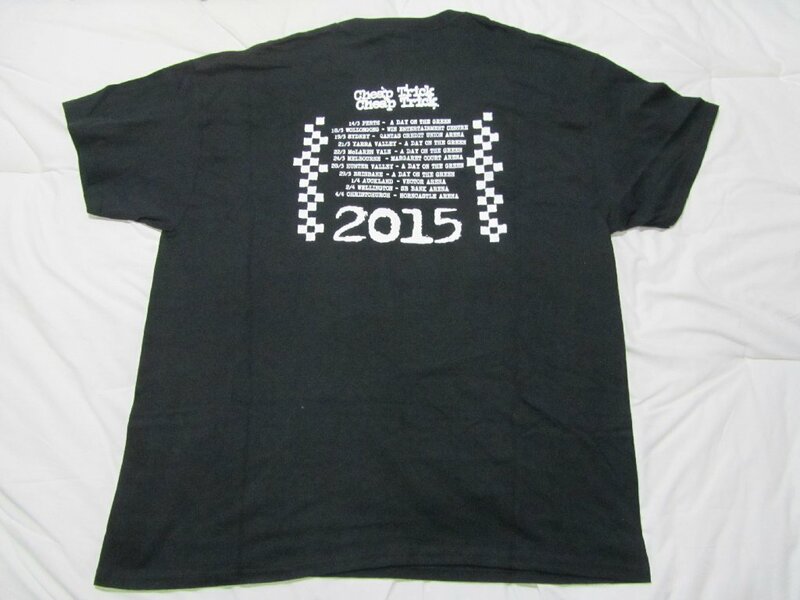 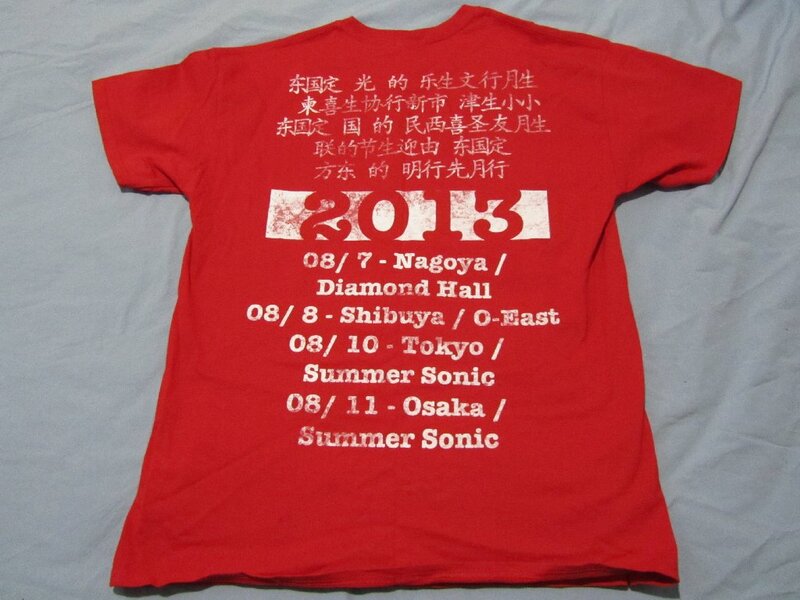 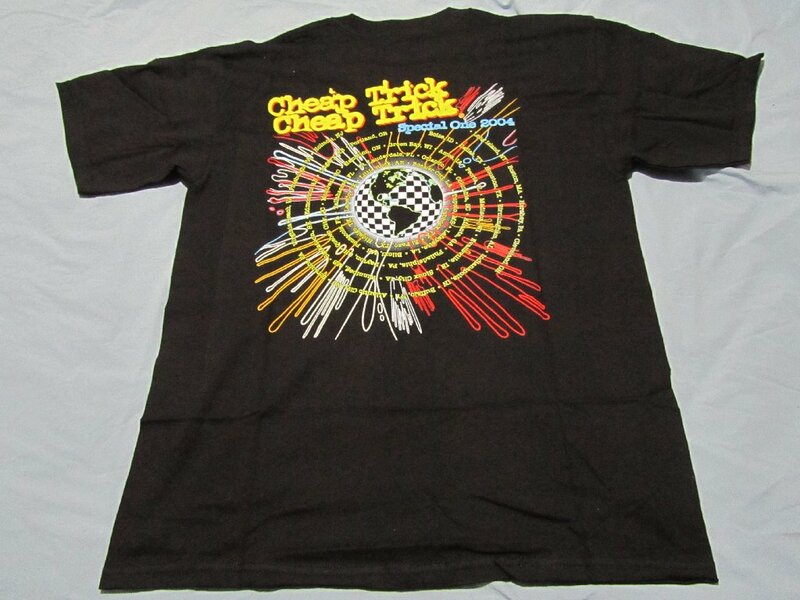 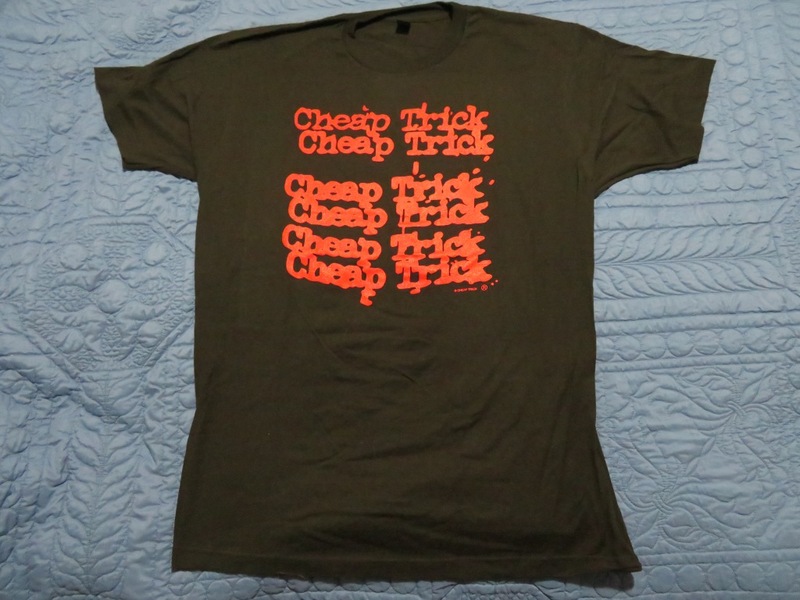 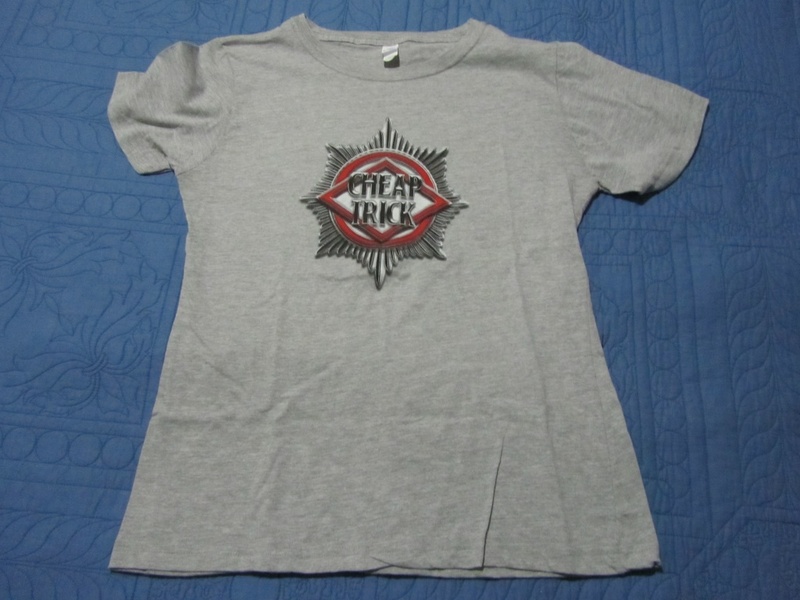 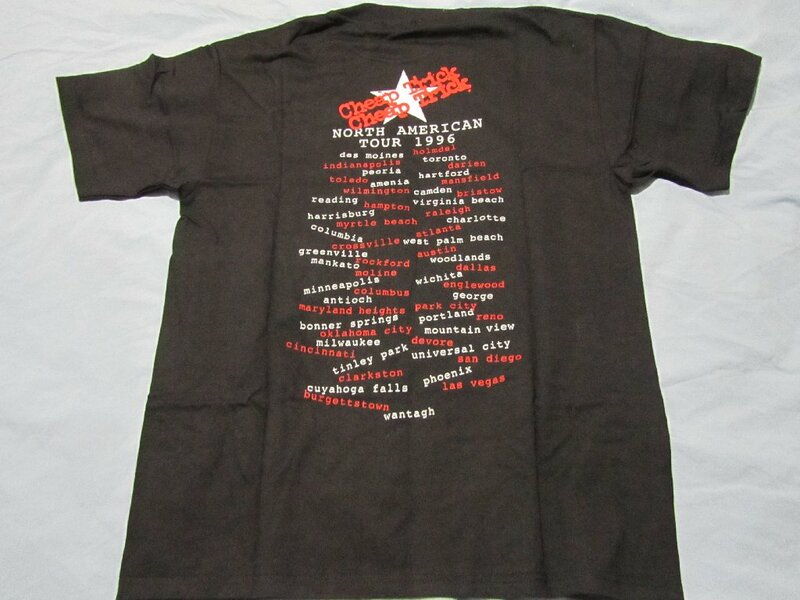 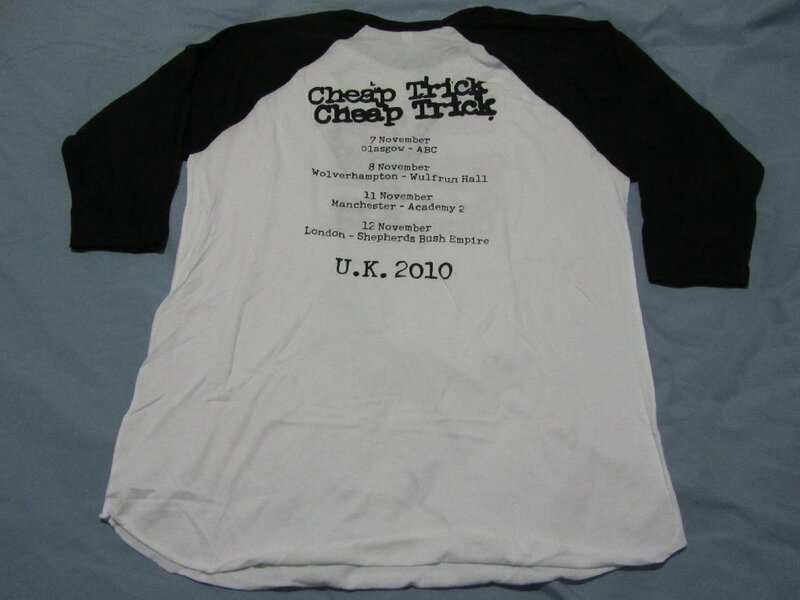 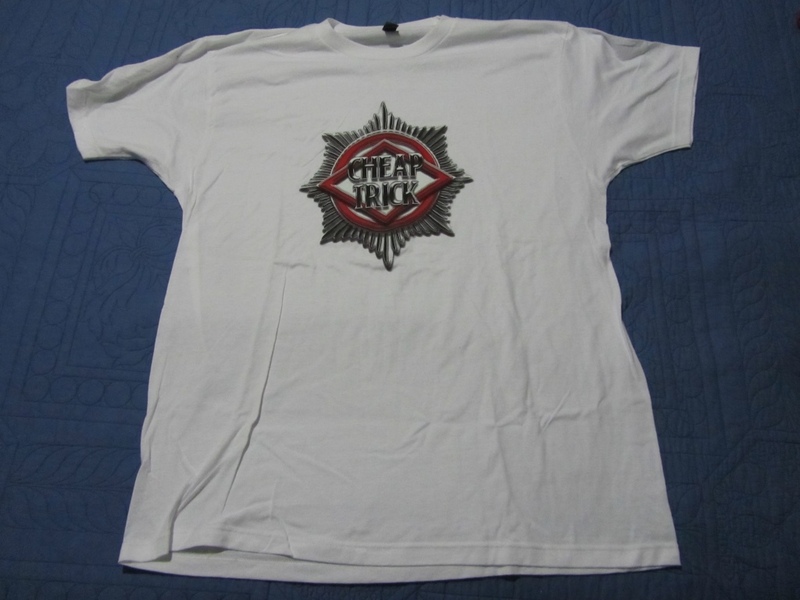 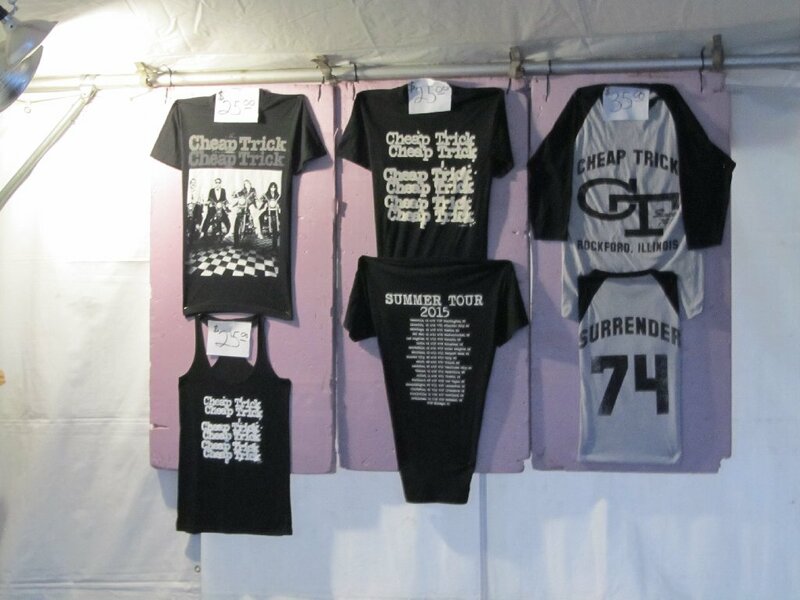 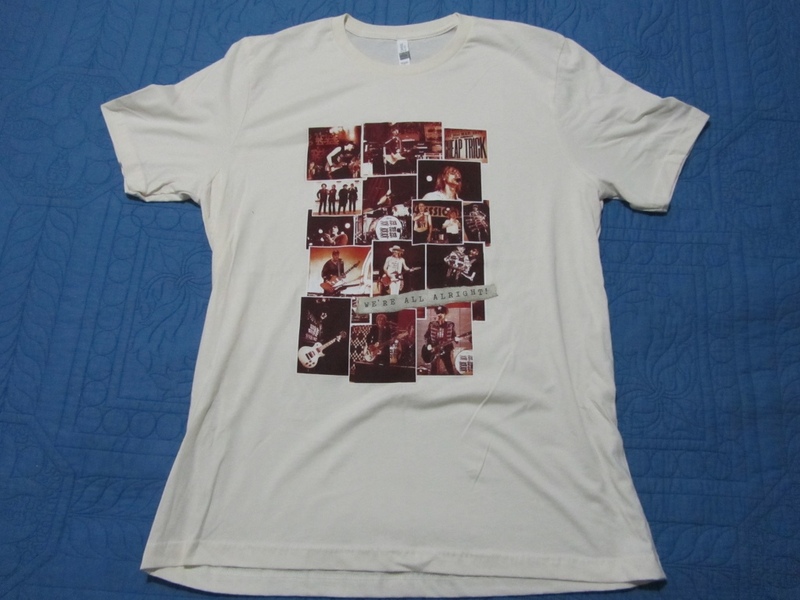 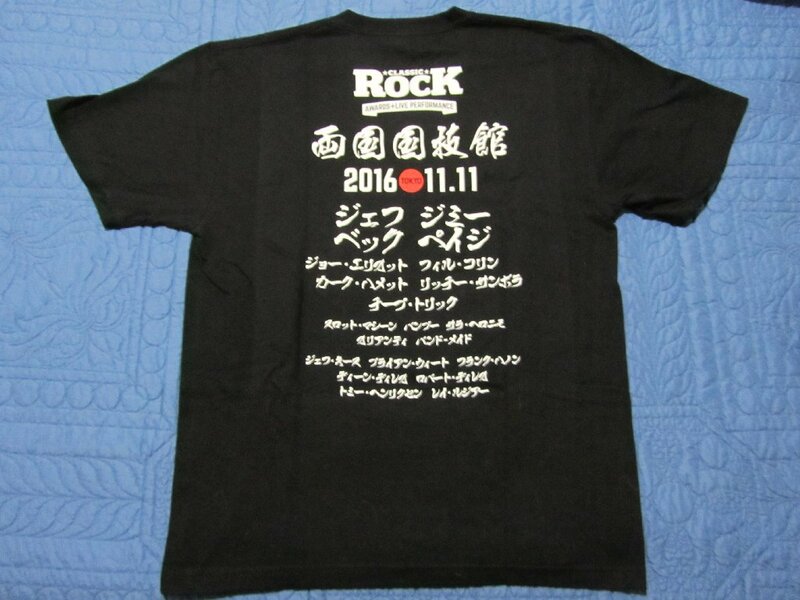 I've tried to list only "official" t-shirts ie those sold through the fan club, official online store or at shows, although a few bootlegs have slipped in here (and are mentioned as such). 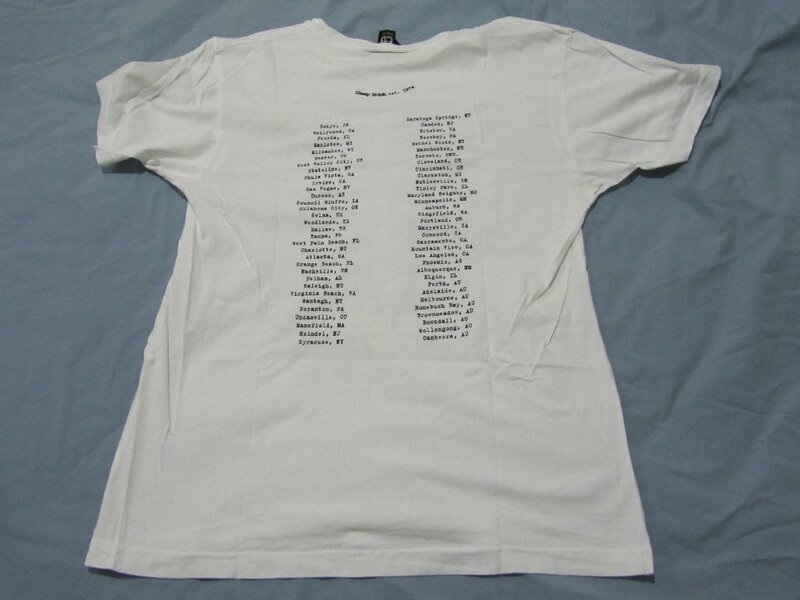 However, the list gives an idea of the range and number of shirts to collect and I believe the listing from 1998 onwards is close to being complete though. 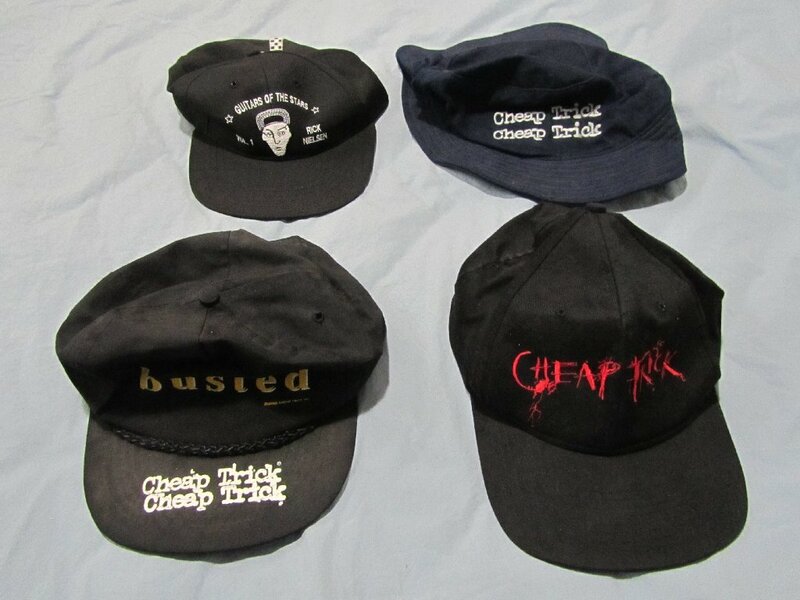 I also own a number of prototypes, but I think it would be inappropriate to post designs that were not officially adopted. 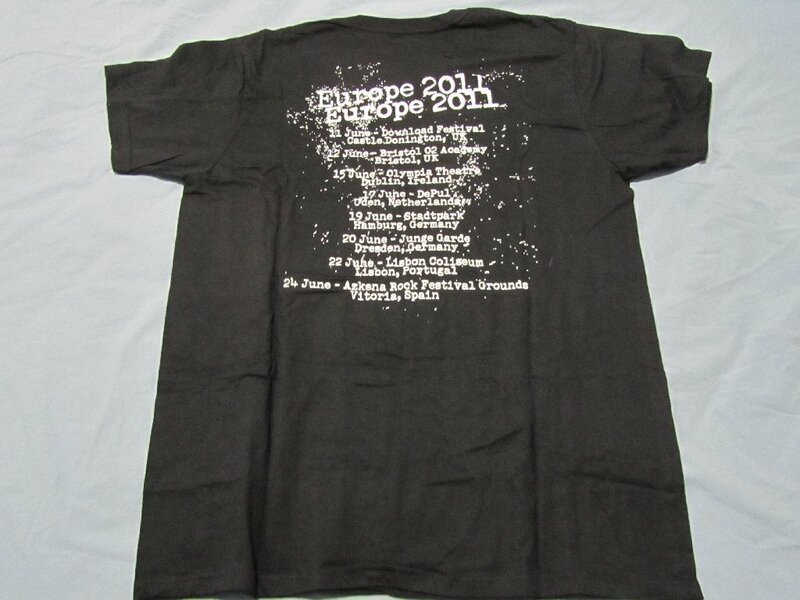 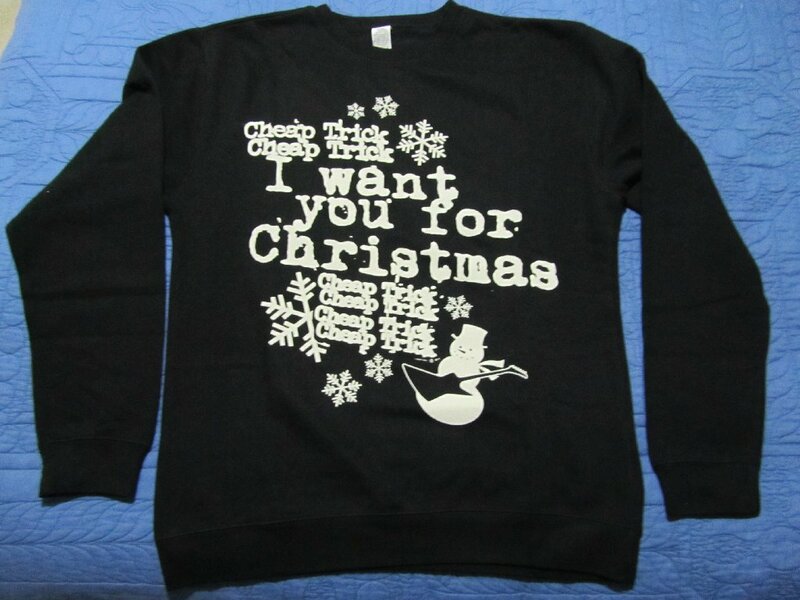 I have also excluded a number of designs that have been licenced for sale by third party sellers. 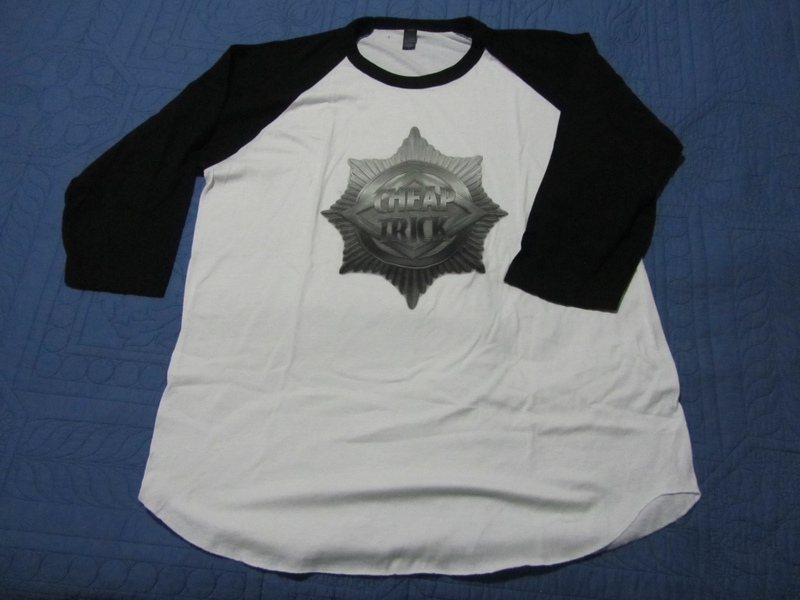 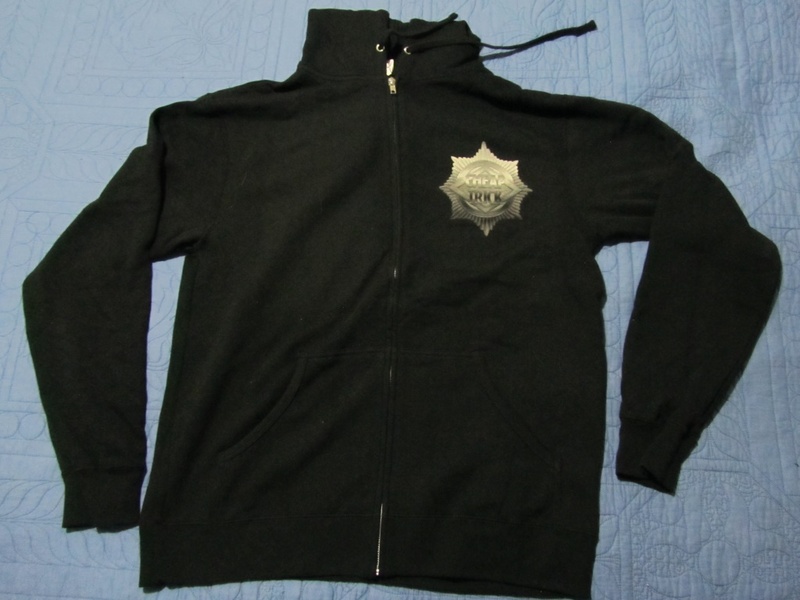 (Update, Feb 2017 - There are a large number of designs at online sources such as Amazon, Ebay and Facebook, where either the licensing is questionable, or else the design is totally illegal - buyer beware!! 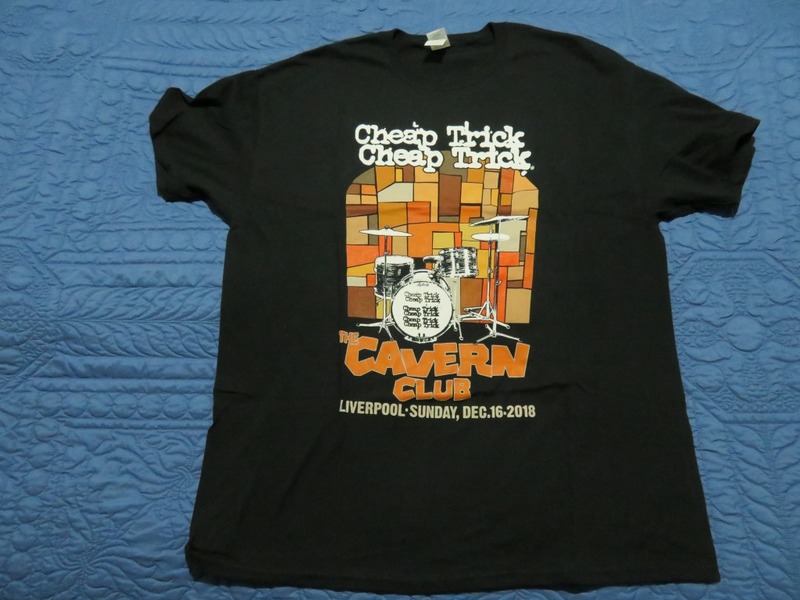 And remember in such cases the copyright holders of the bands logo and images are almost certainly NOT receiving a penny. 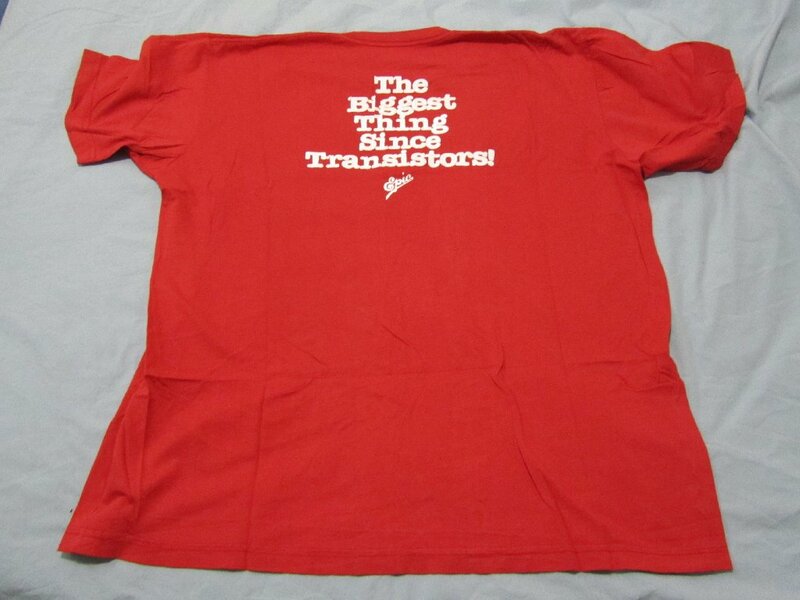 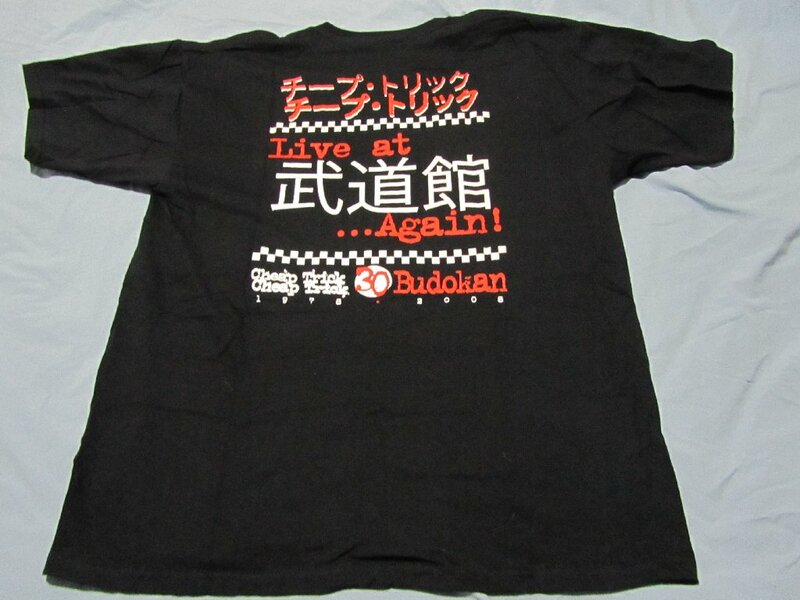 To reiterate, this page is focused on only OFFICIAL clothing). 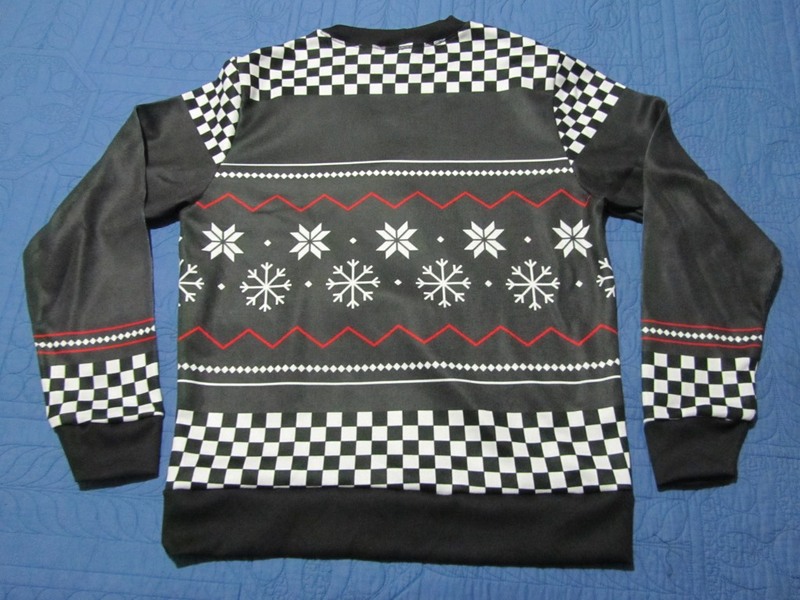 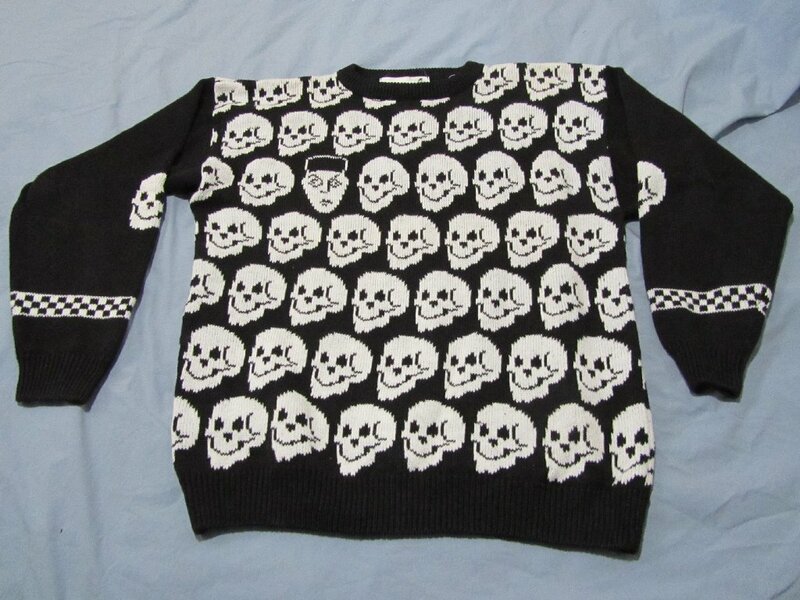 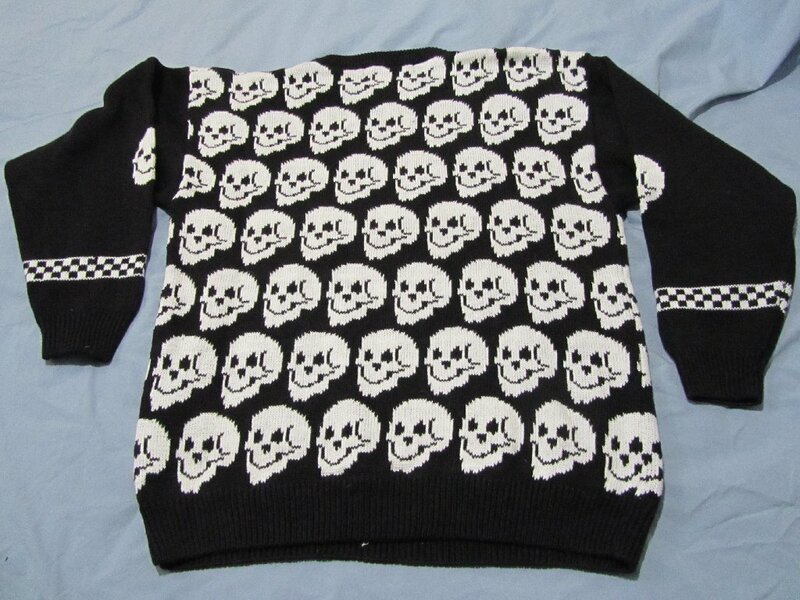 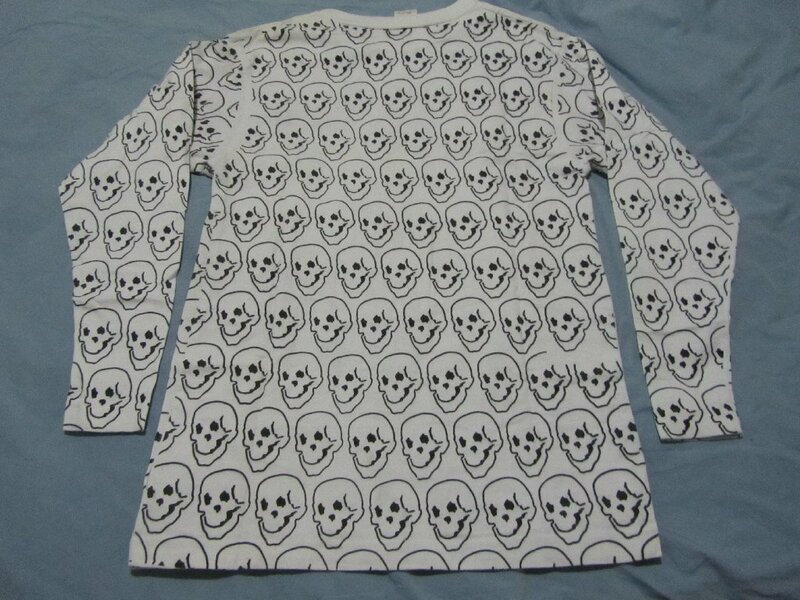 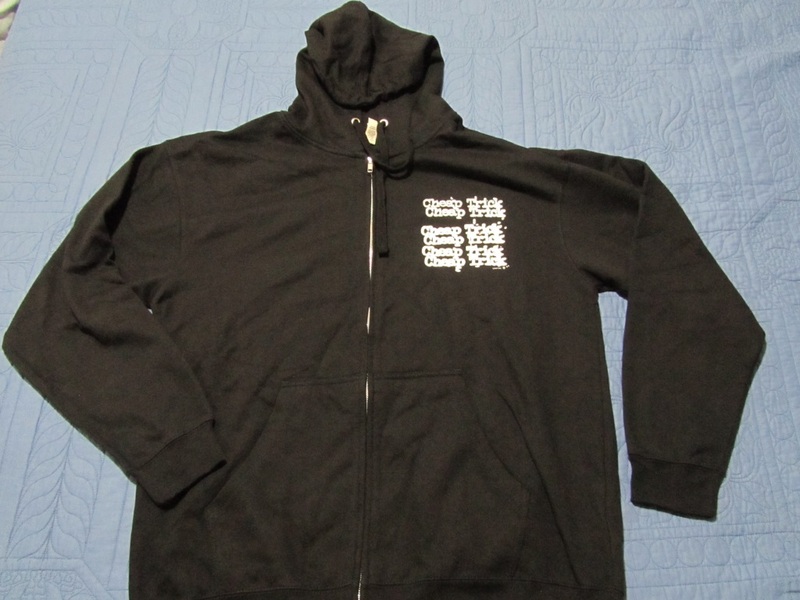 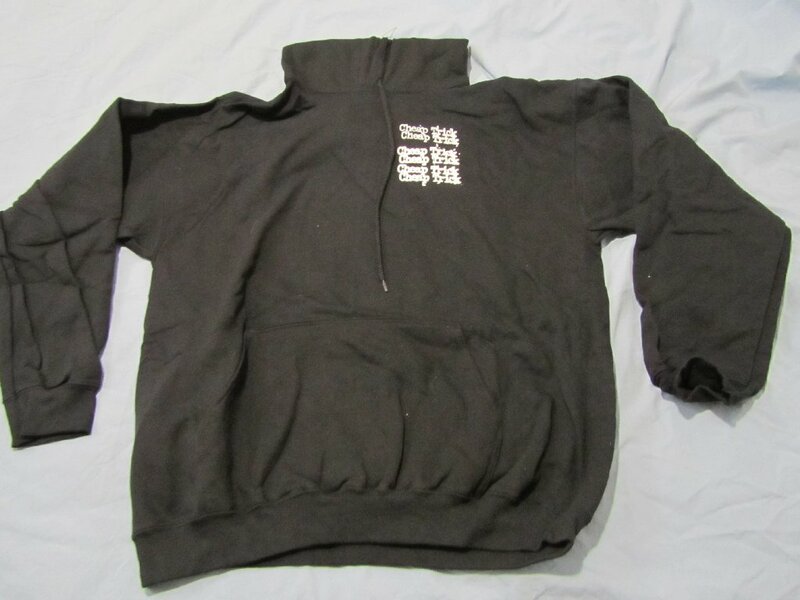 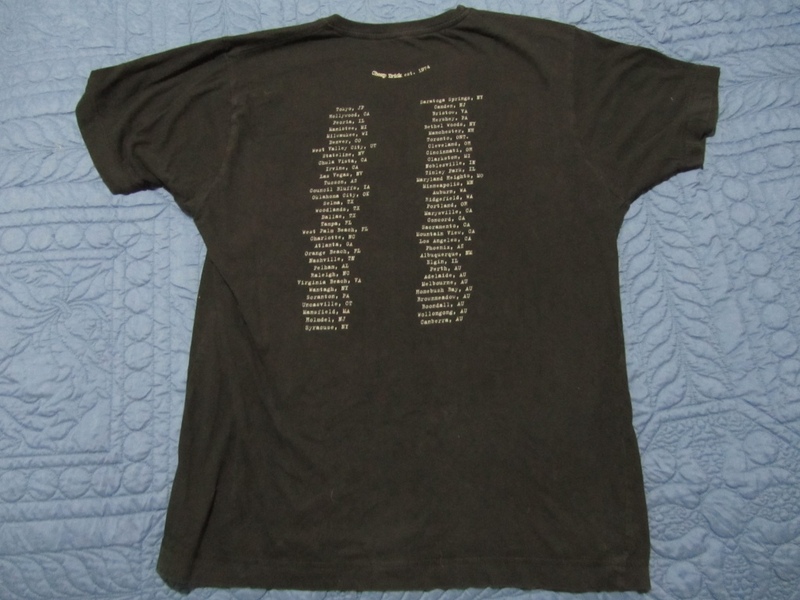 All pictures on this page are of clothing items in my own collection (unless otherwise indicated). 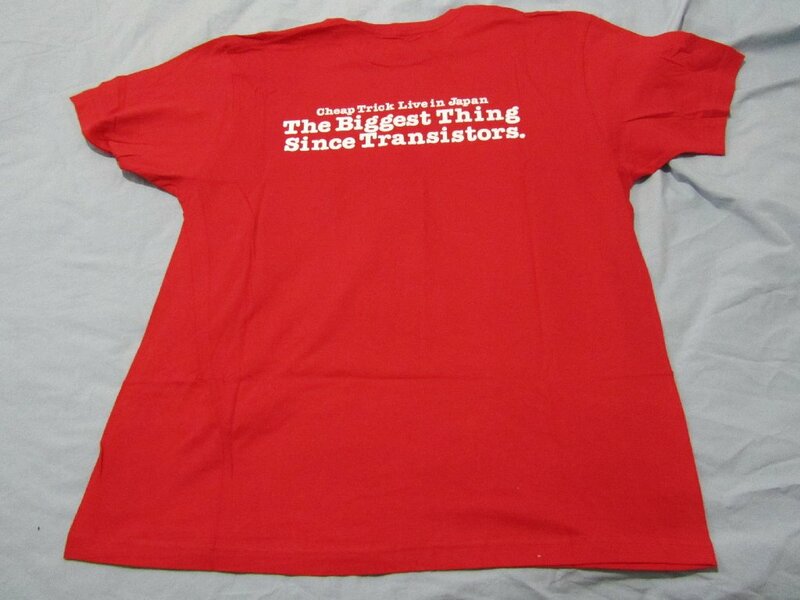 Due to the scale of the photography job, I couldn't iron them all so please excuse the creases and folds! 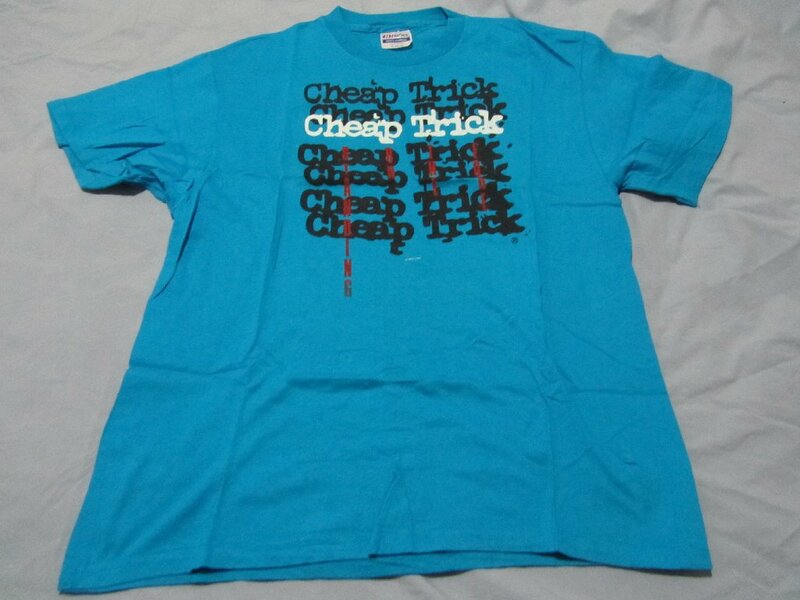 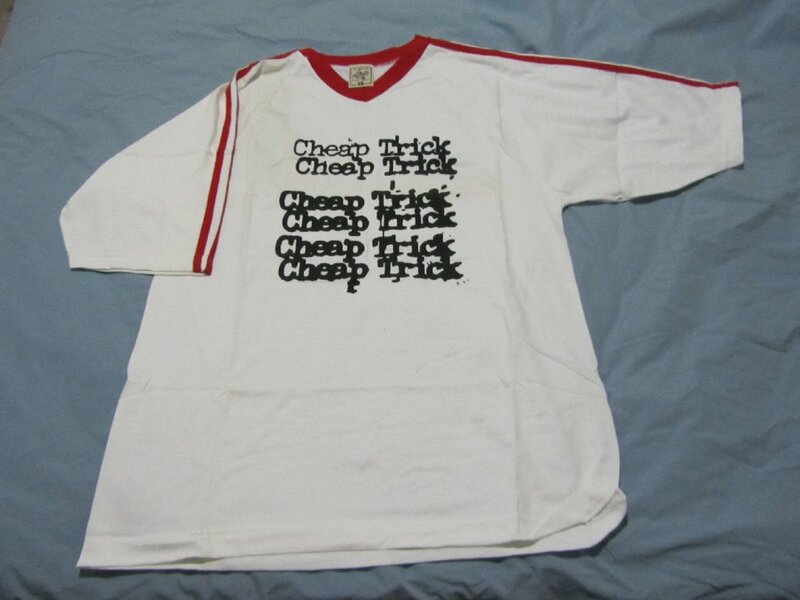 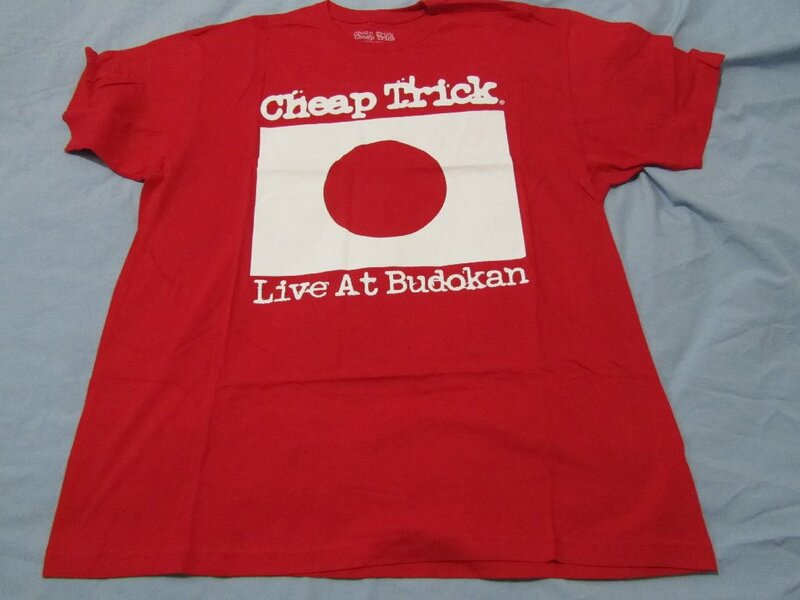 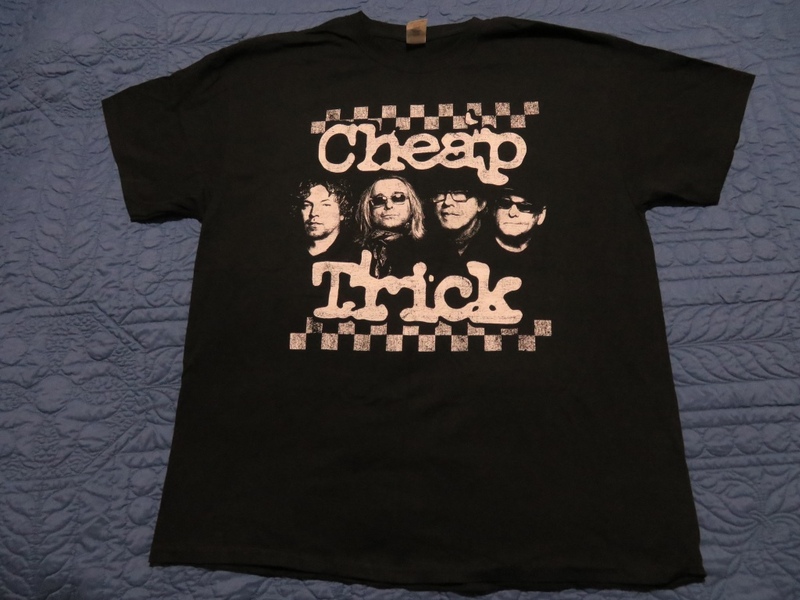 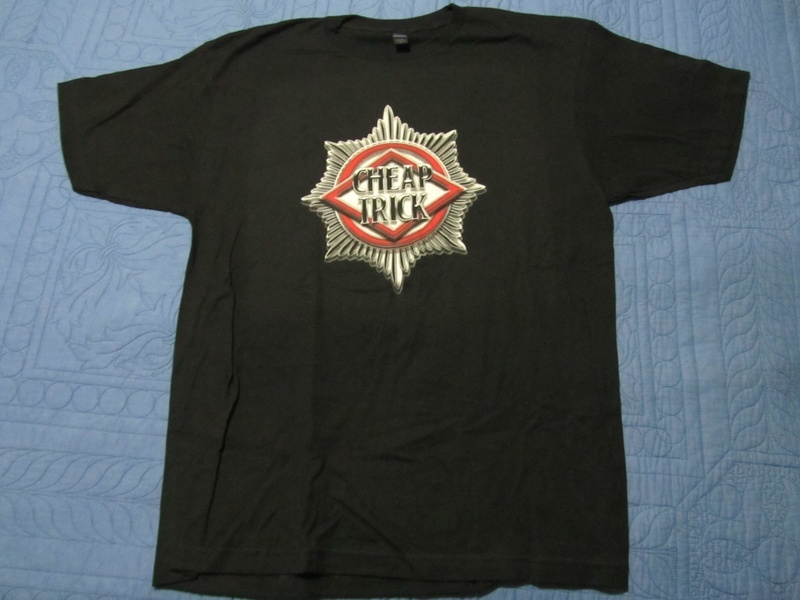 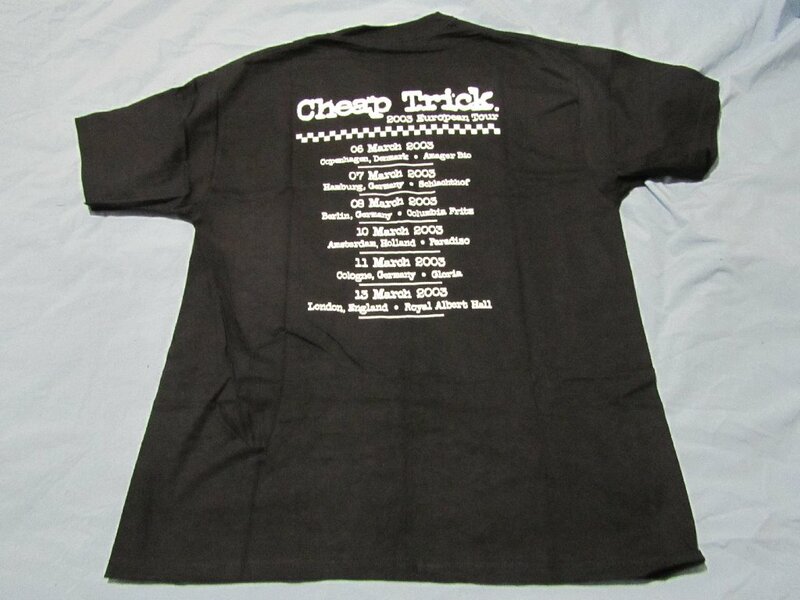 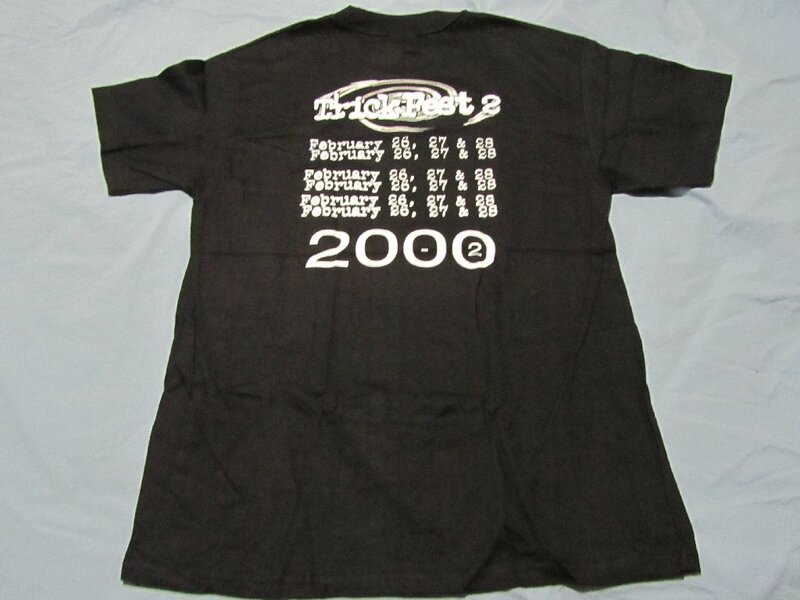 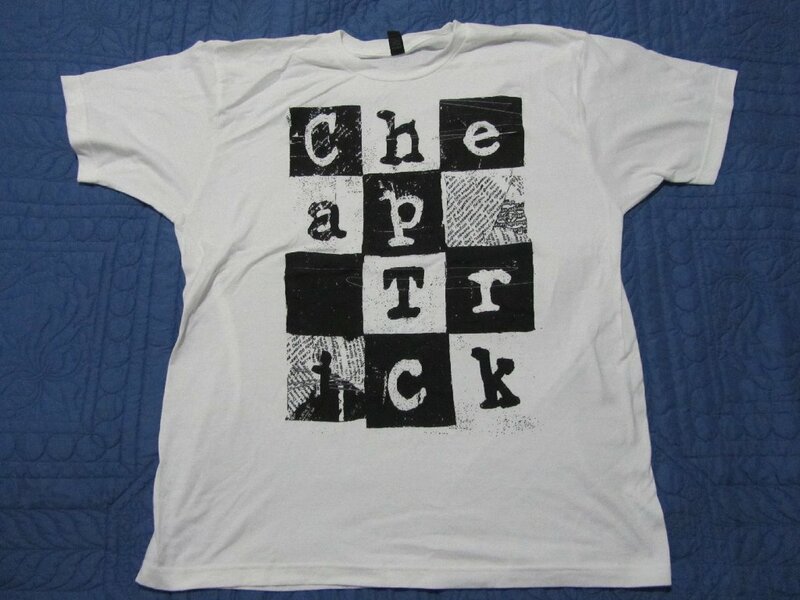 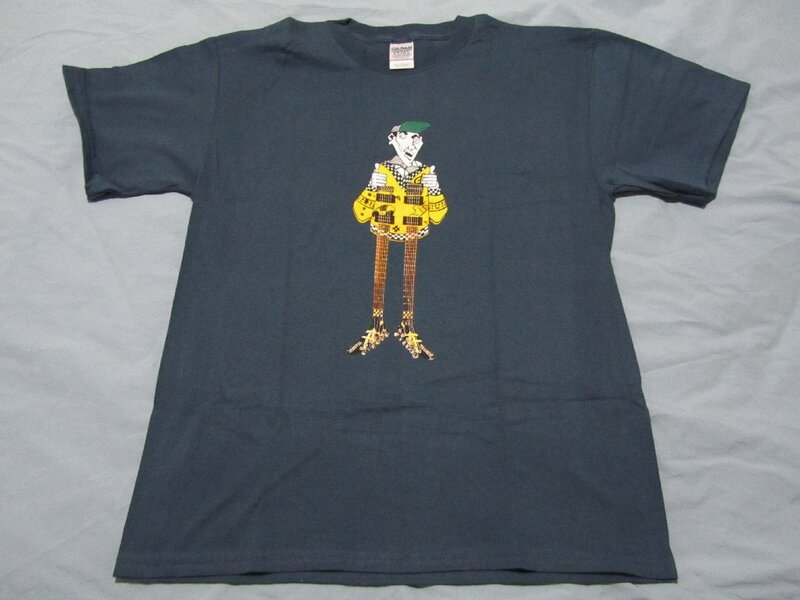 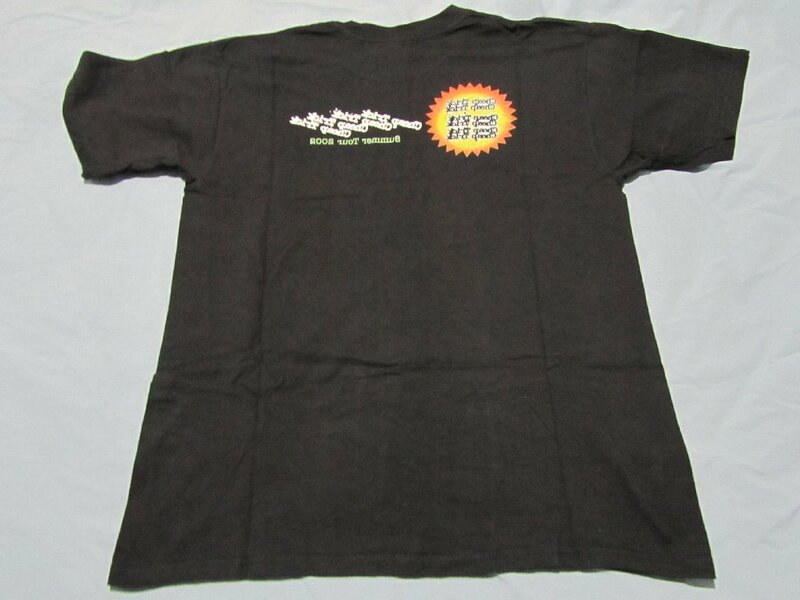 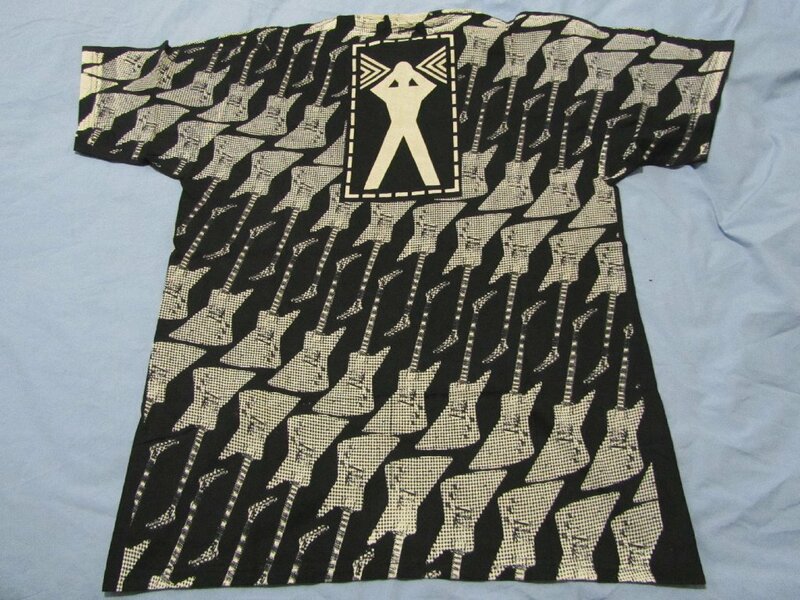 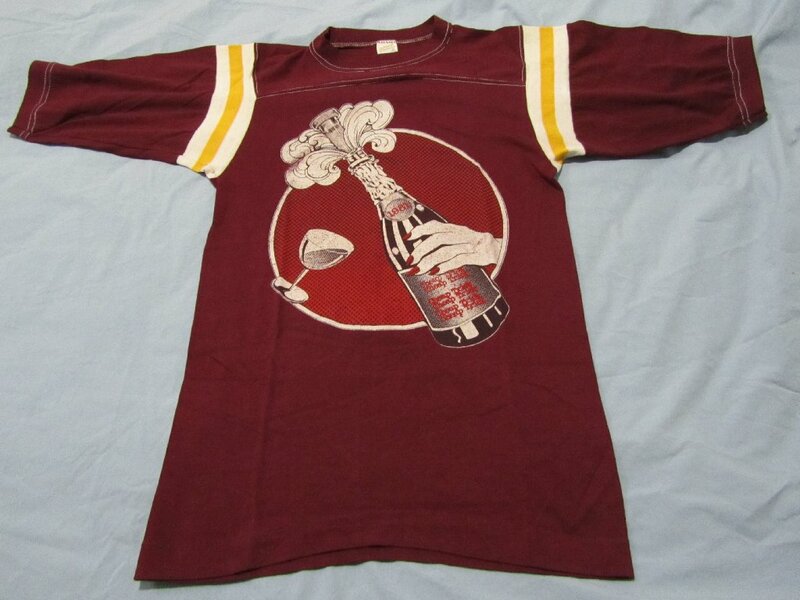 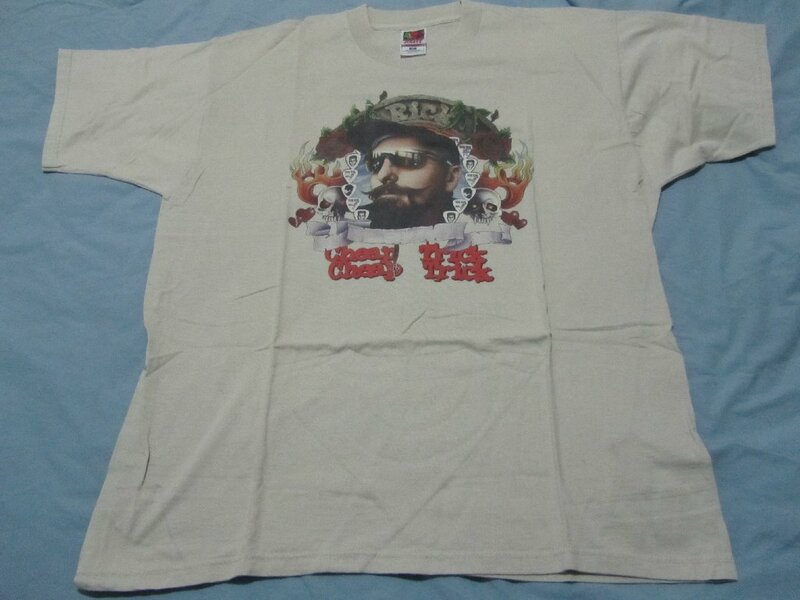 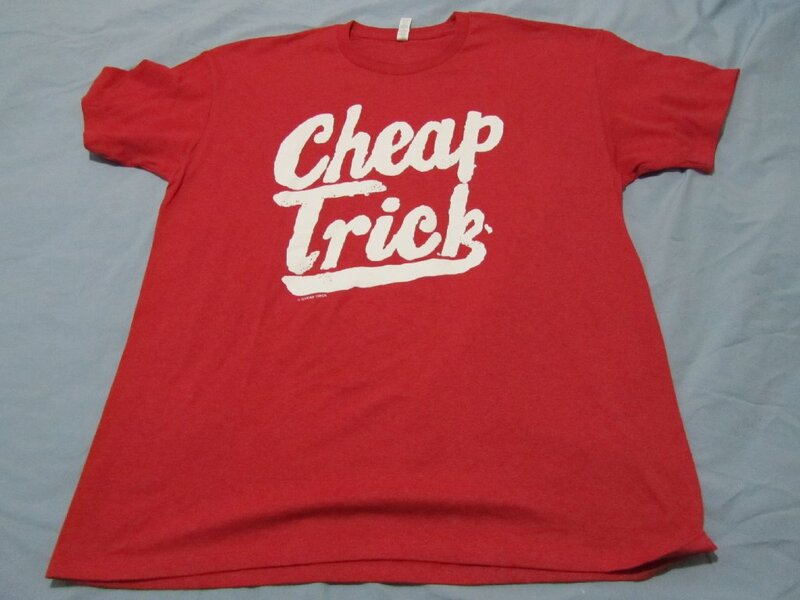 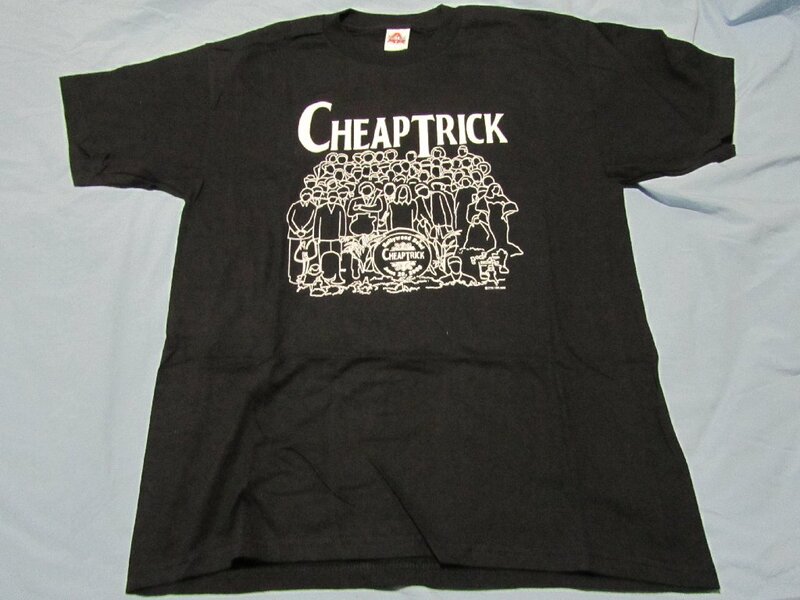 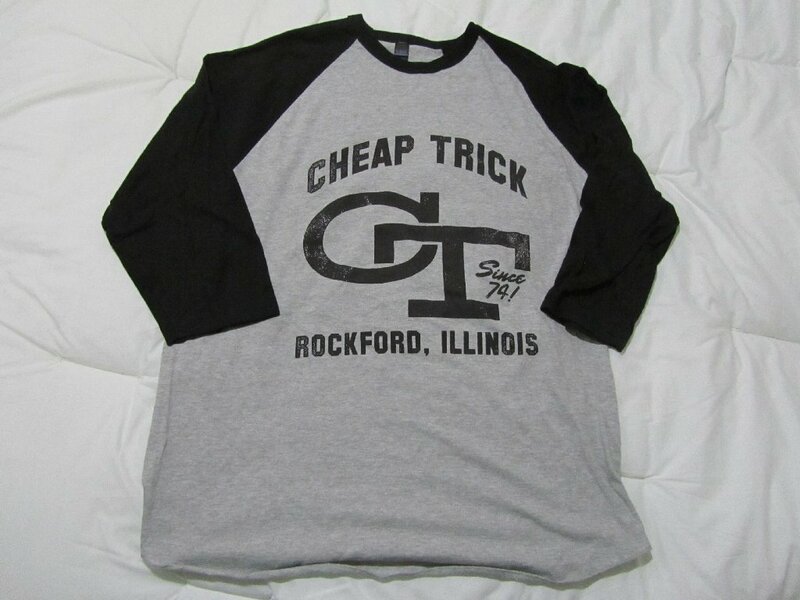 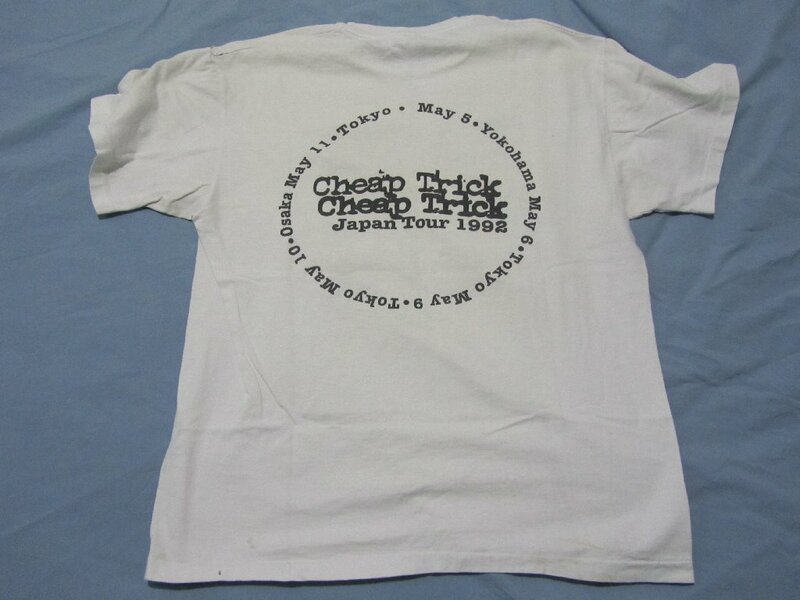 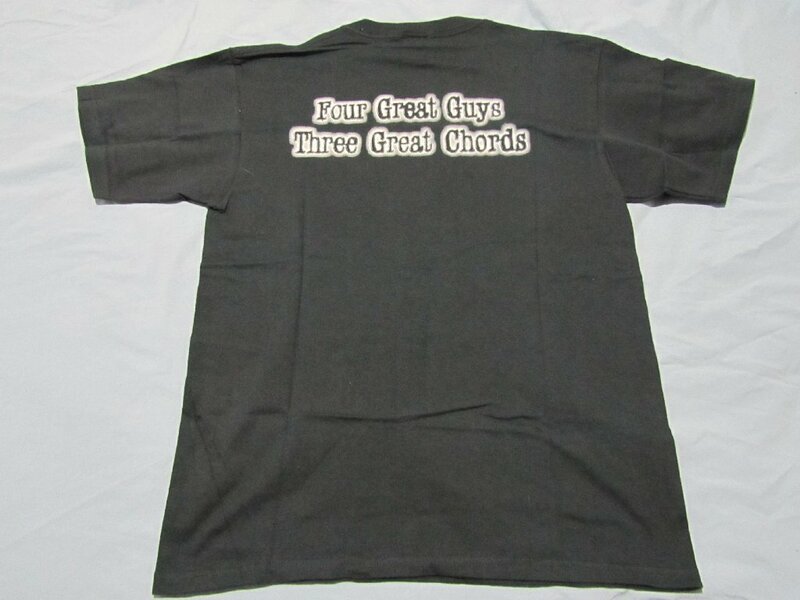 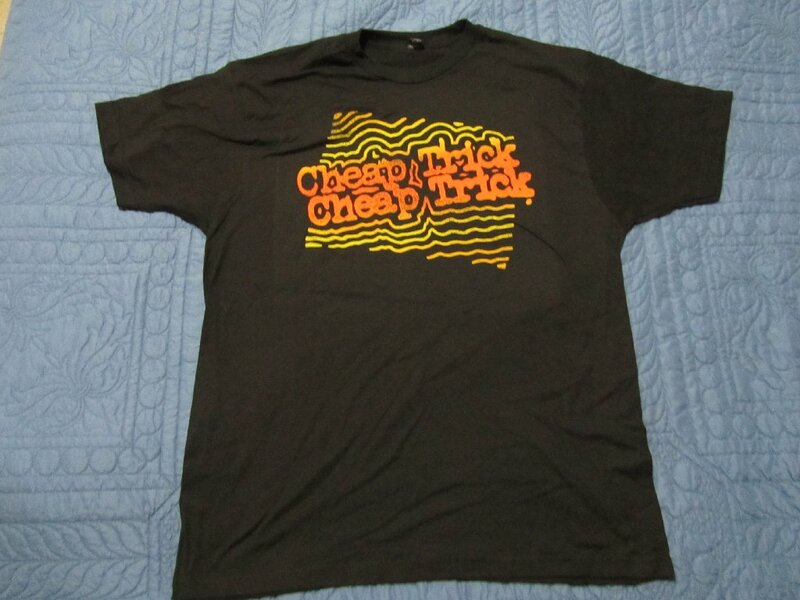 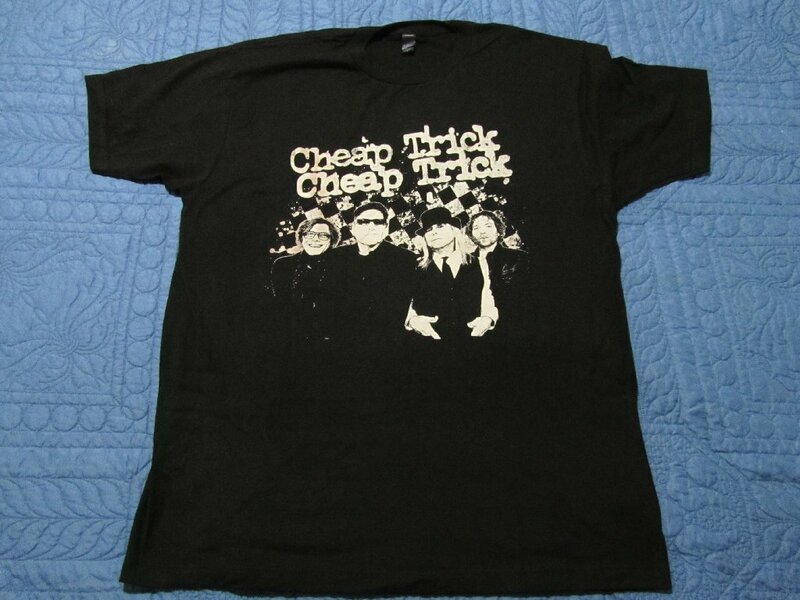 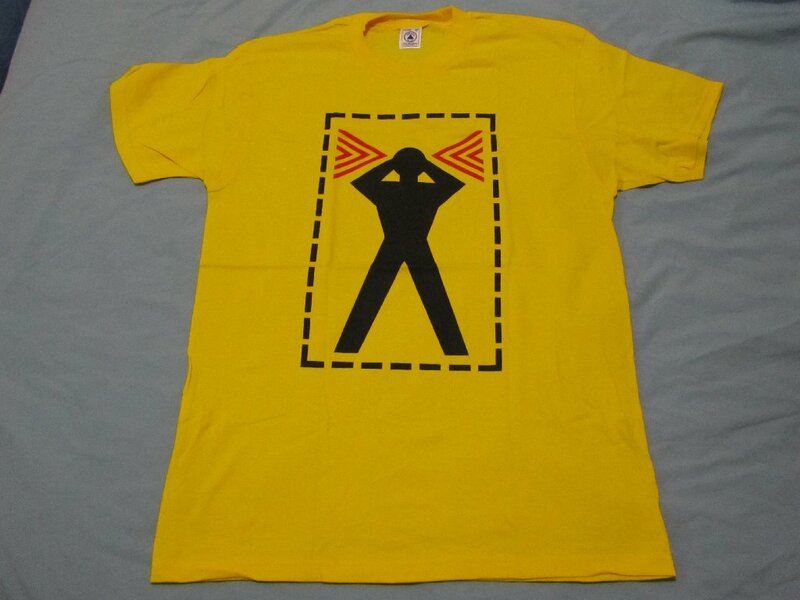 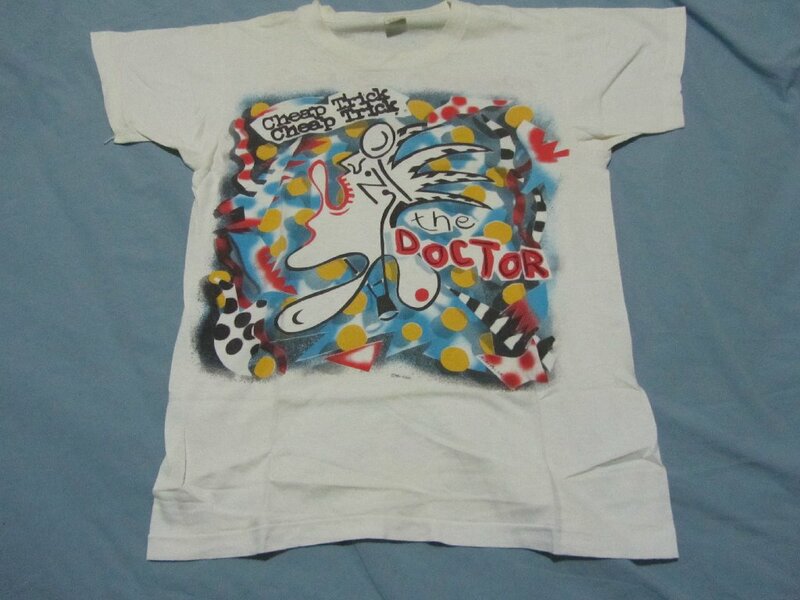 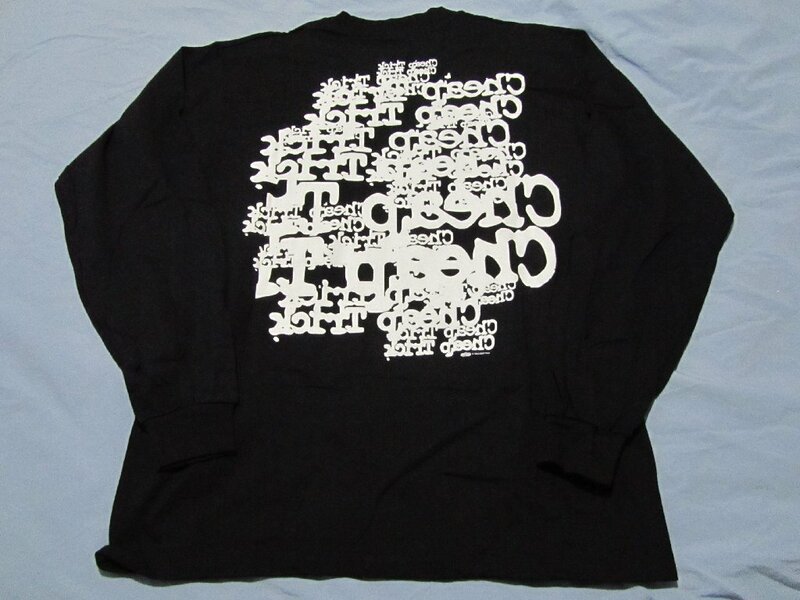 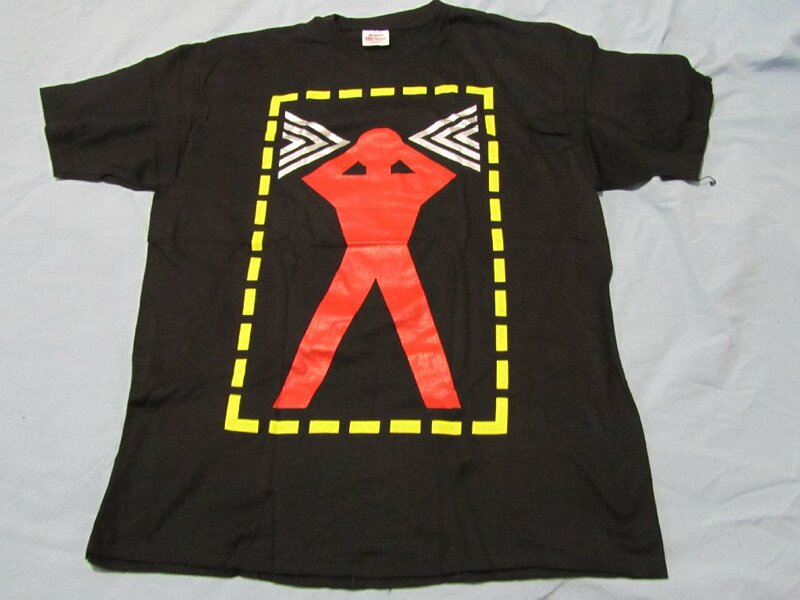 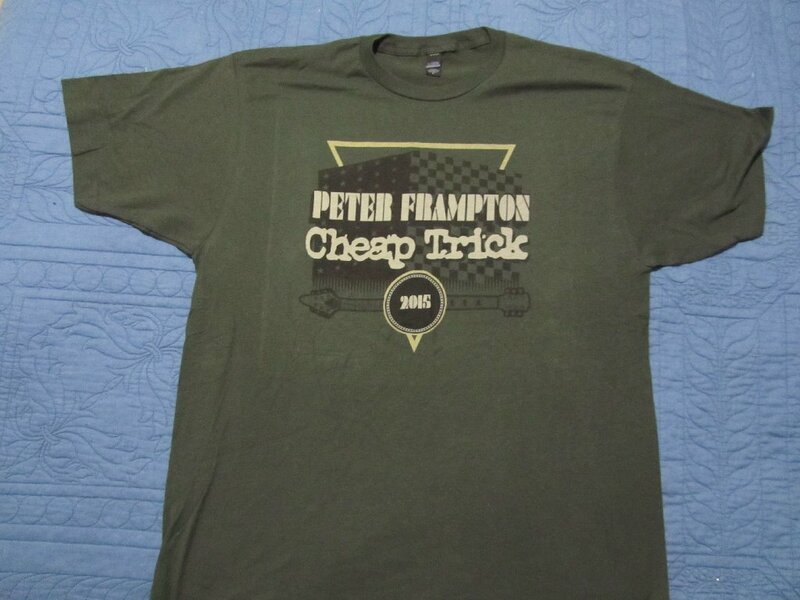 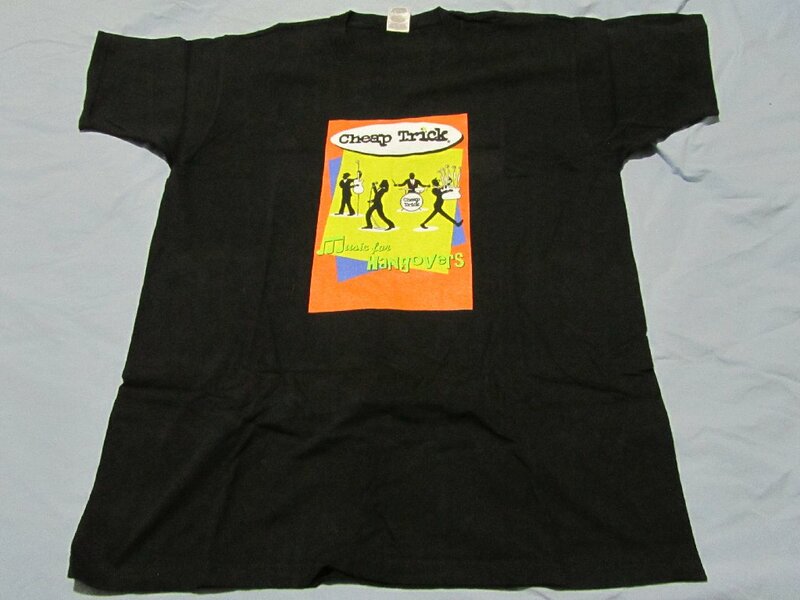 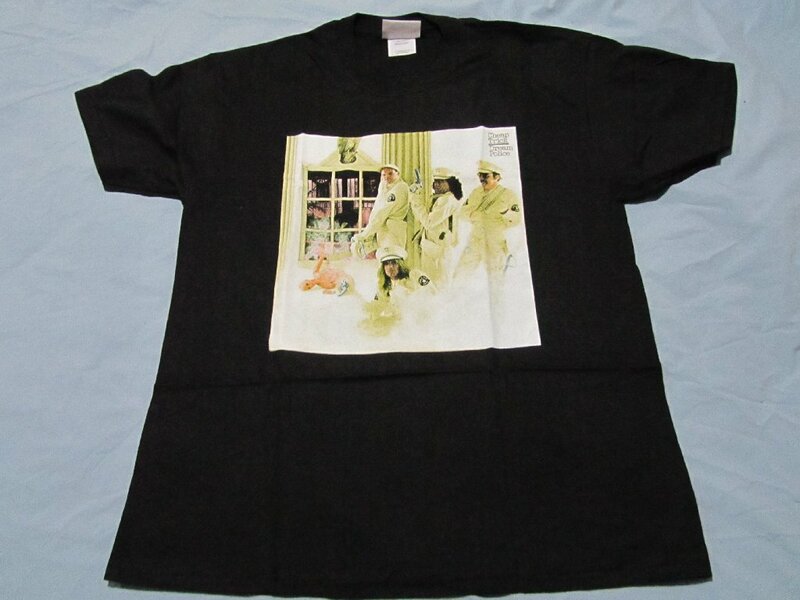 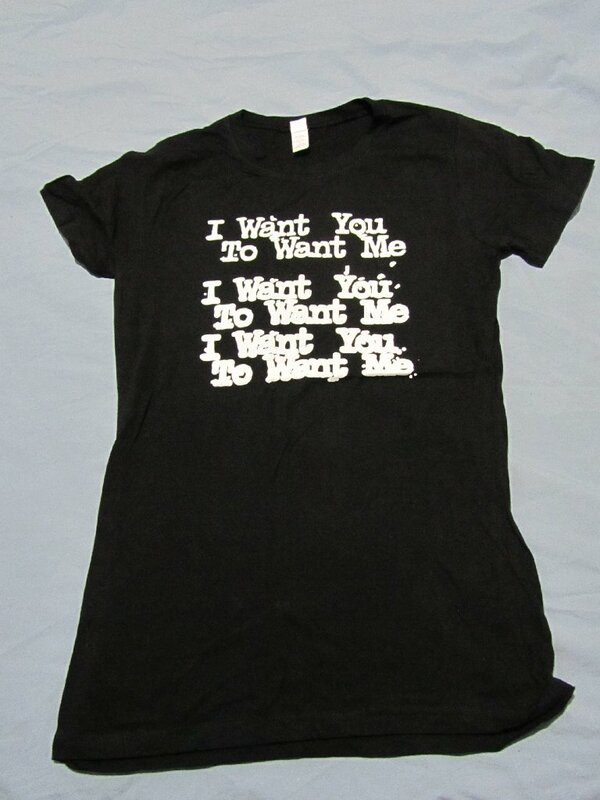 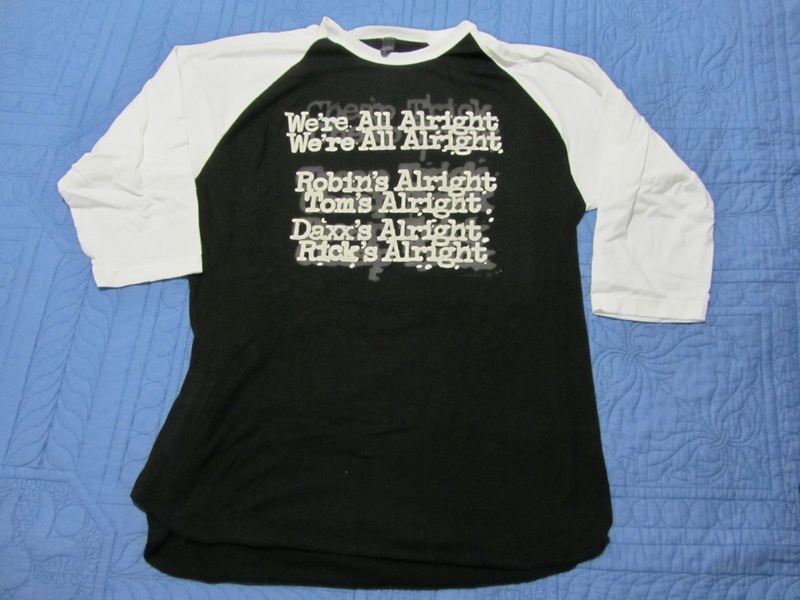 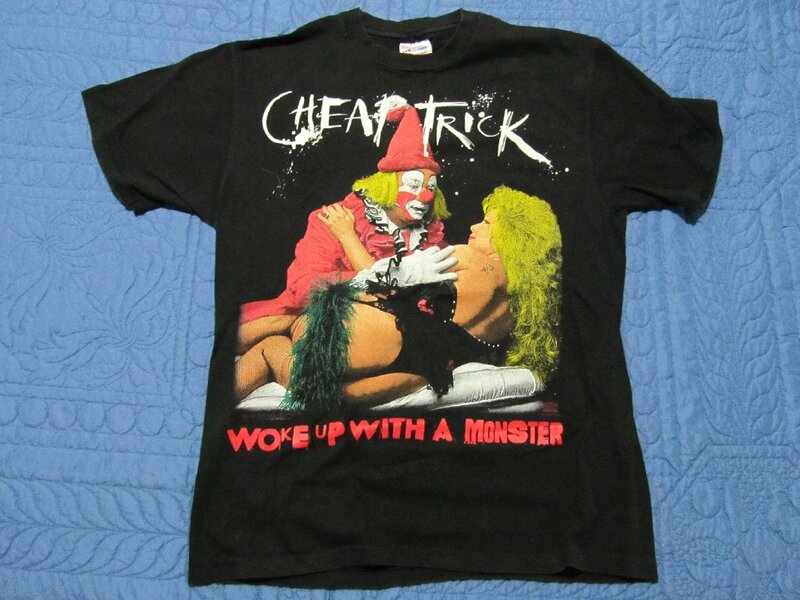 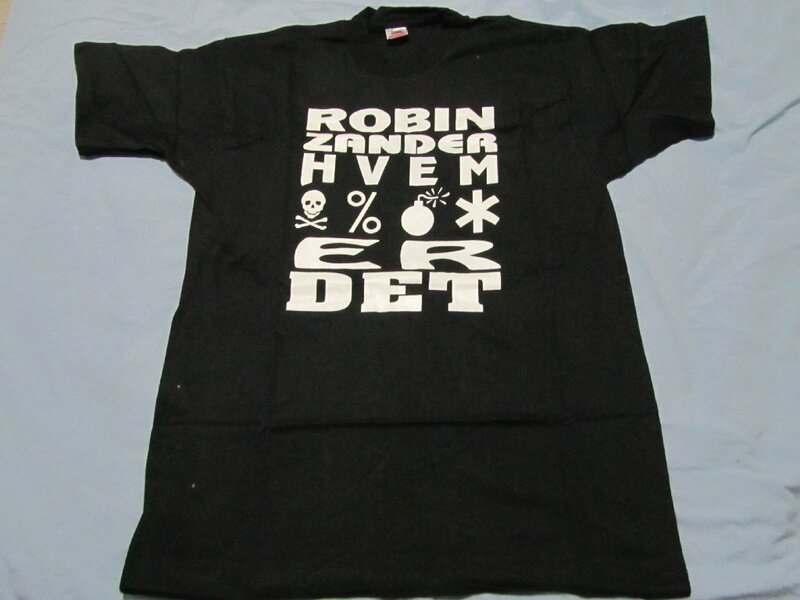 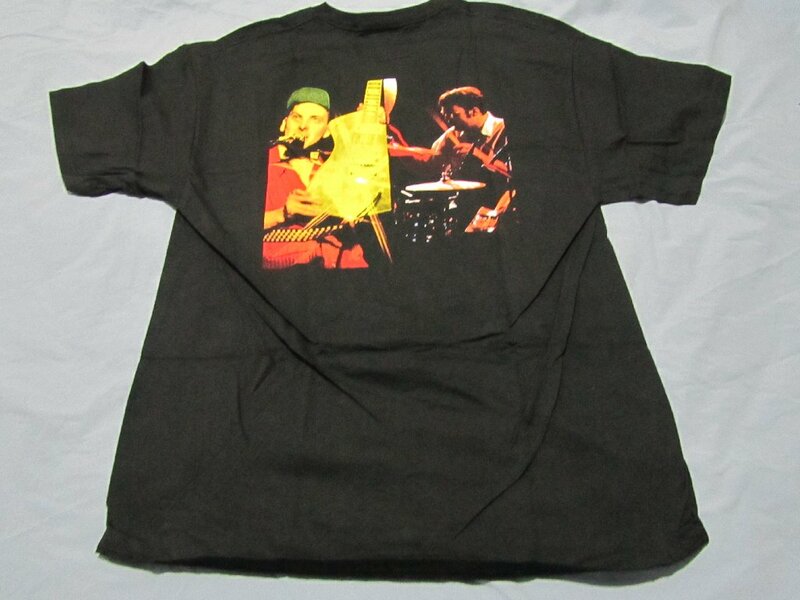 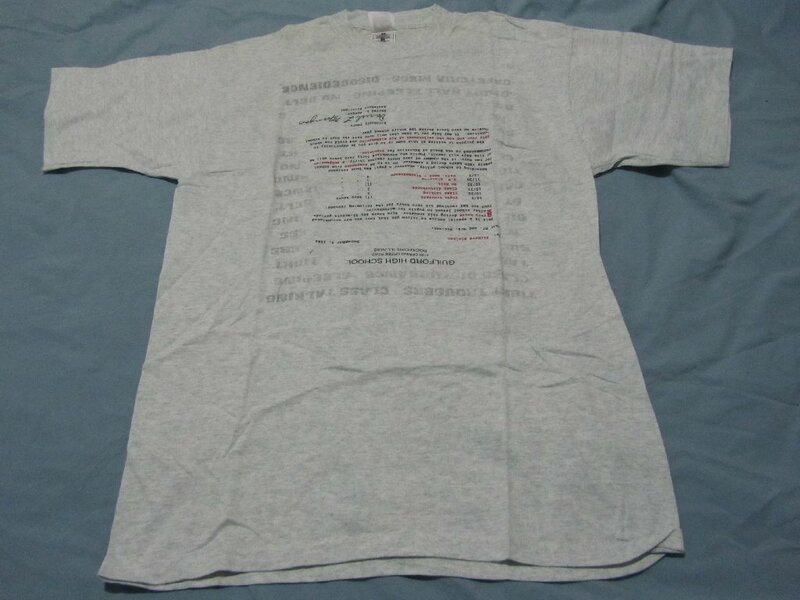 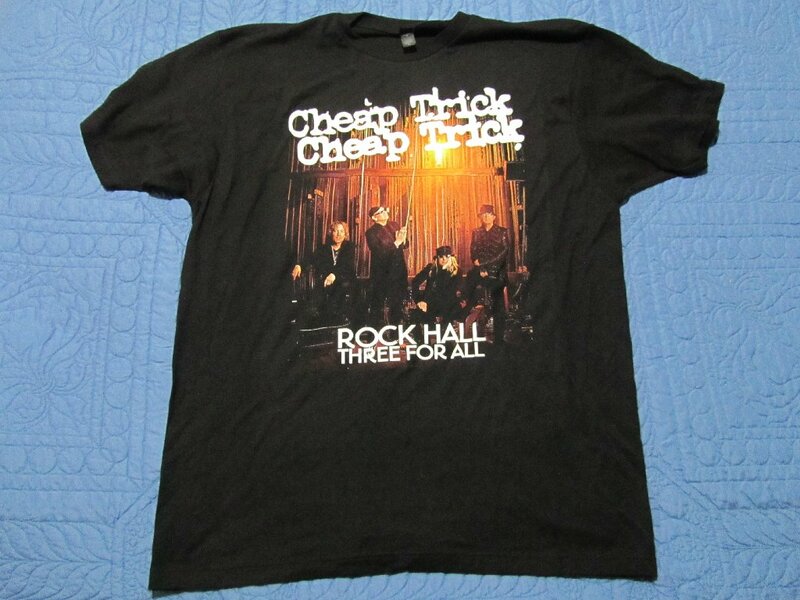 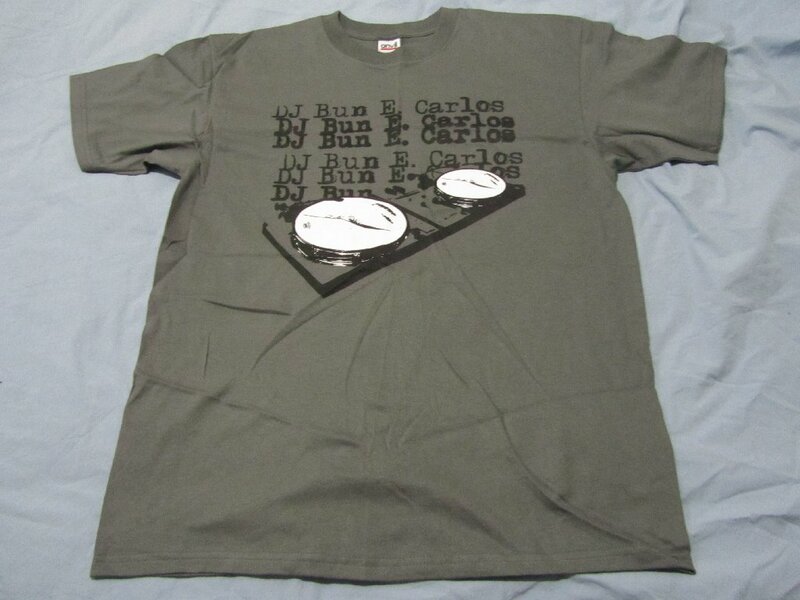 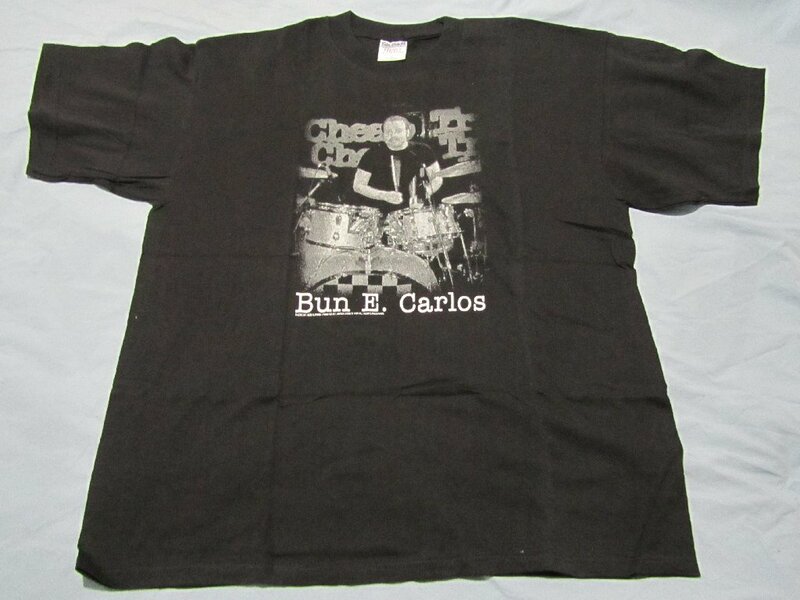 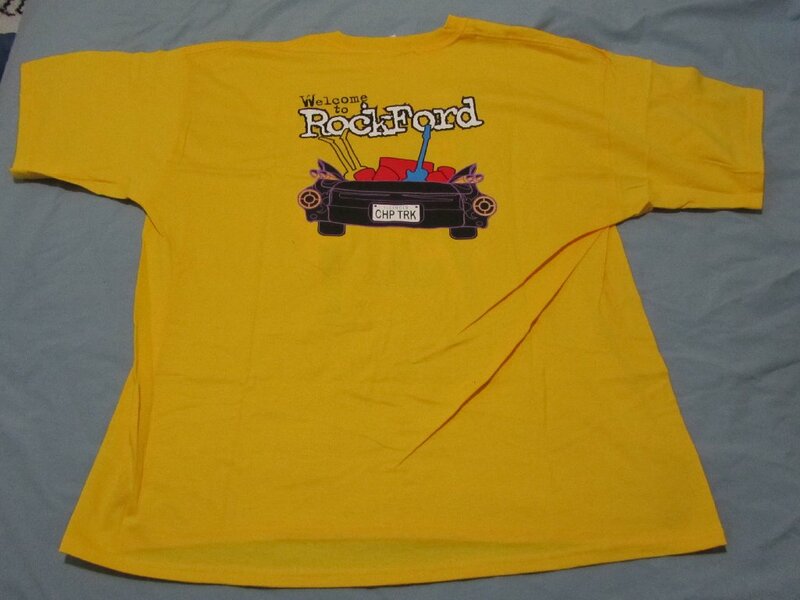 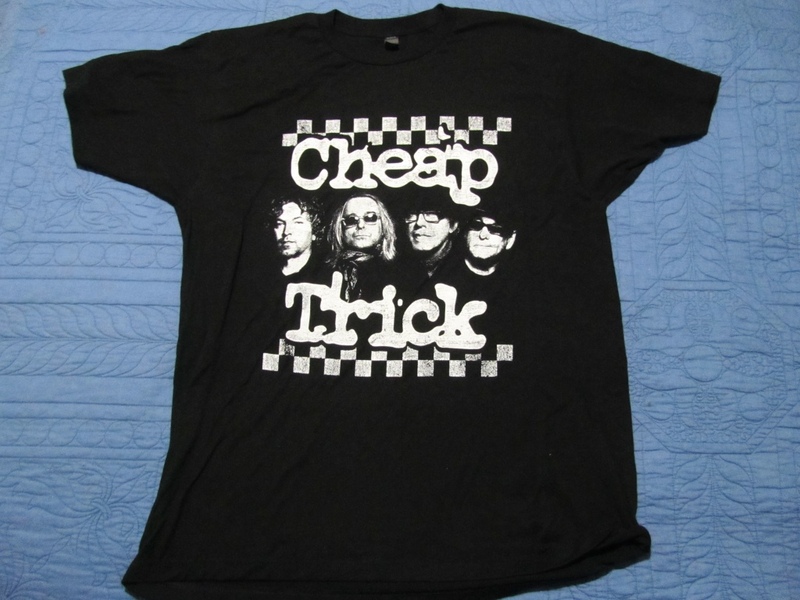 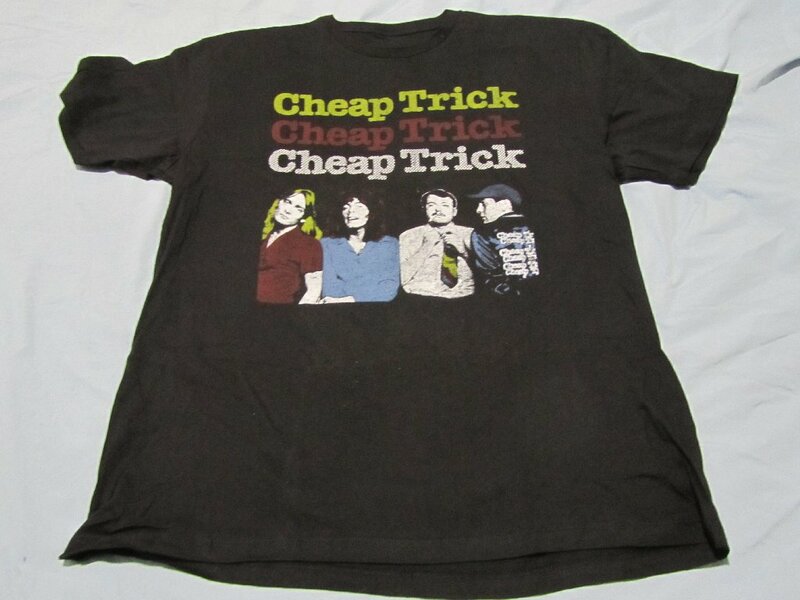 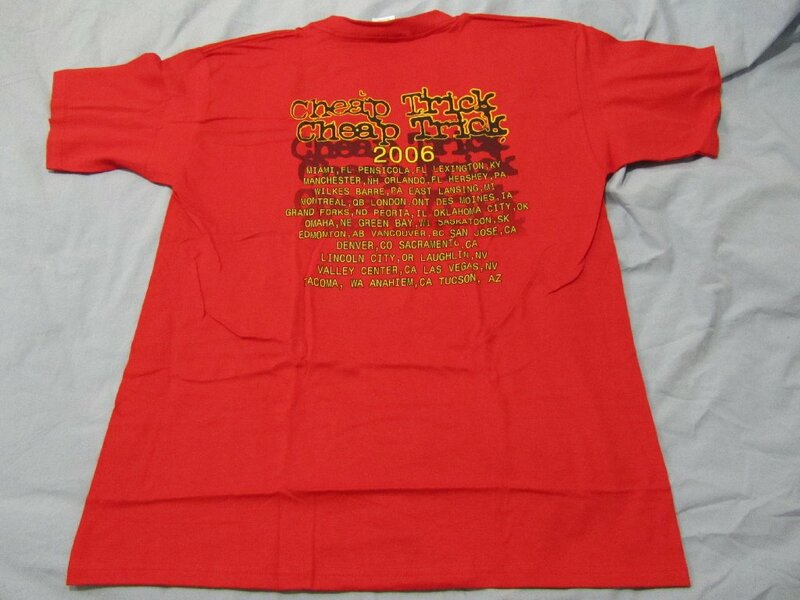 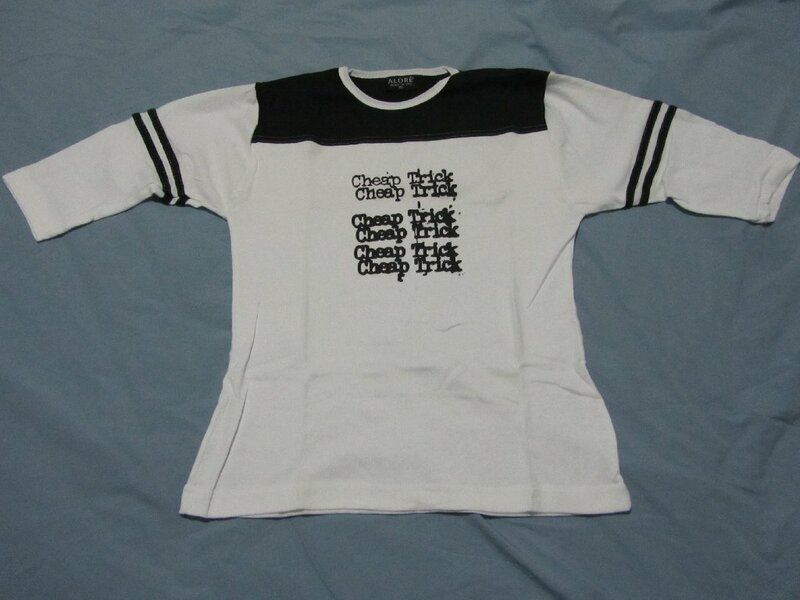 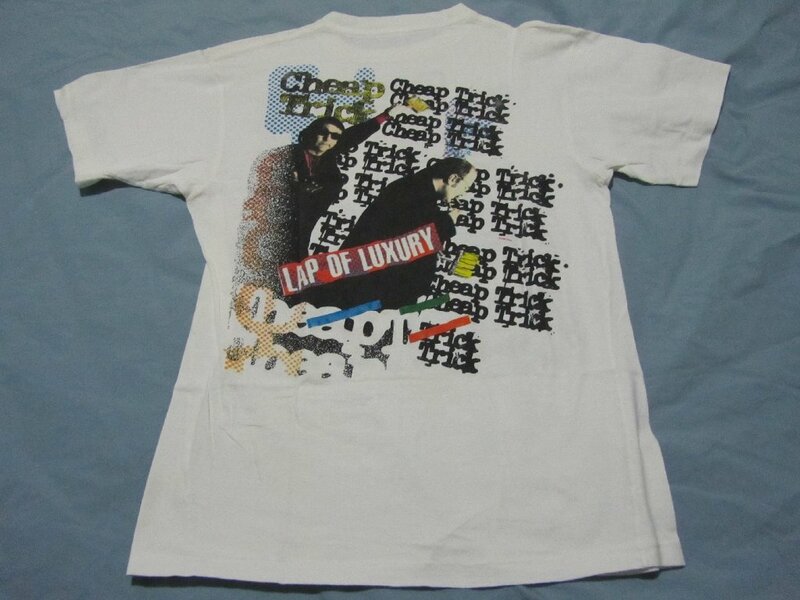 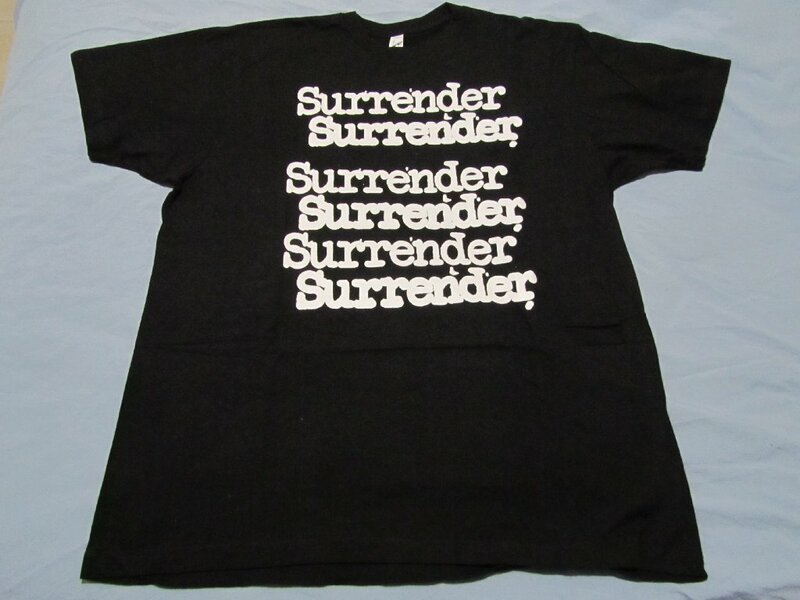 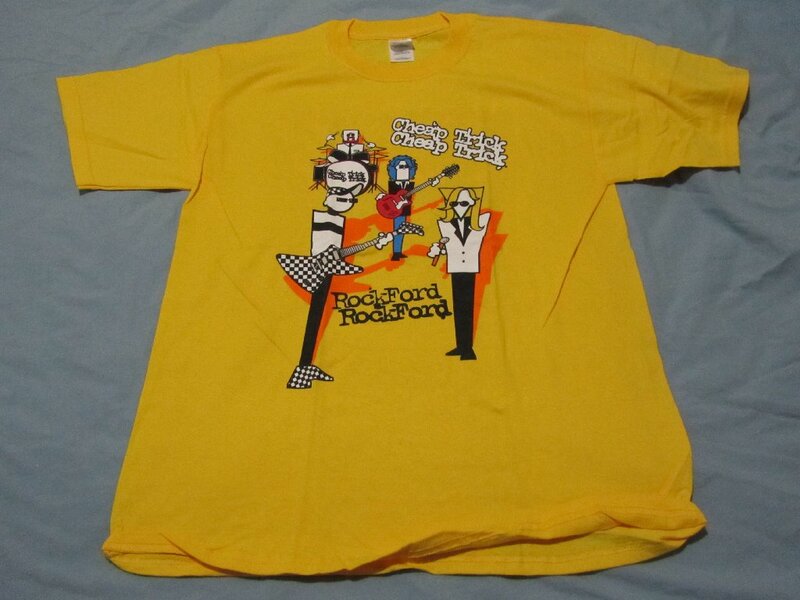 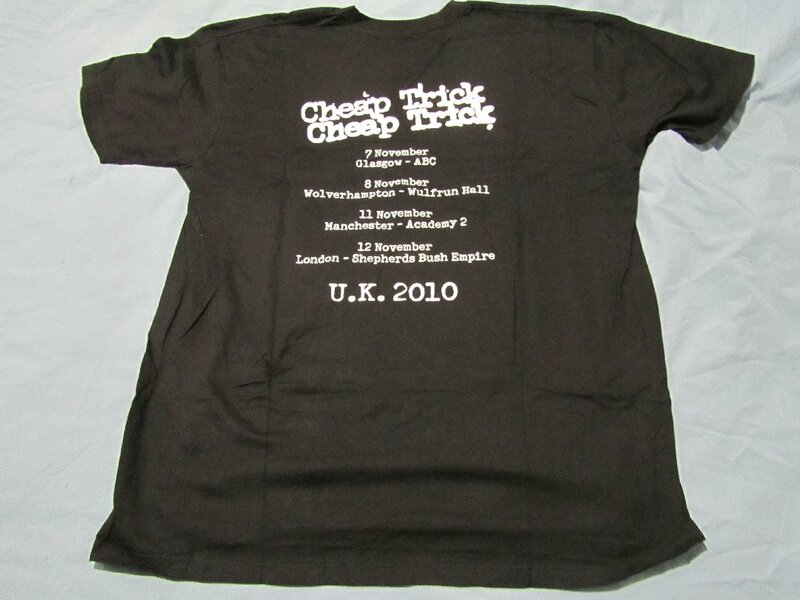 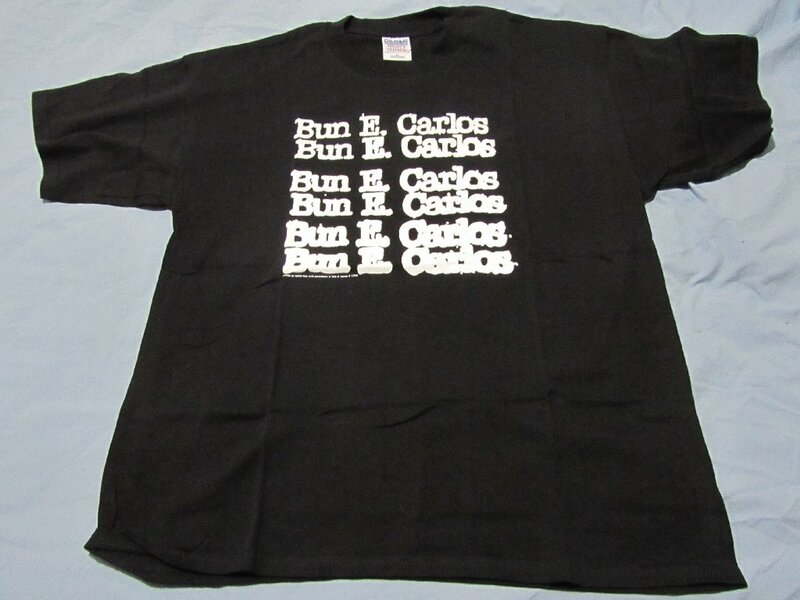 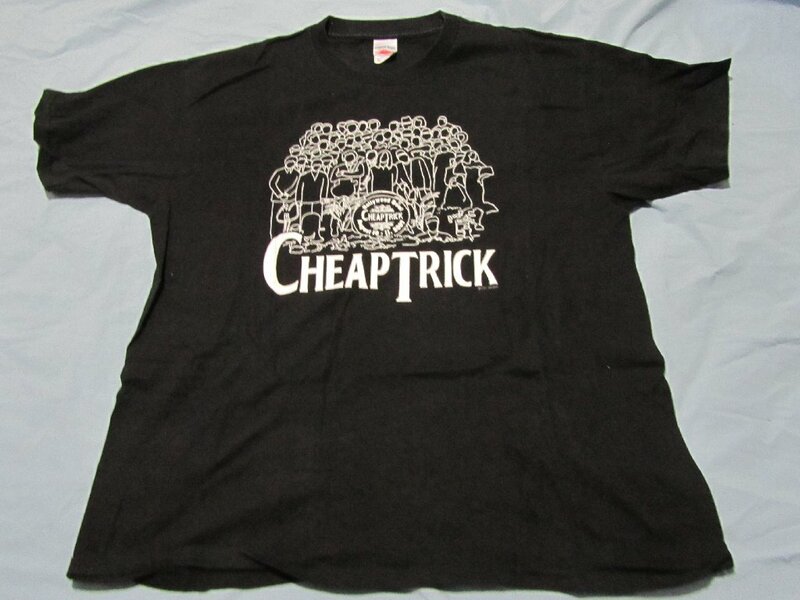 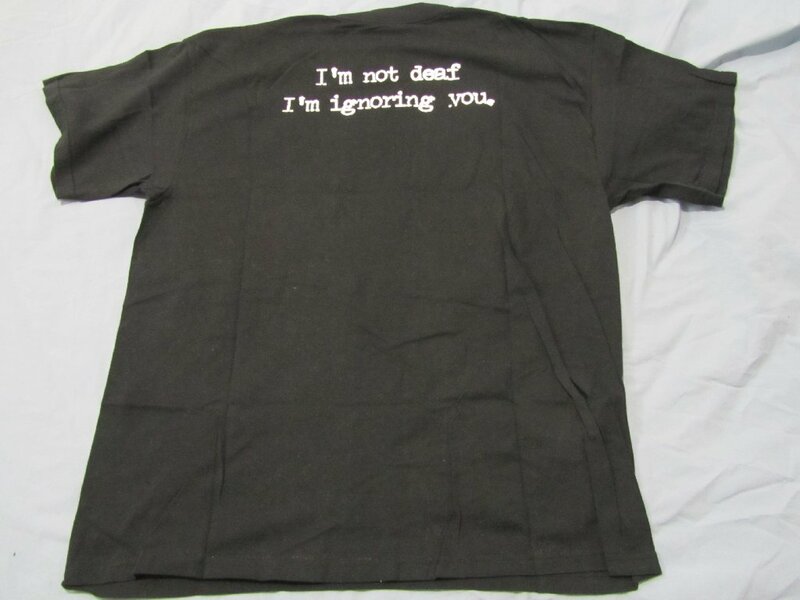 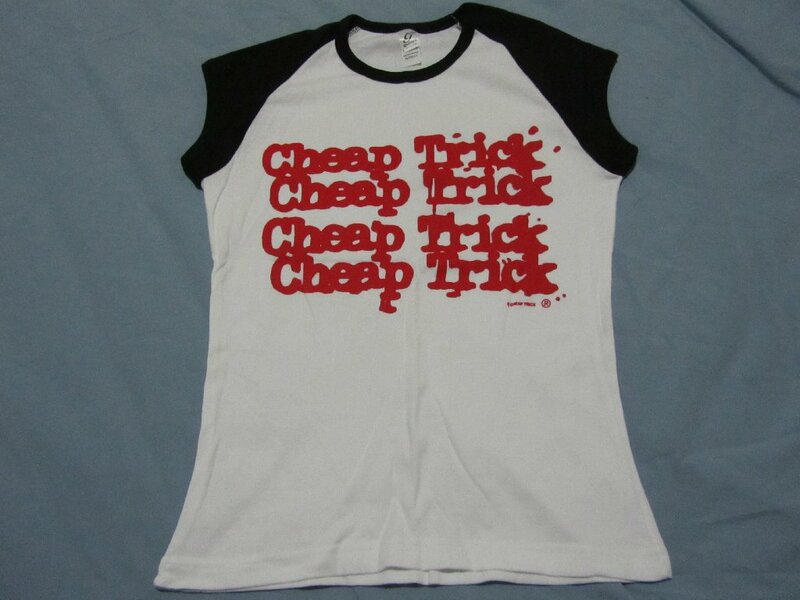 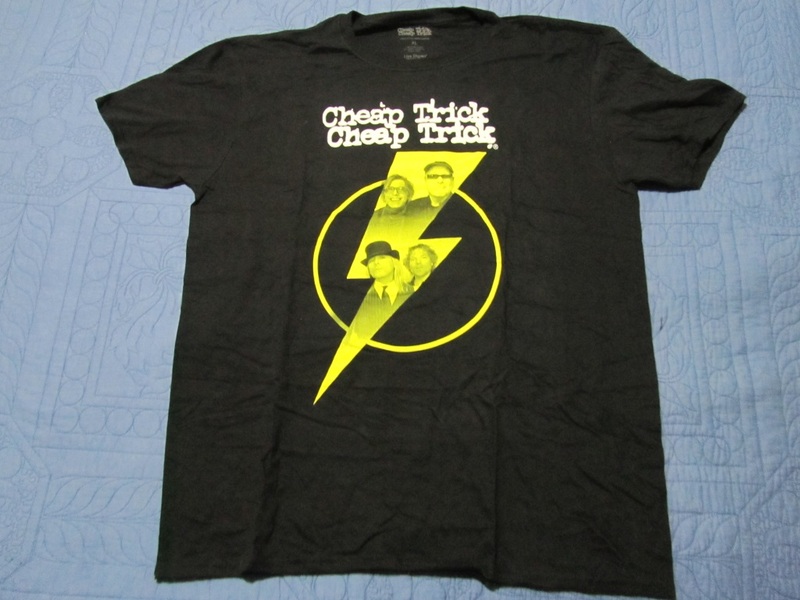 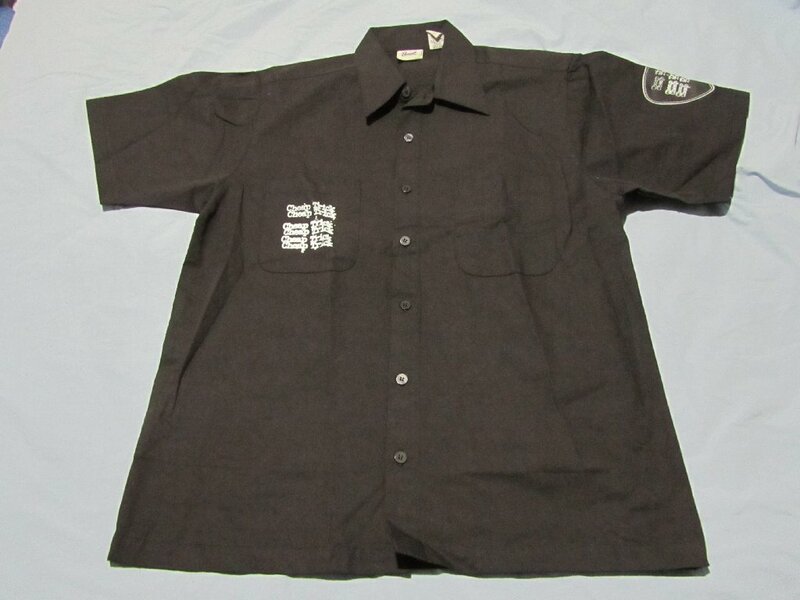 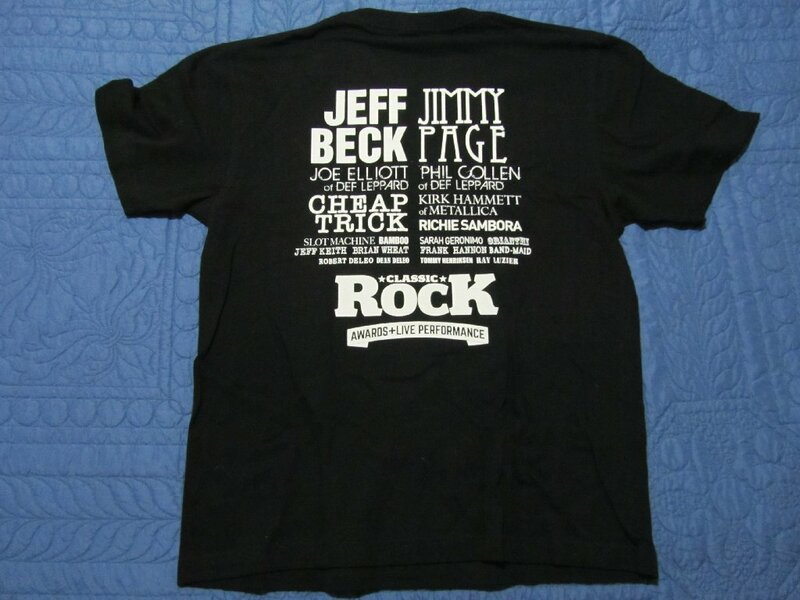 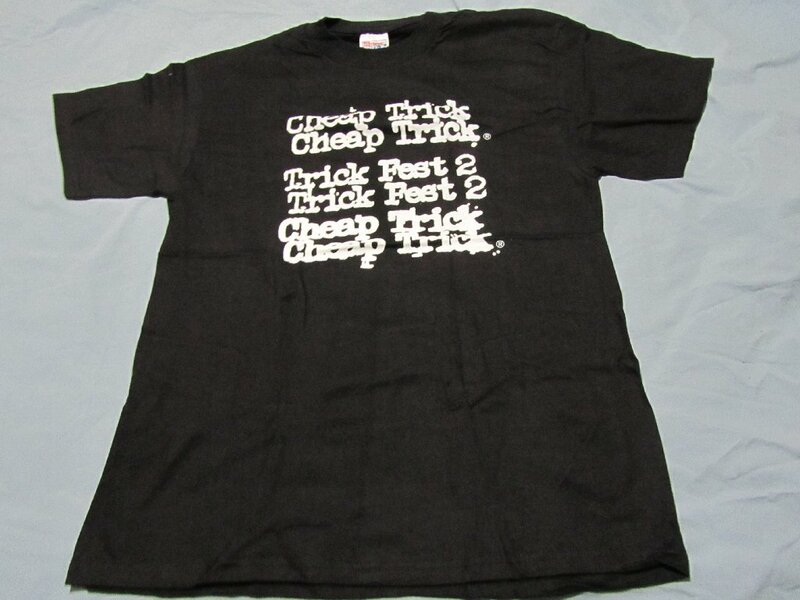 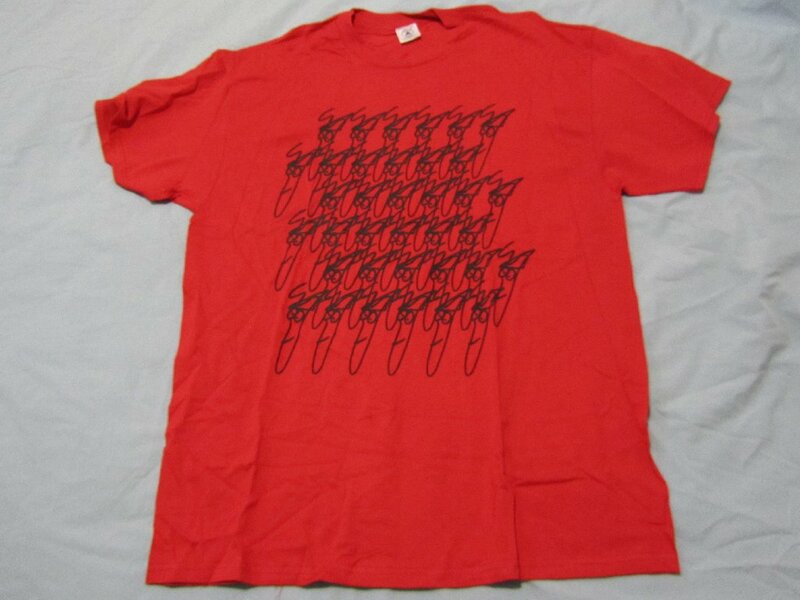 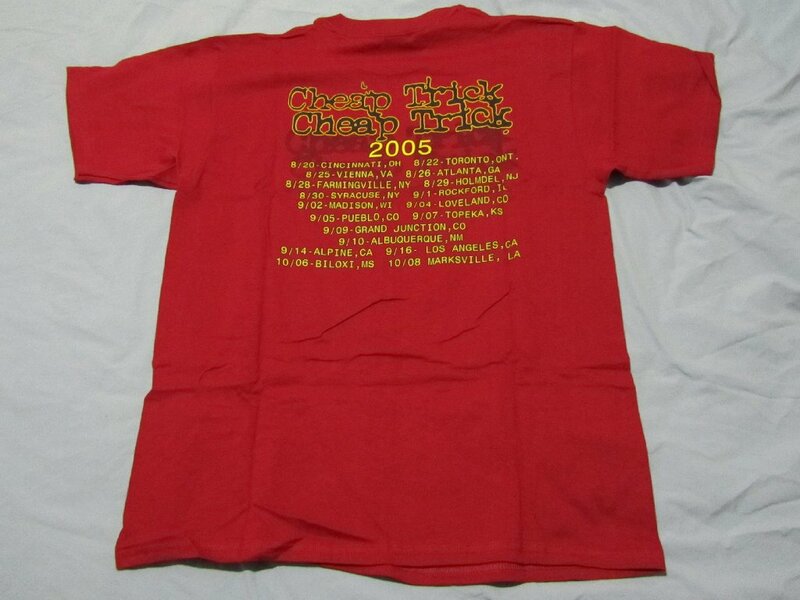 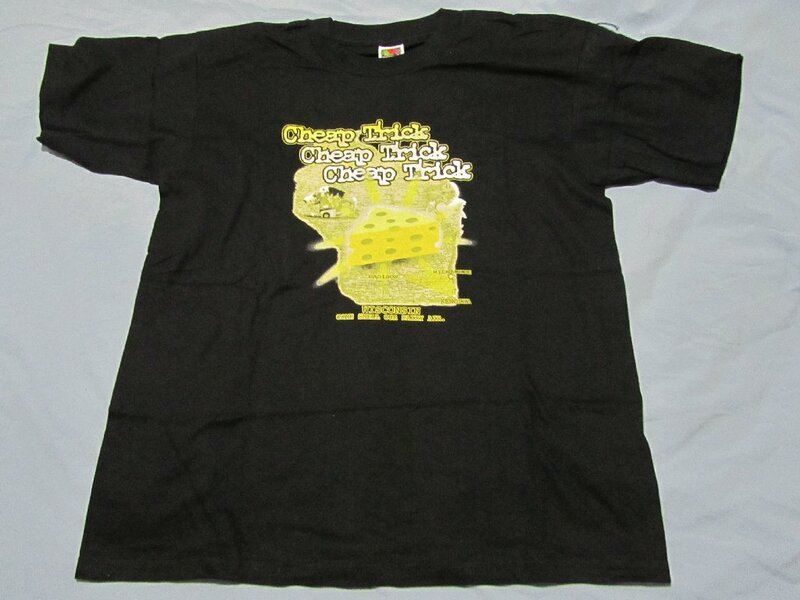 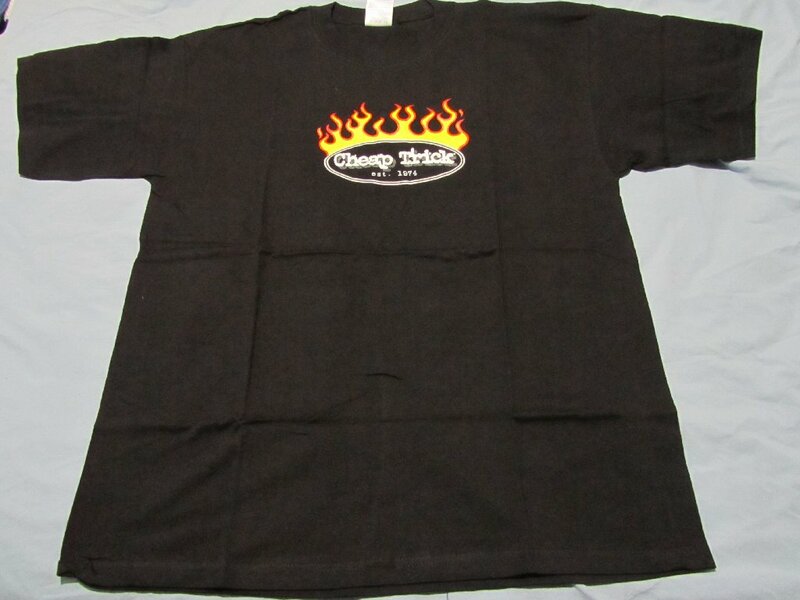 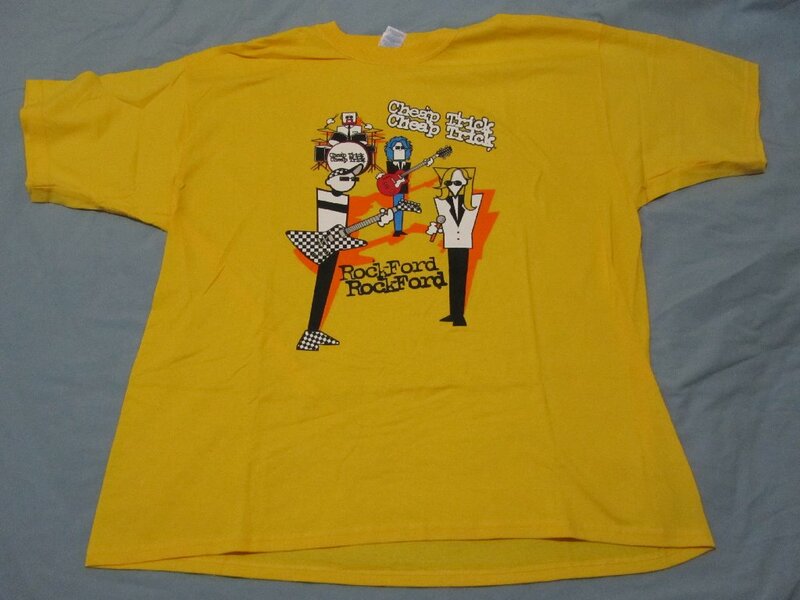 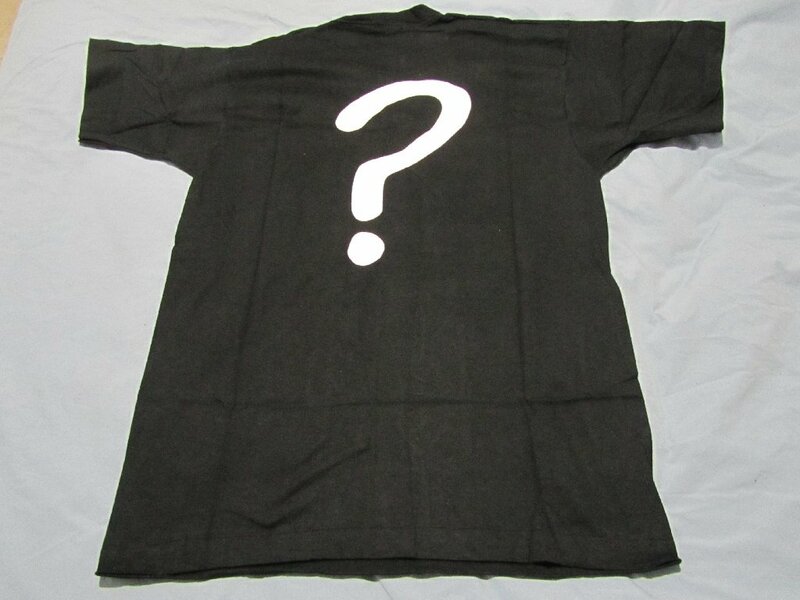 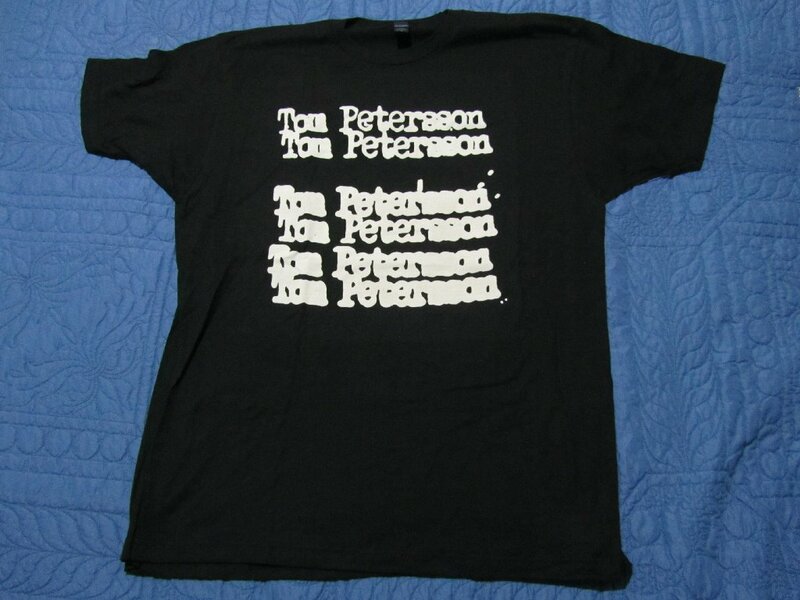 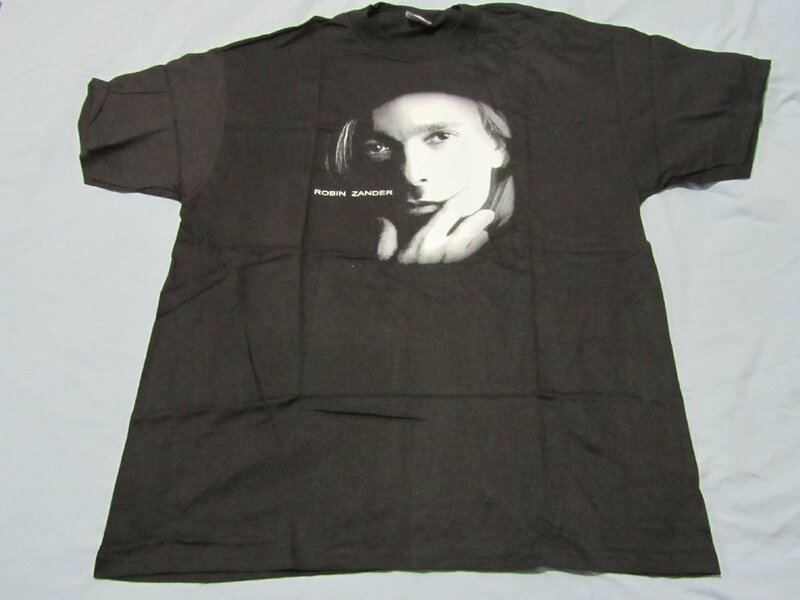 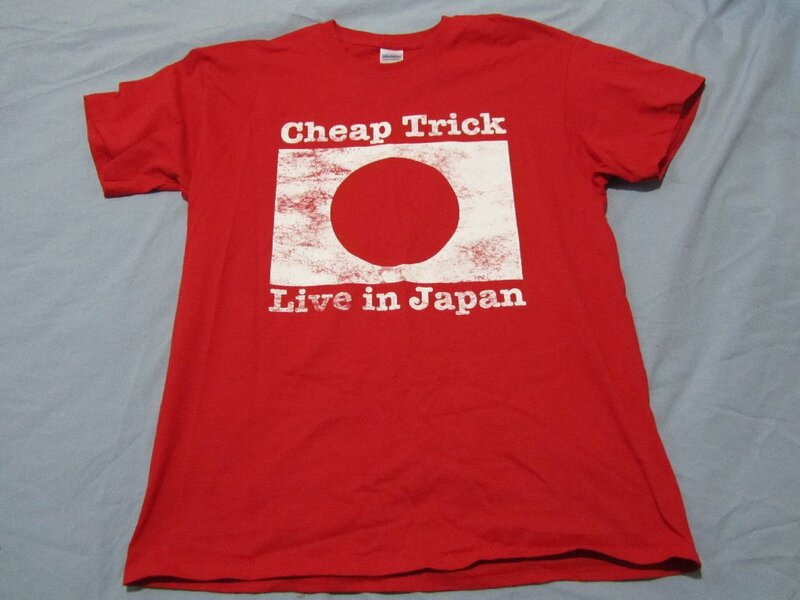 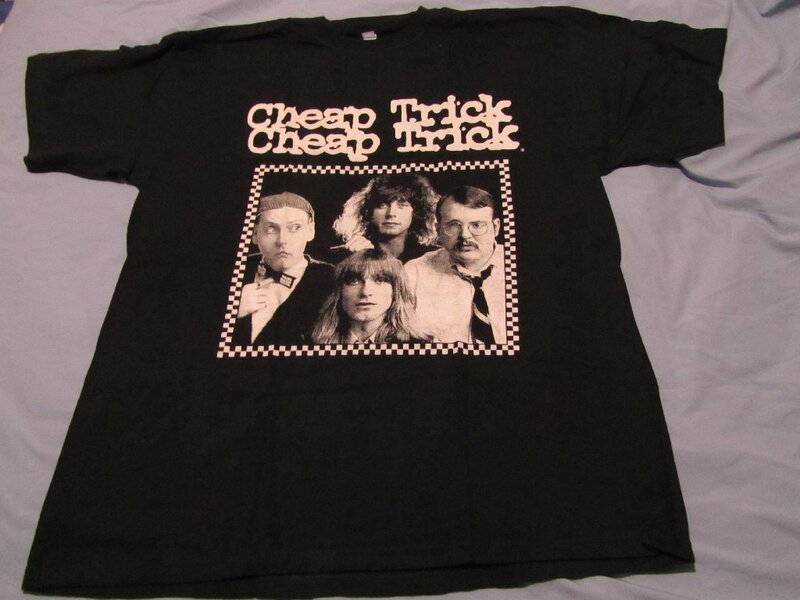 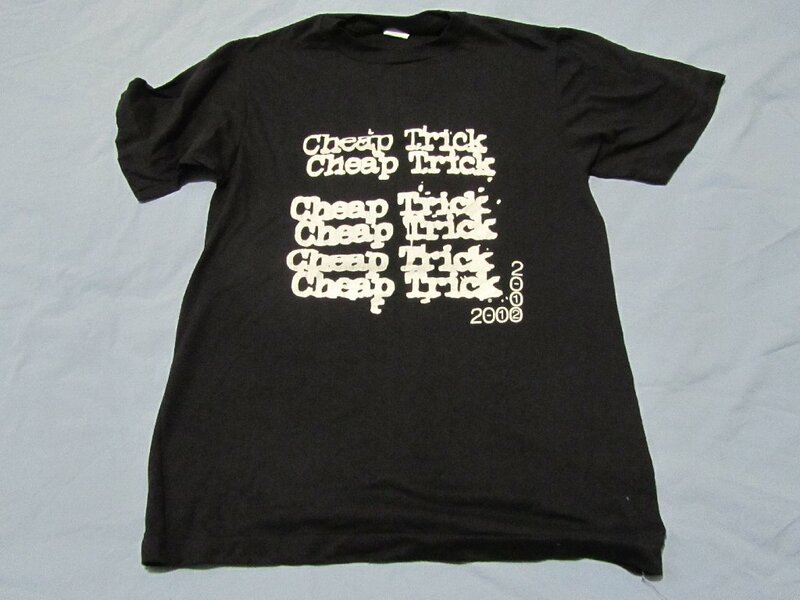 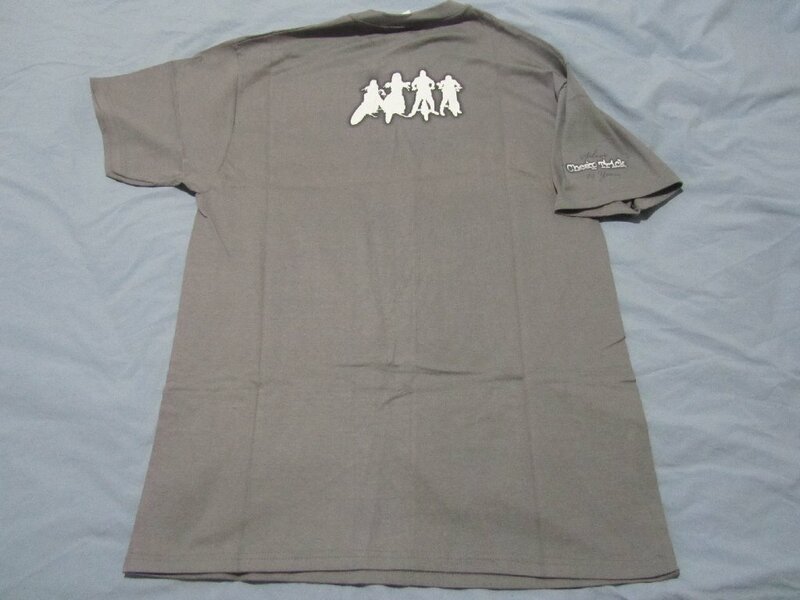 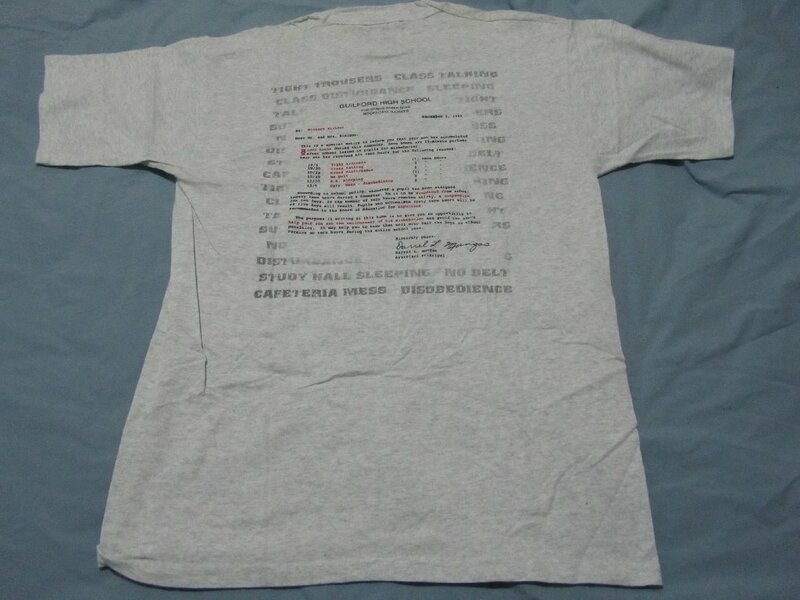 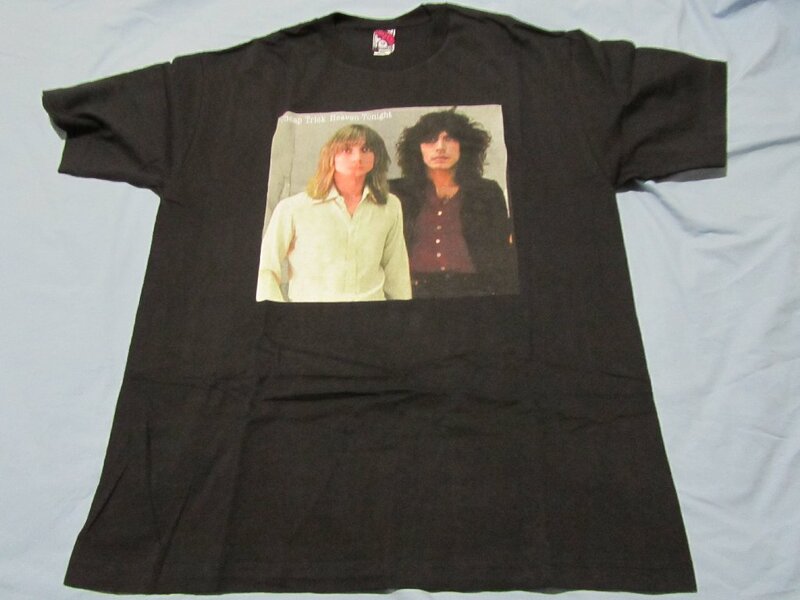 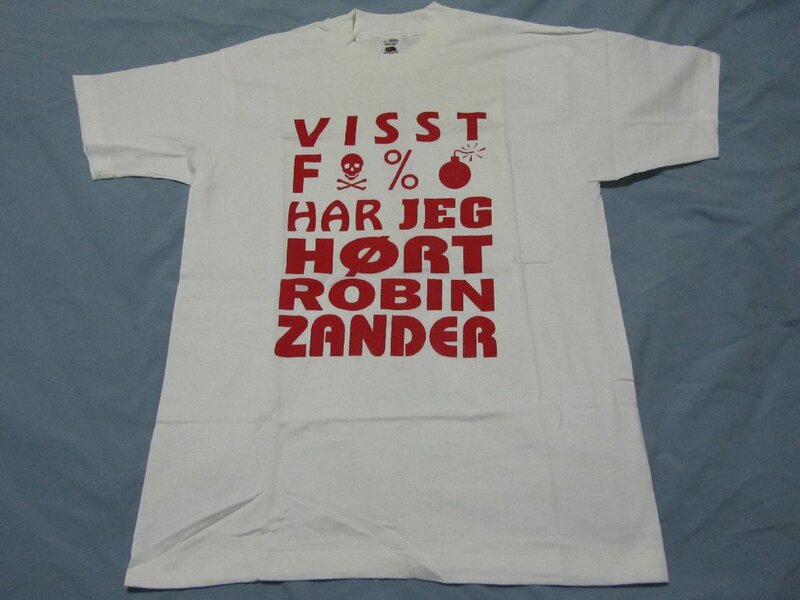 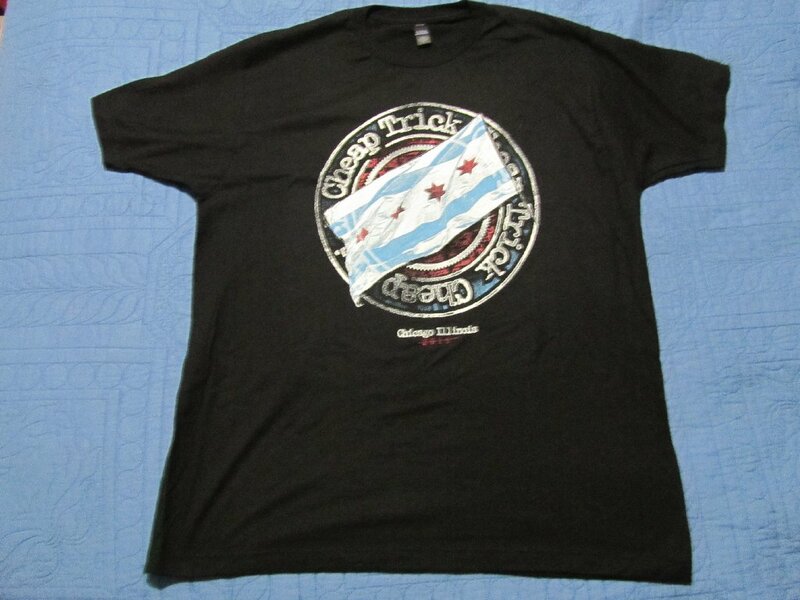 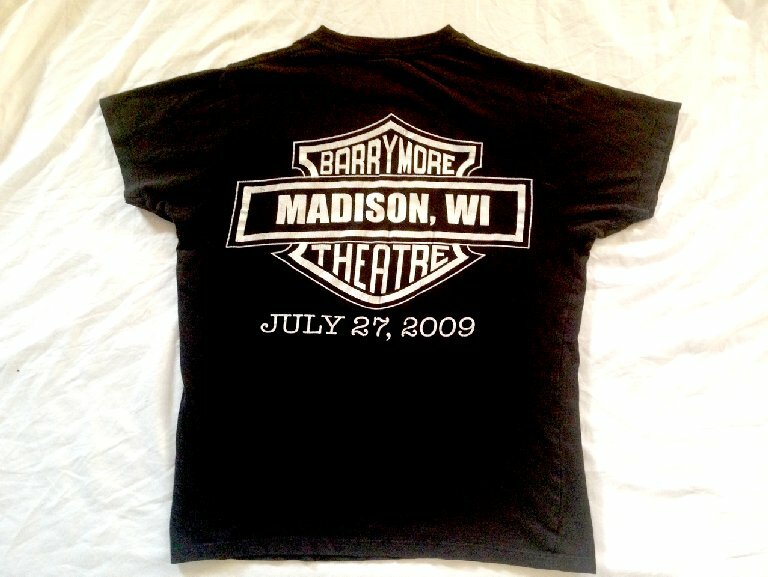 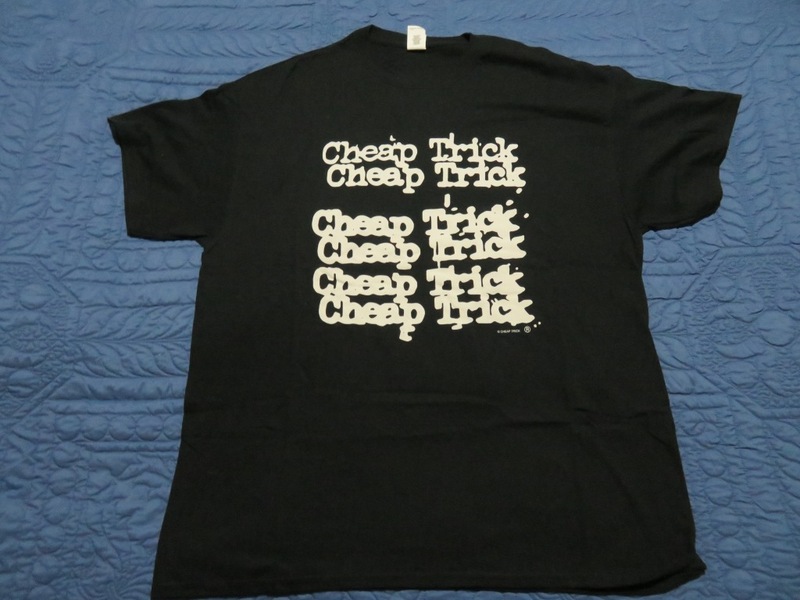 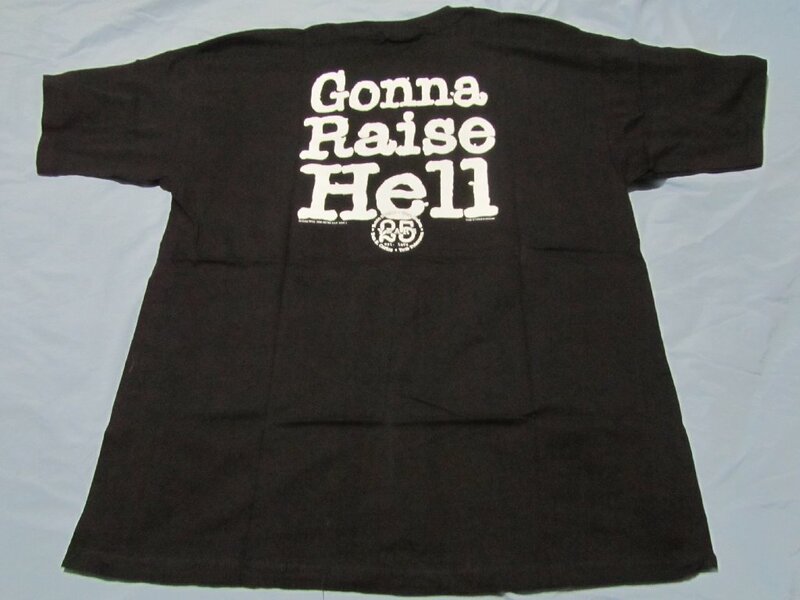 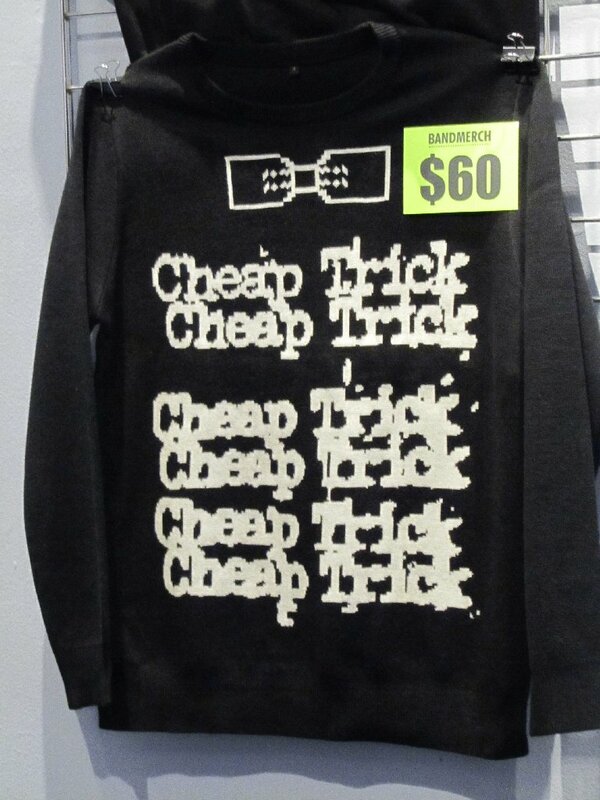 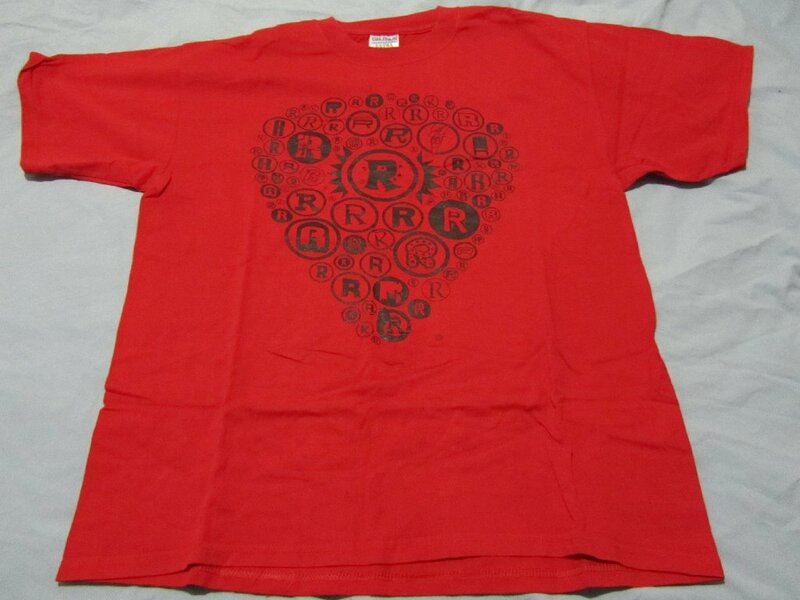 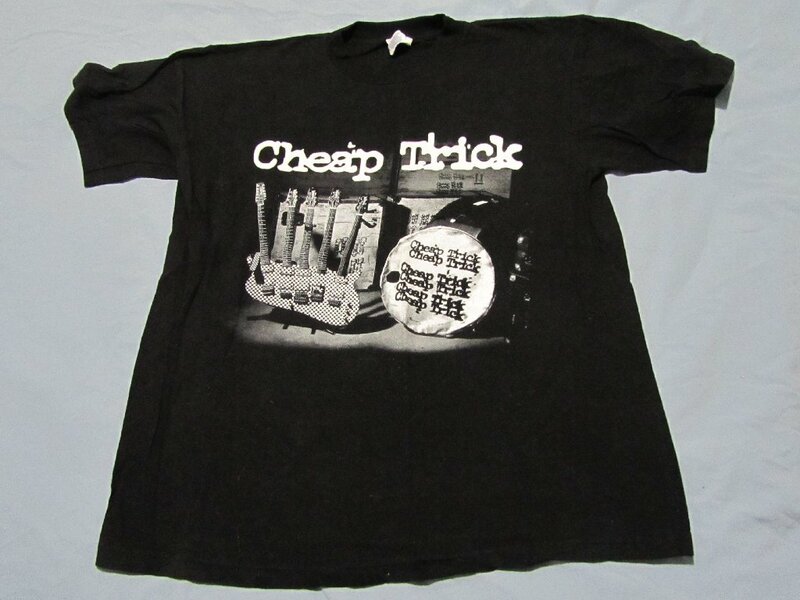 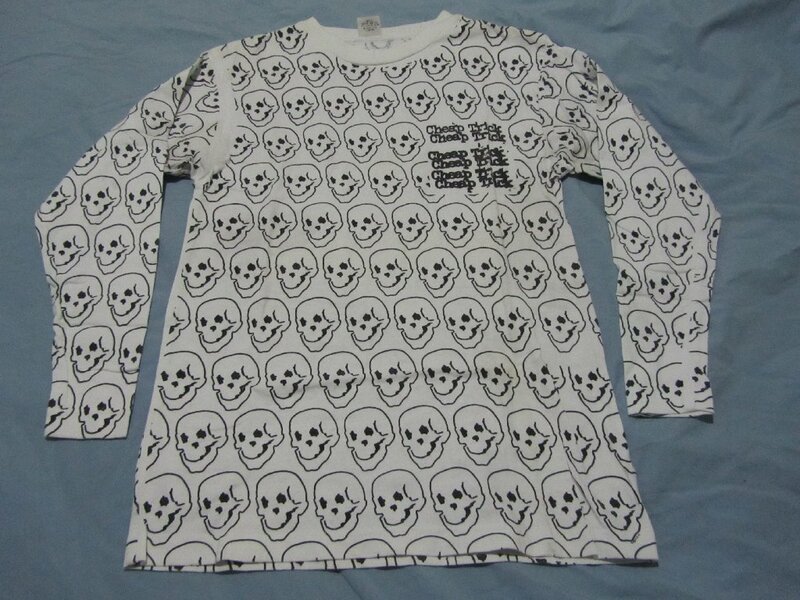 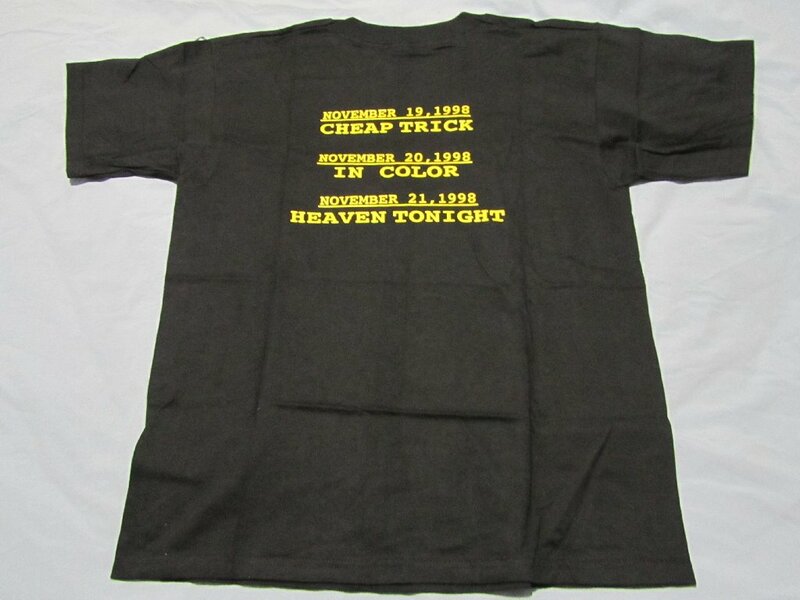 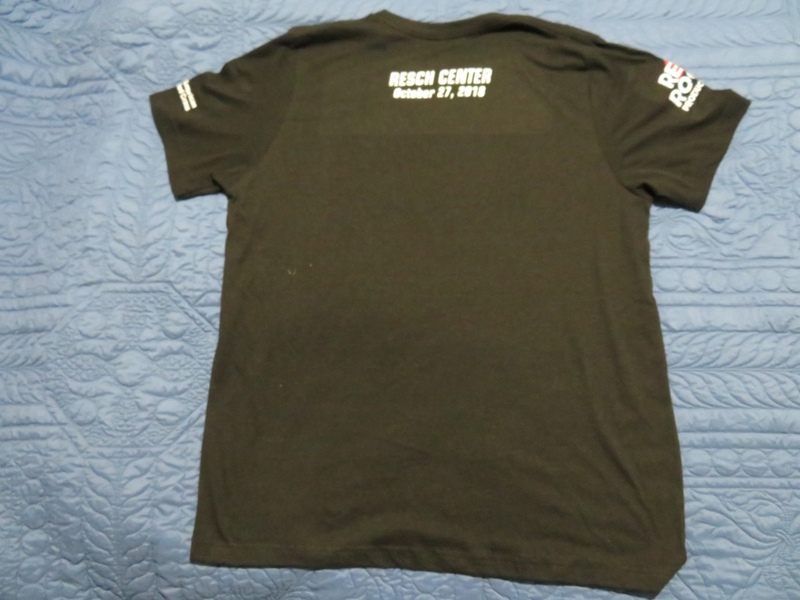 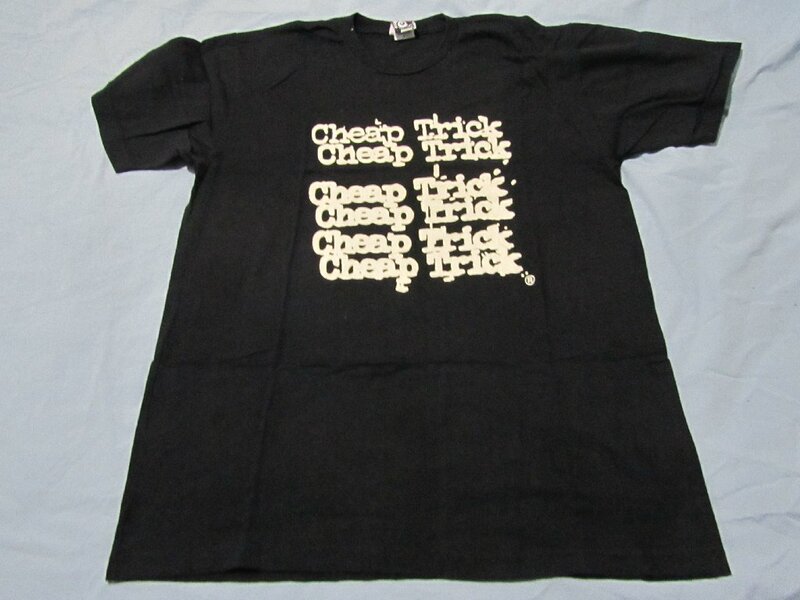 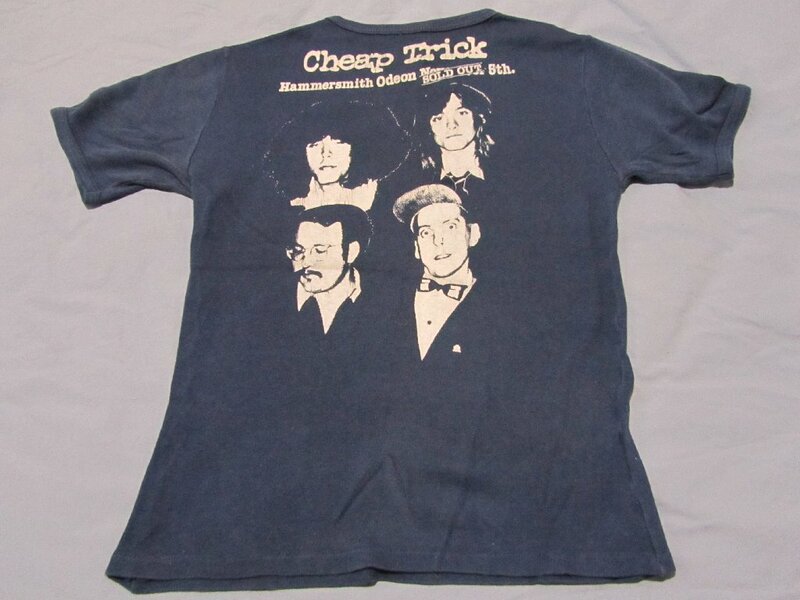 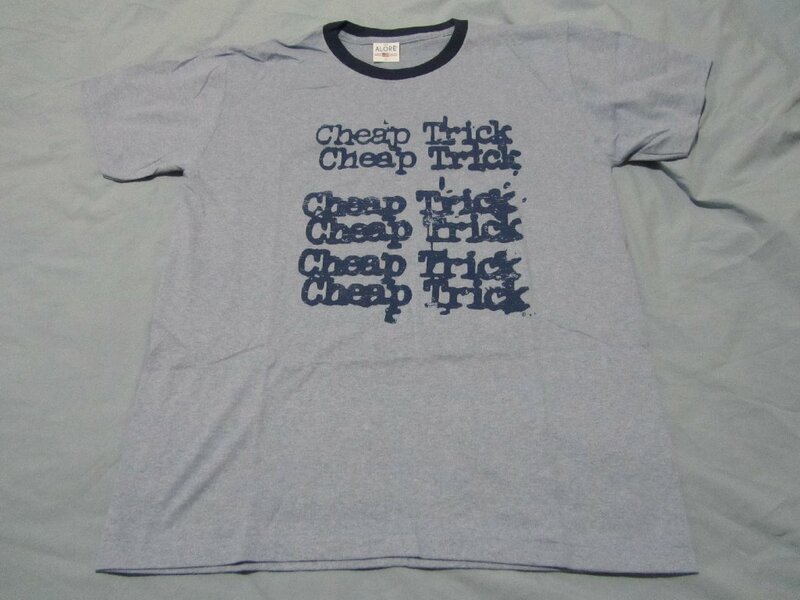 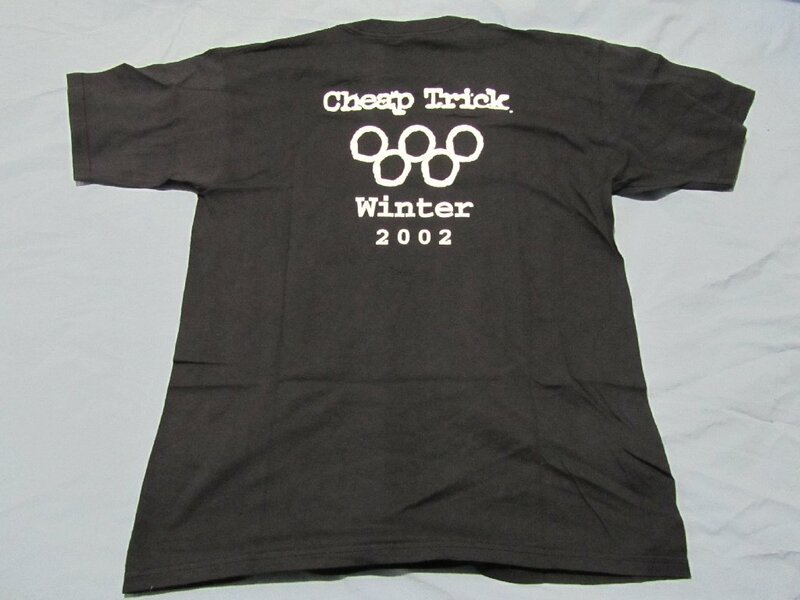 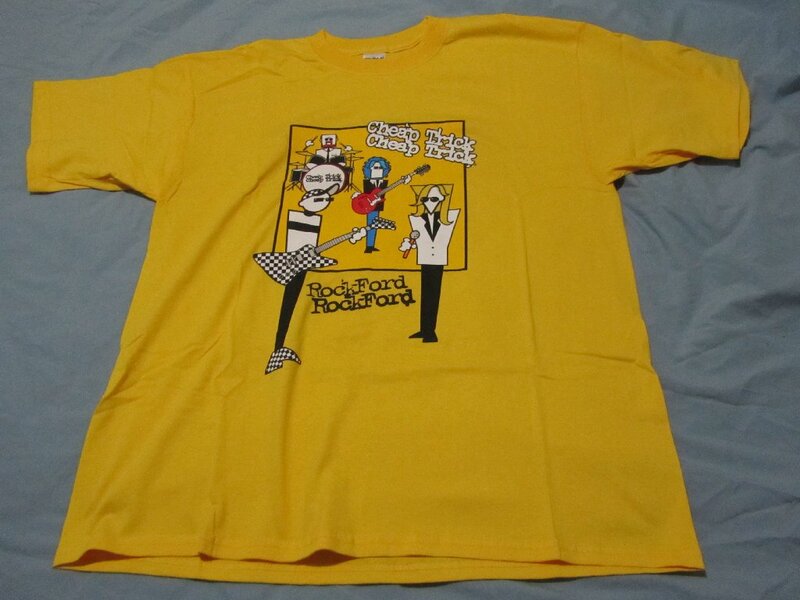 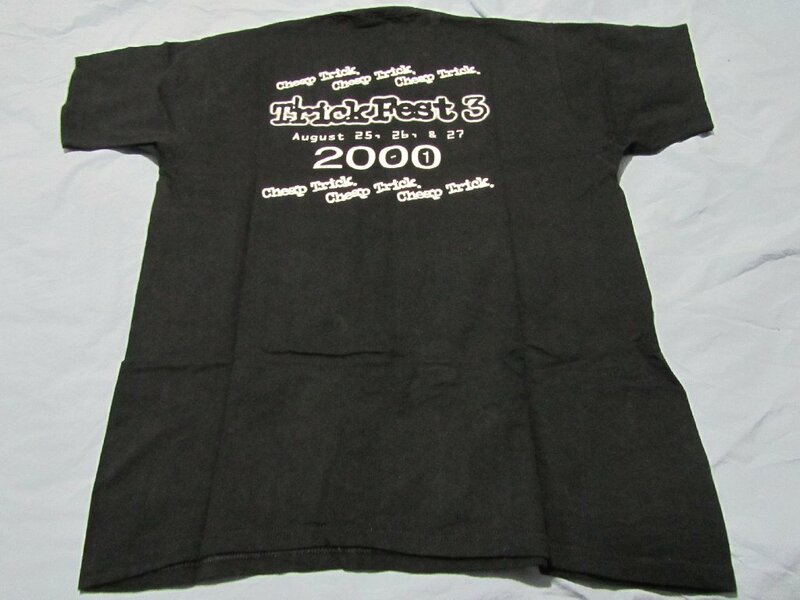 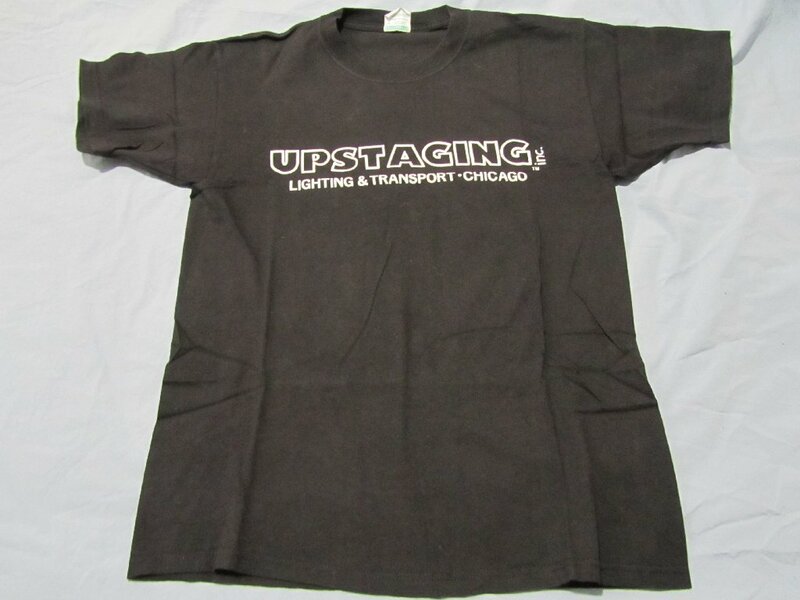 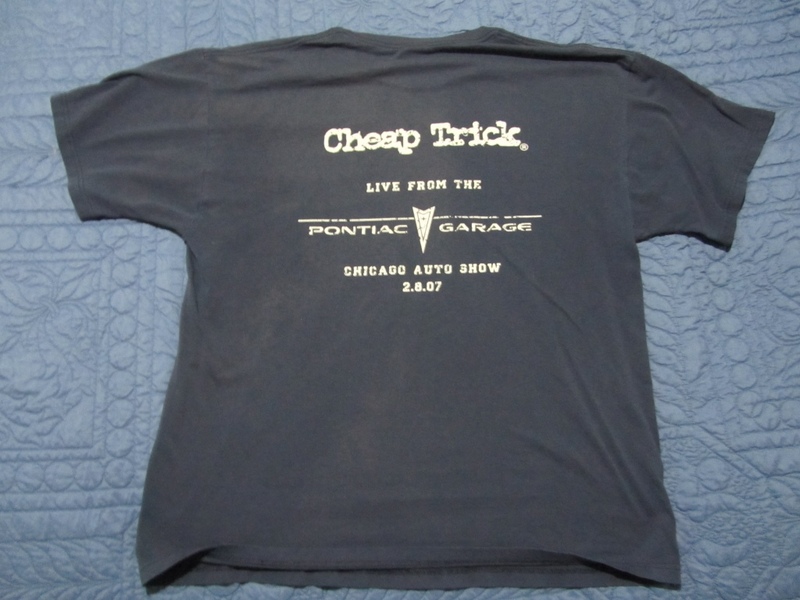 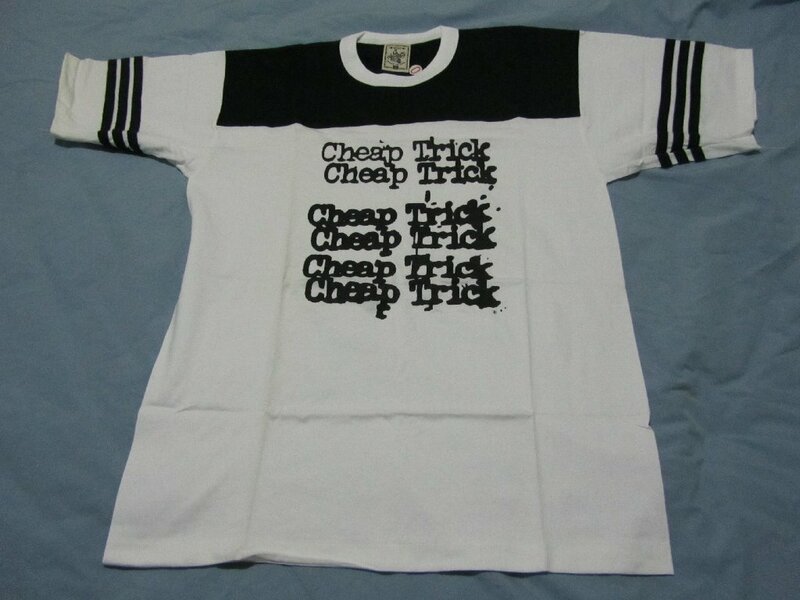 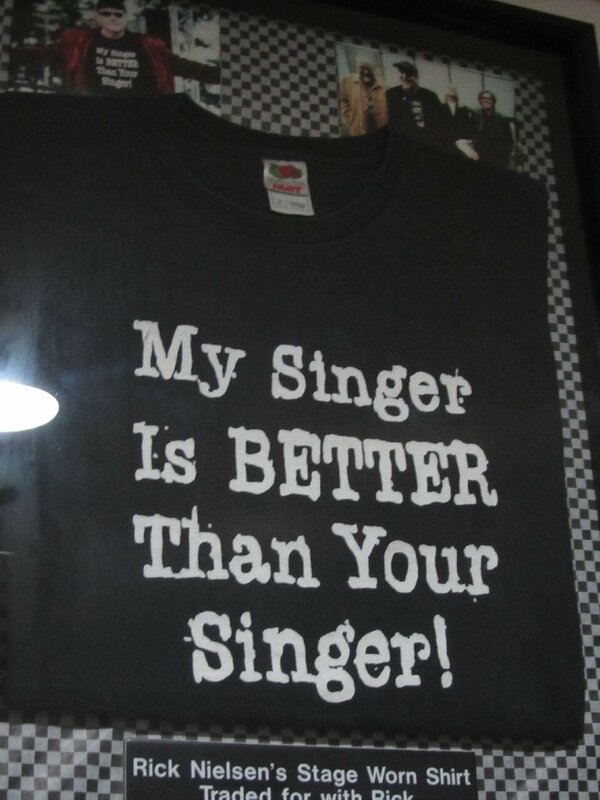 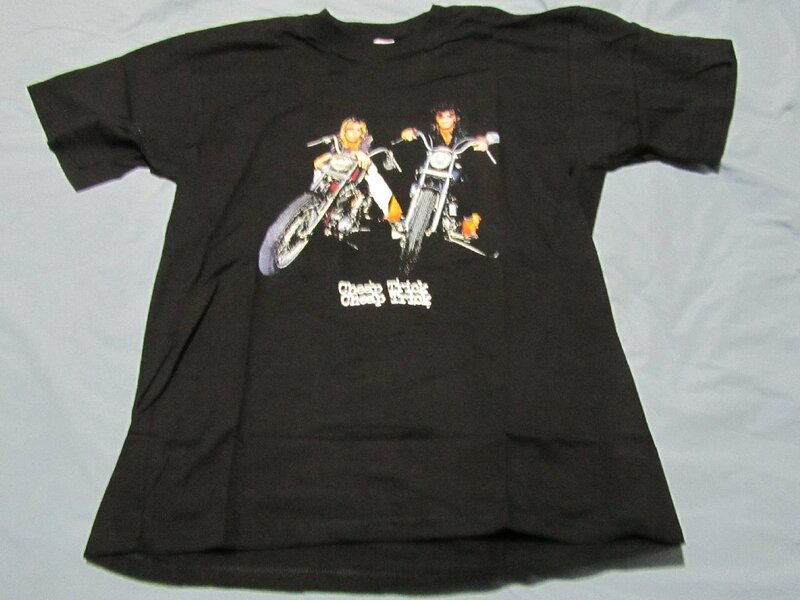 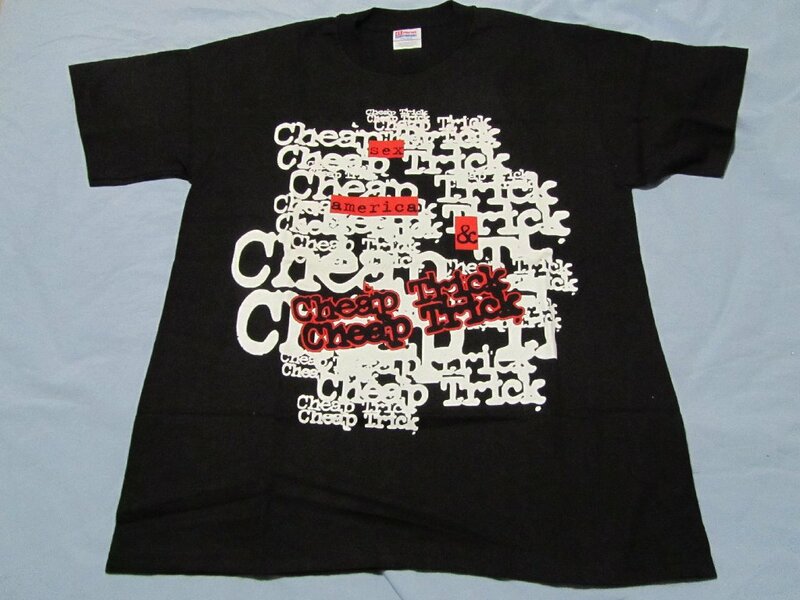 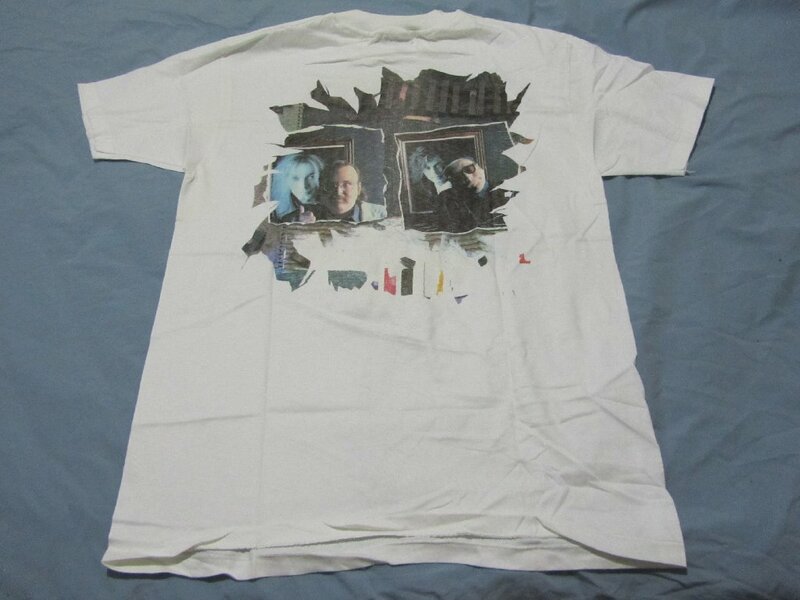 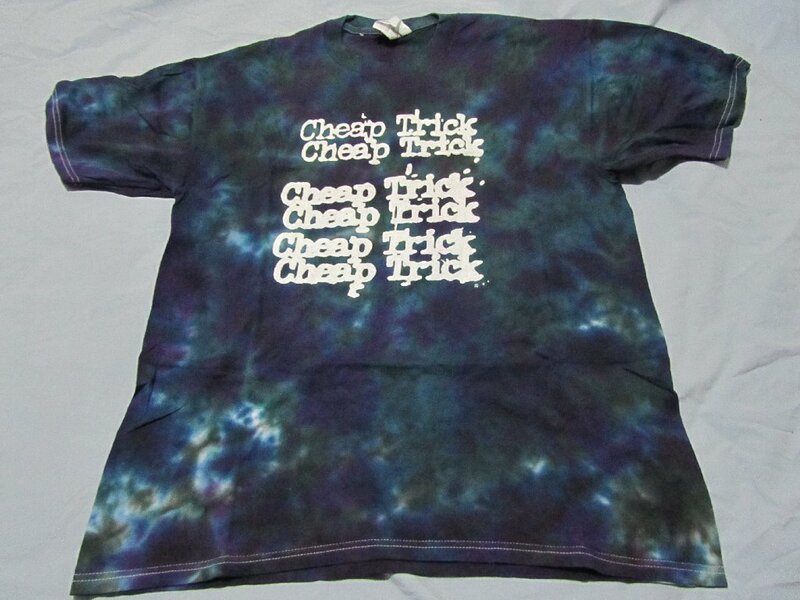 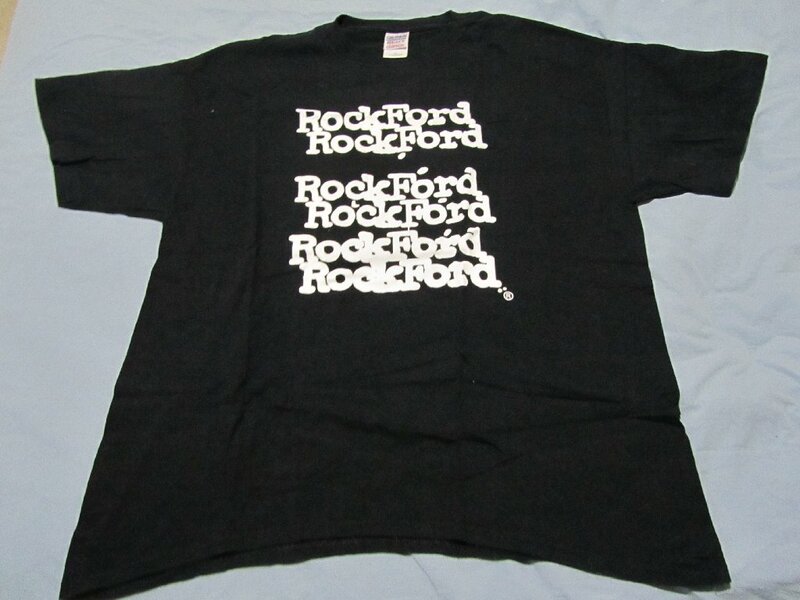 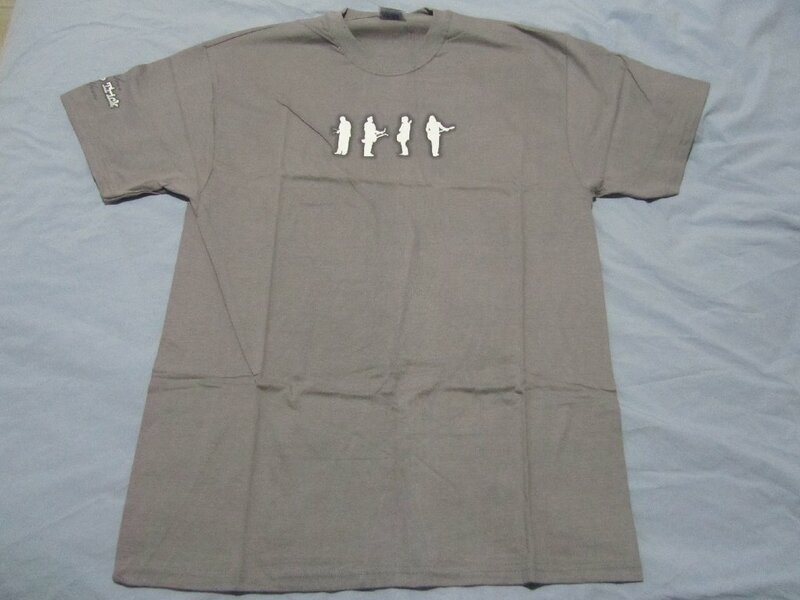 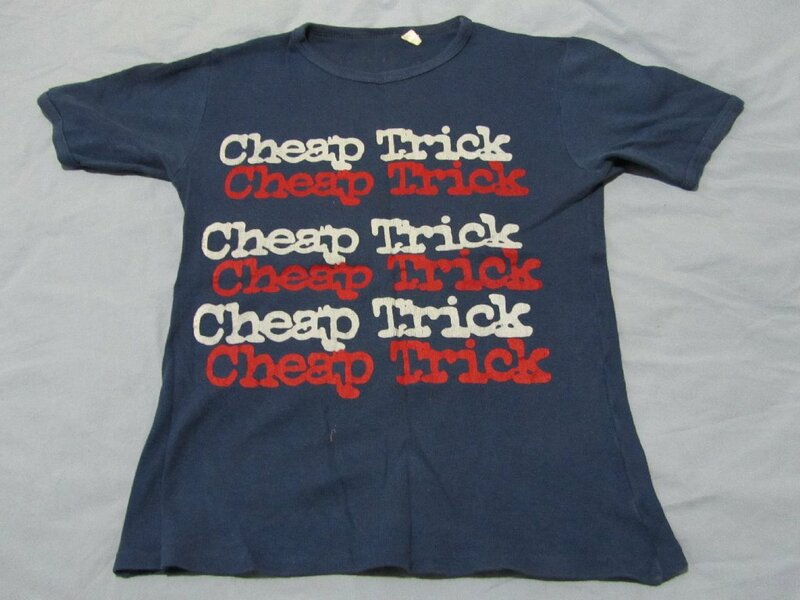 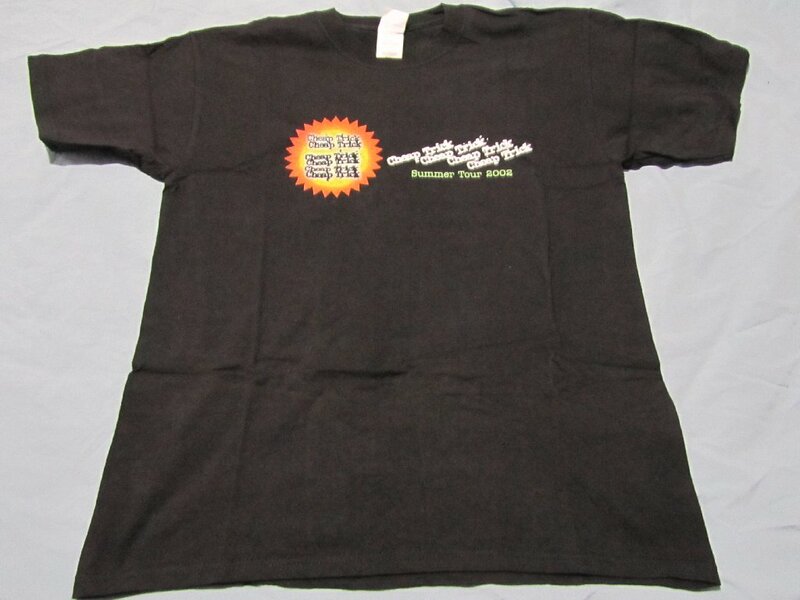 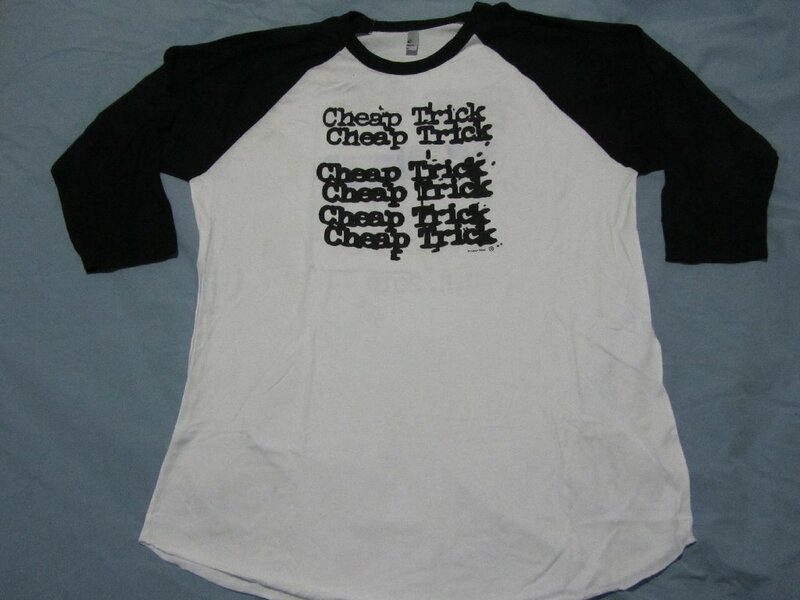 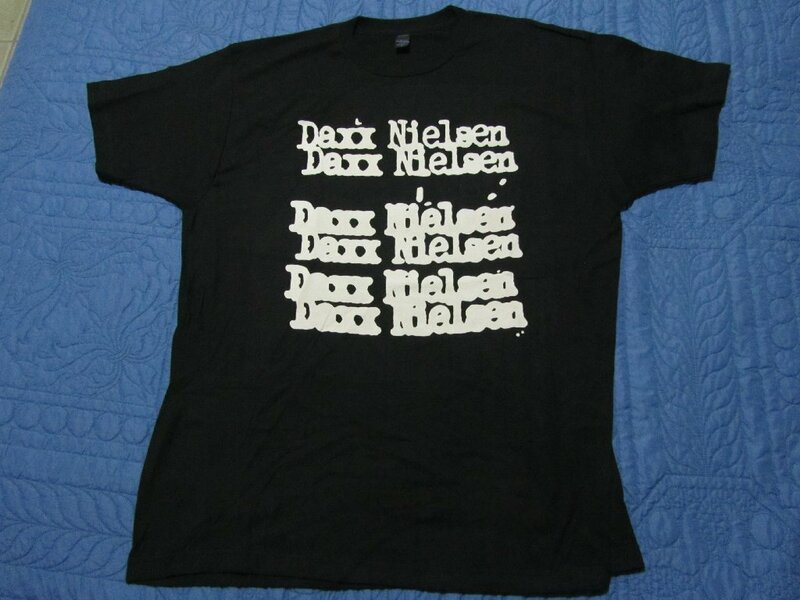 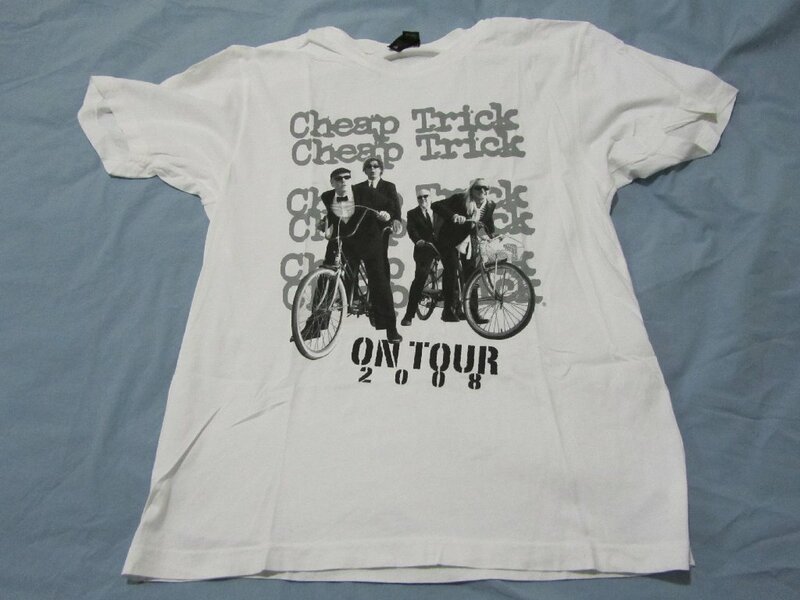 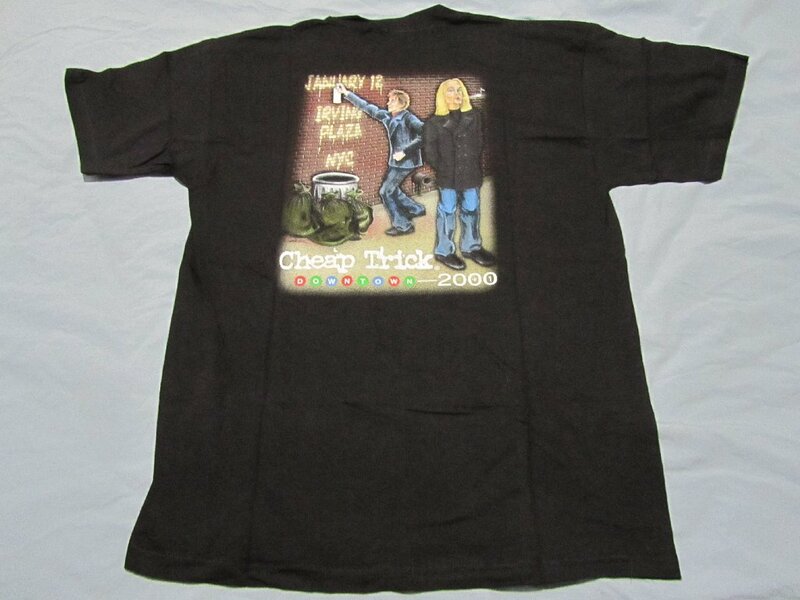 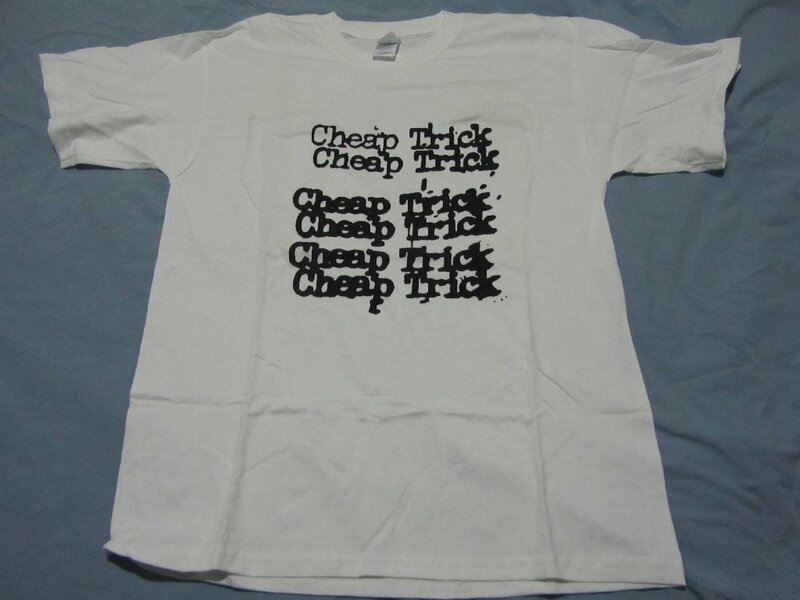 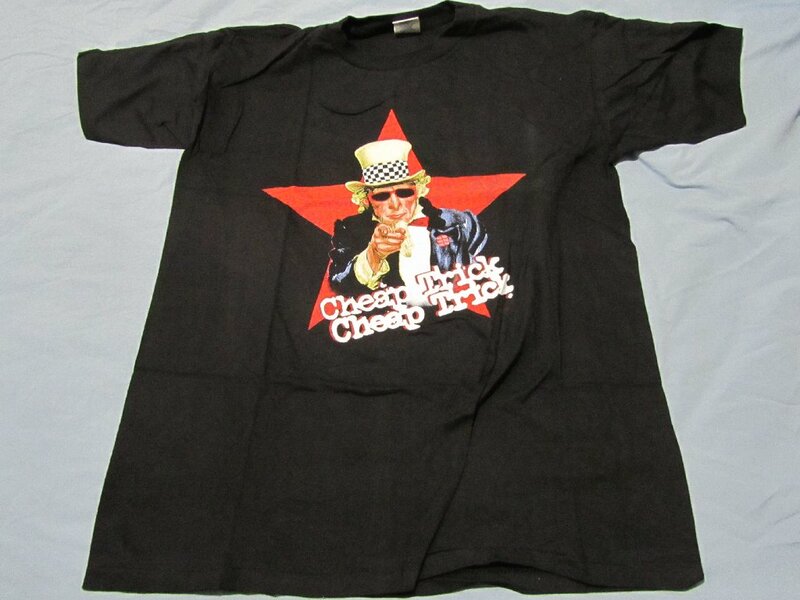 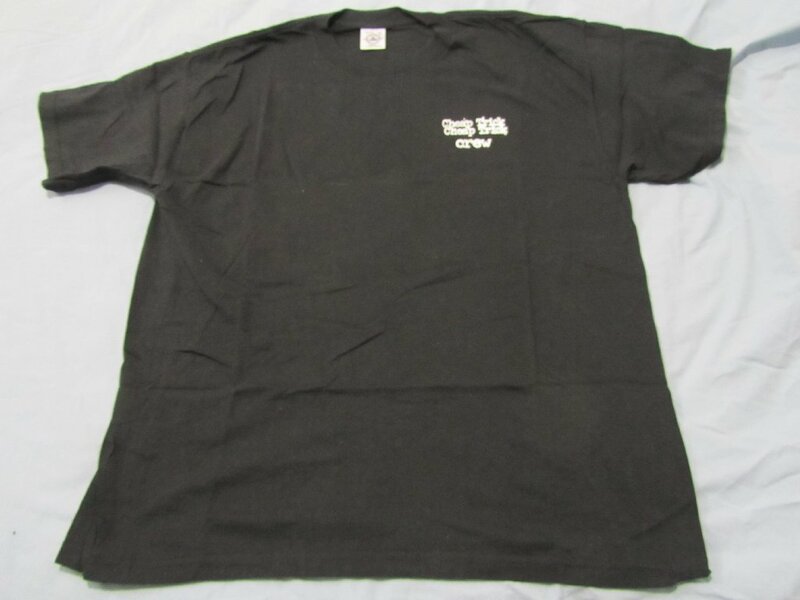 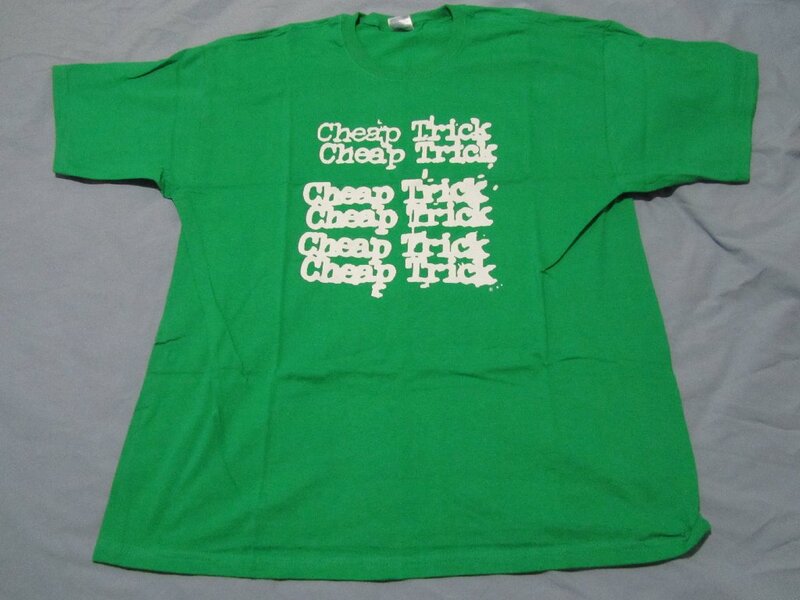 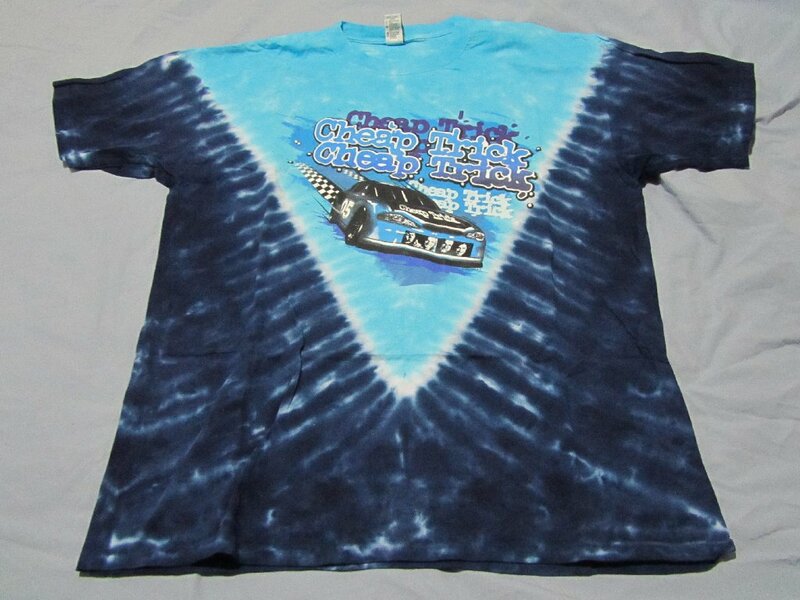 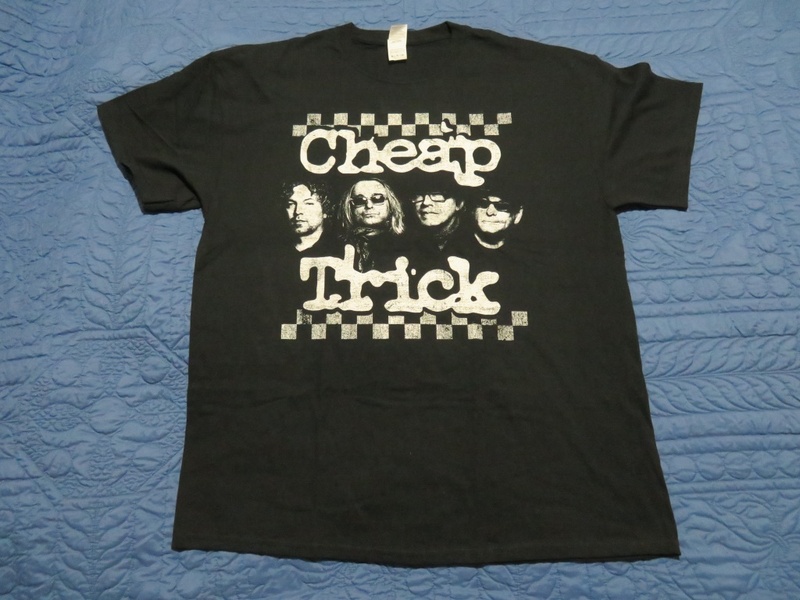 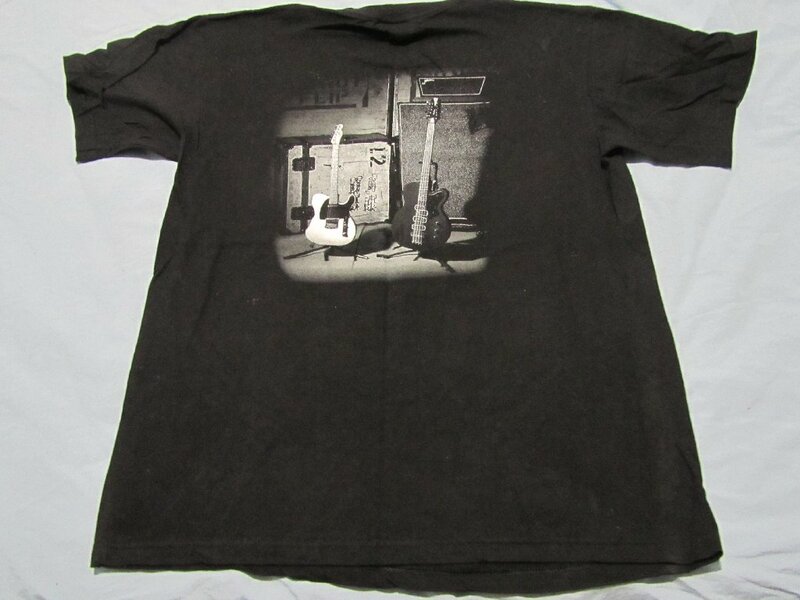 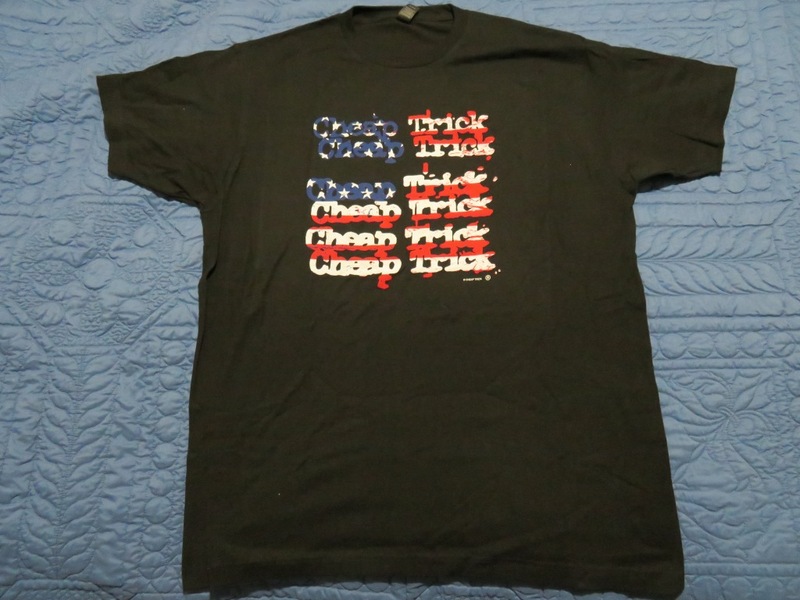 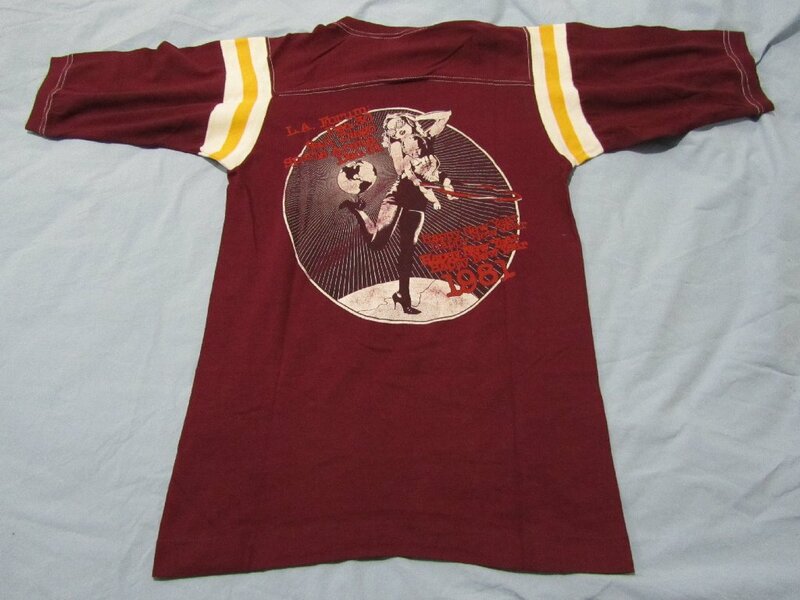 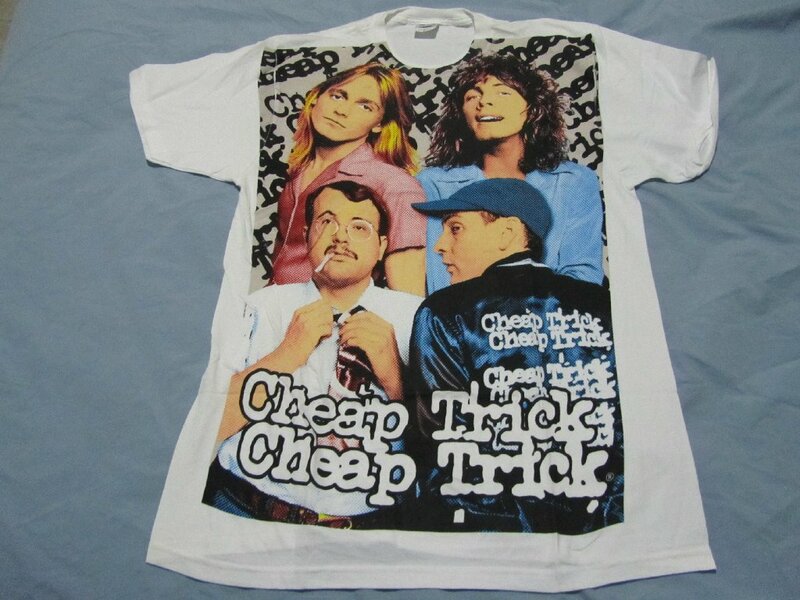 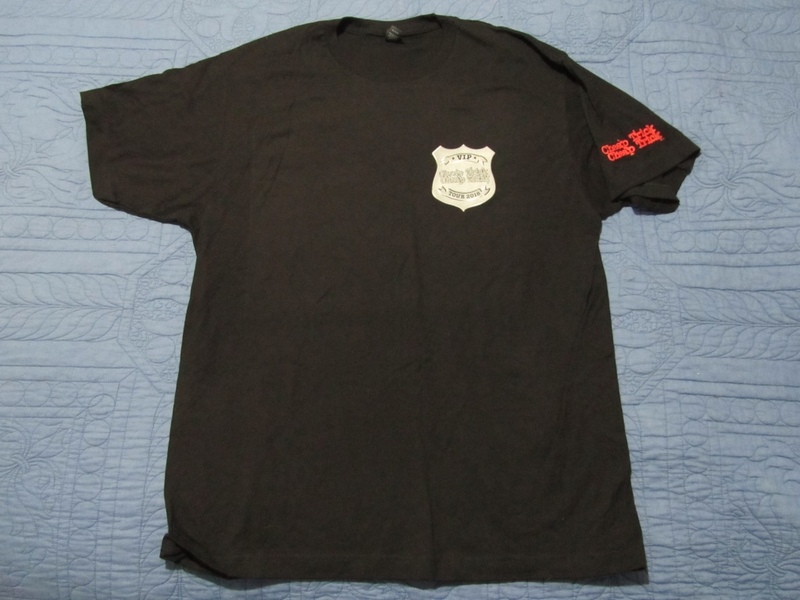 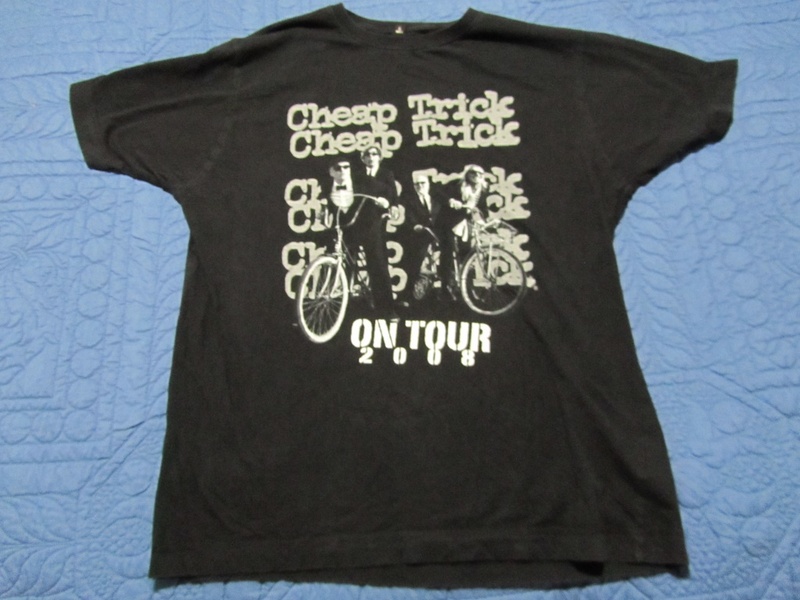 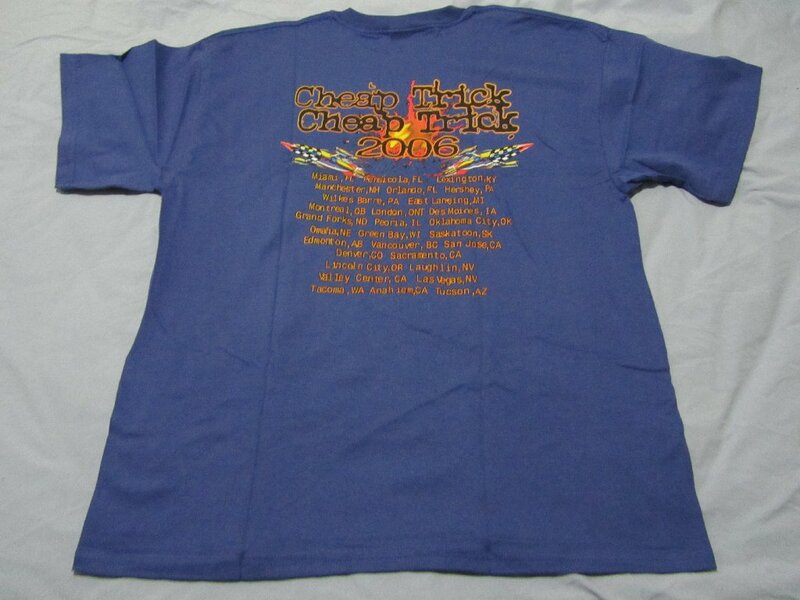 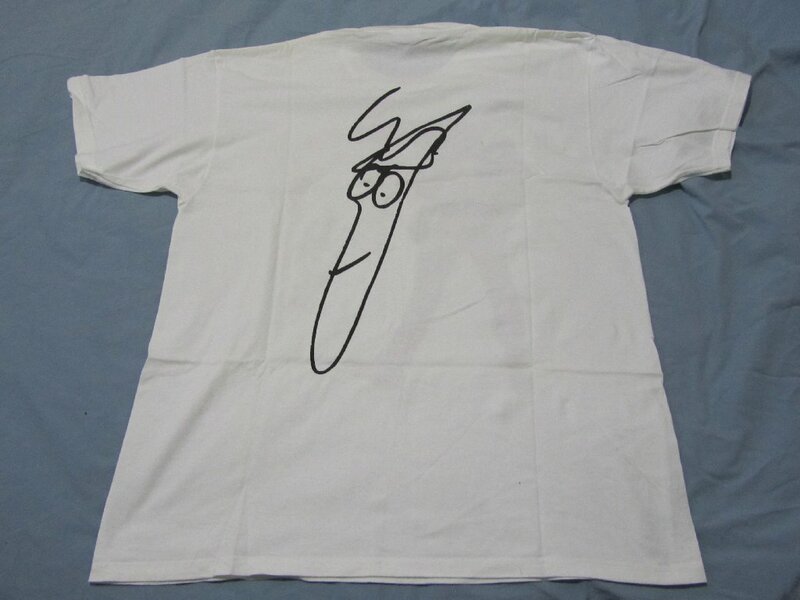 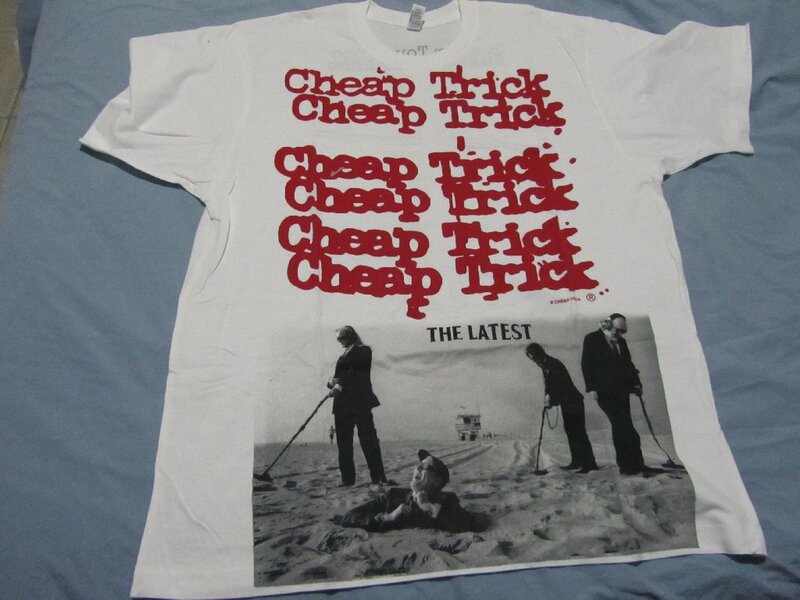 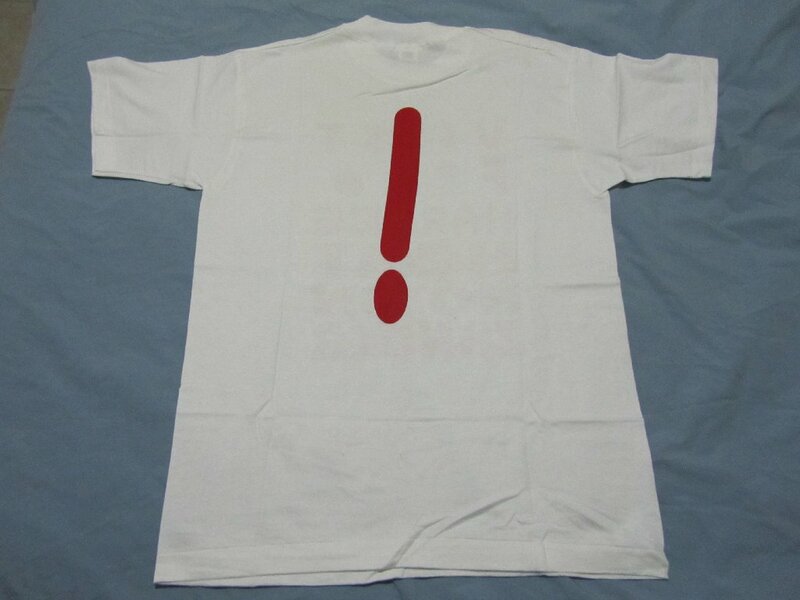 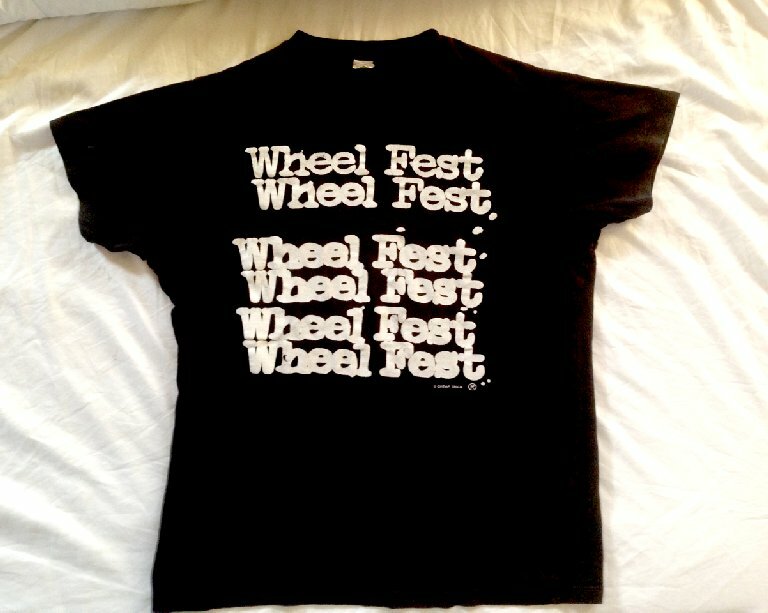 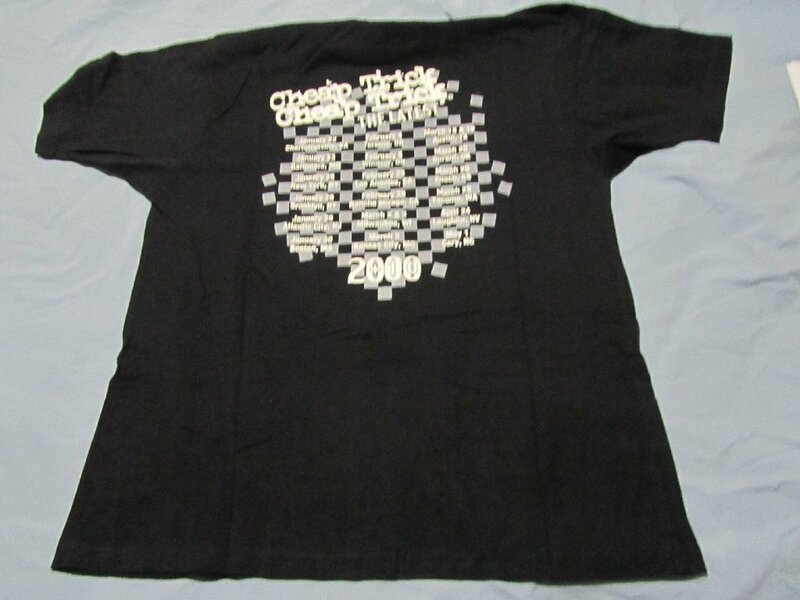 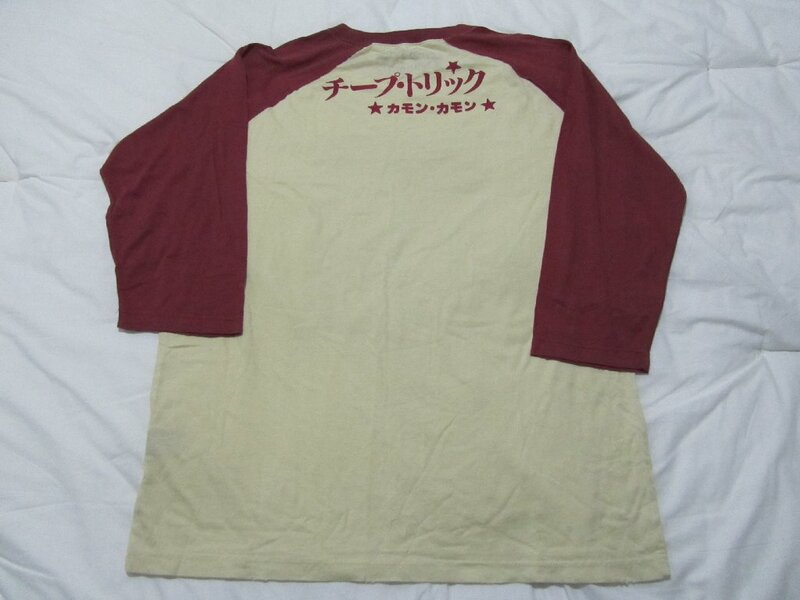 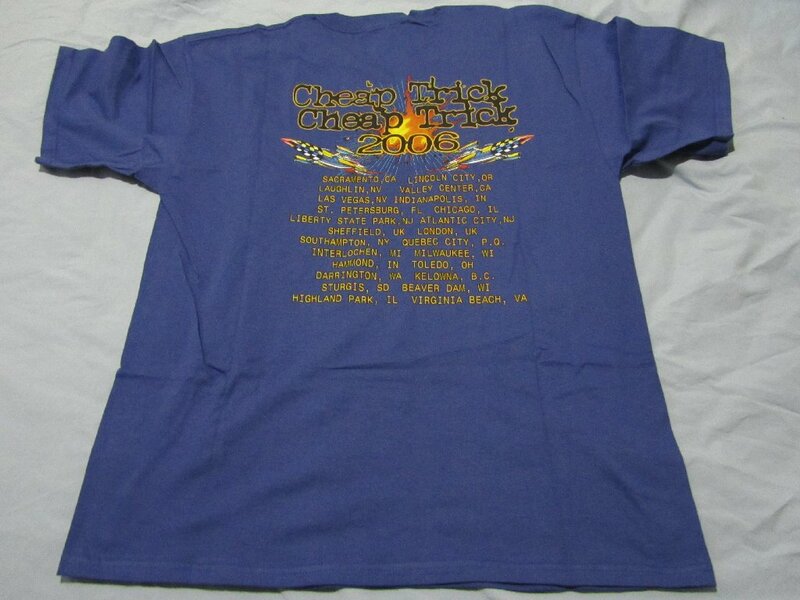 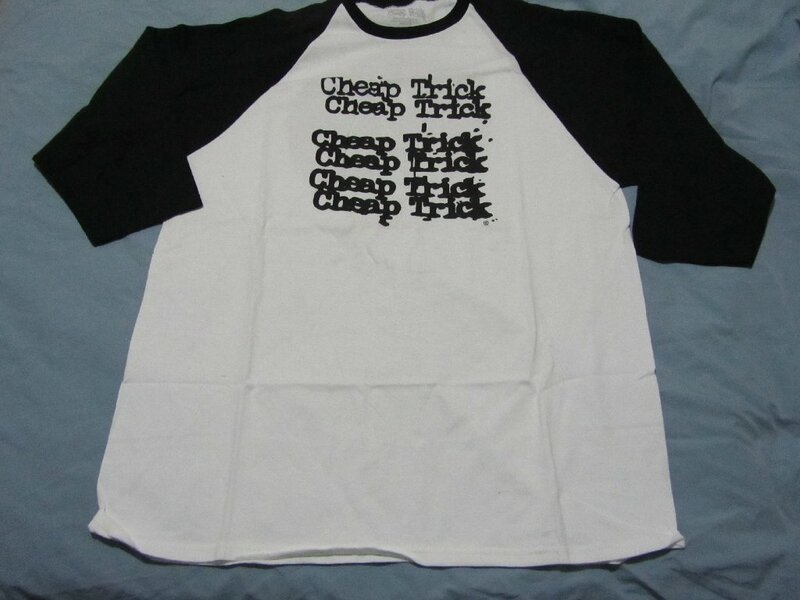 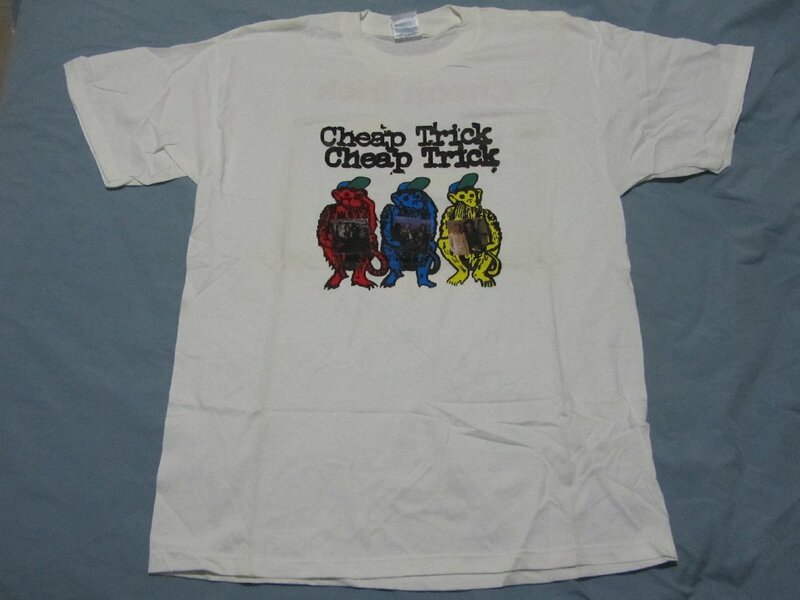 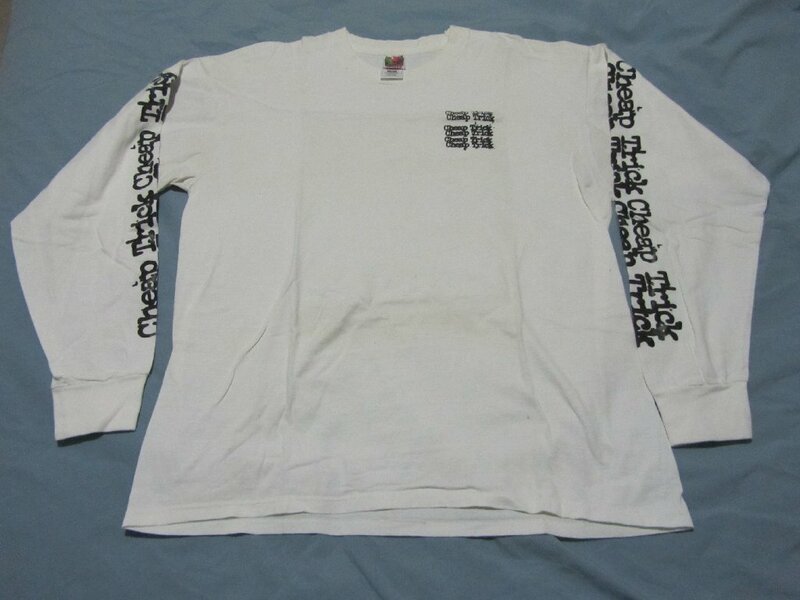 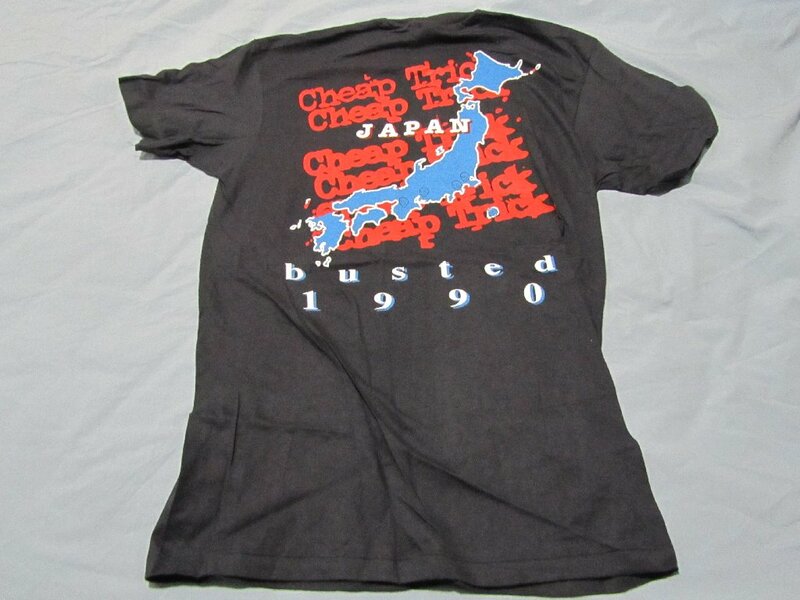 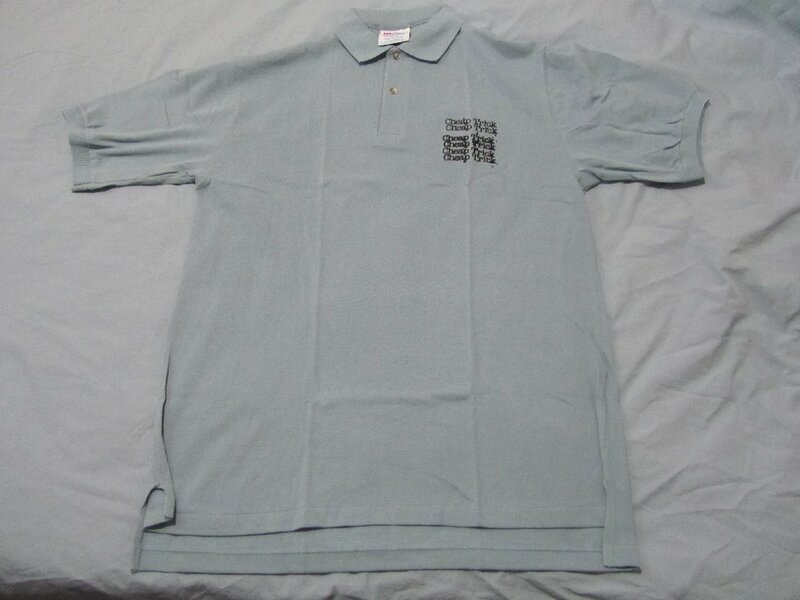 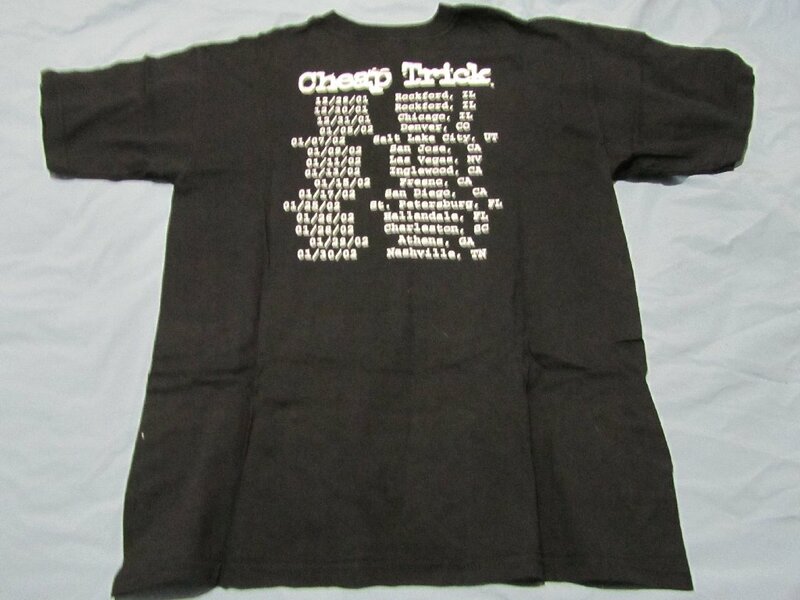 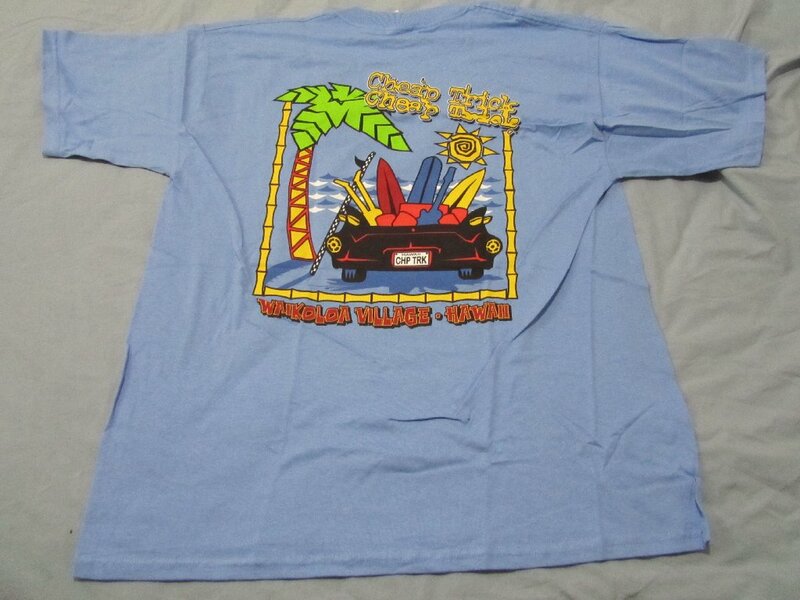 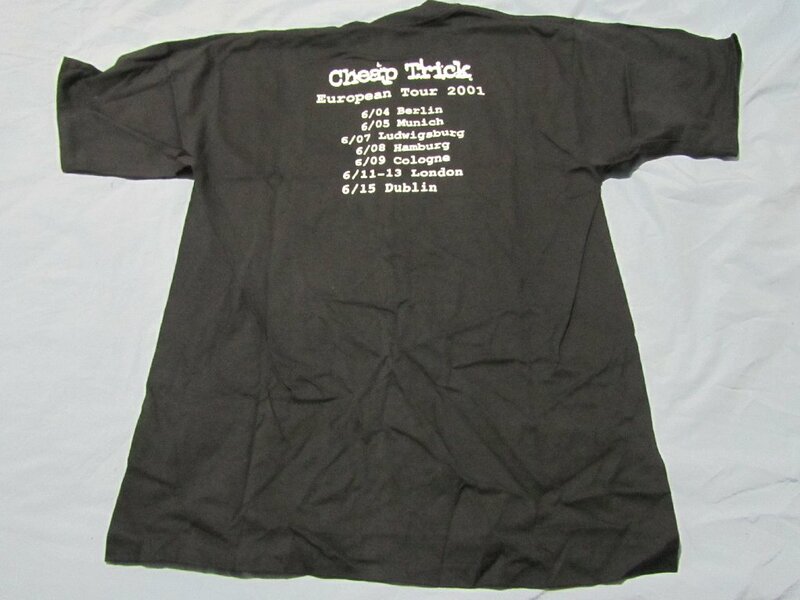 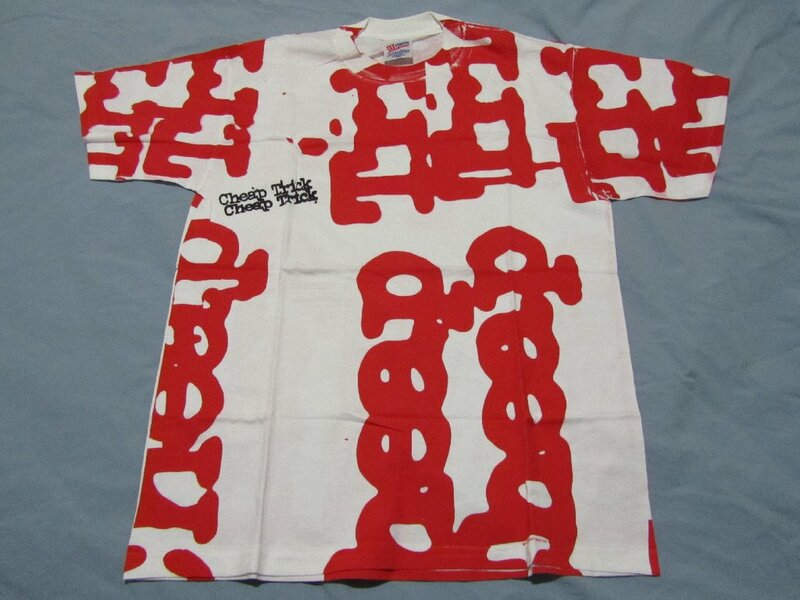 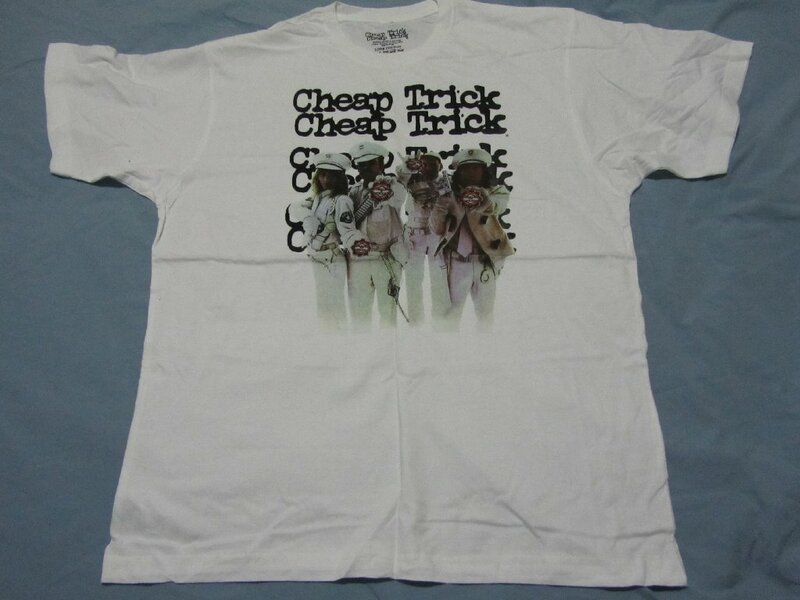 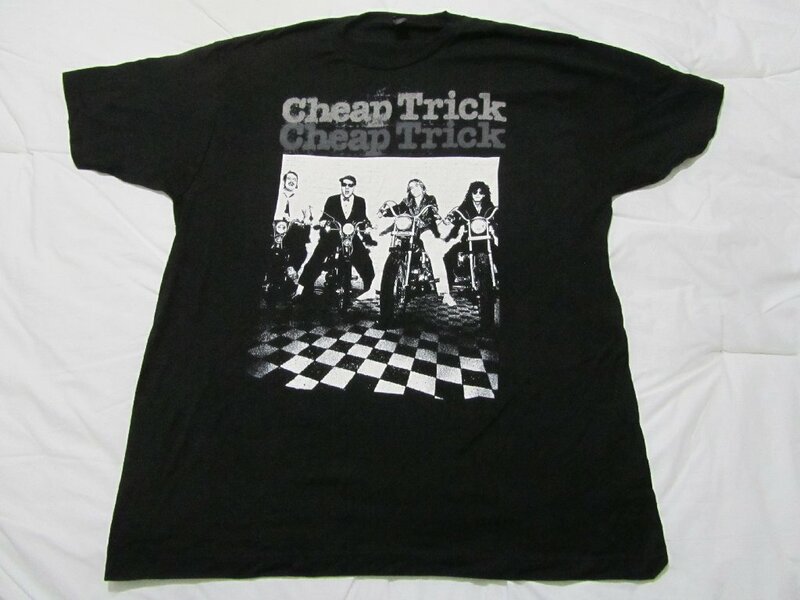 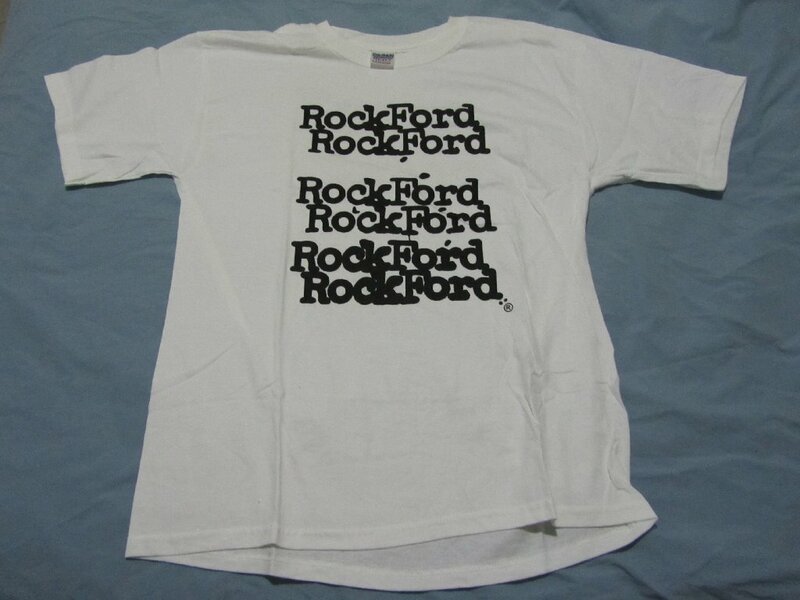 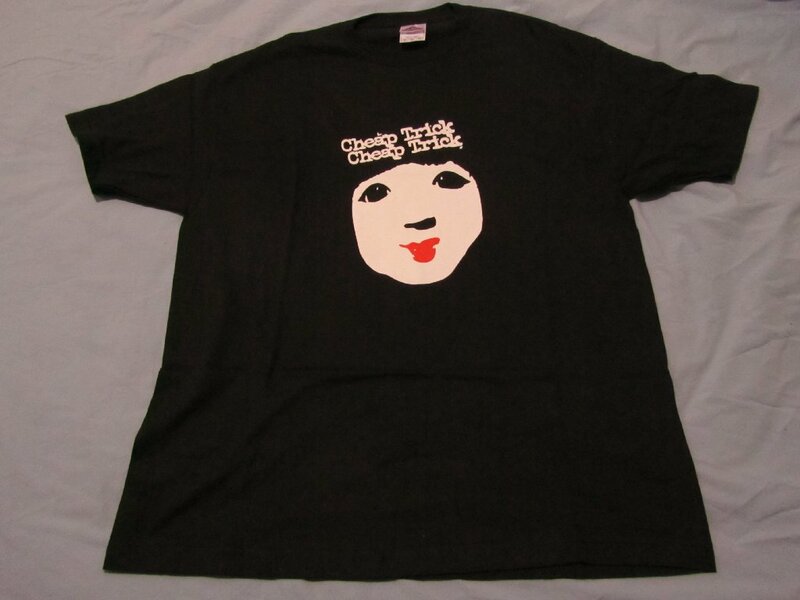 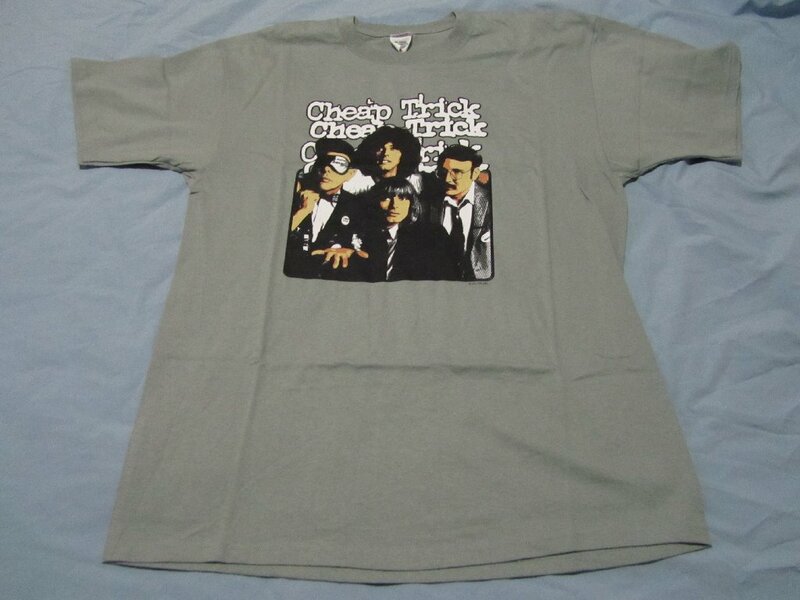 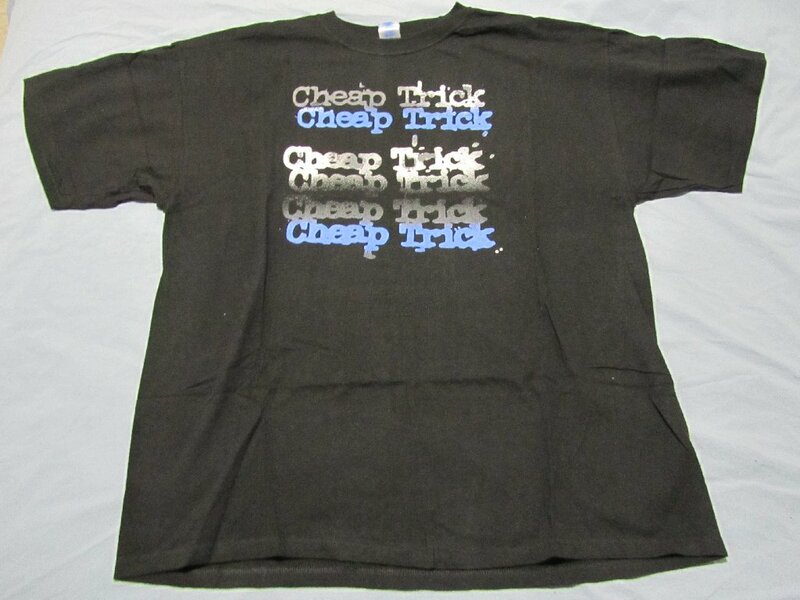 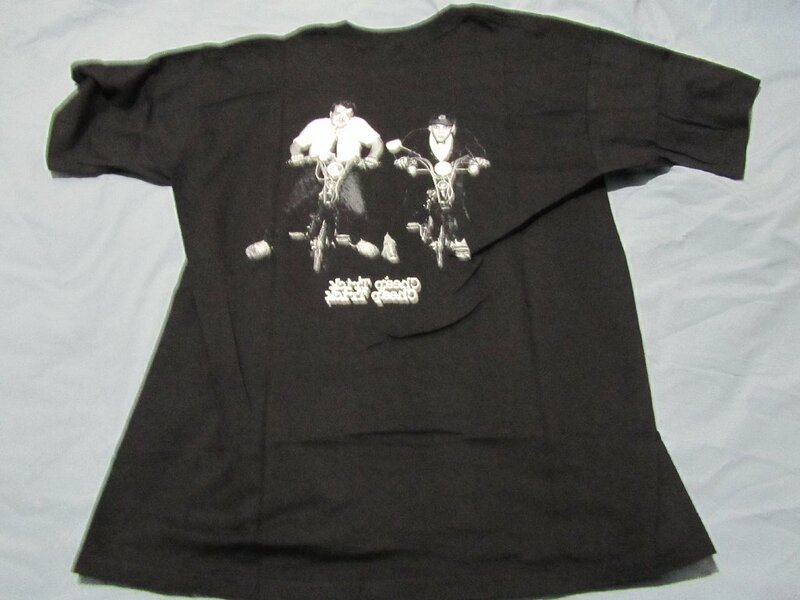 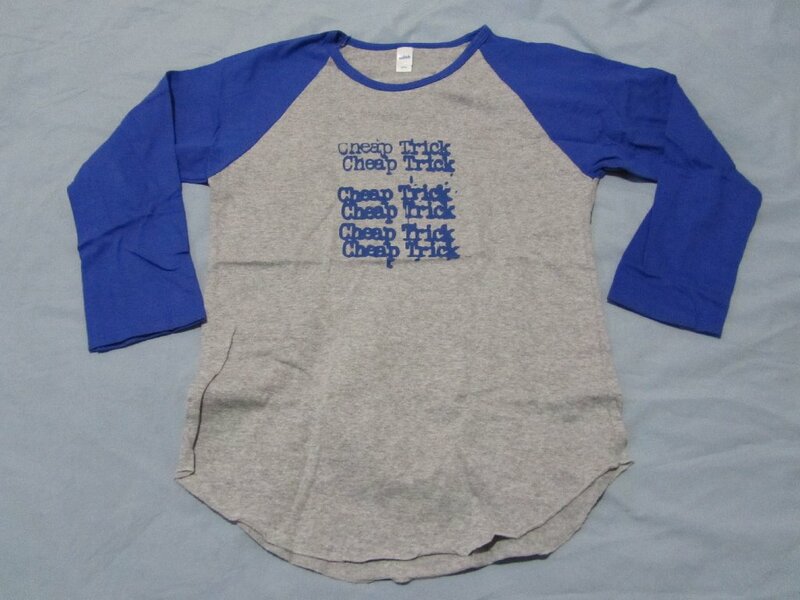 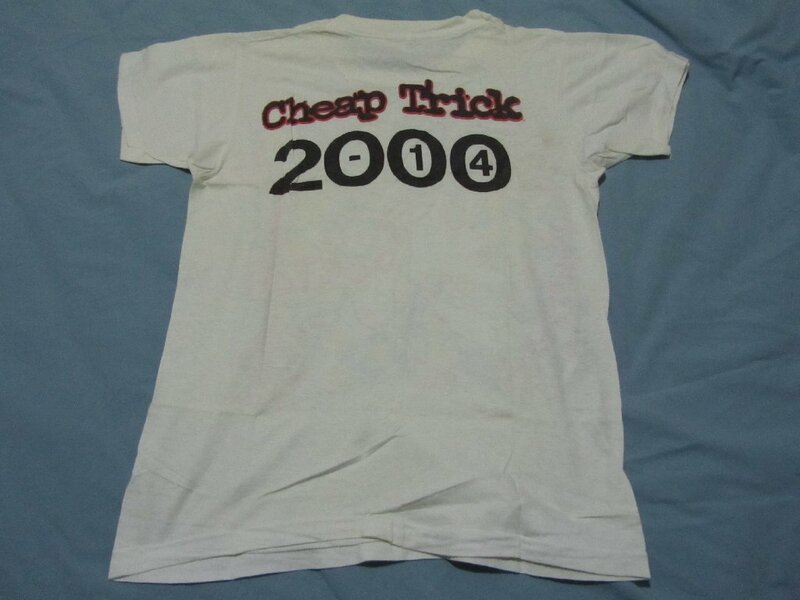 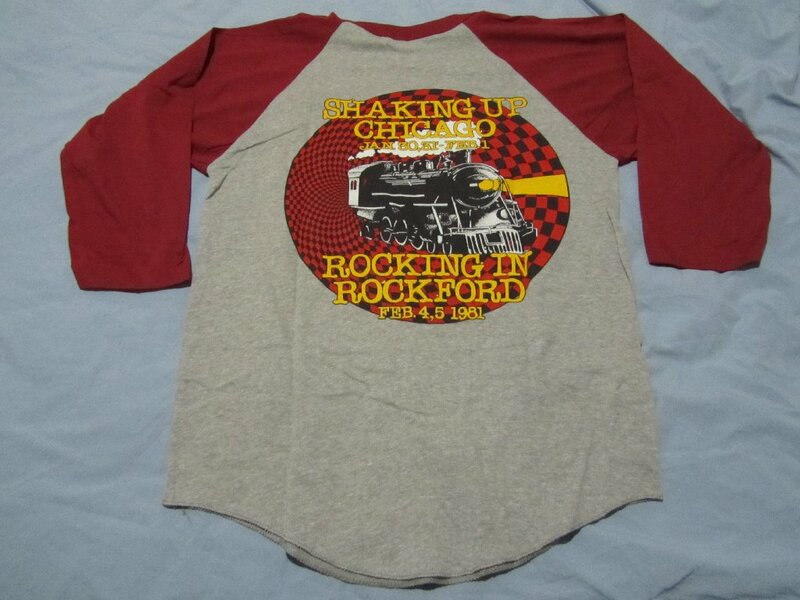 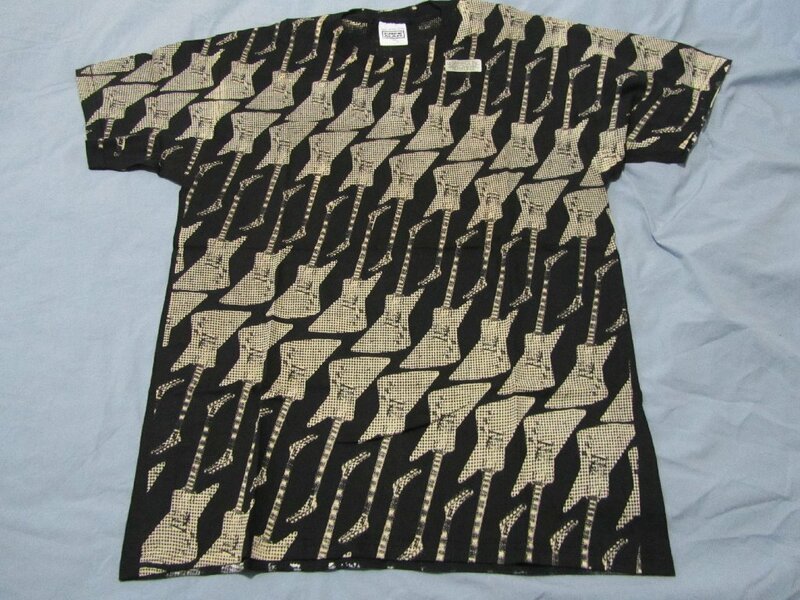 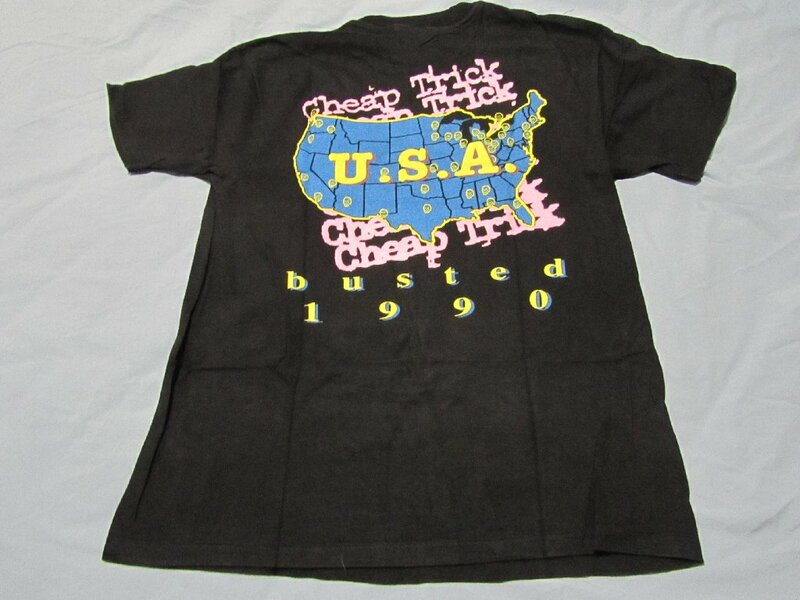 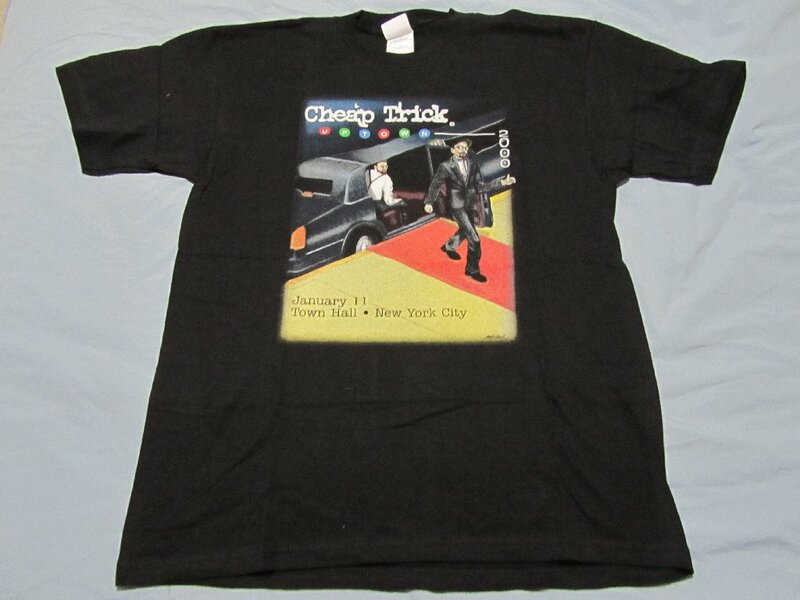 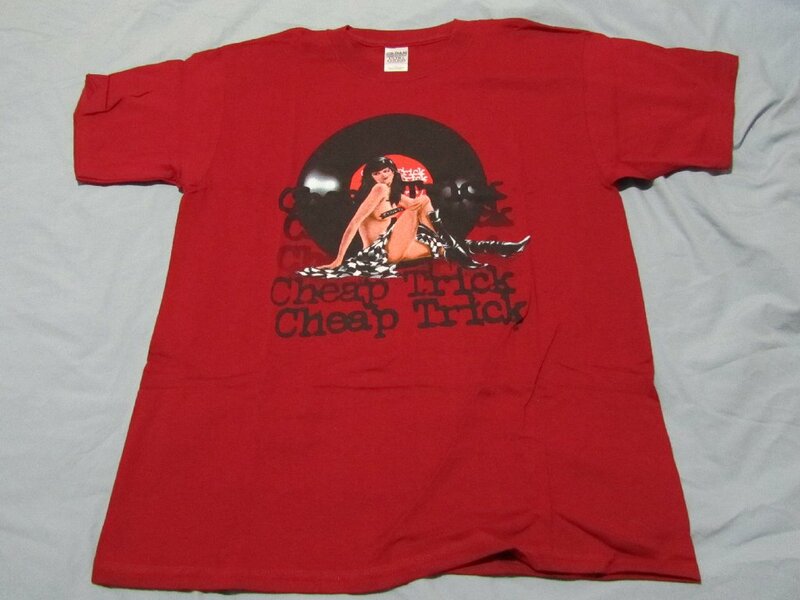 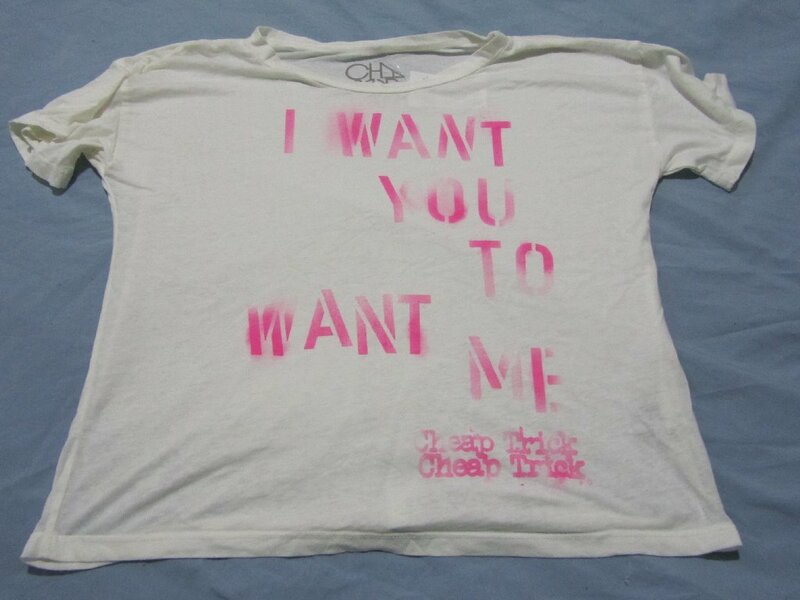 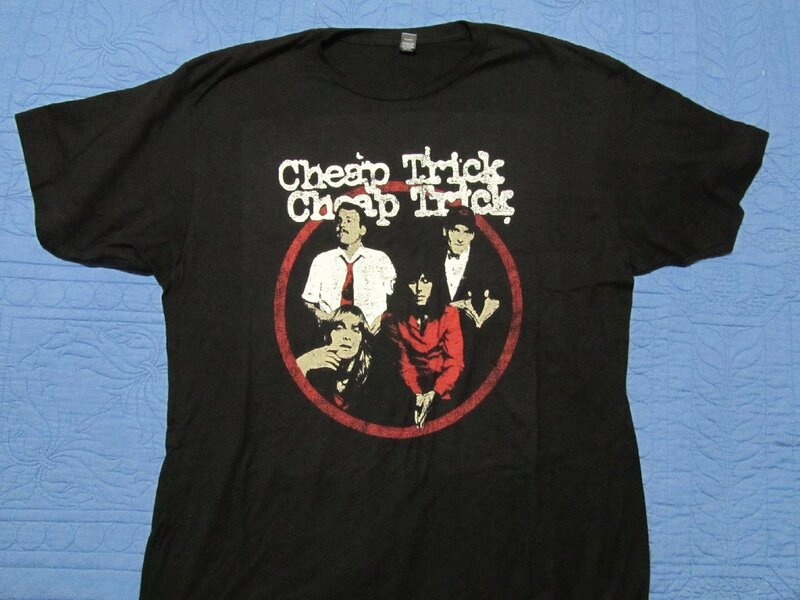 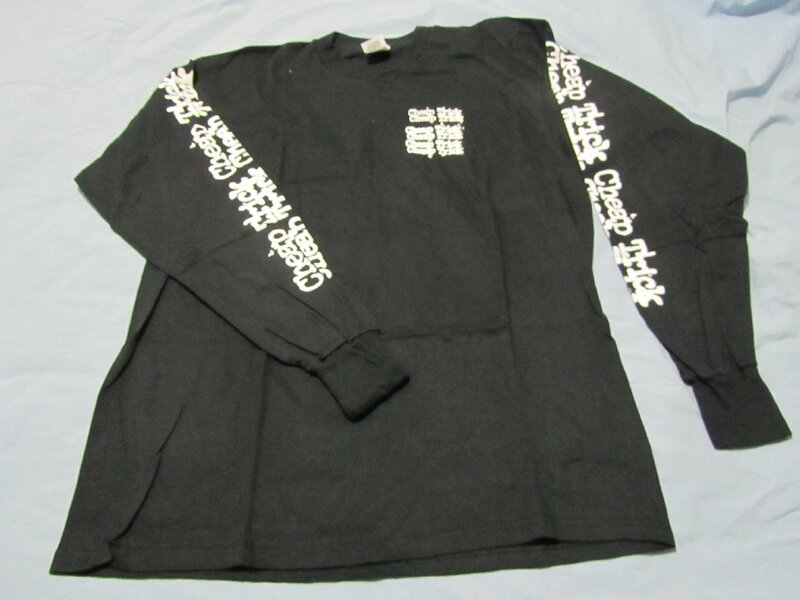 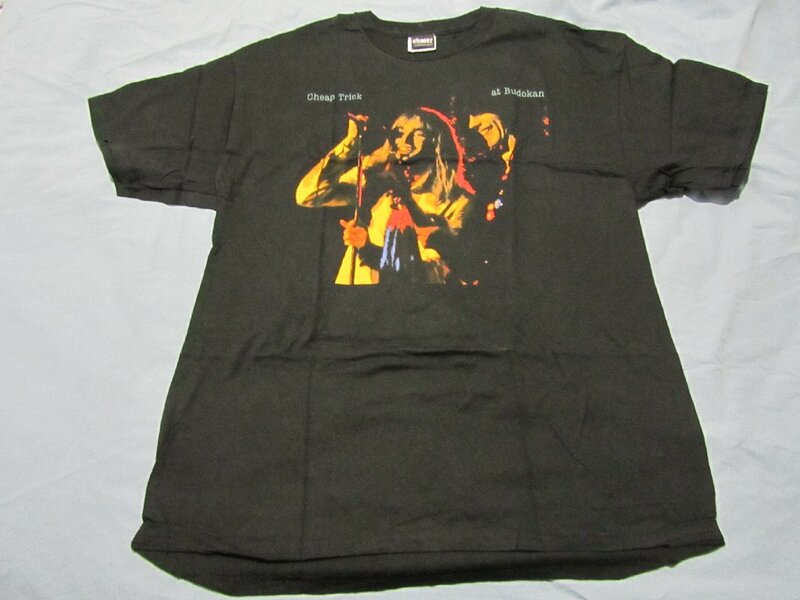 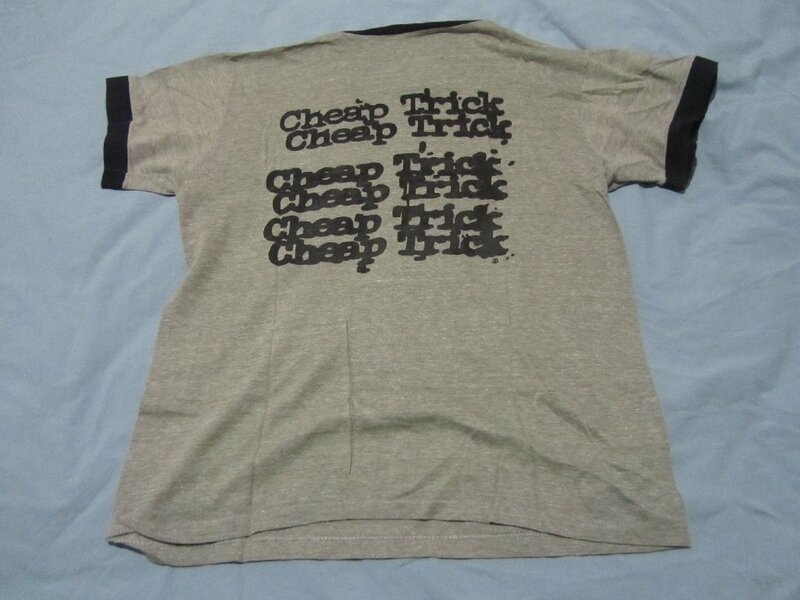 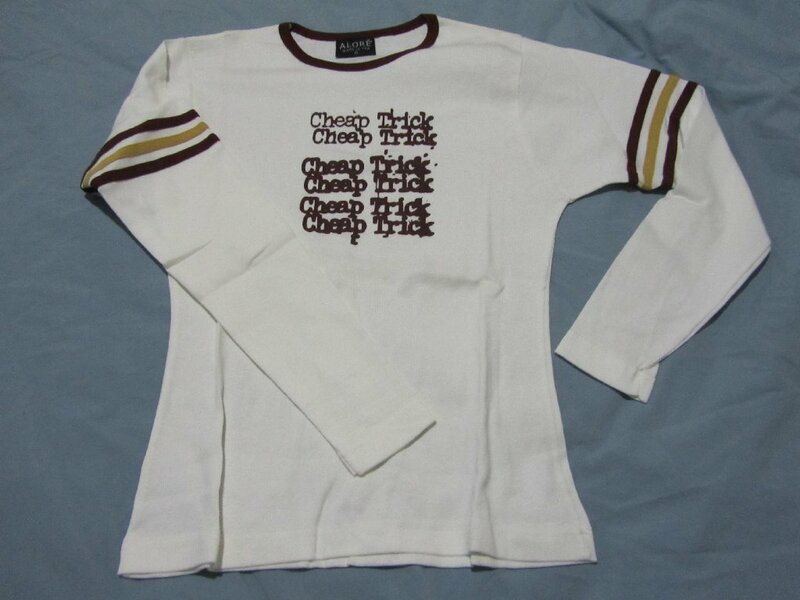 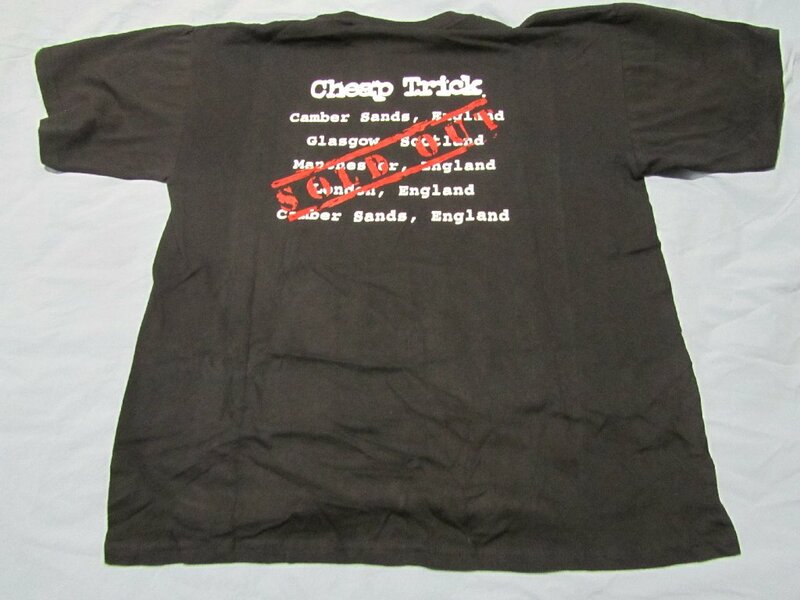 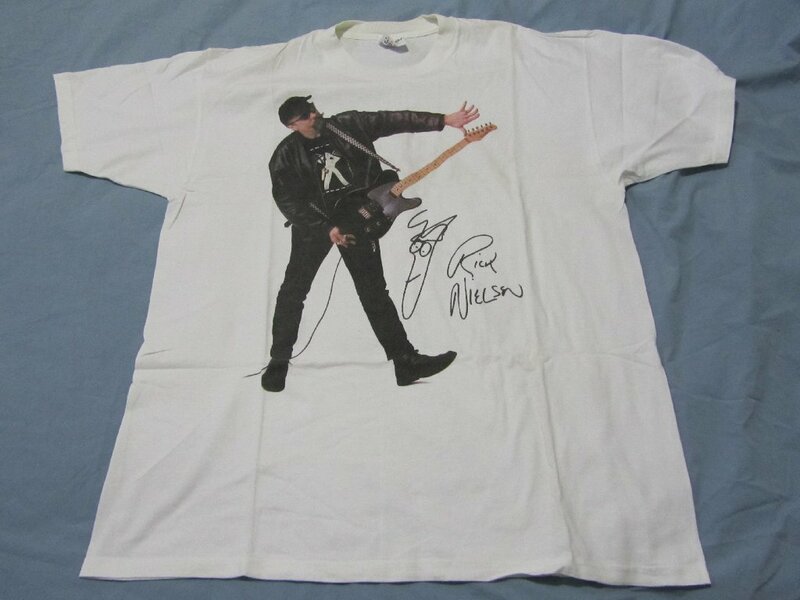 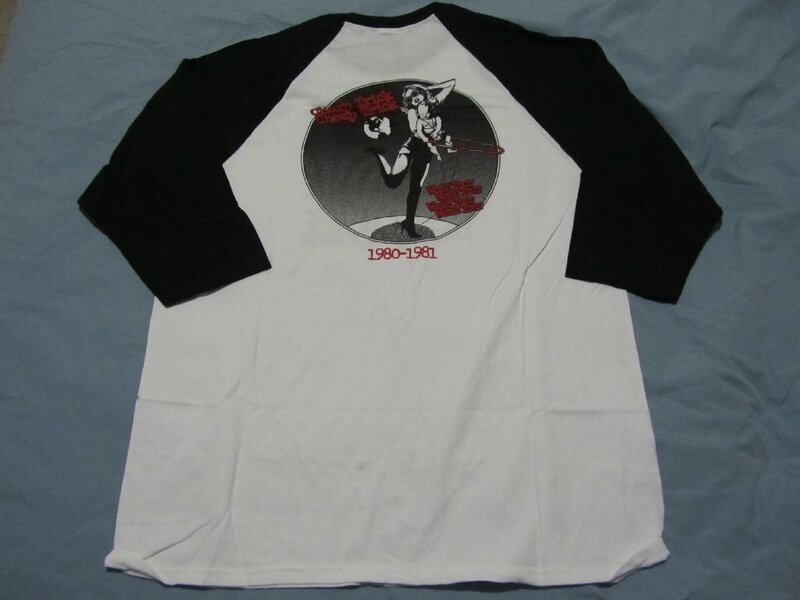 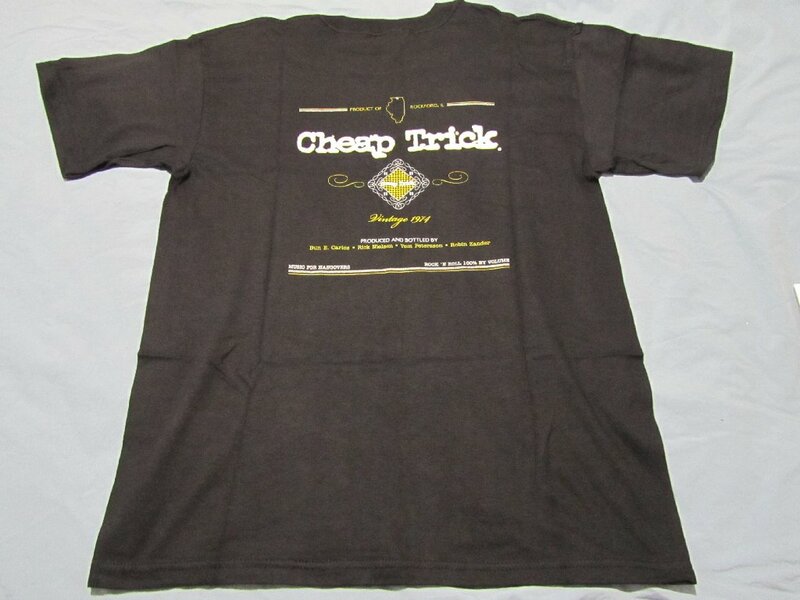 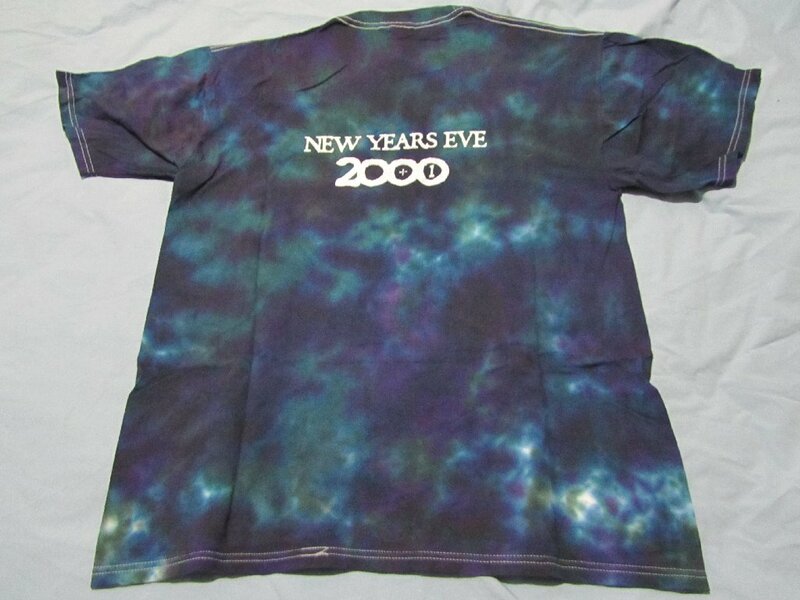 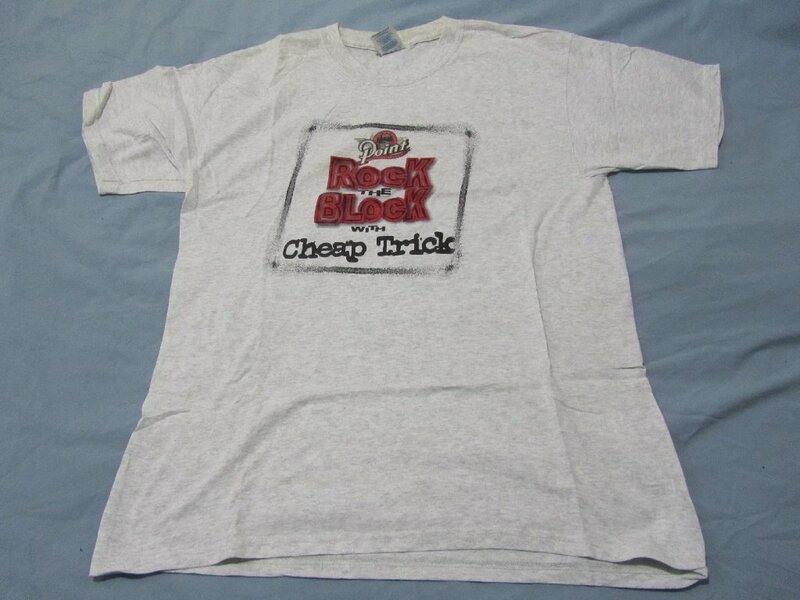 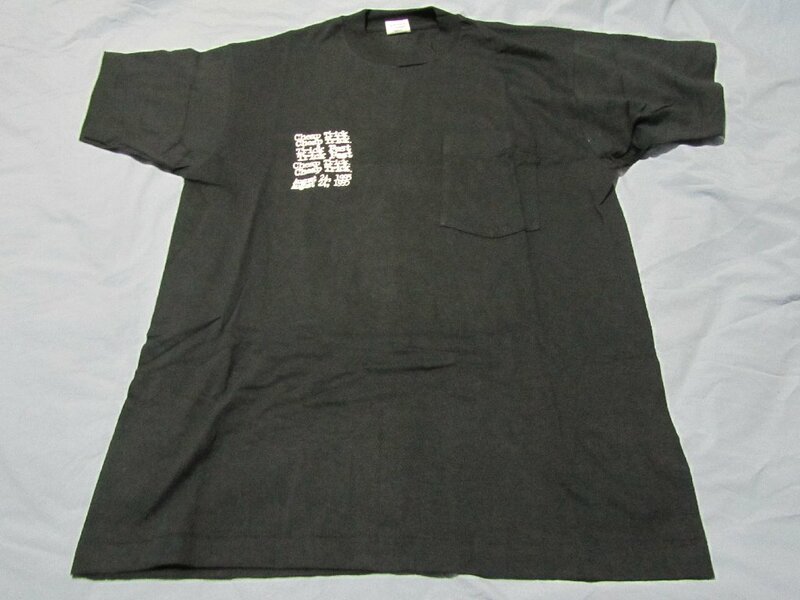 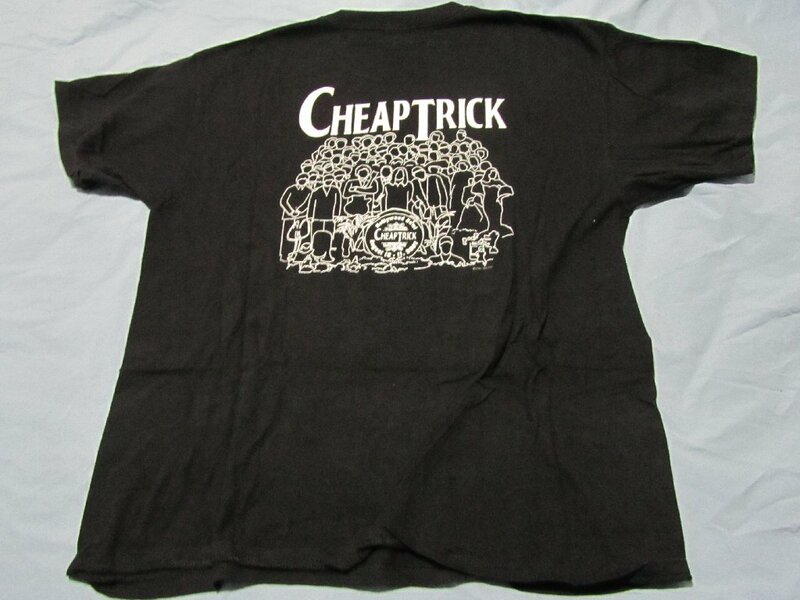 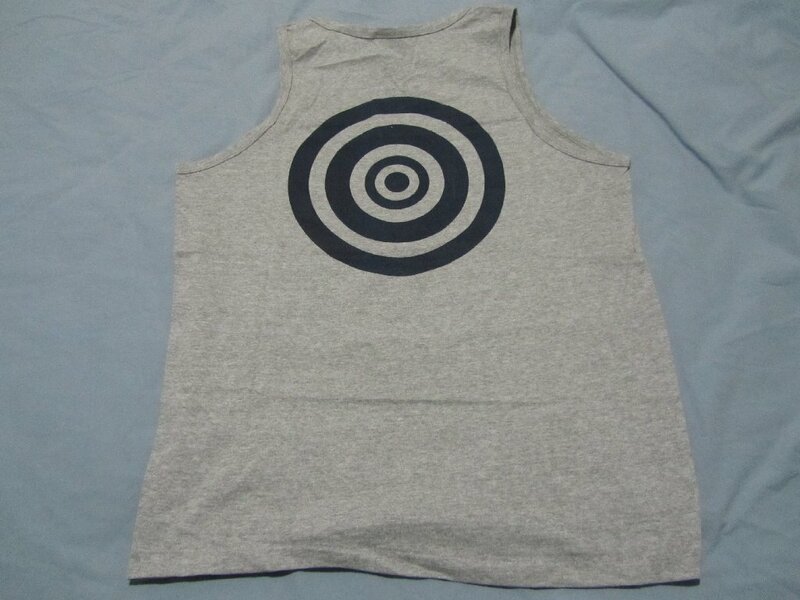 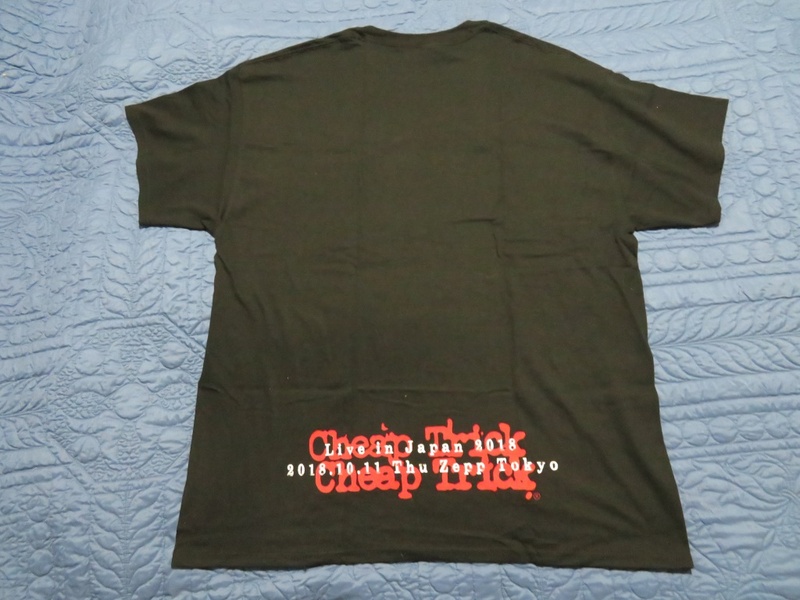 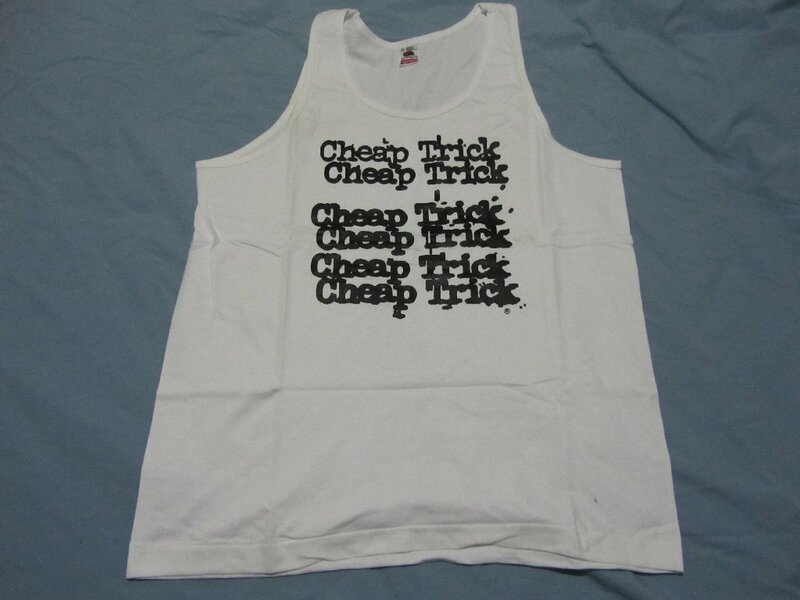 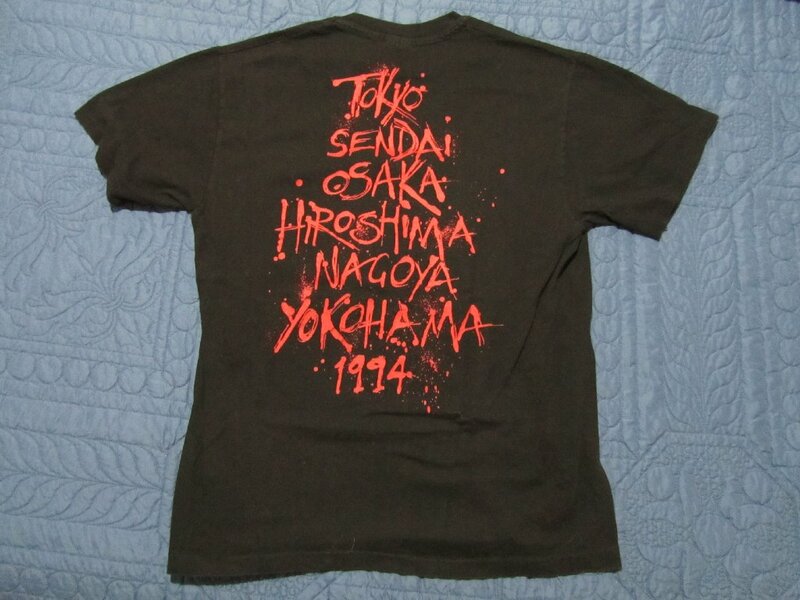 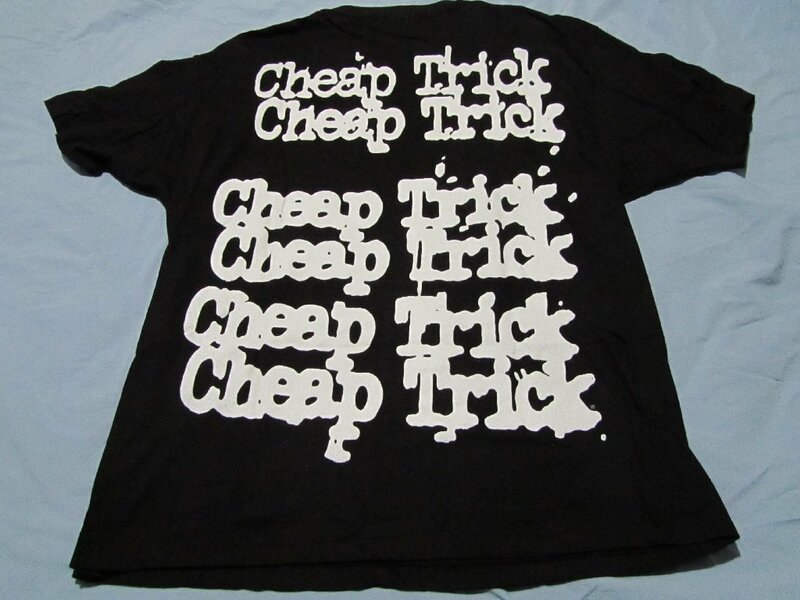 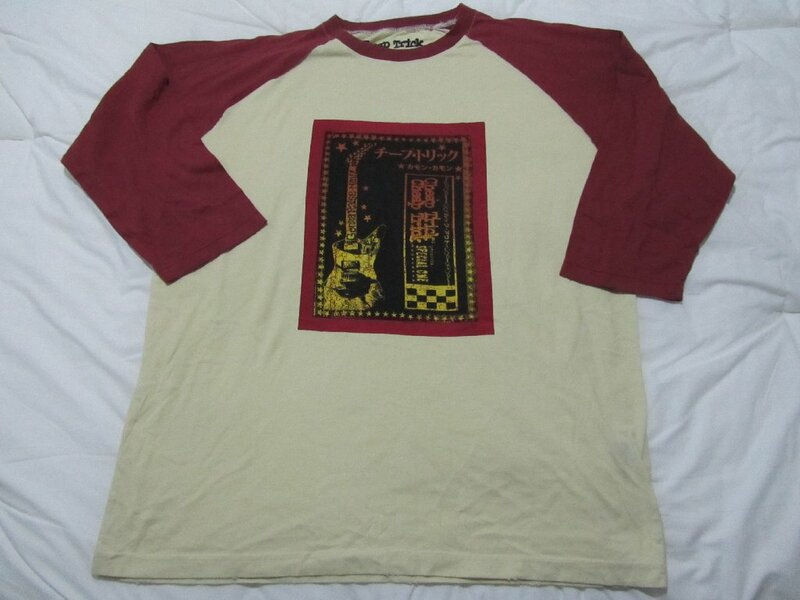 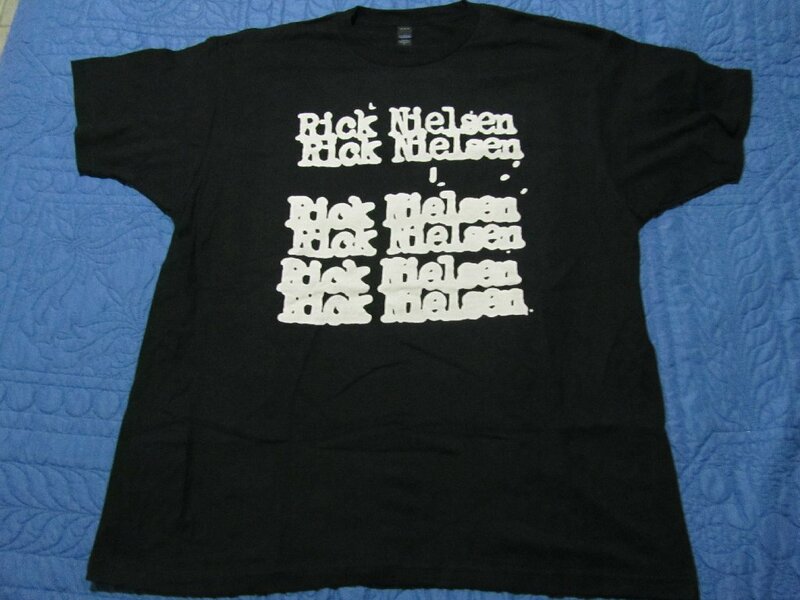 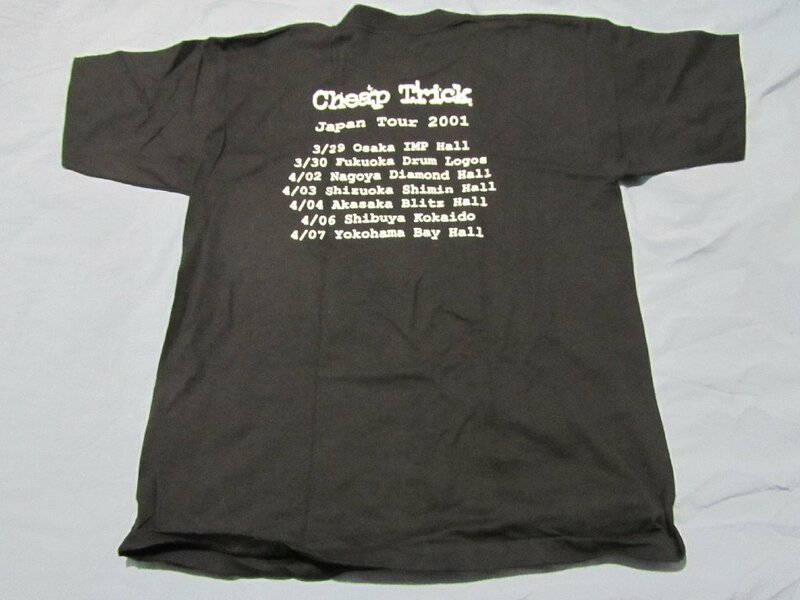 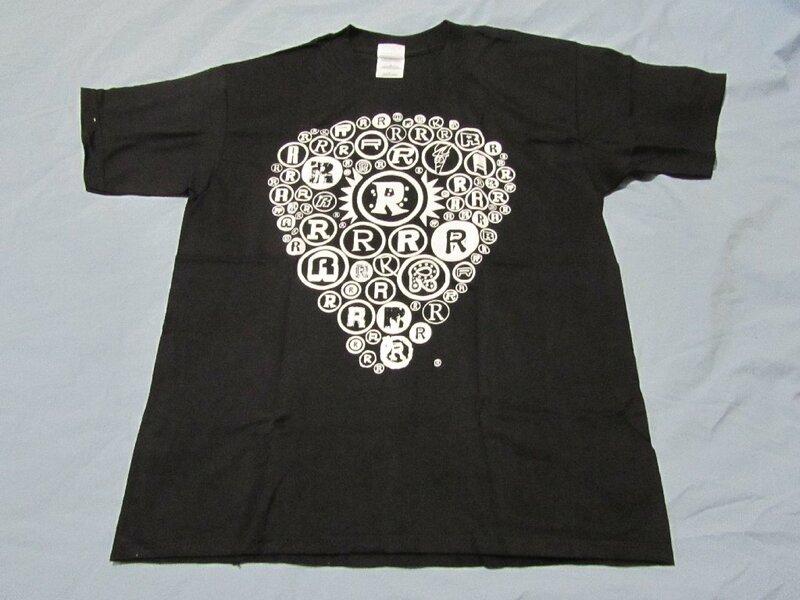 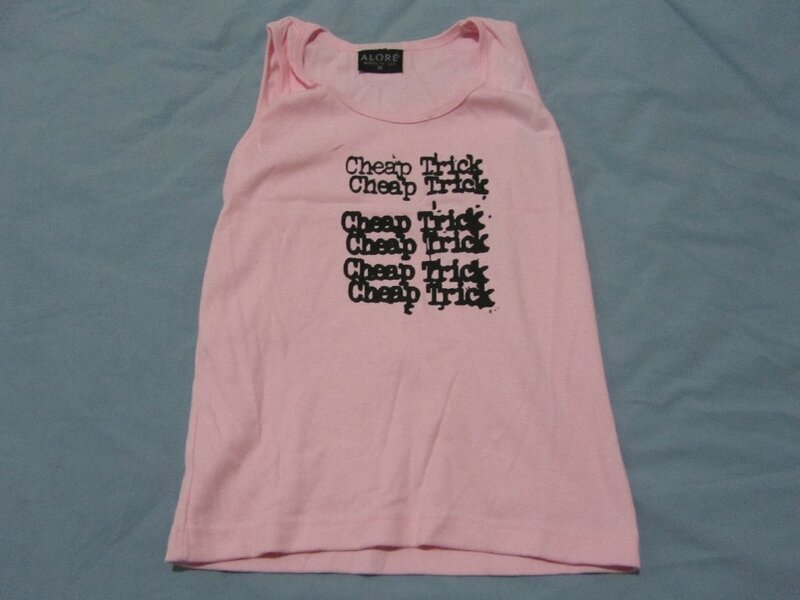 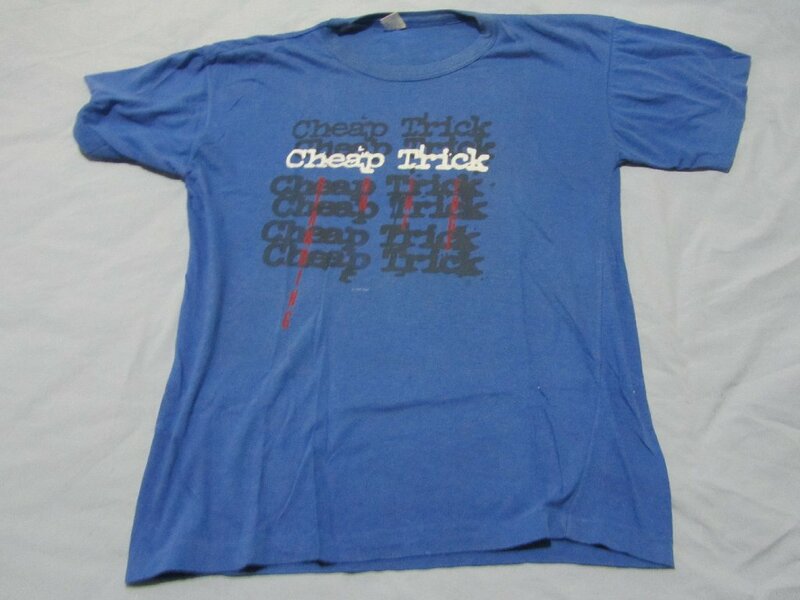 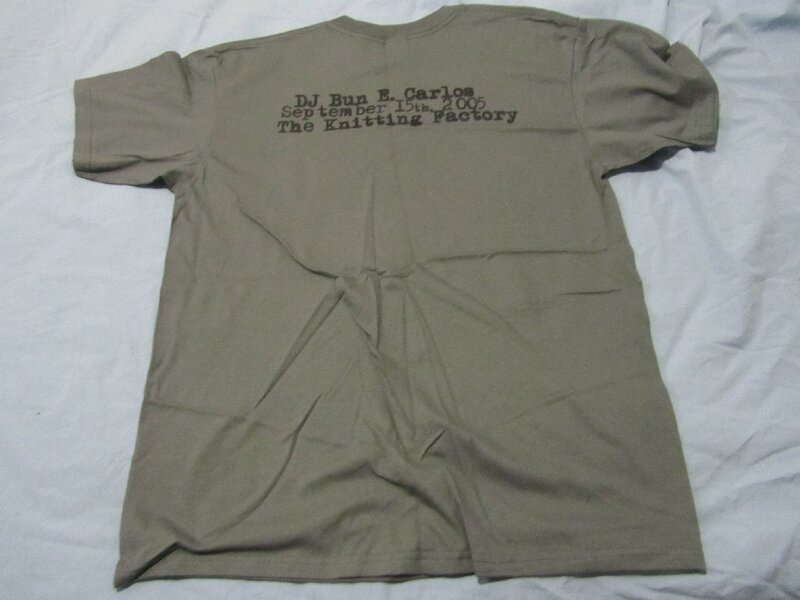 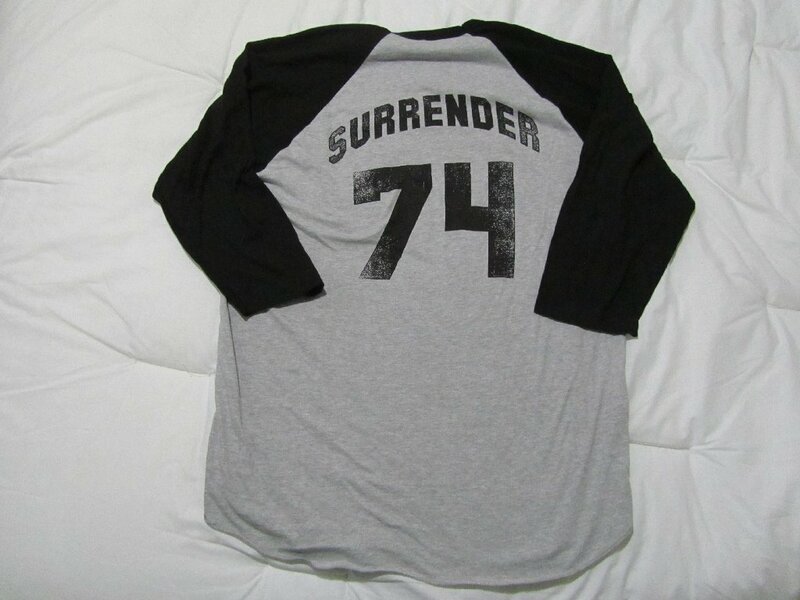 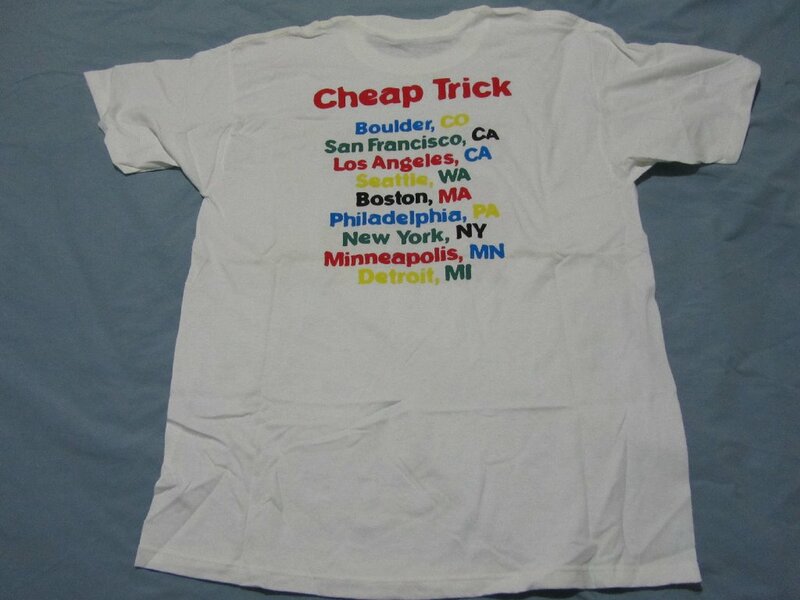 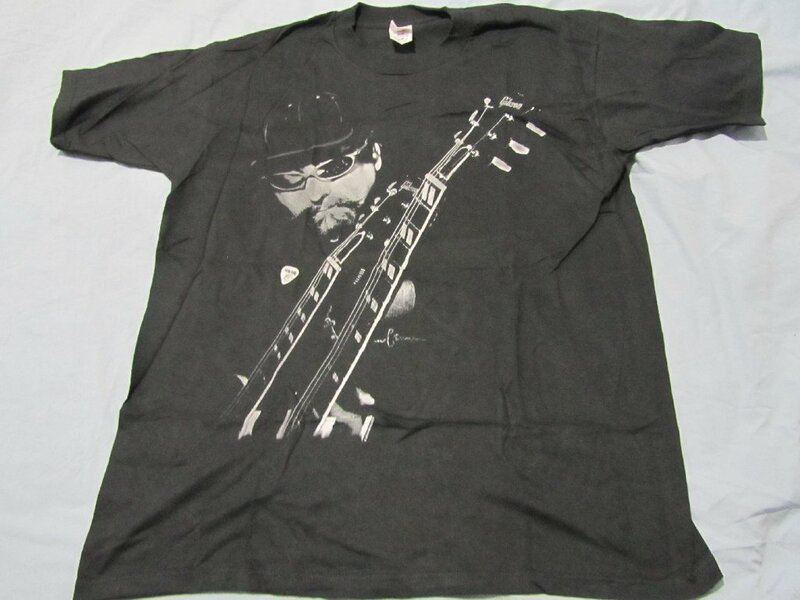 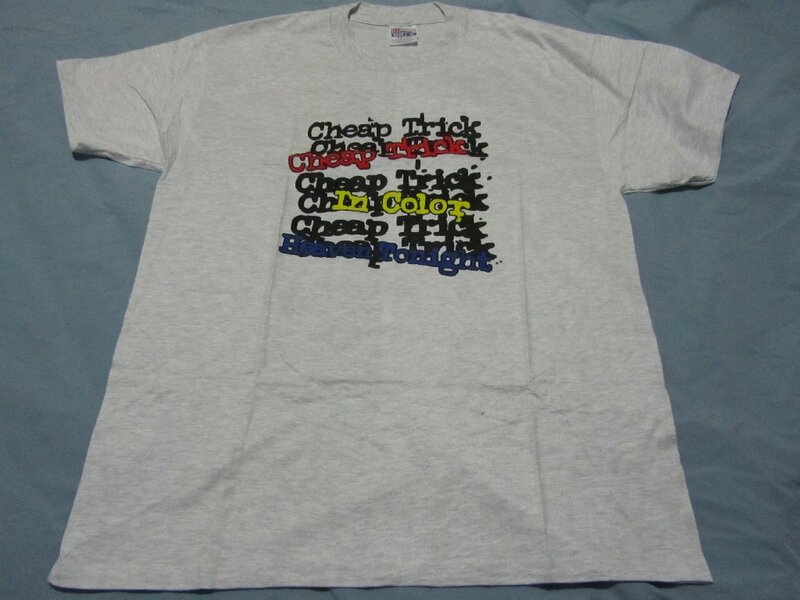 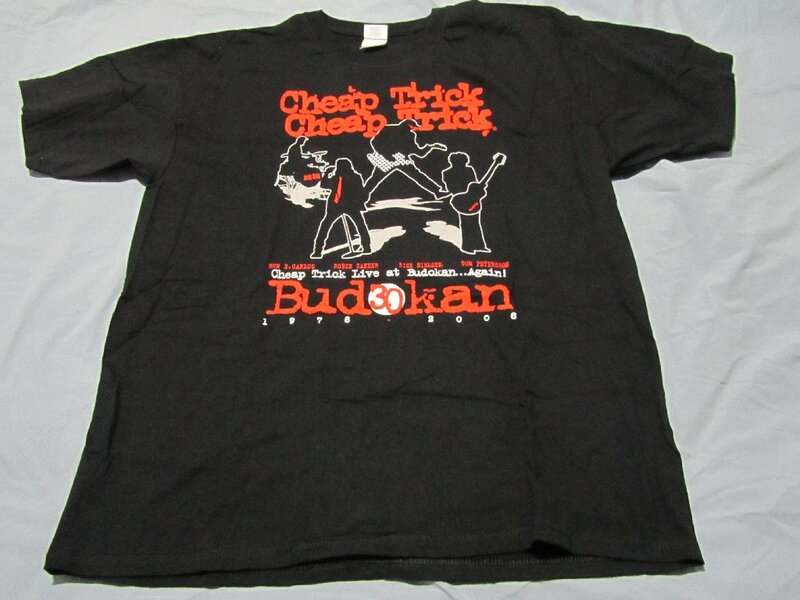 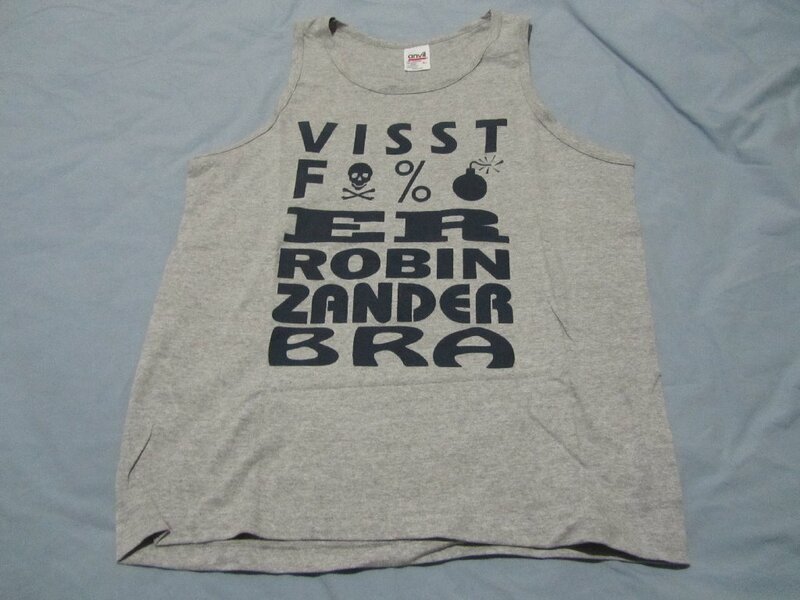 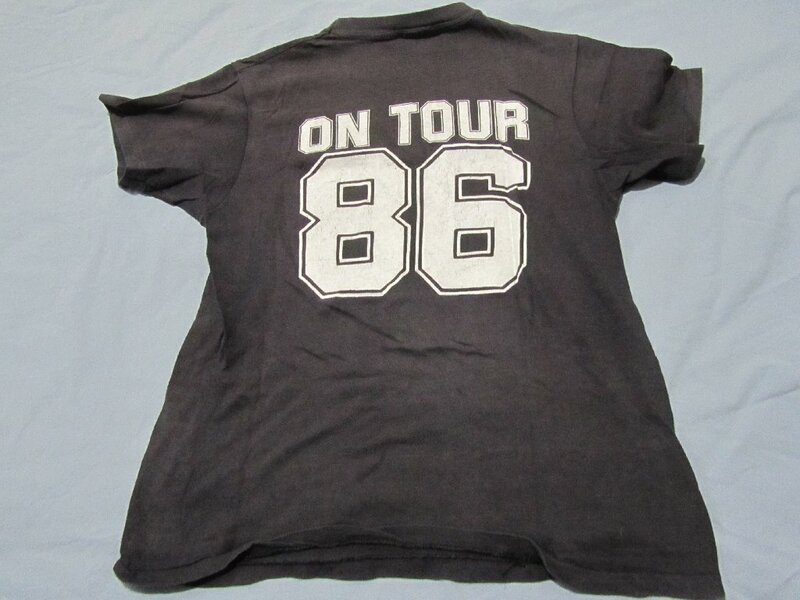 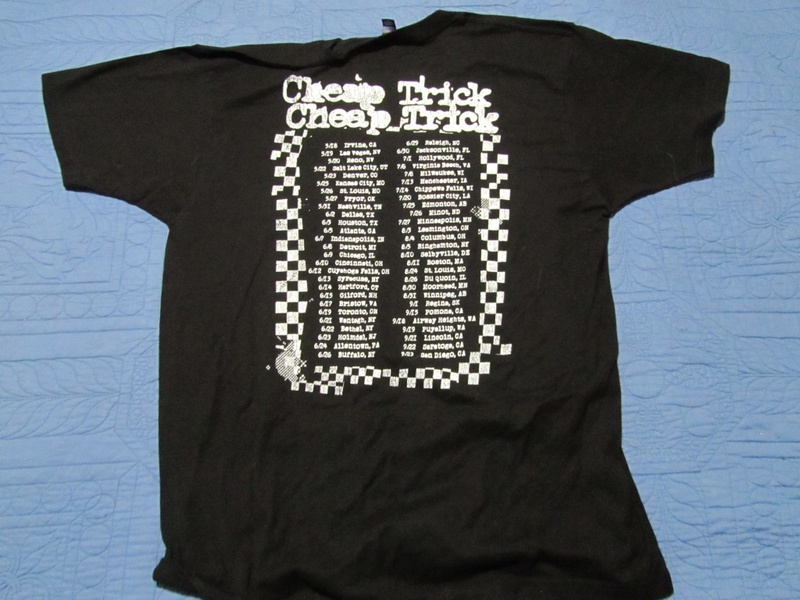 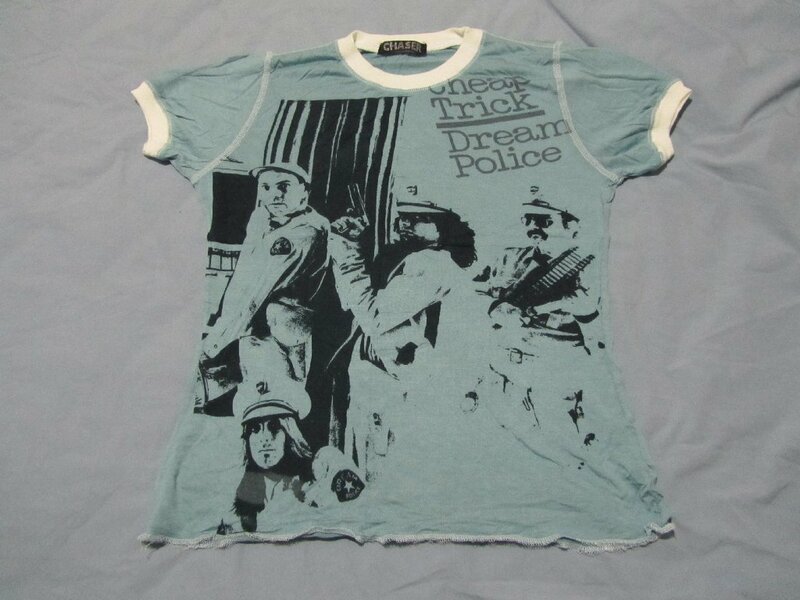 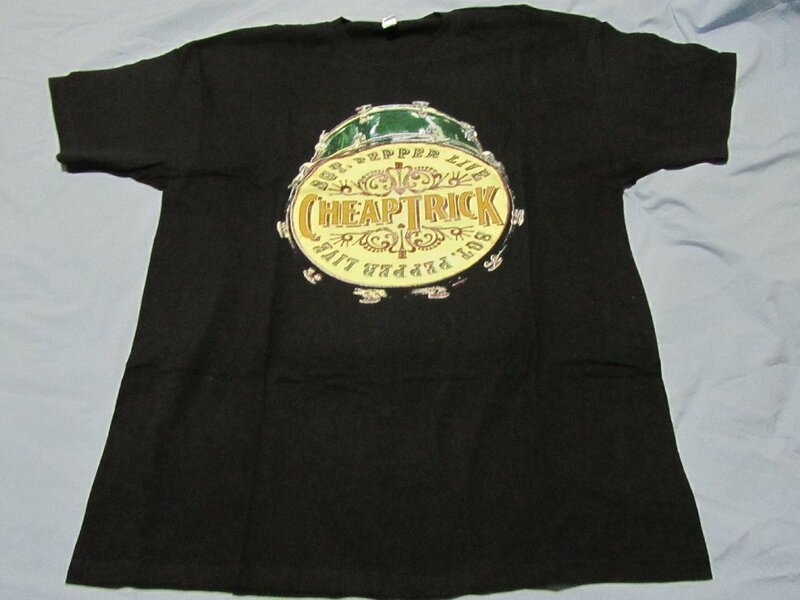 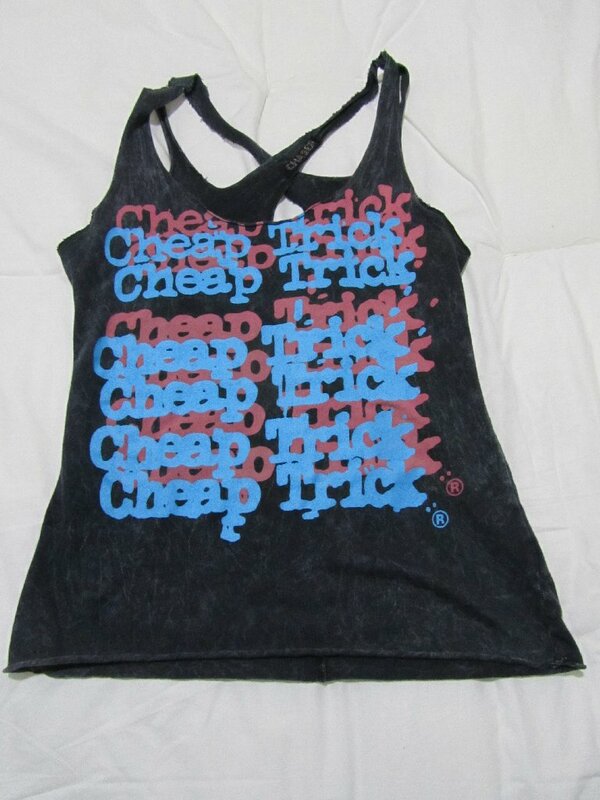 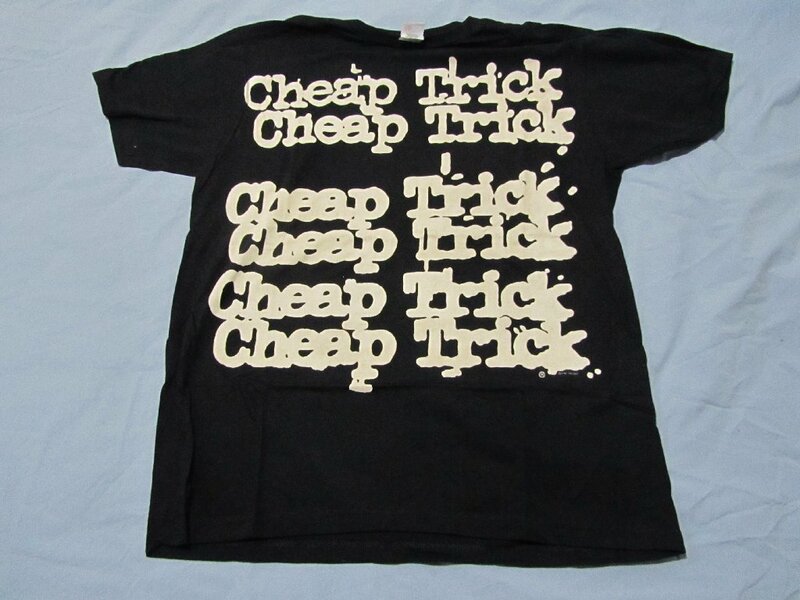 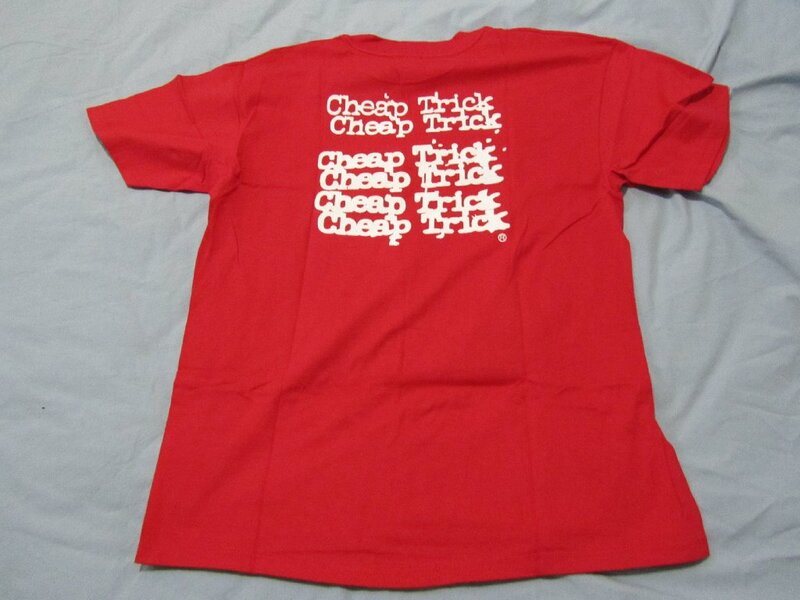 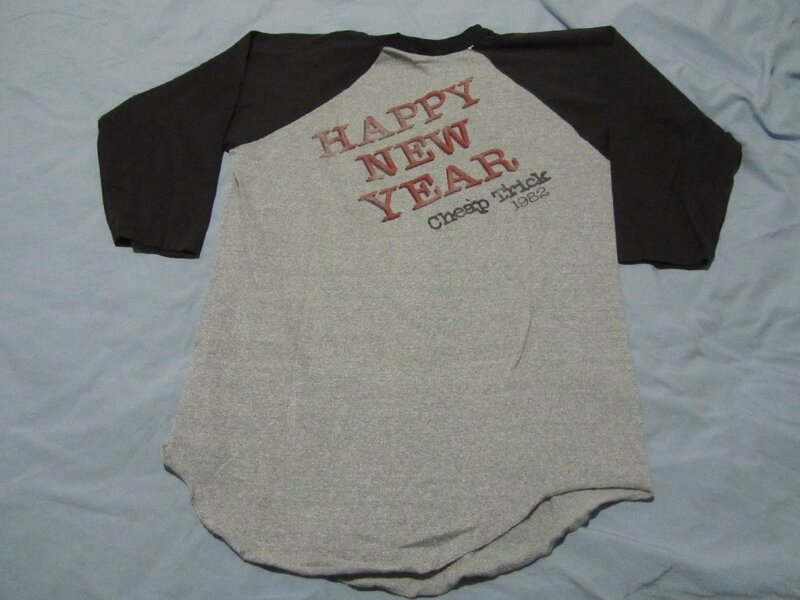 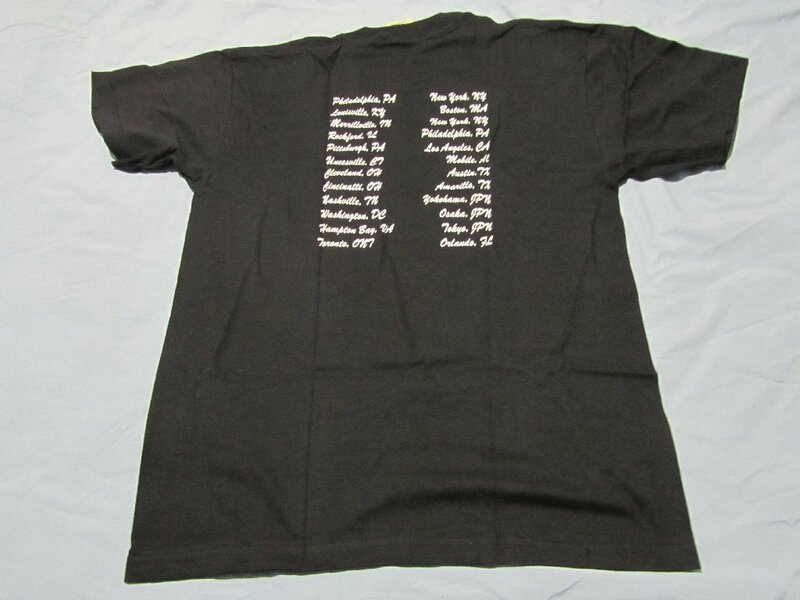 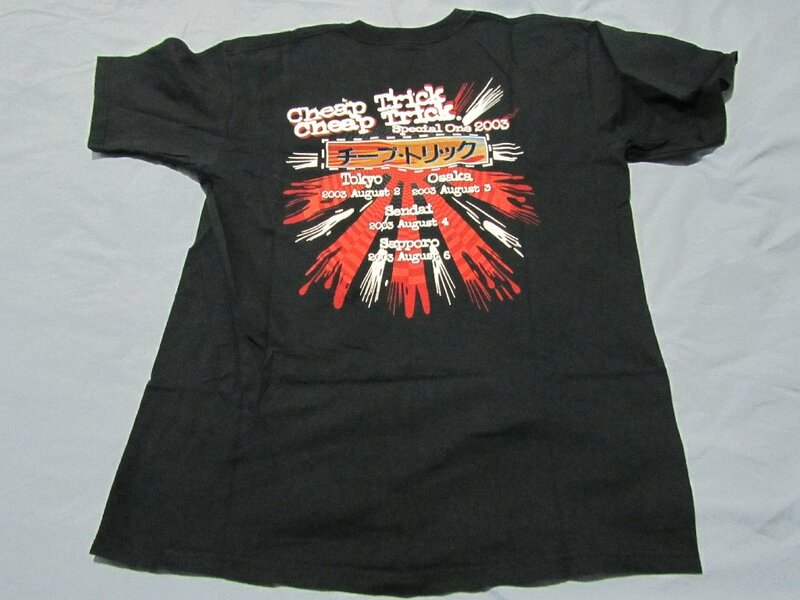 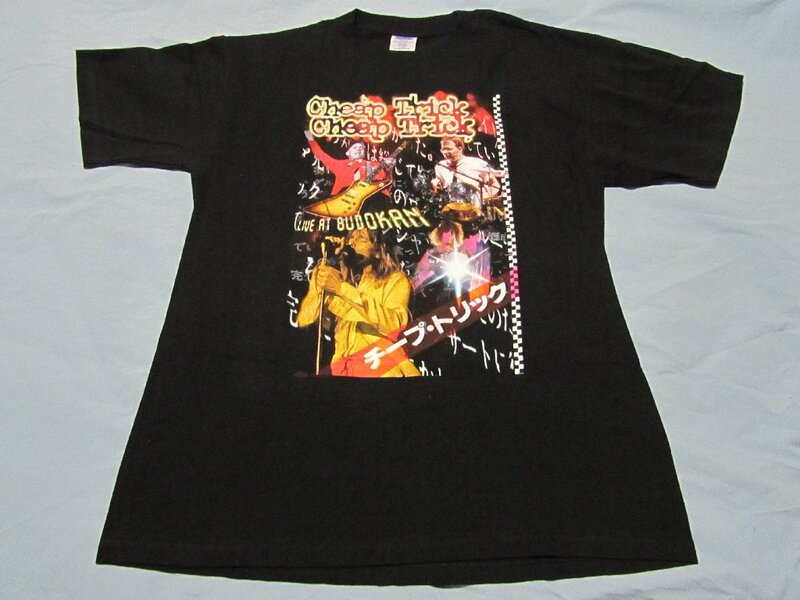 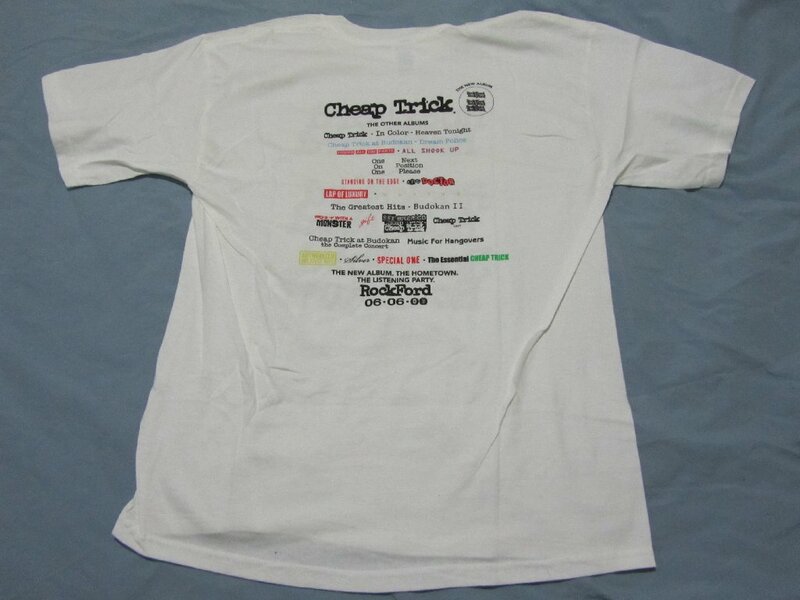 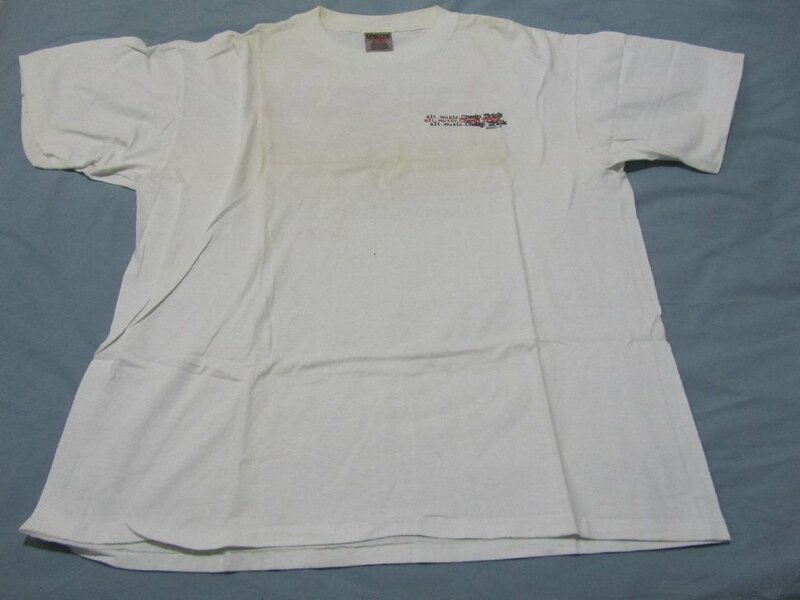 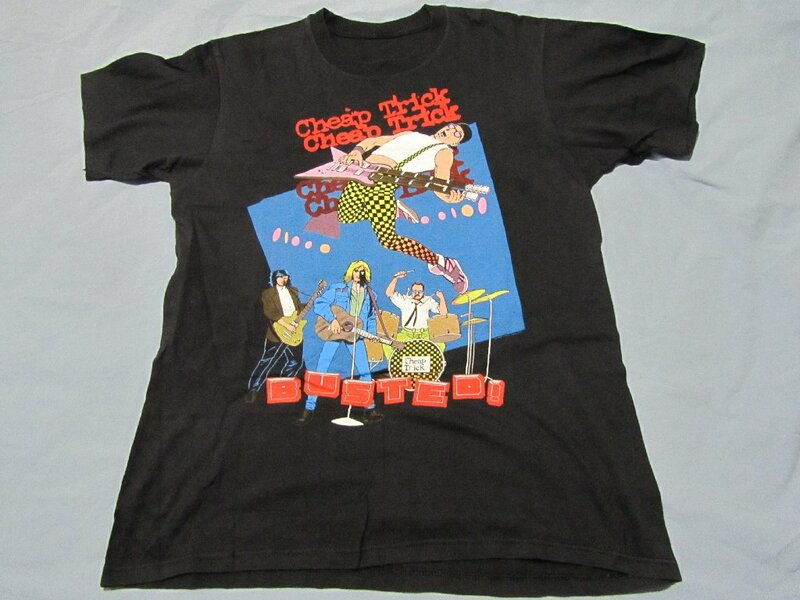 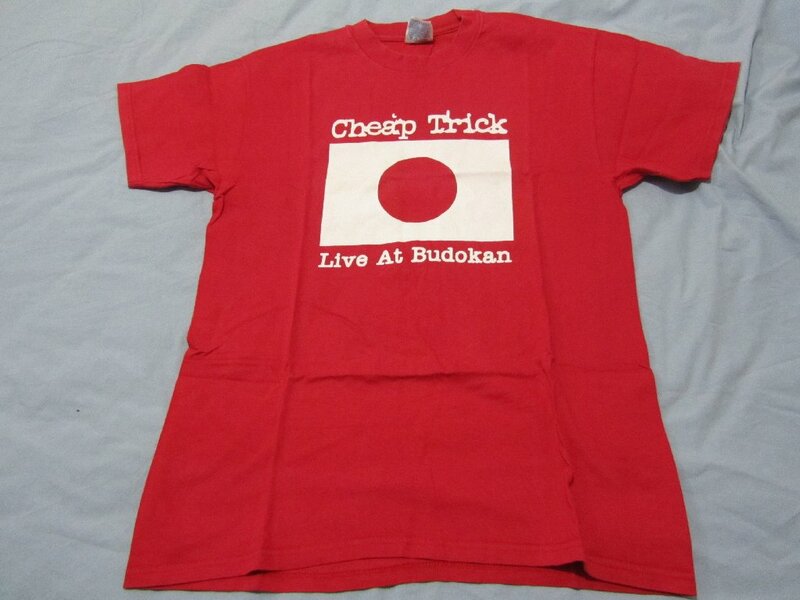 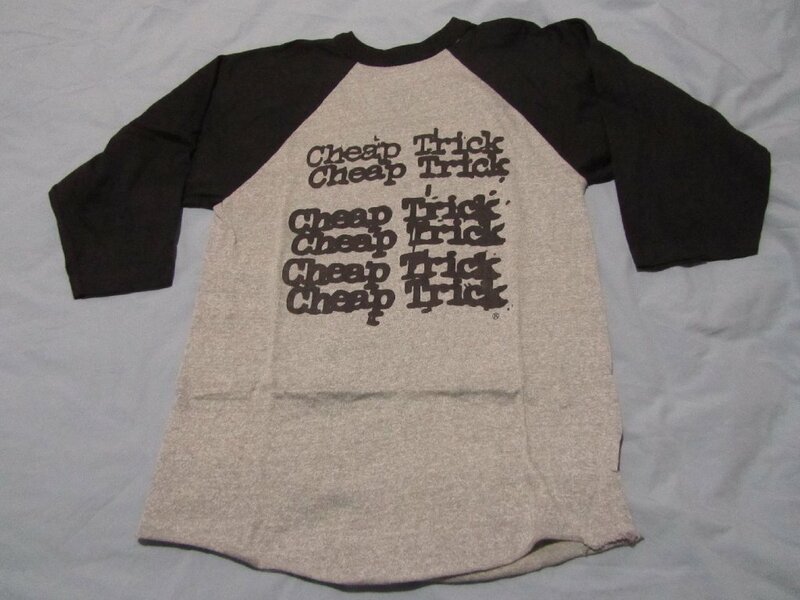 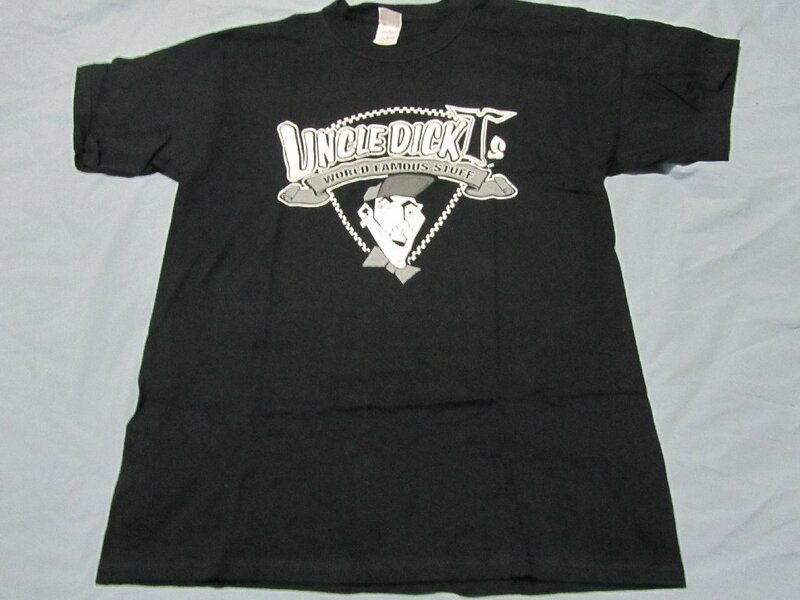 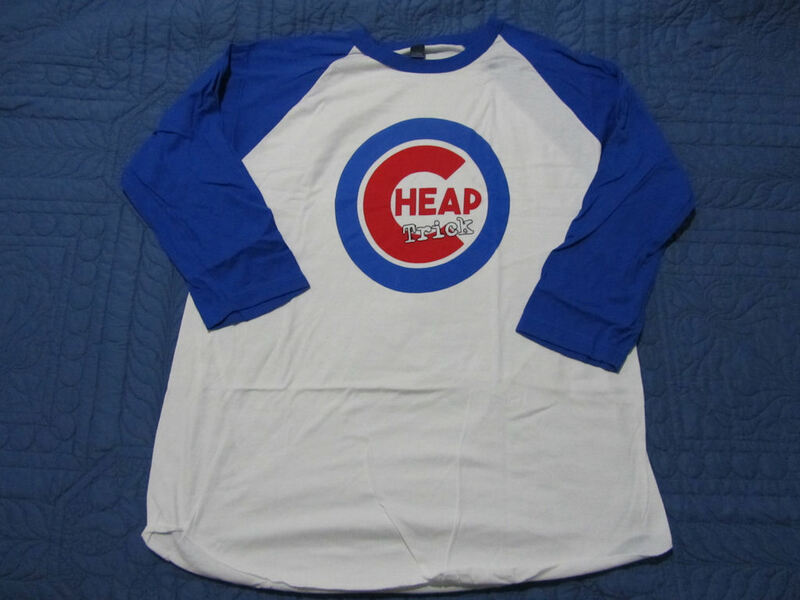 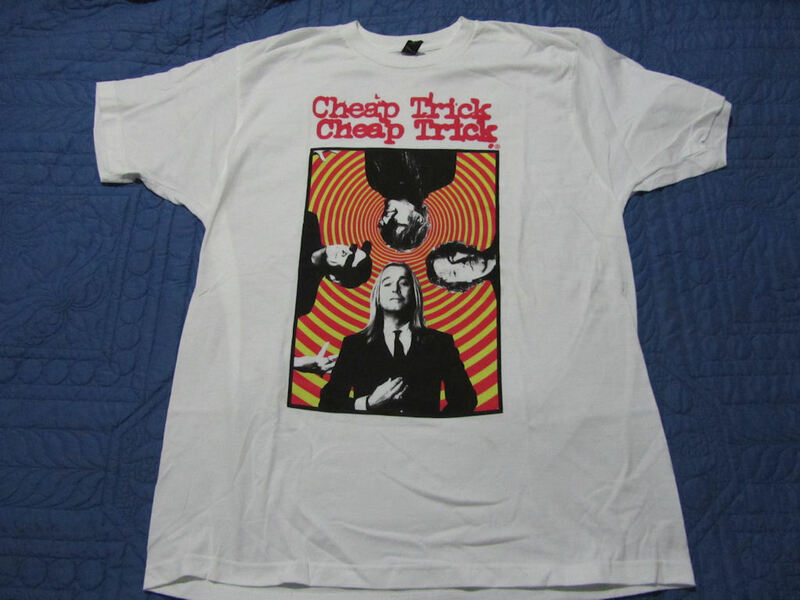 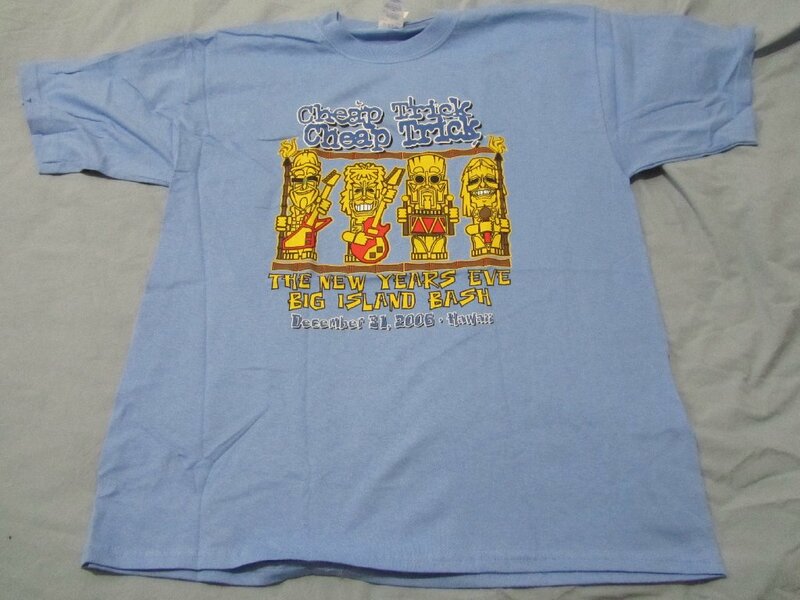 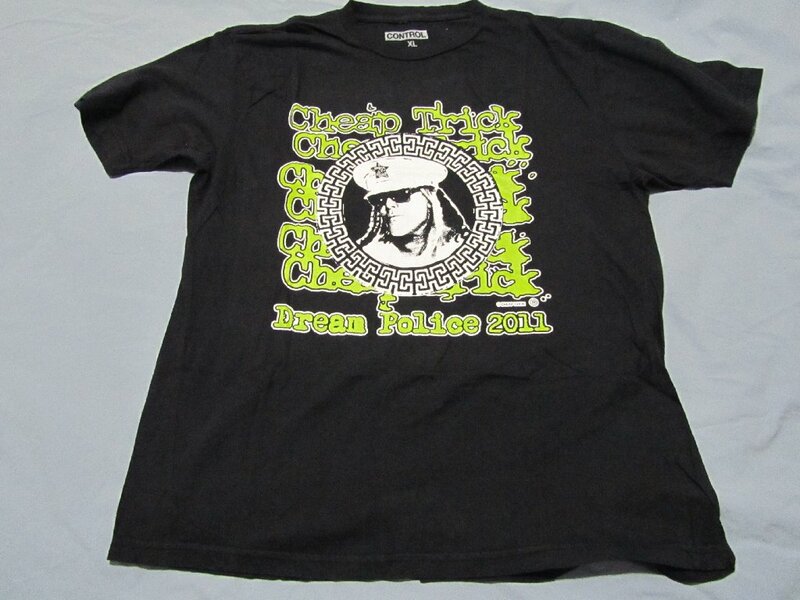 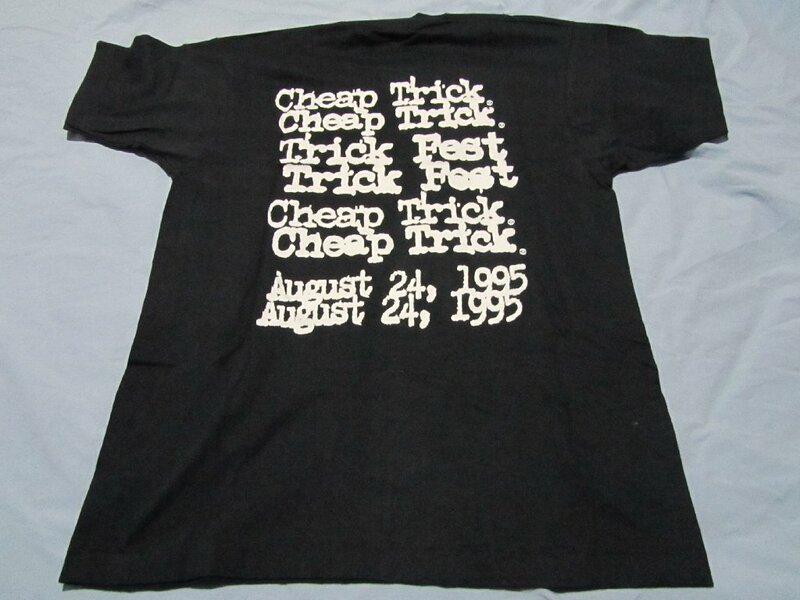 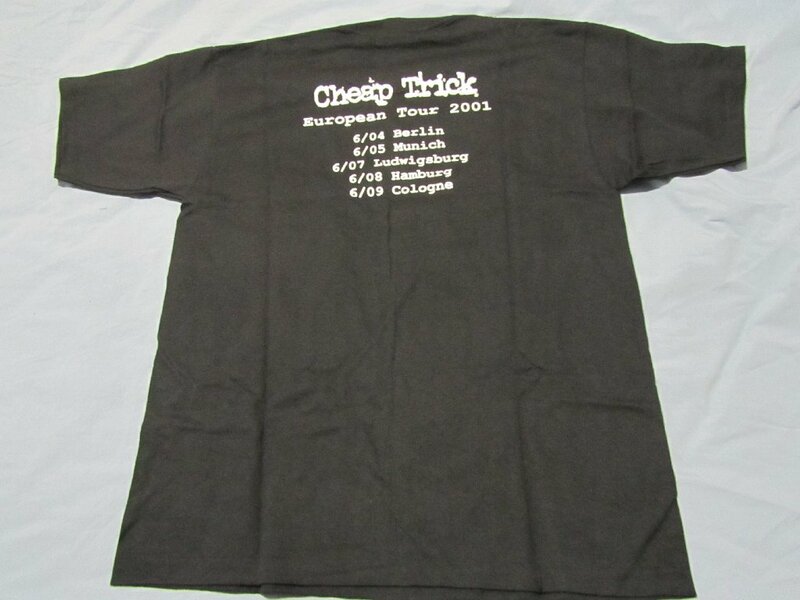 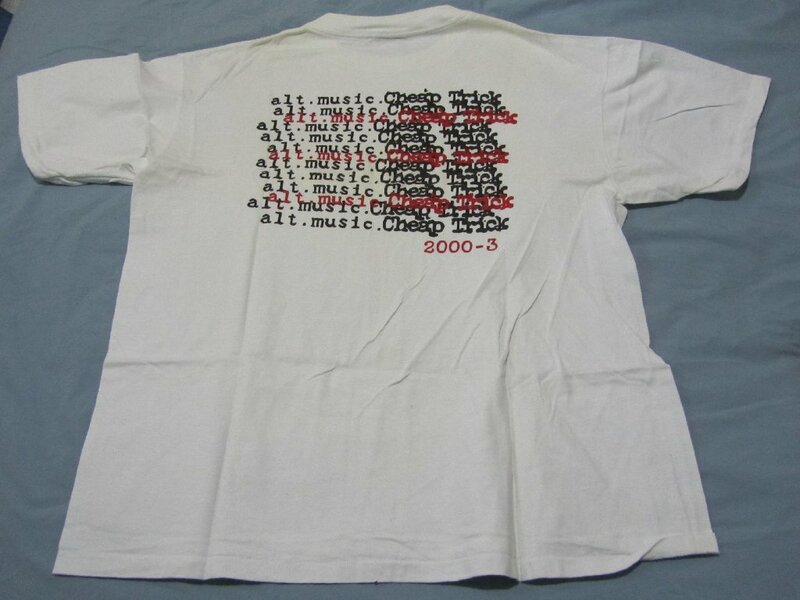 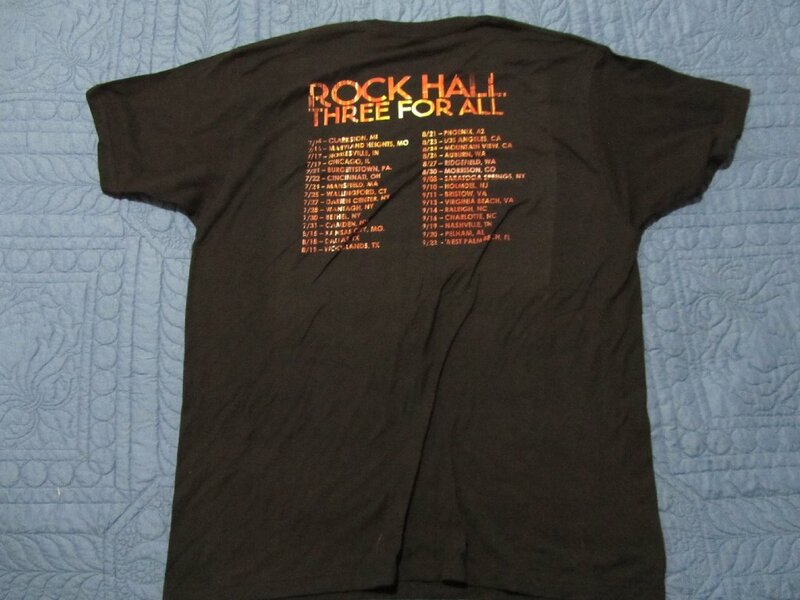 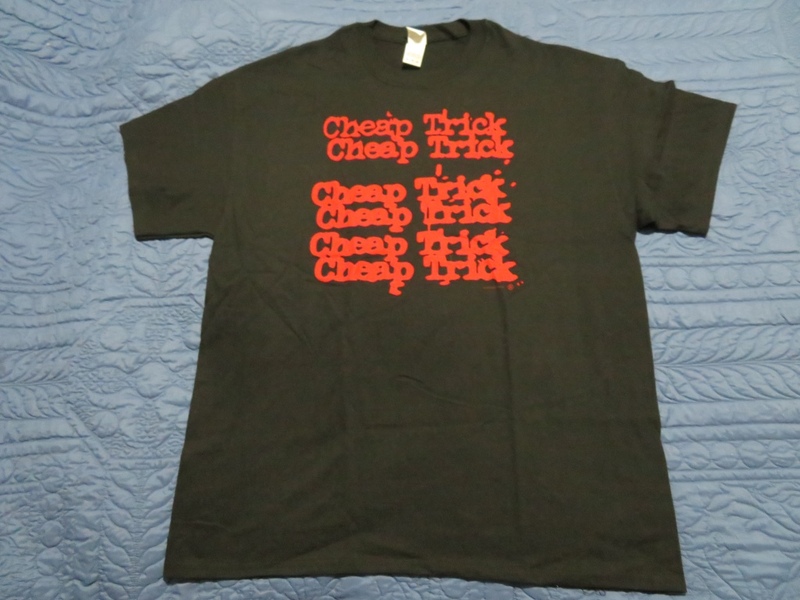 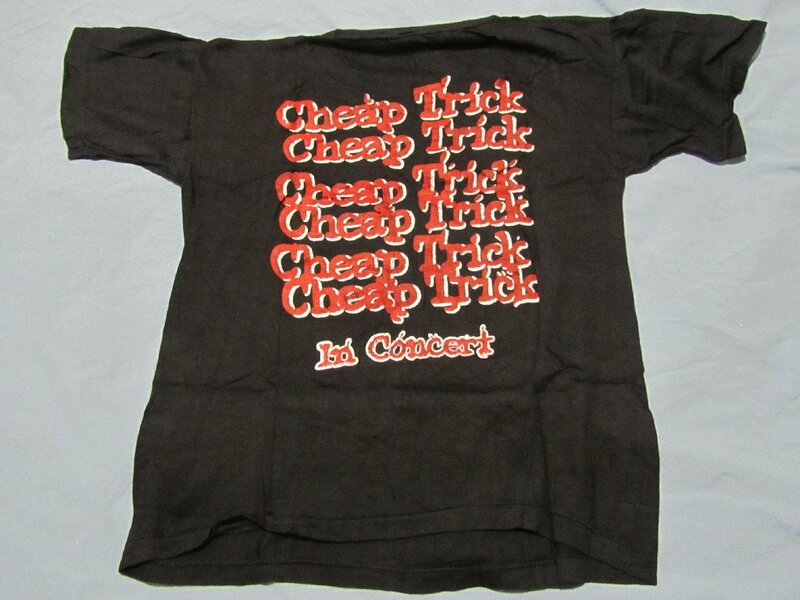 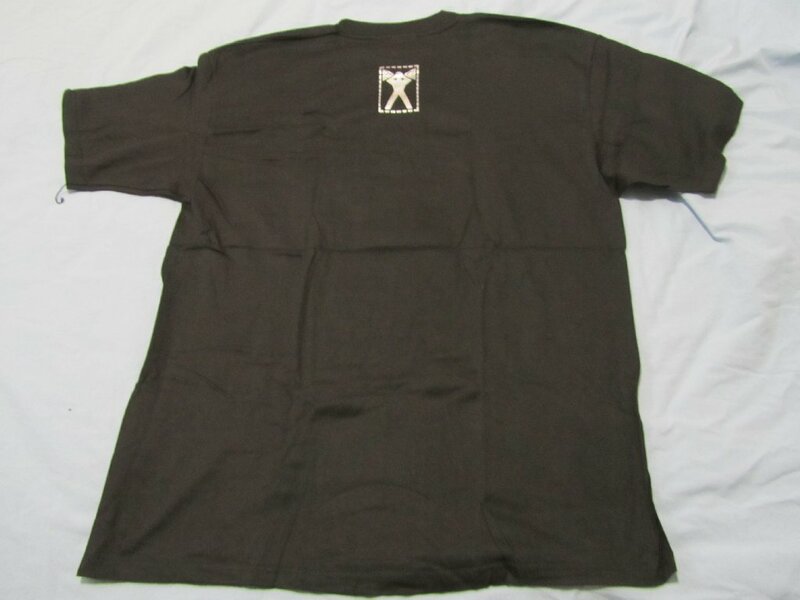 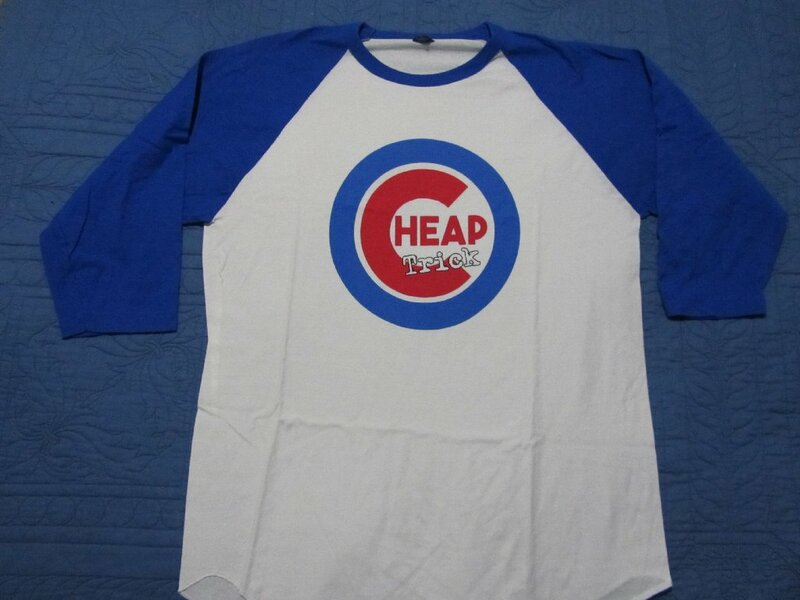 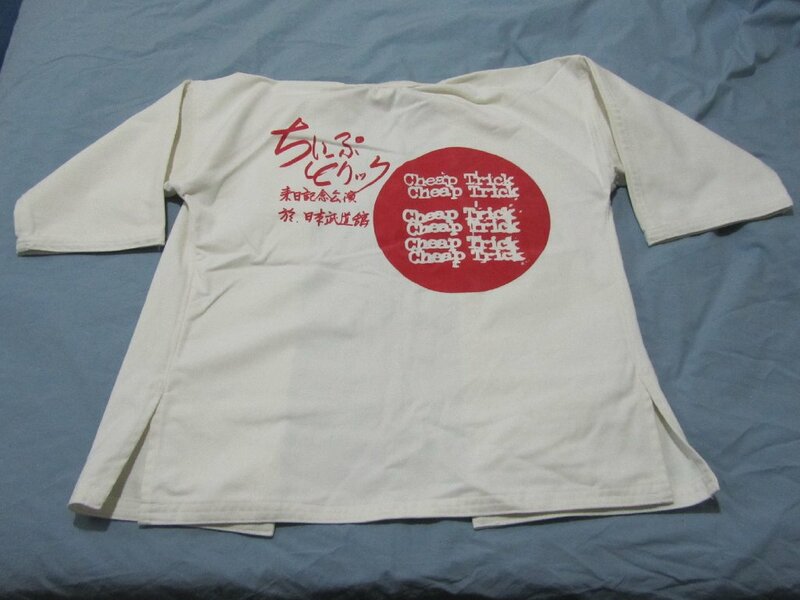 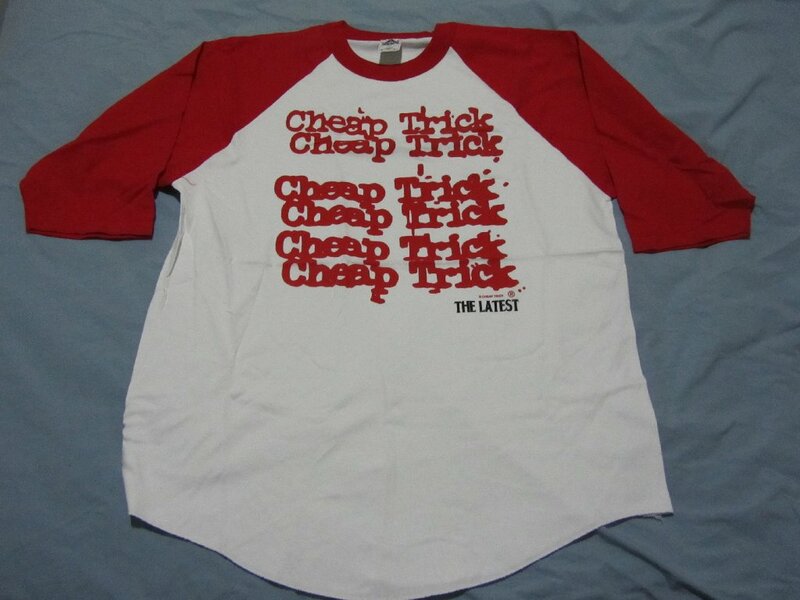 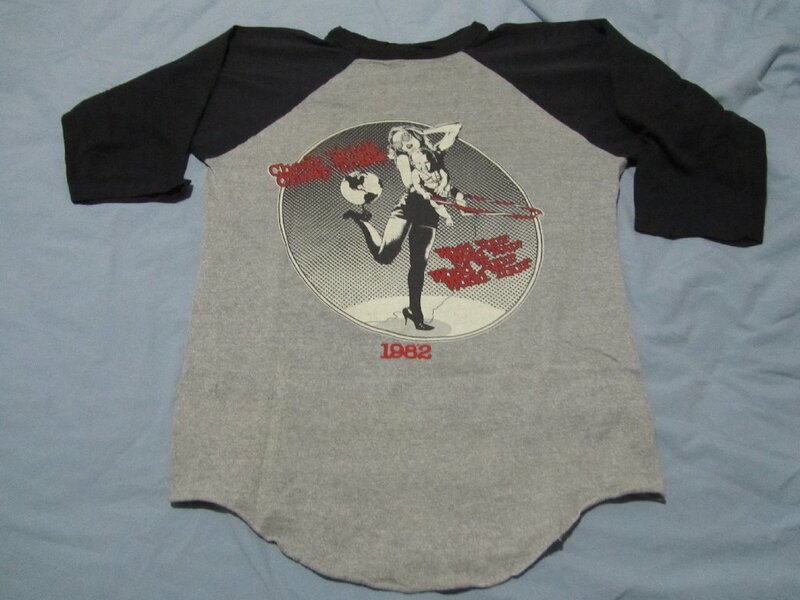 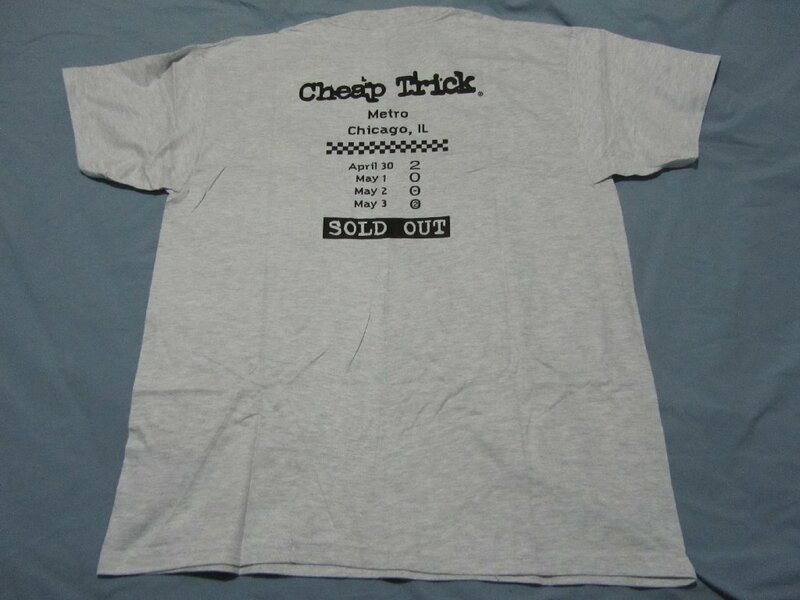 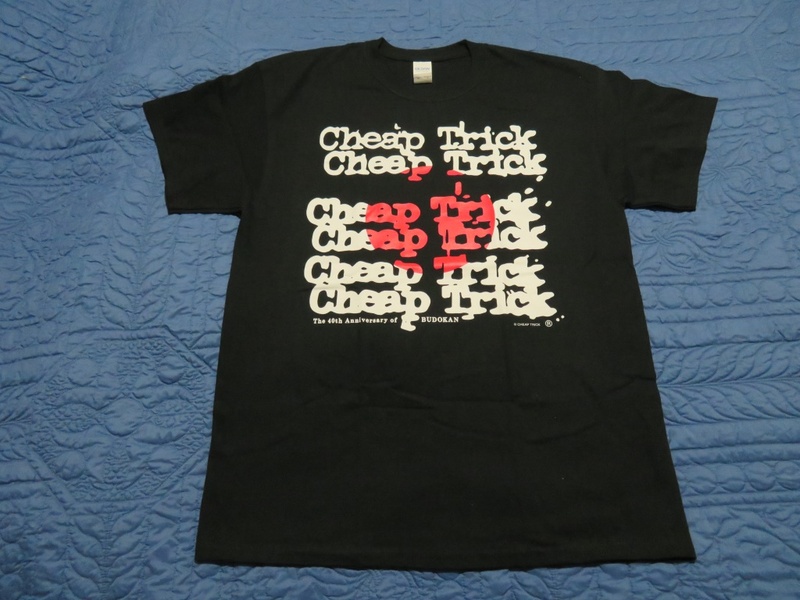 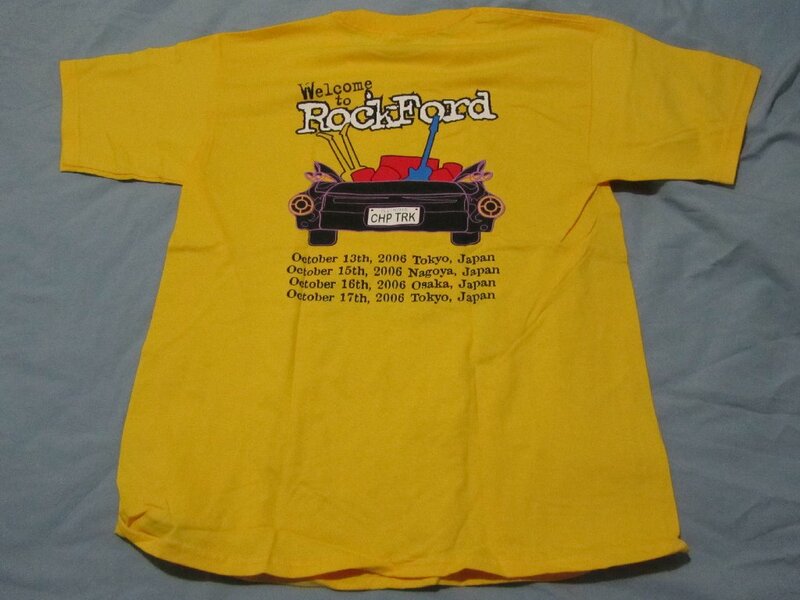 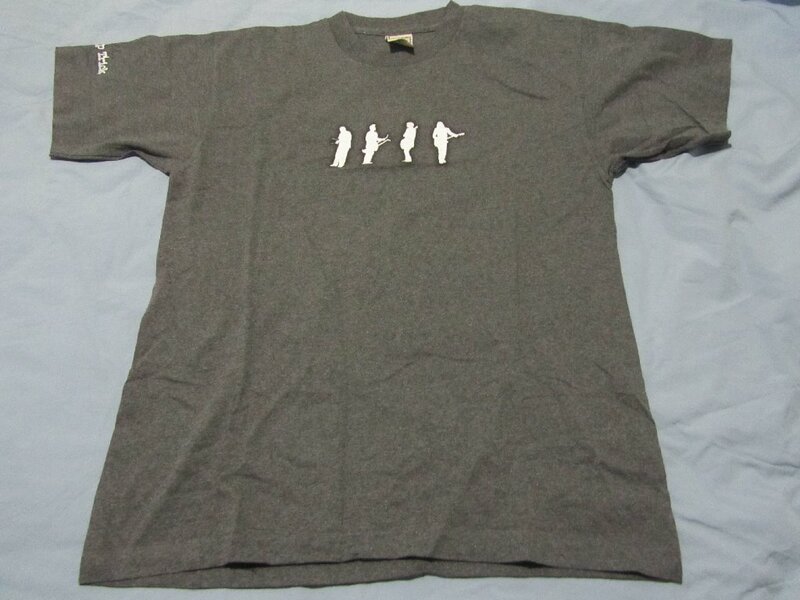 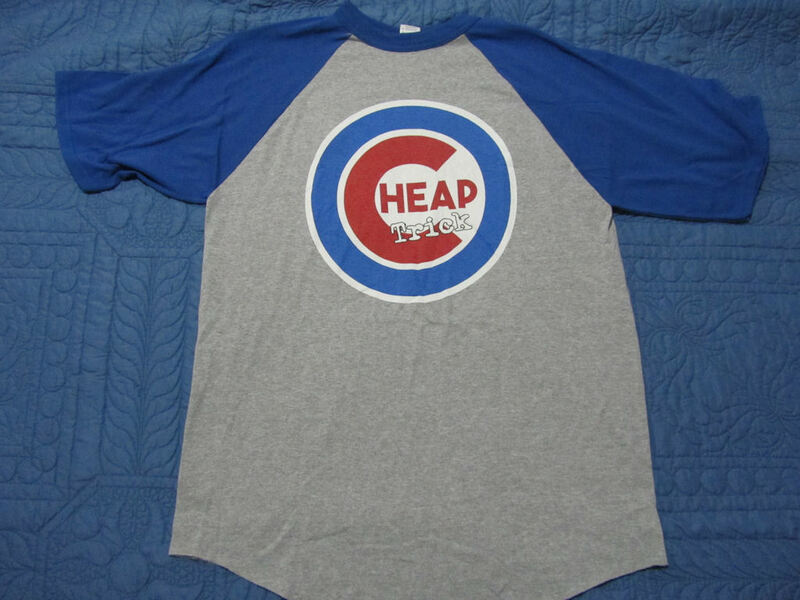 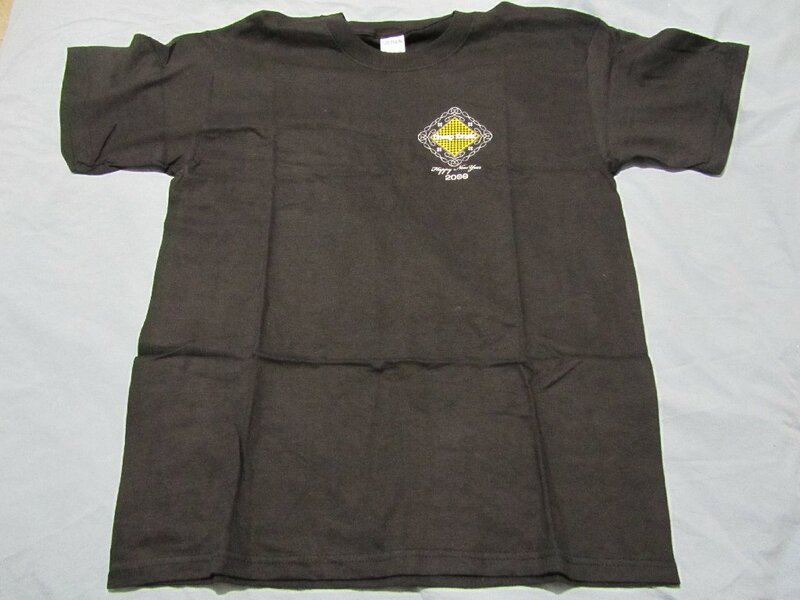 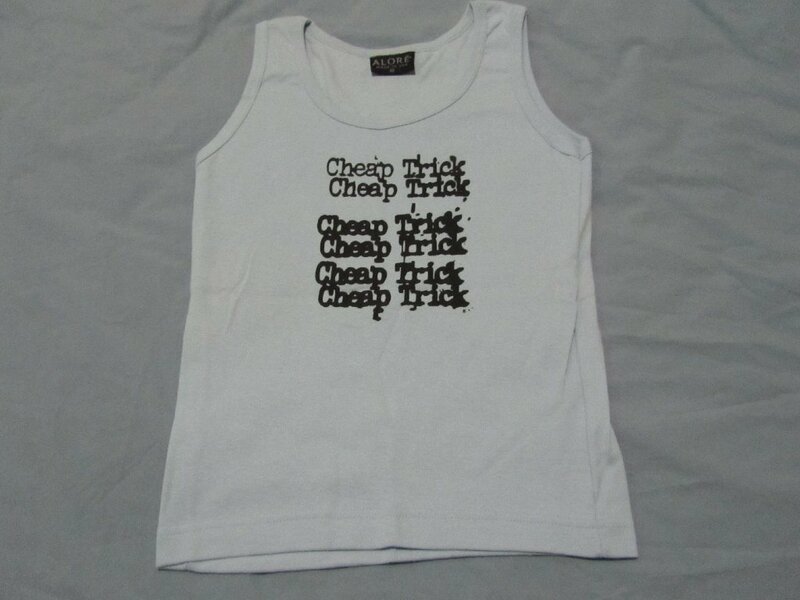 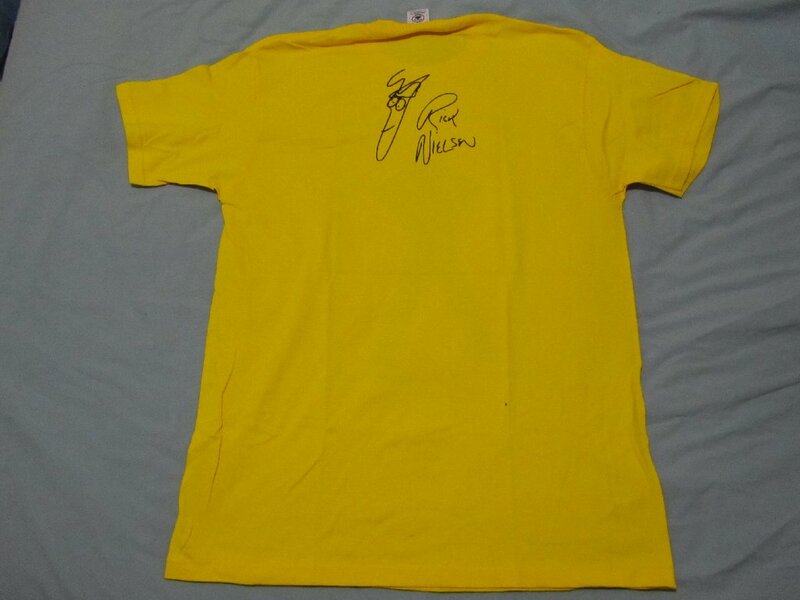 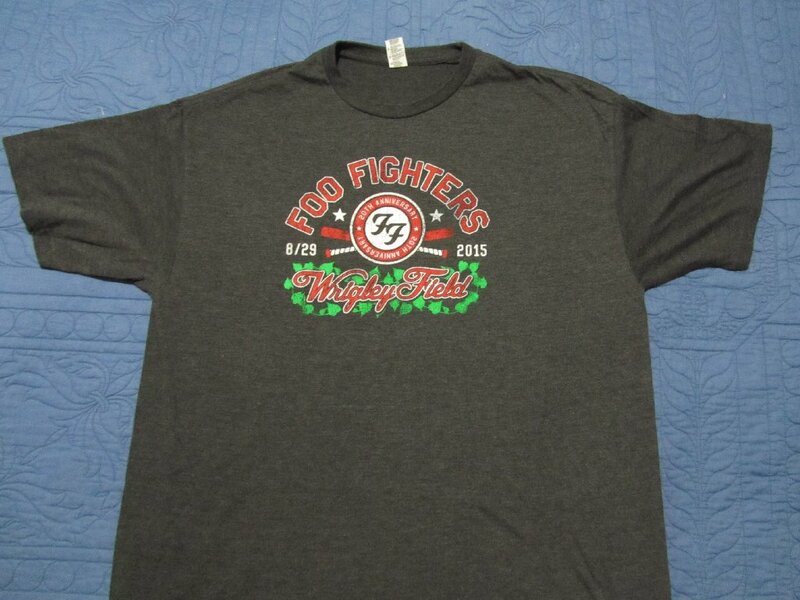 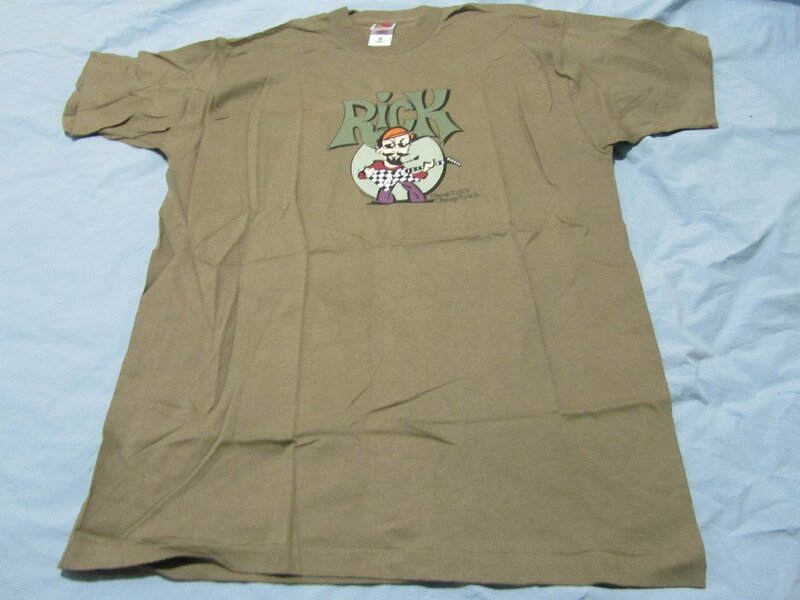 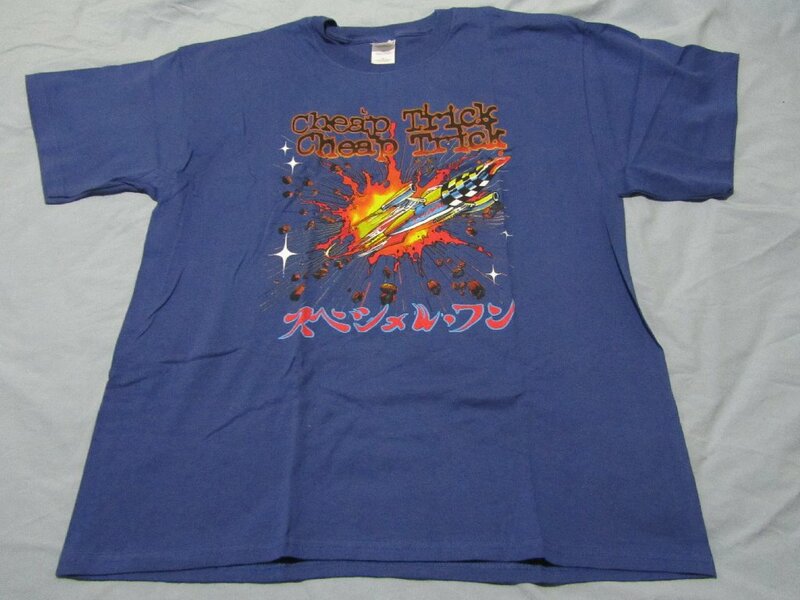 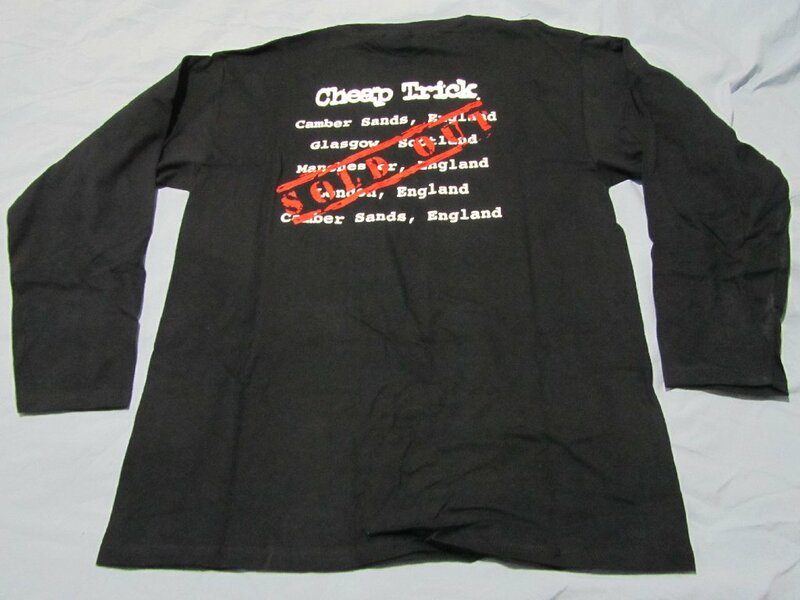 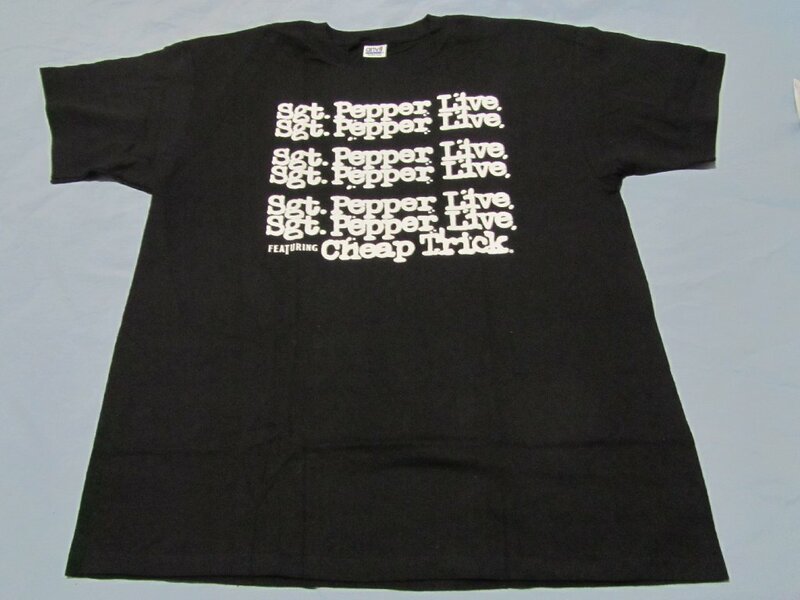 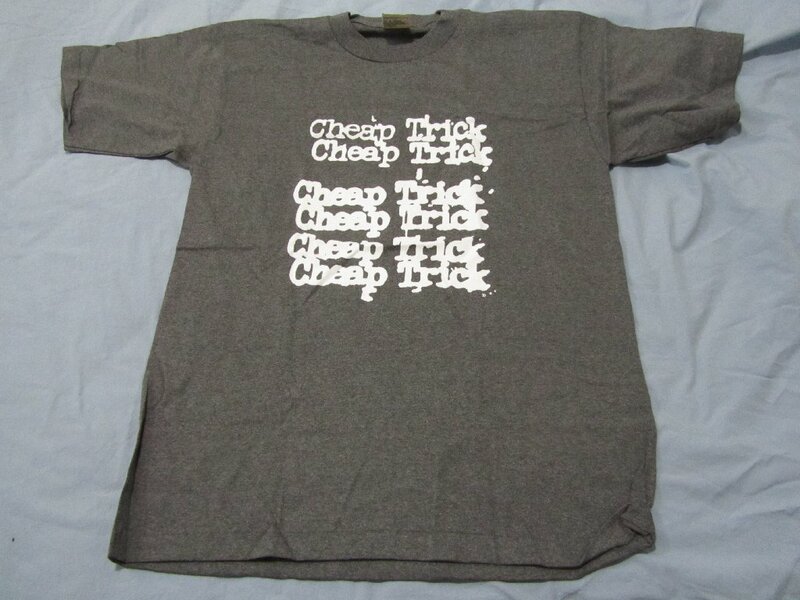 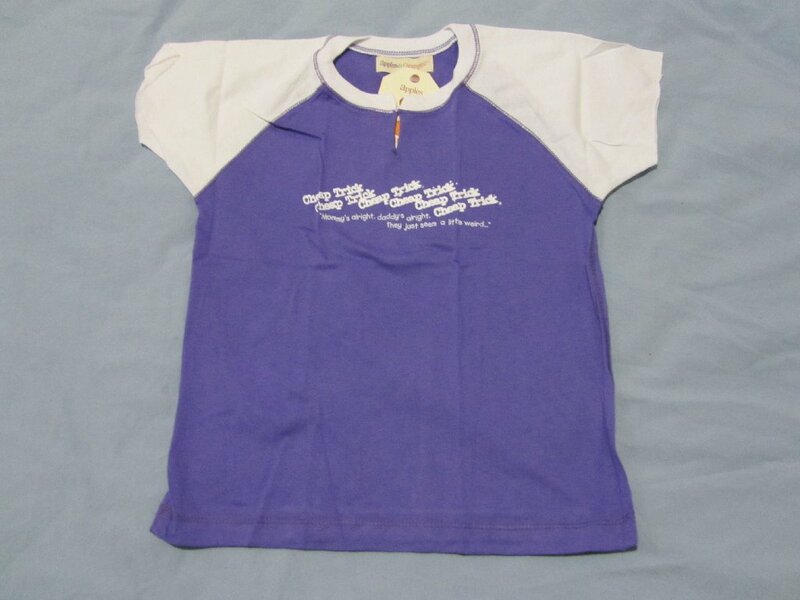 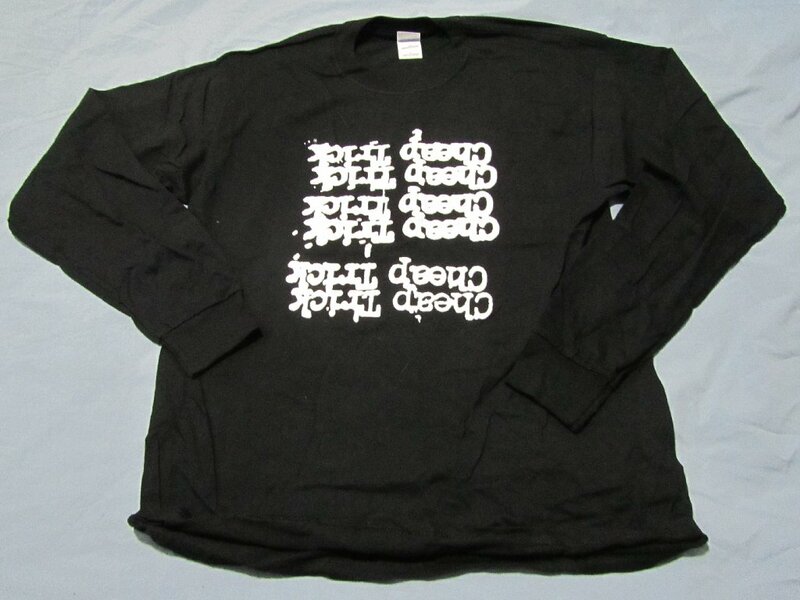 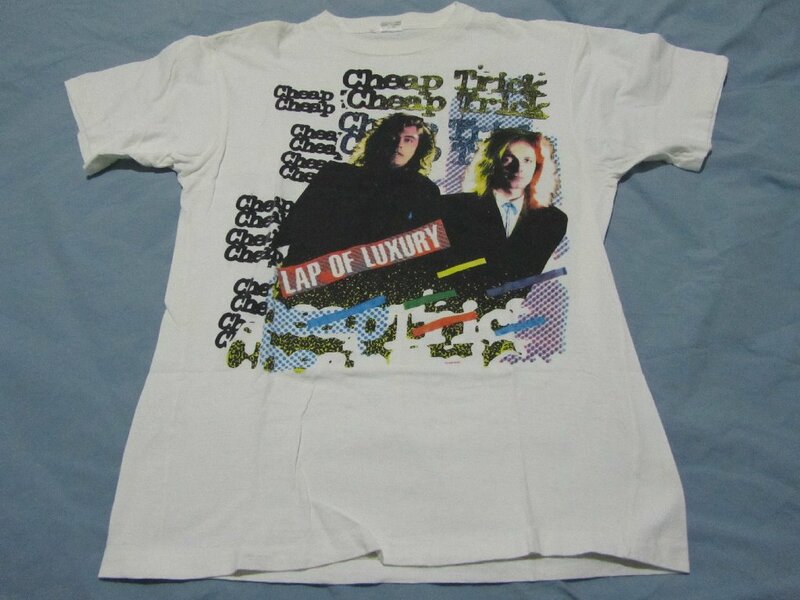 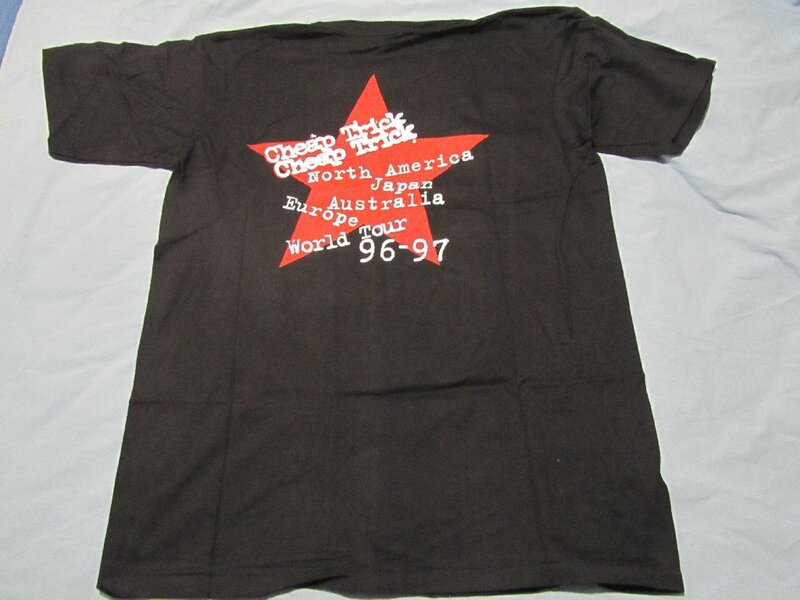 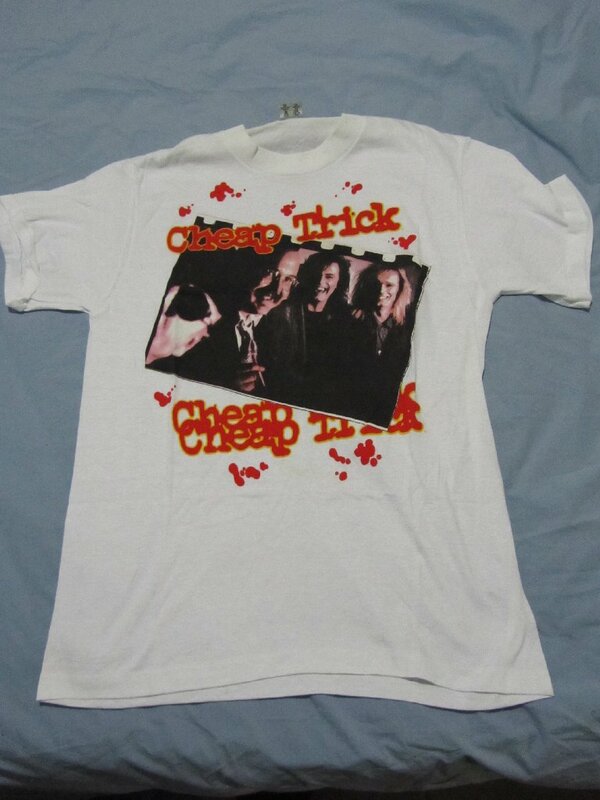 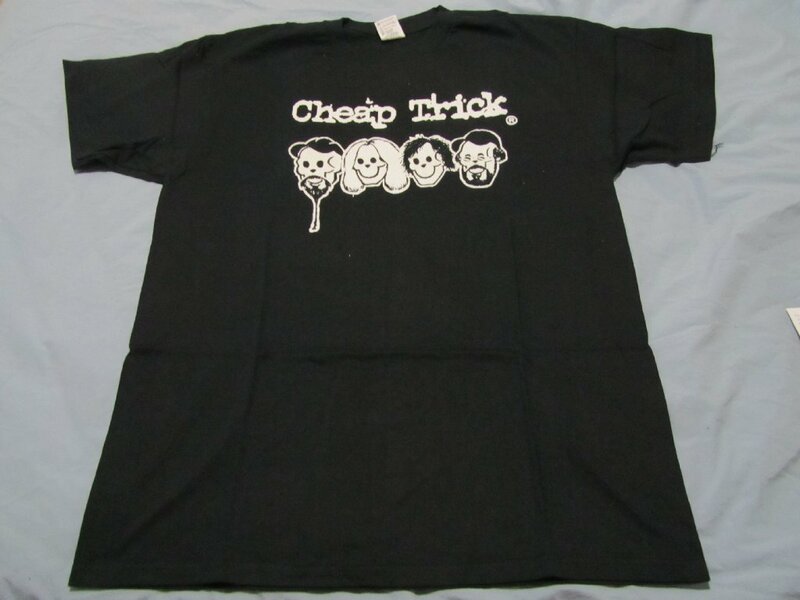 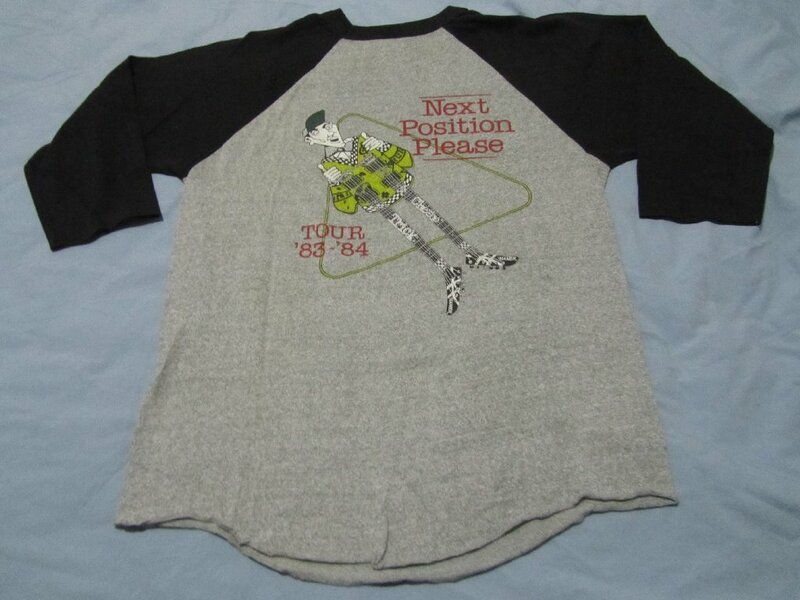 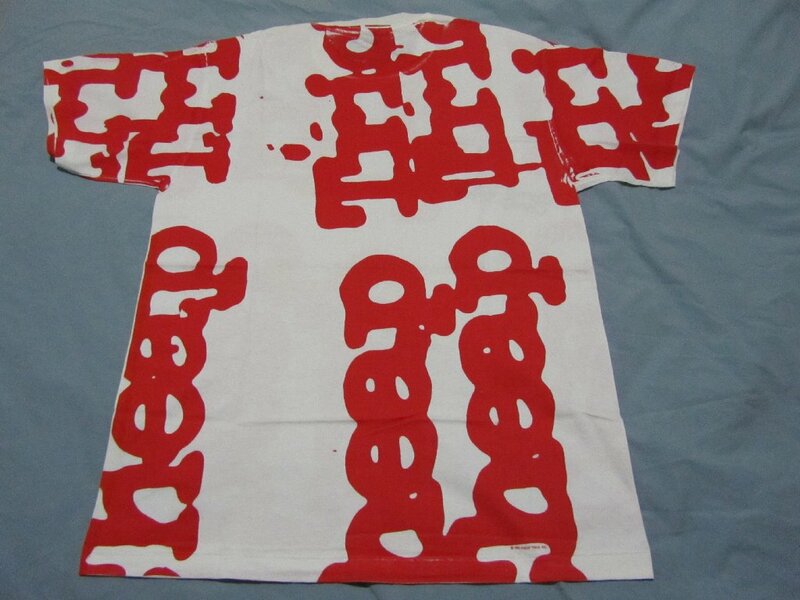 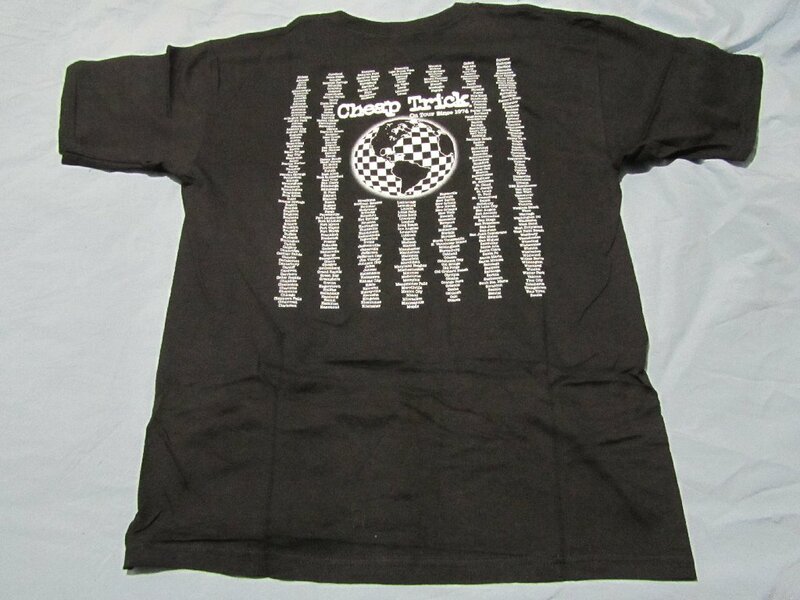 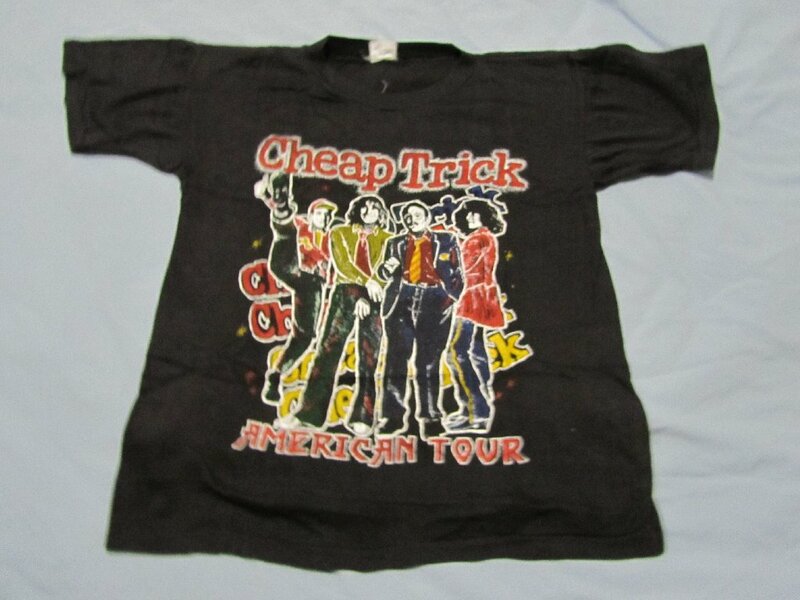 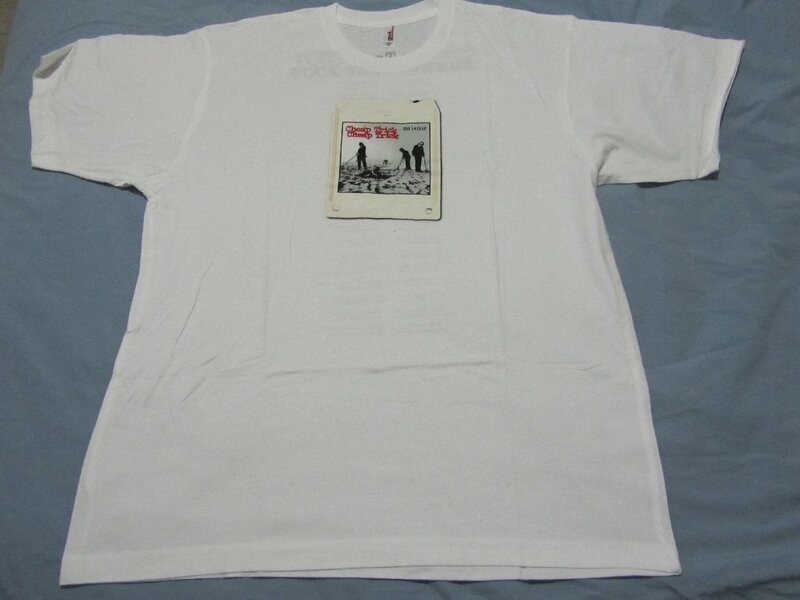 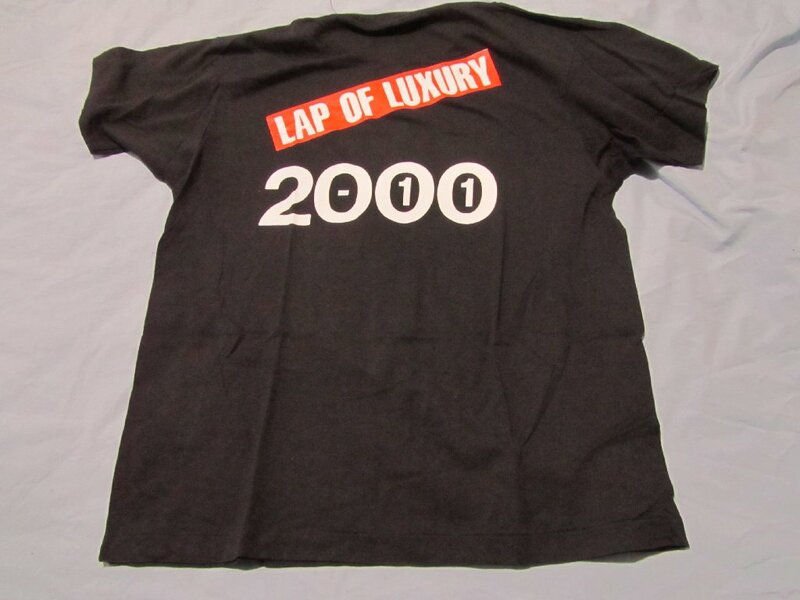 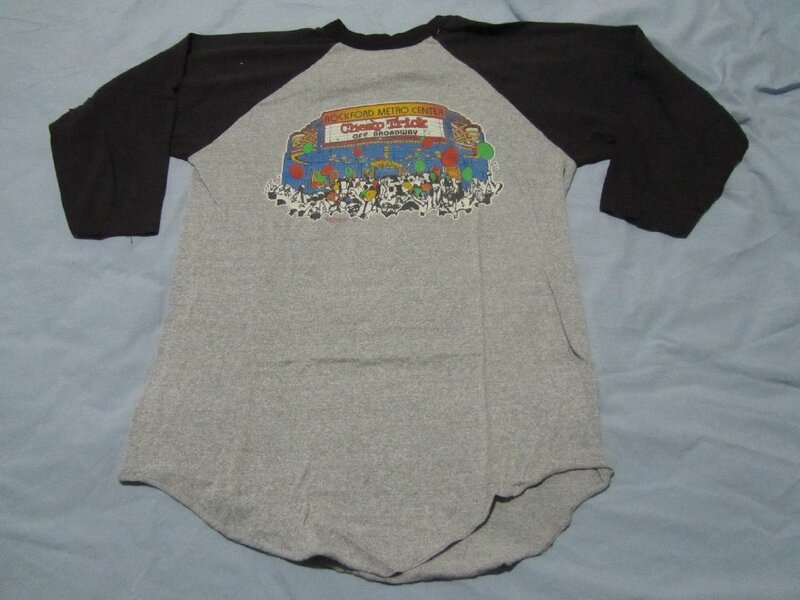 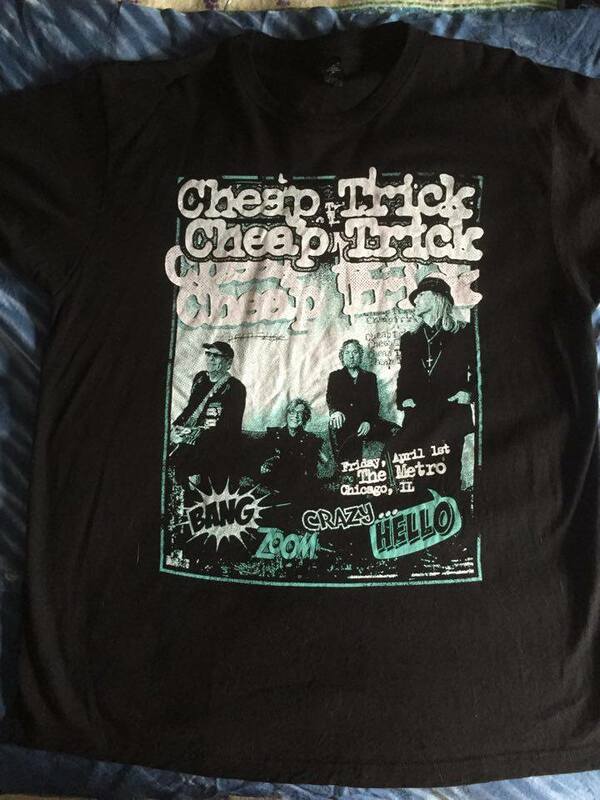 This is a well known t-shirt that Rick wore in the early/mid 2000's, which is now in a private collection. 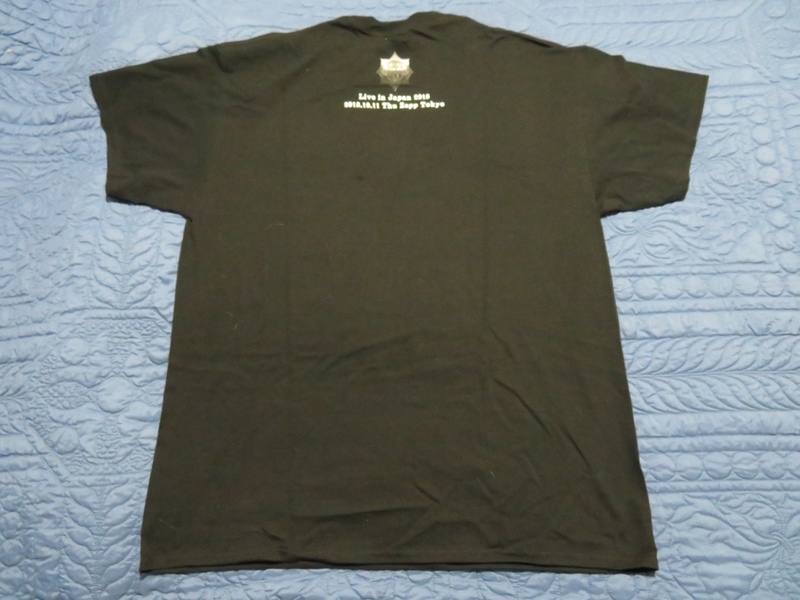 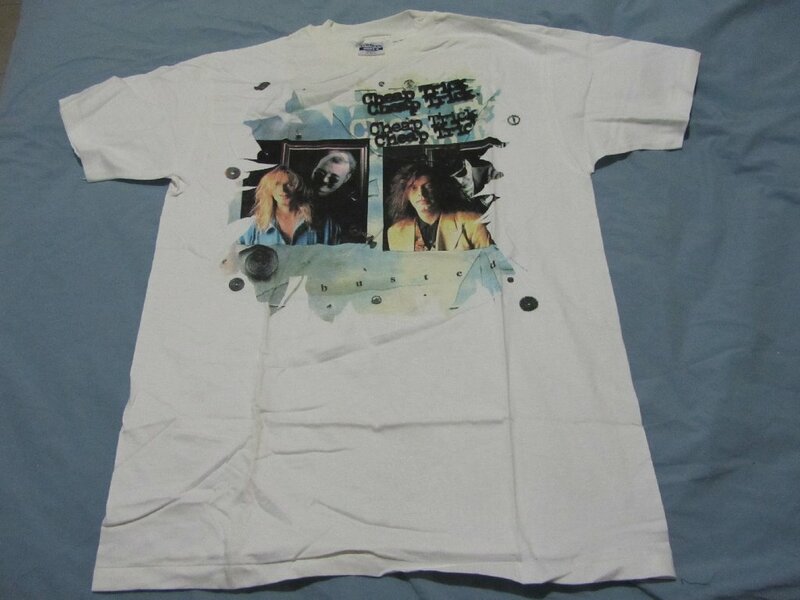 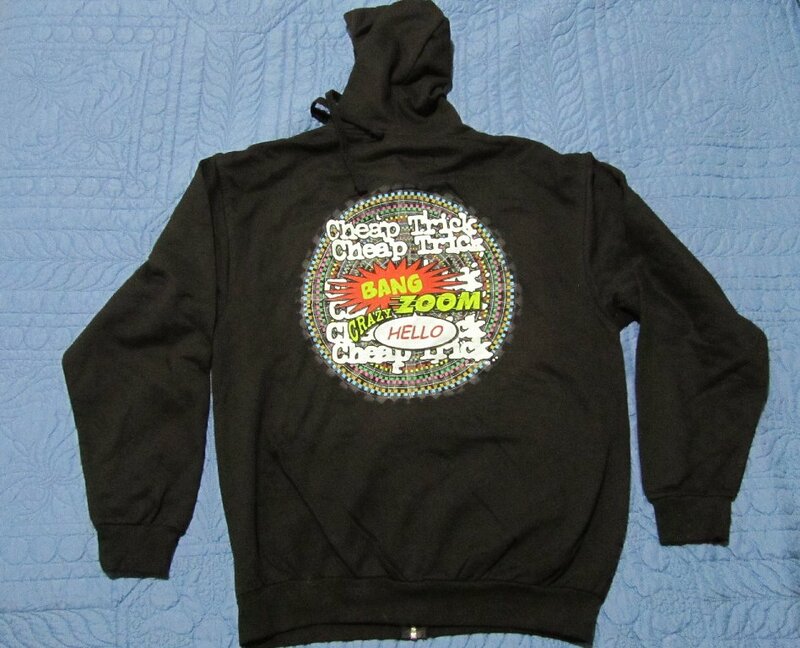 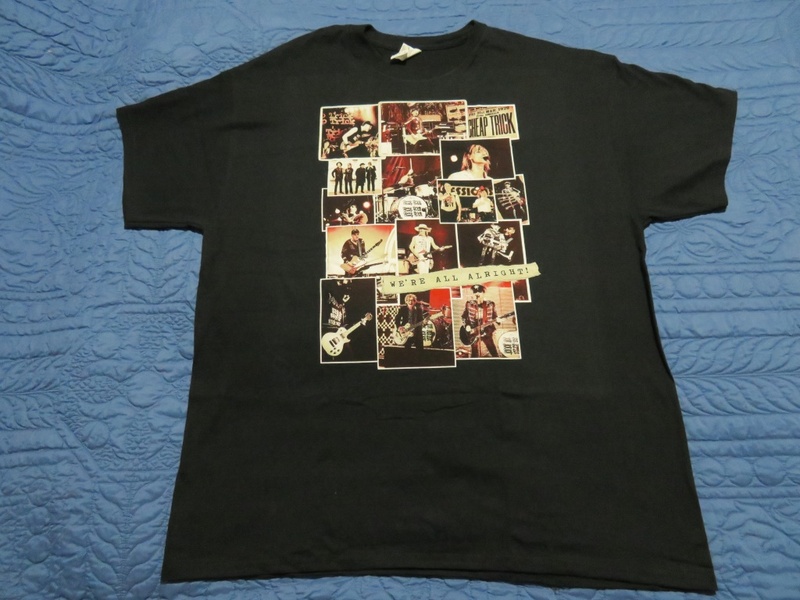 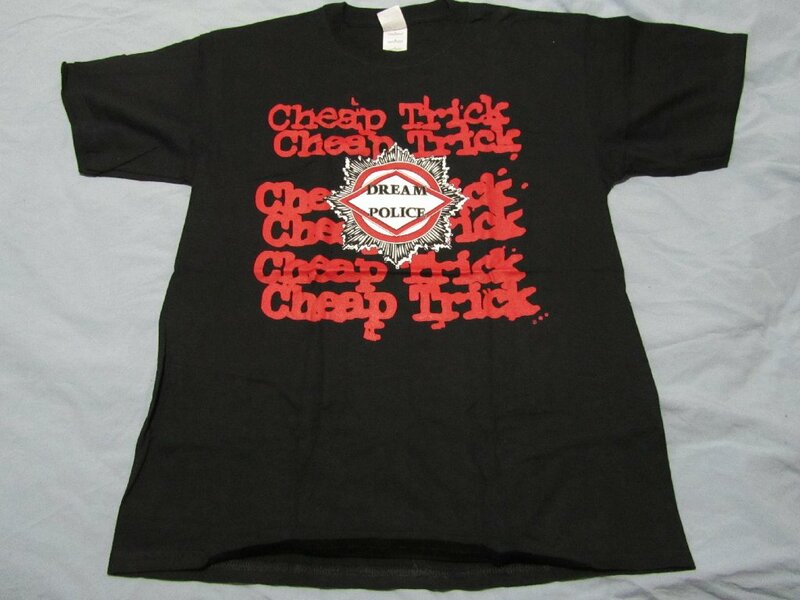 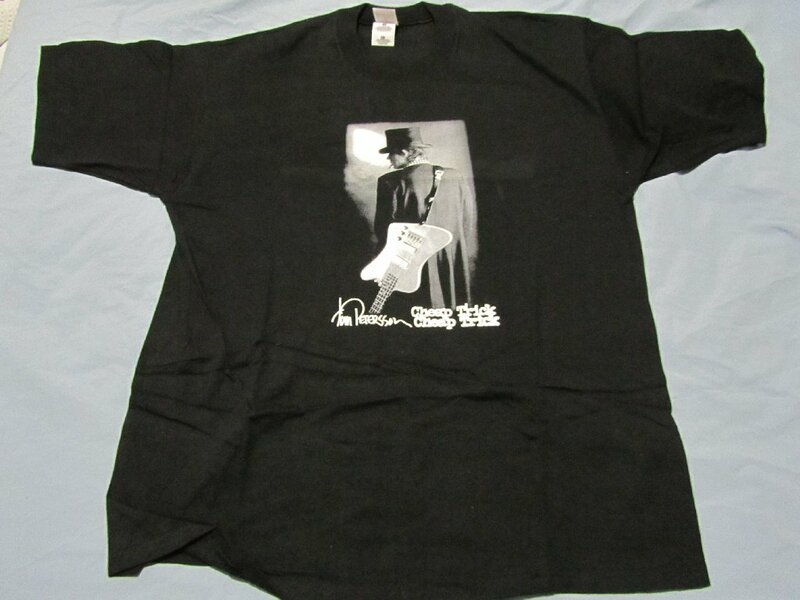 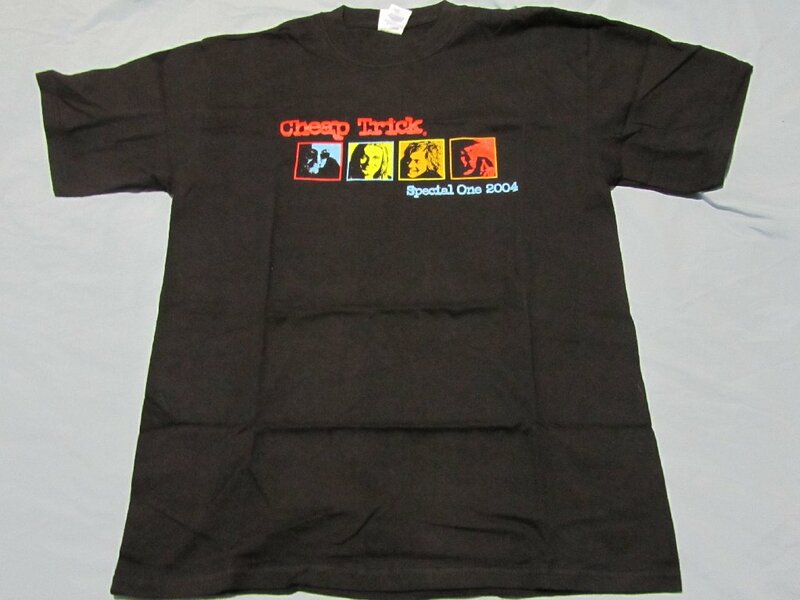 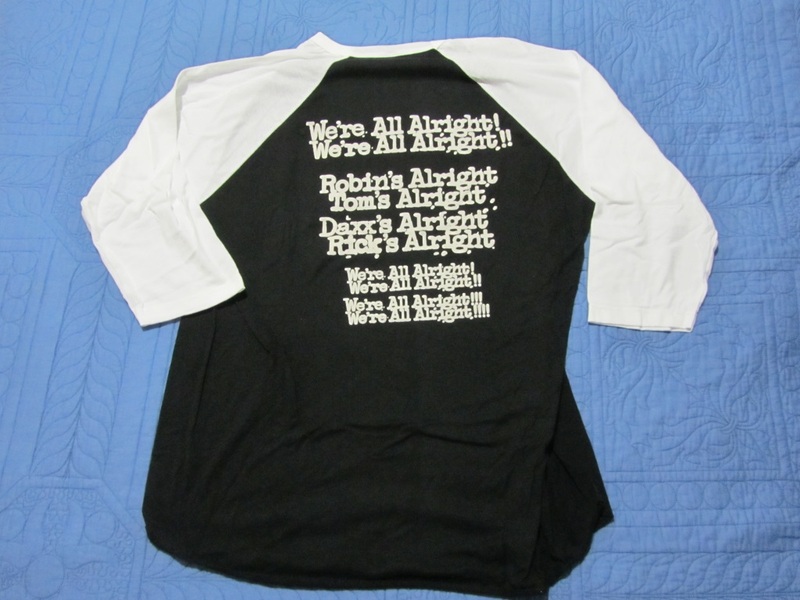 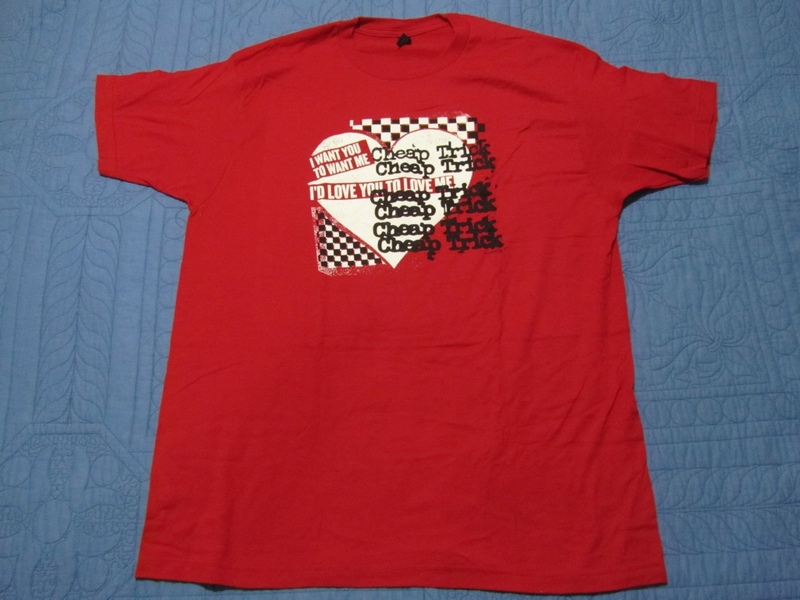 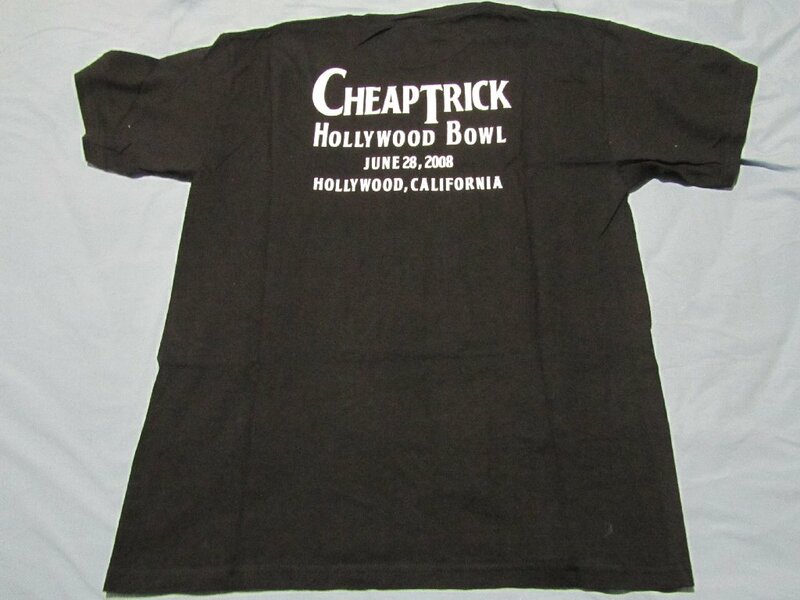 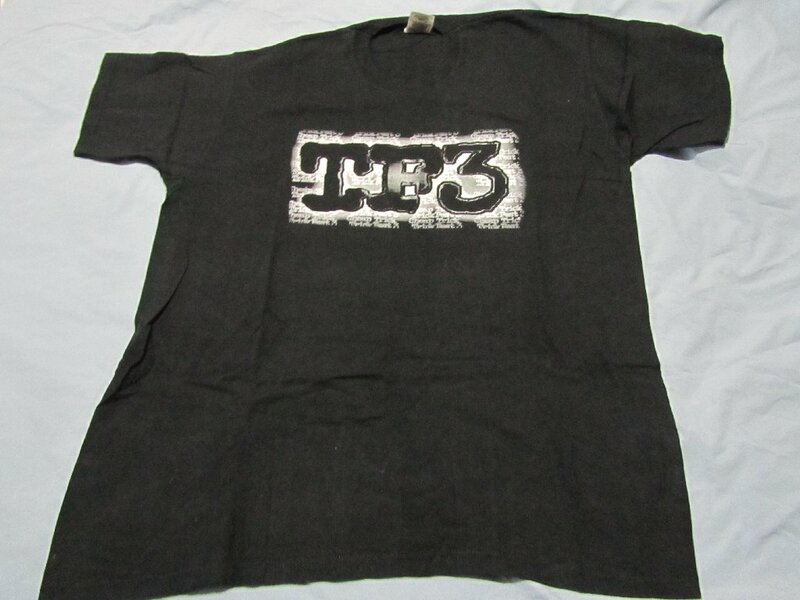 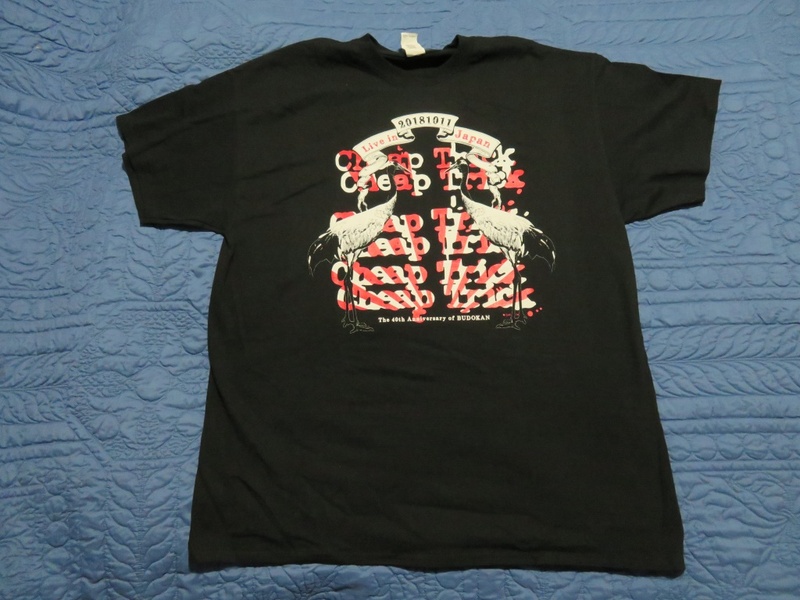 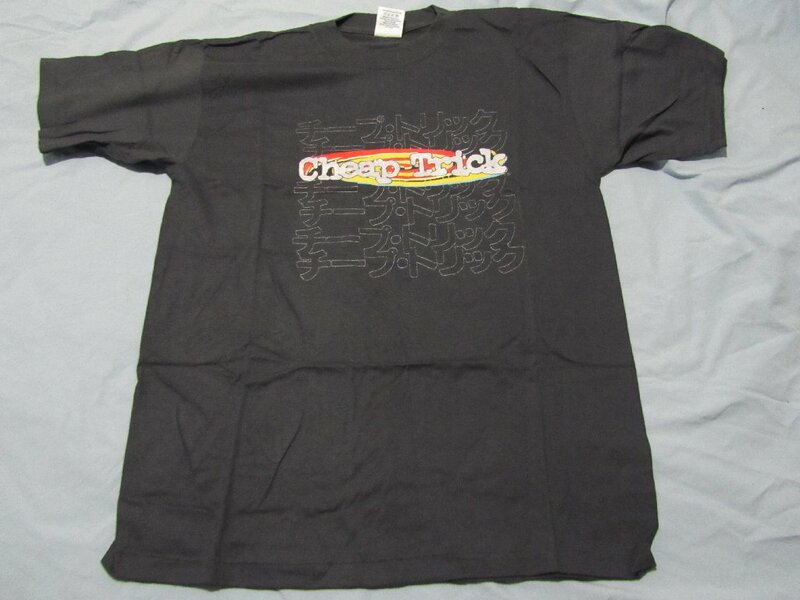 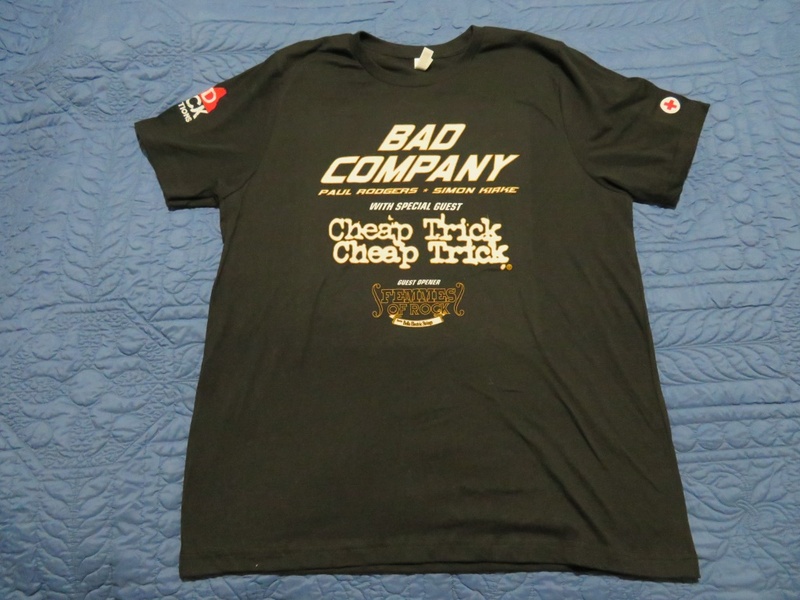 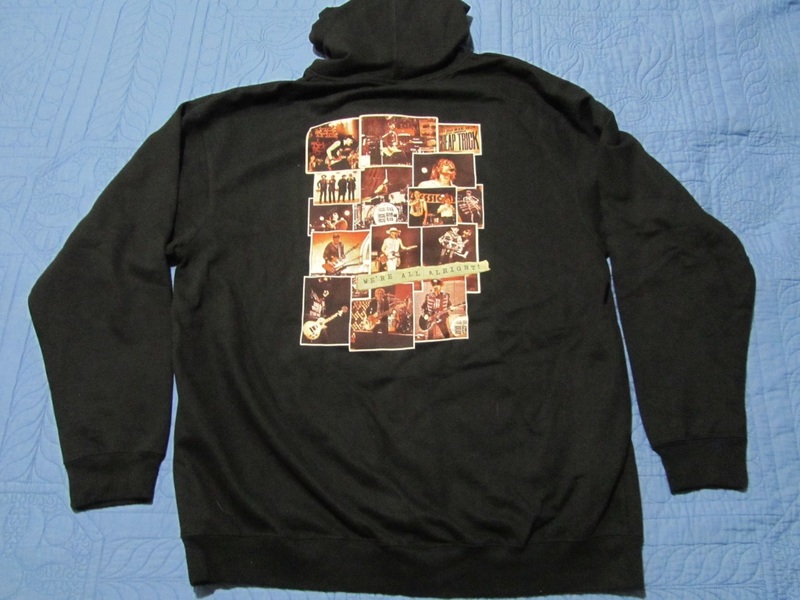 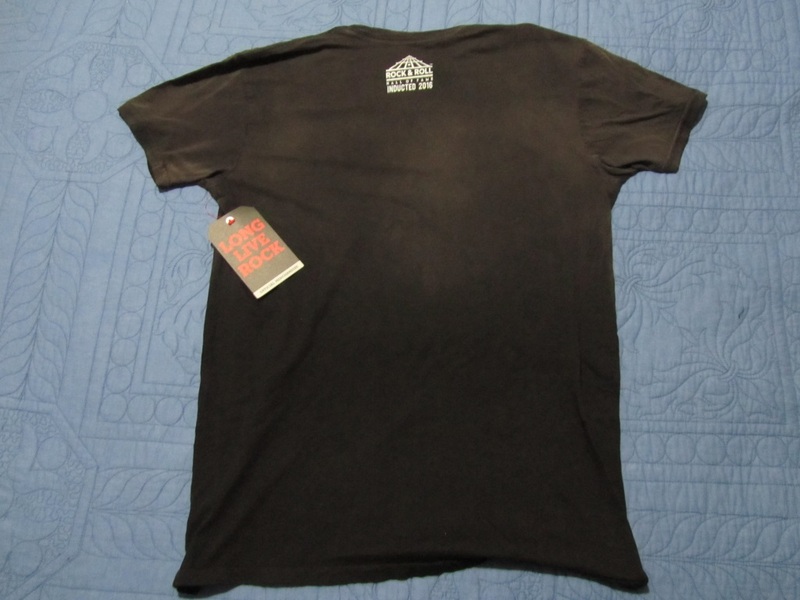 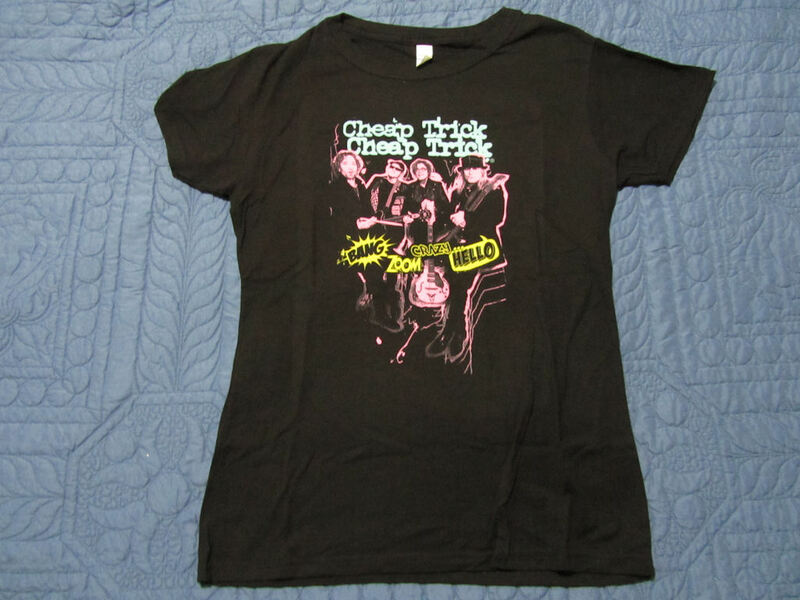 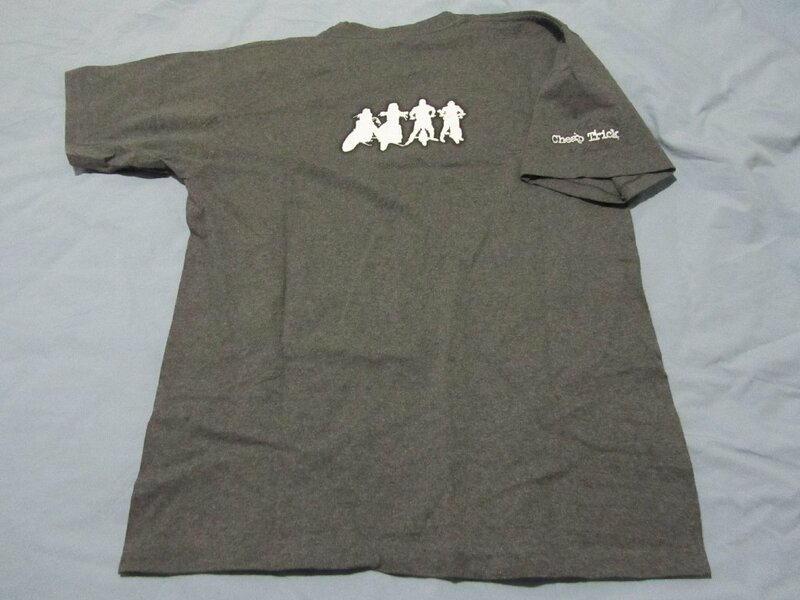 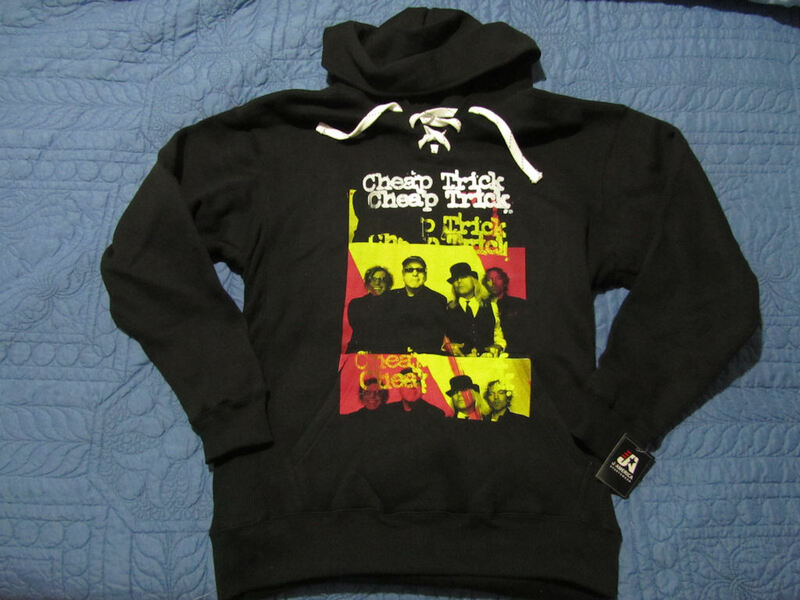 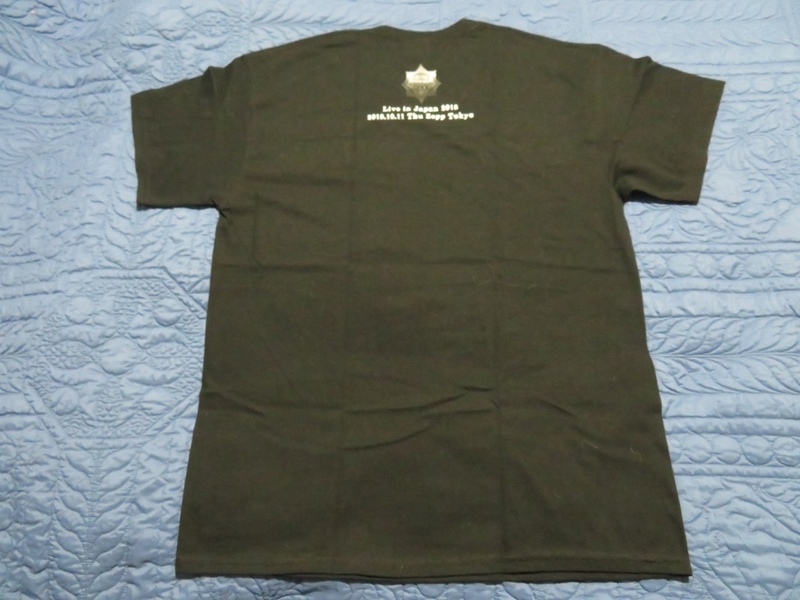 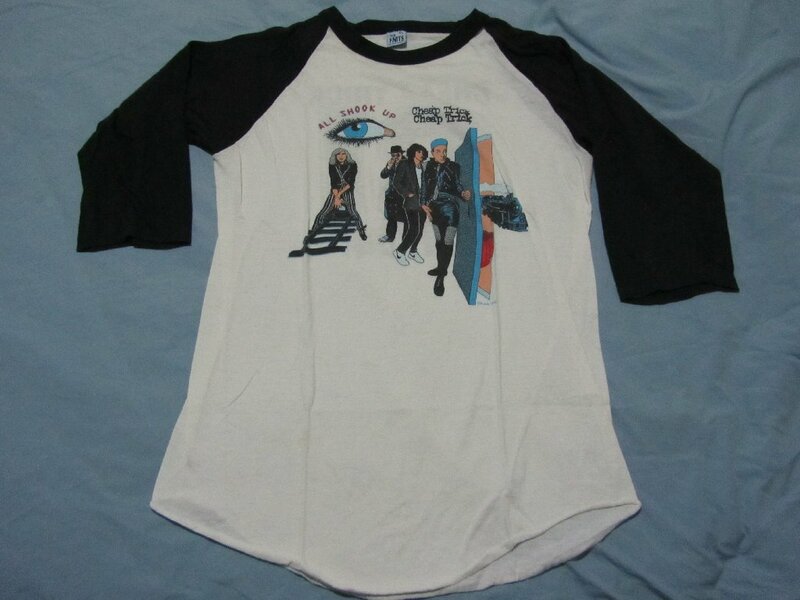 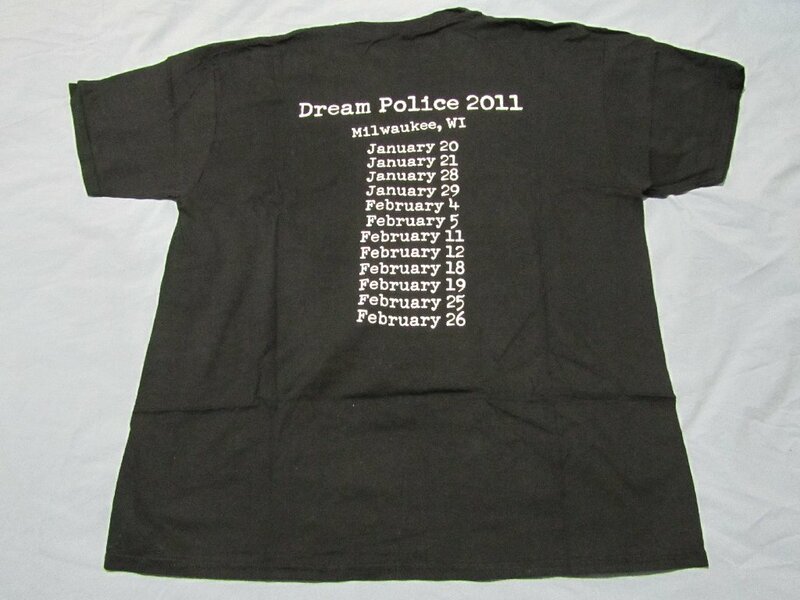 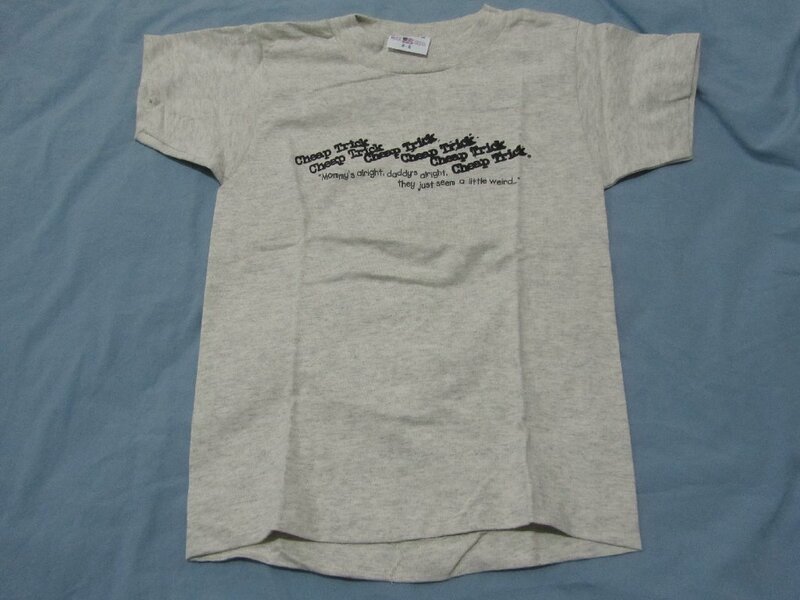 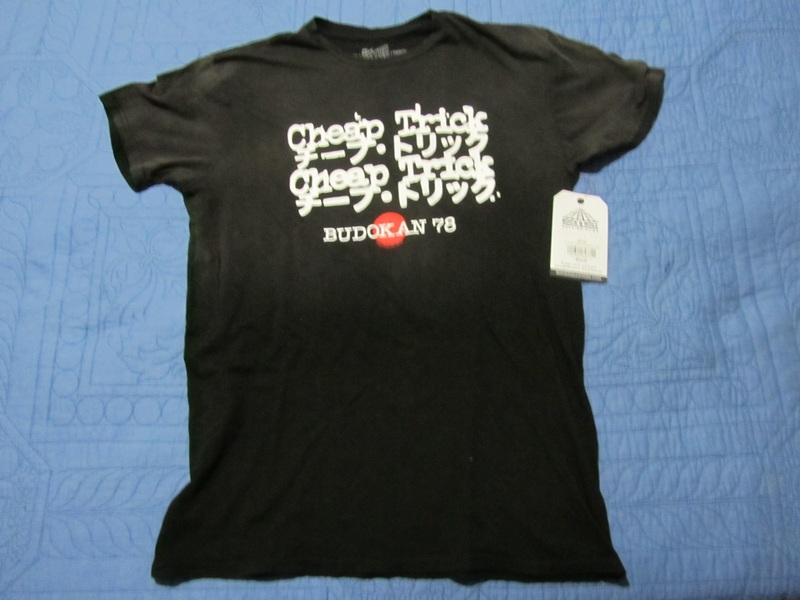 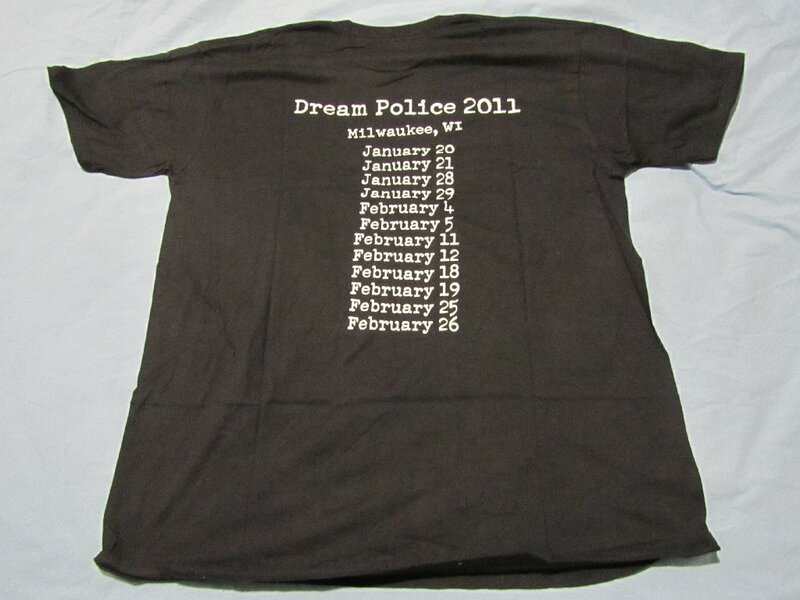 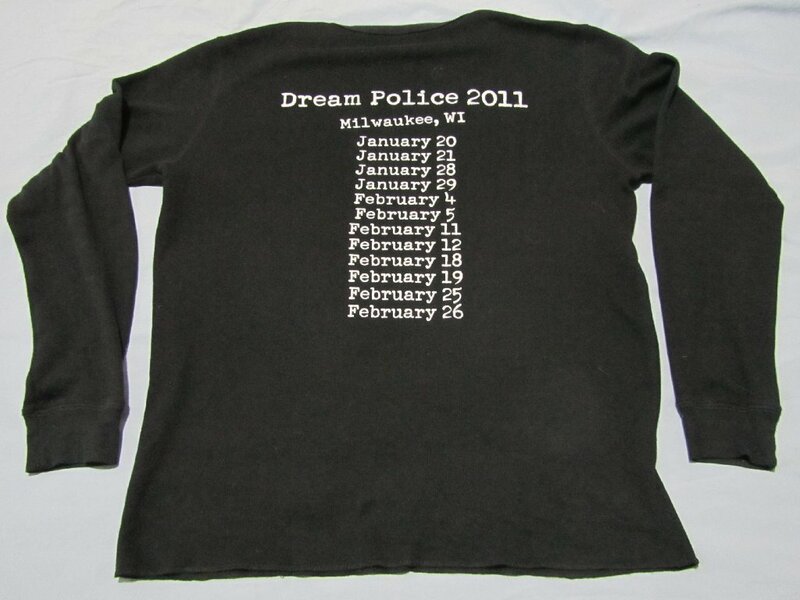 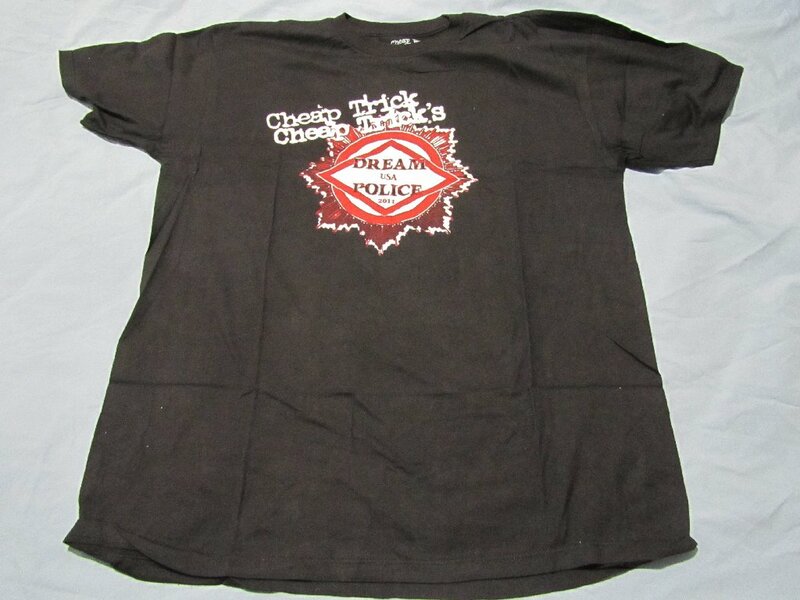 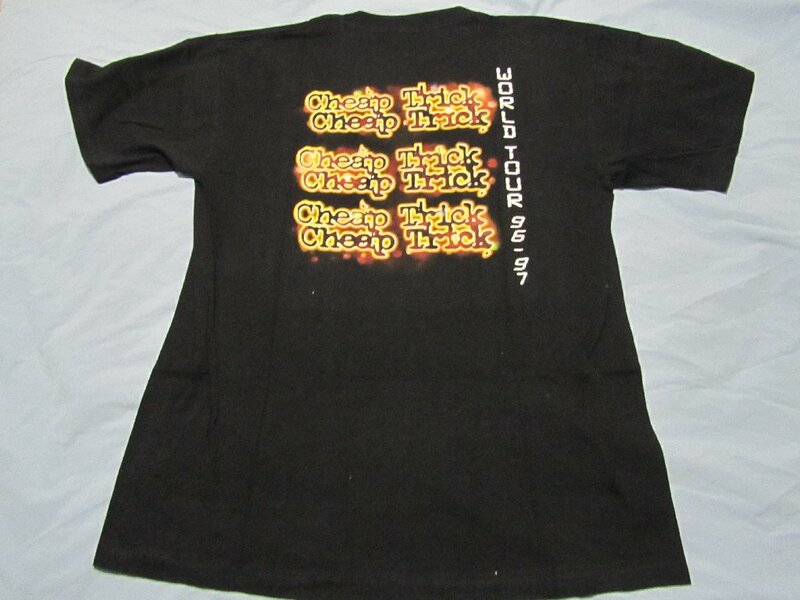 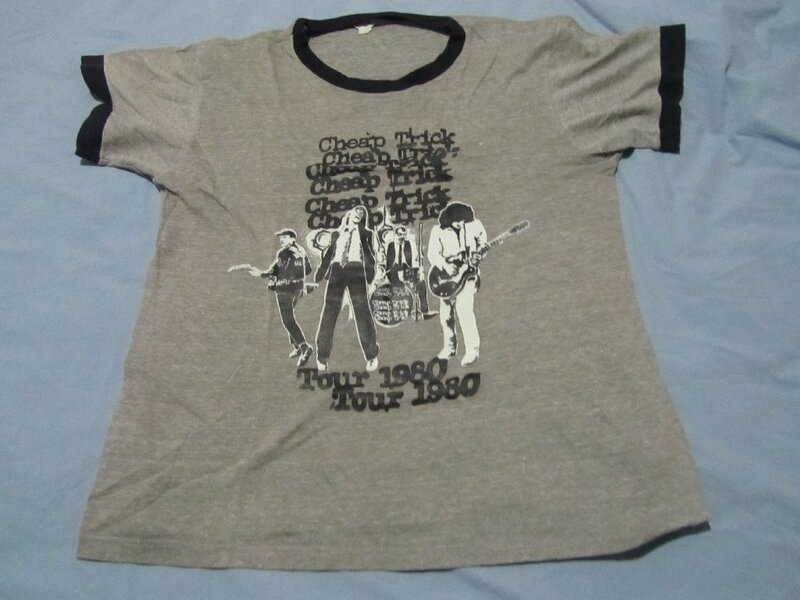 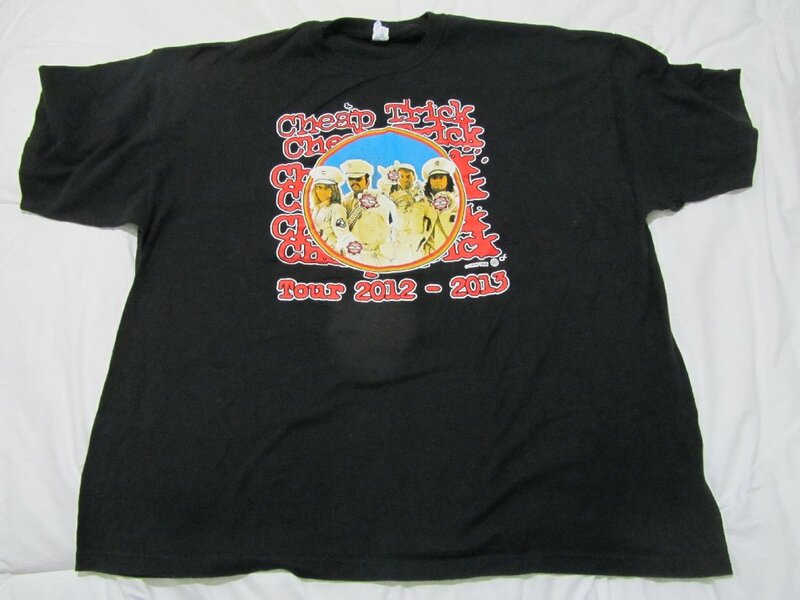 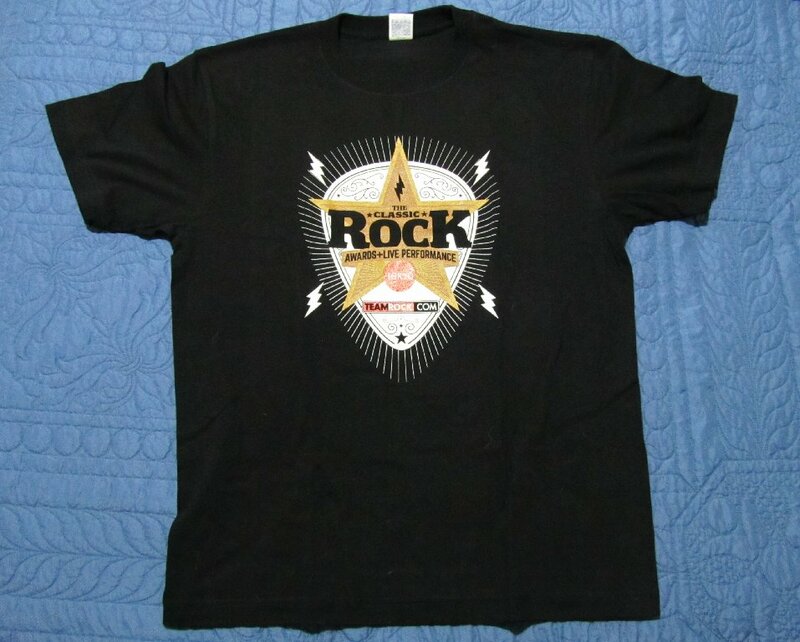 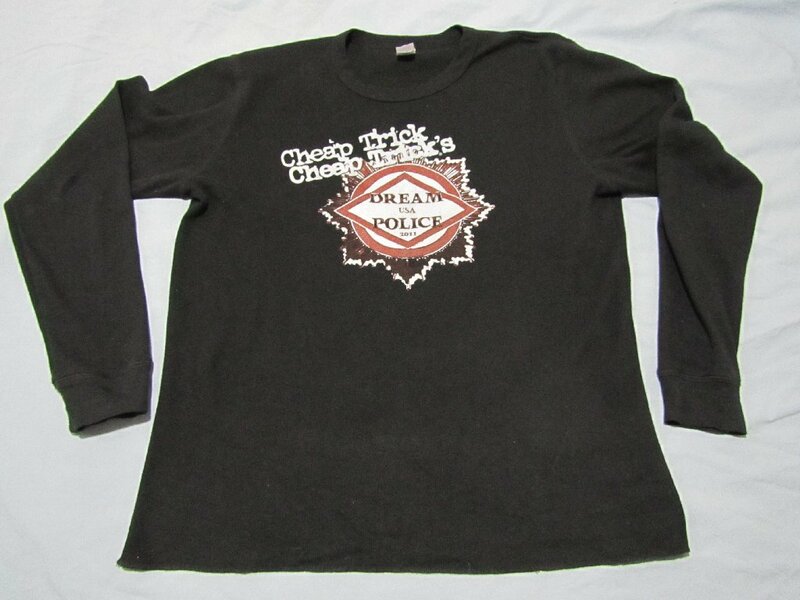 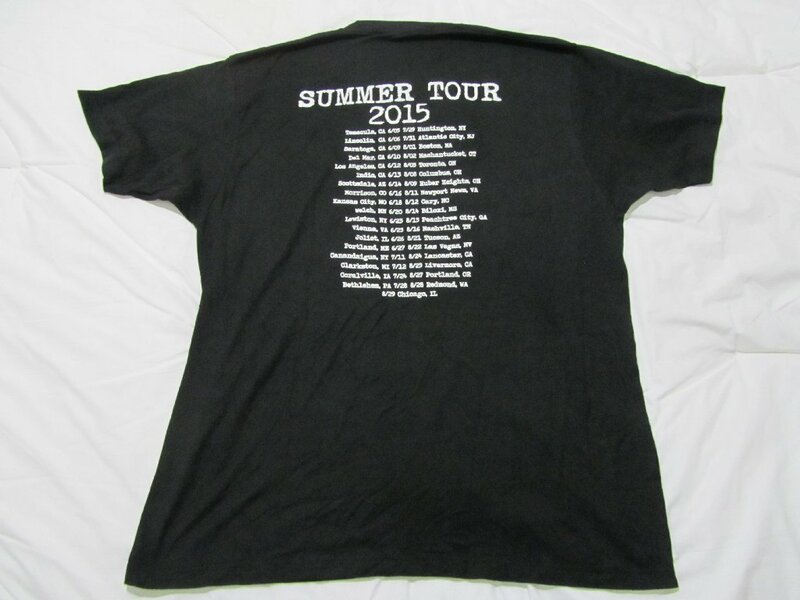 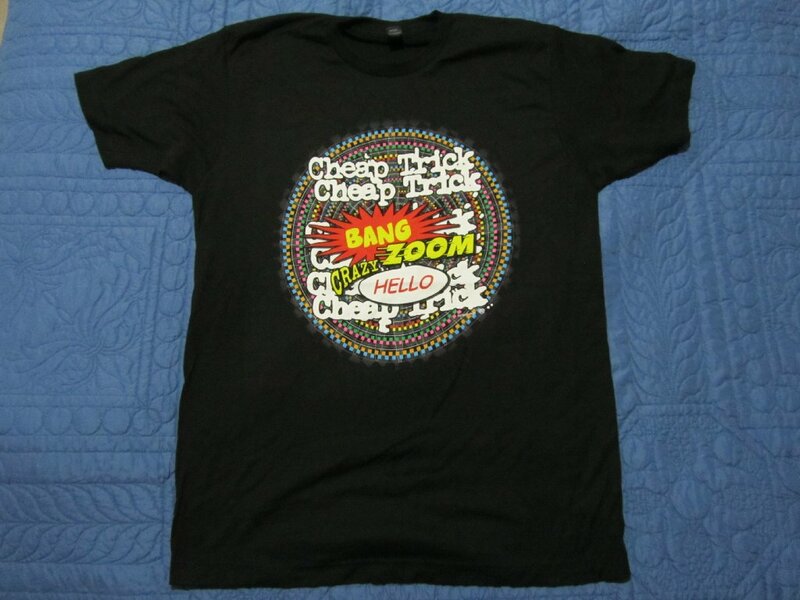 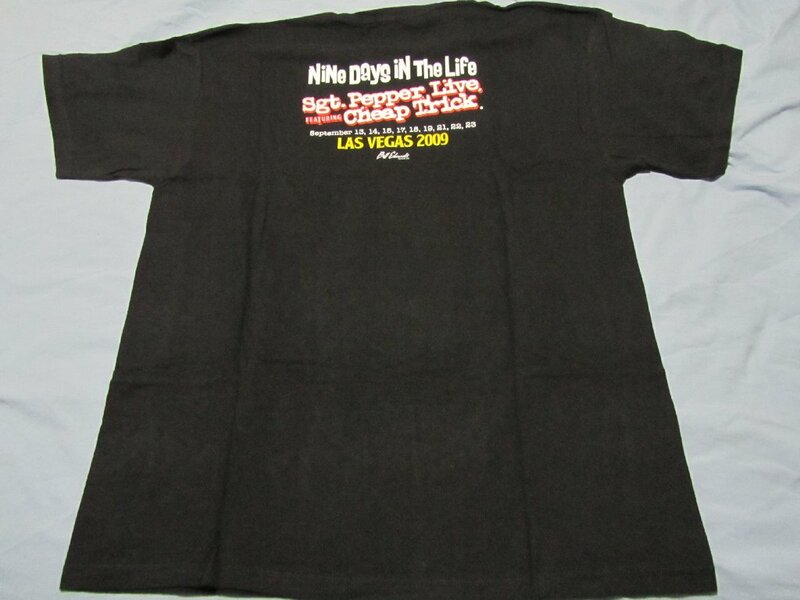 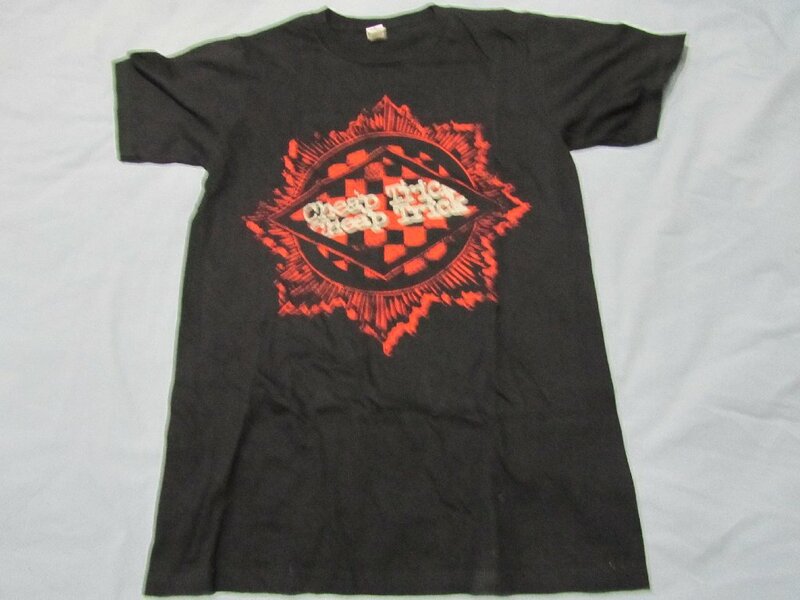 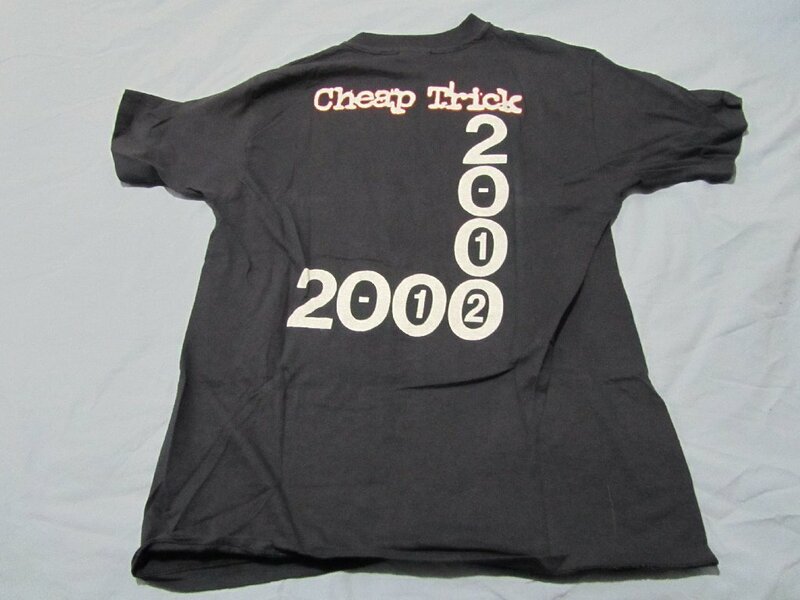 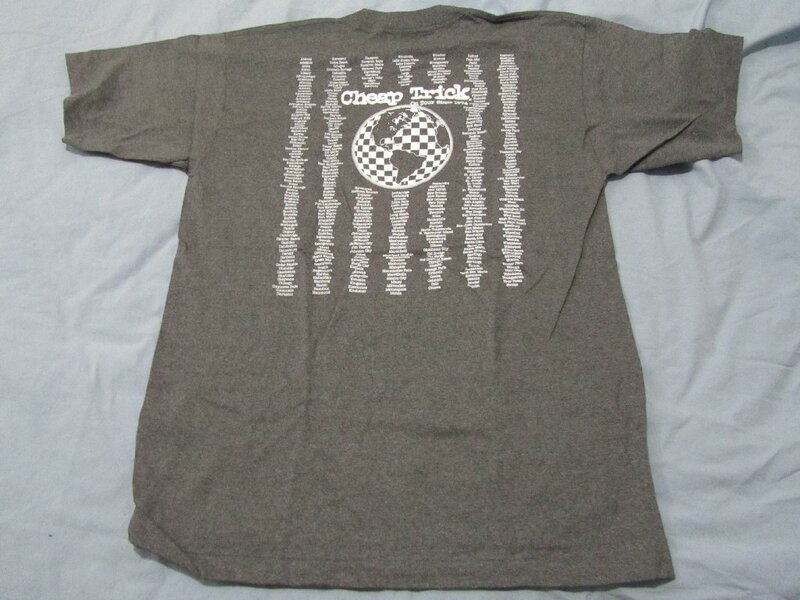 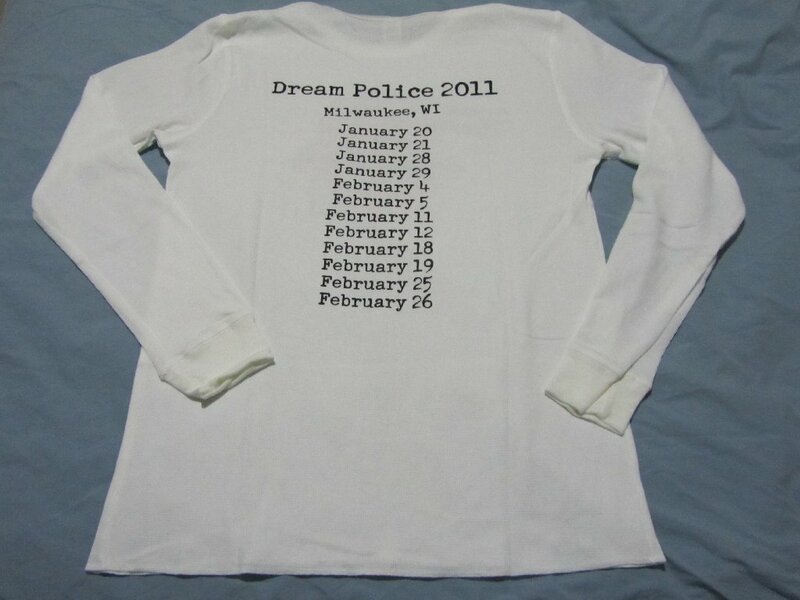 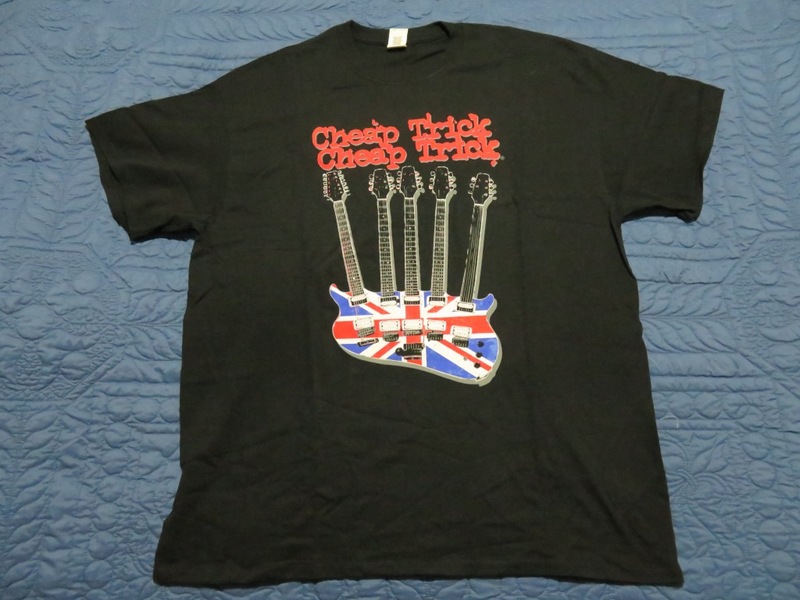 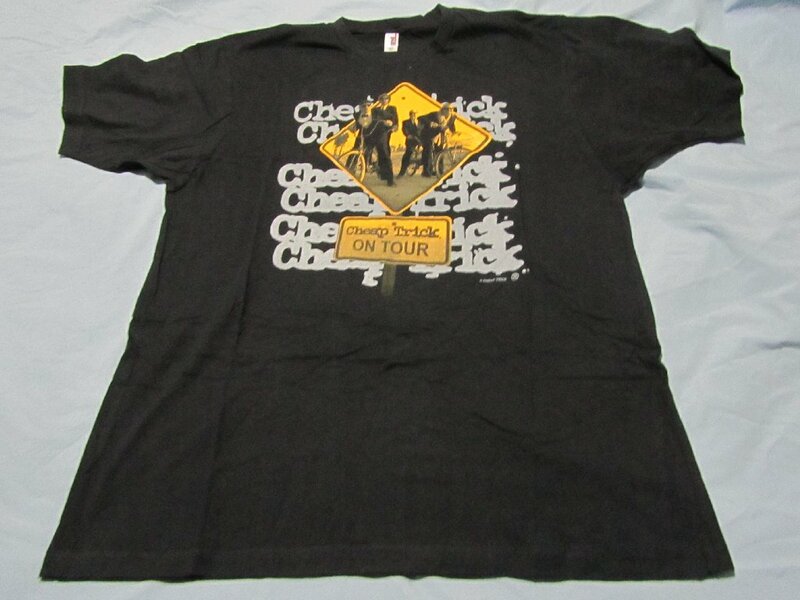 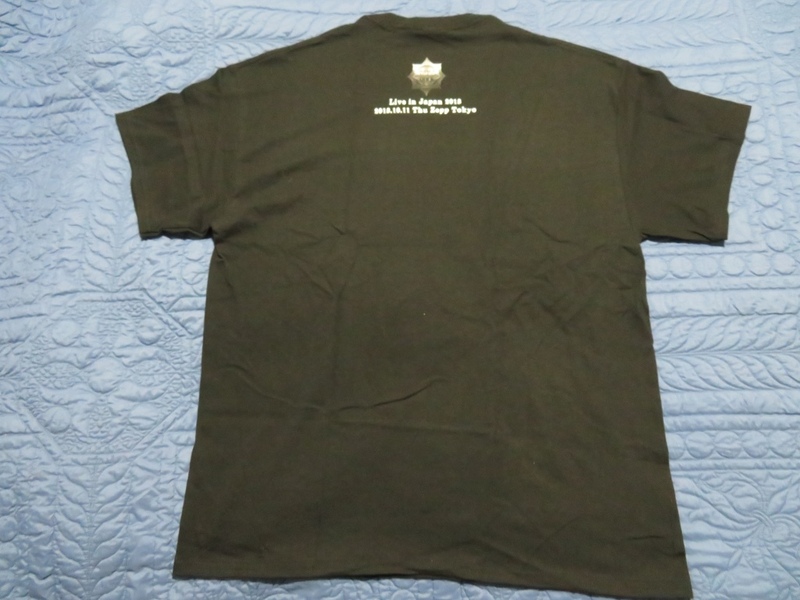 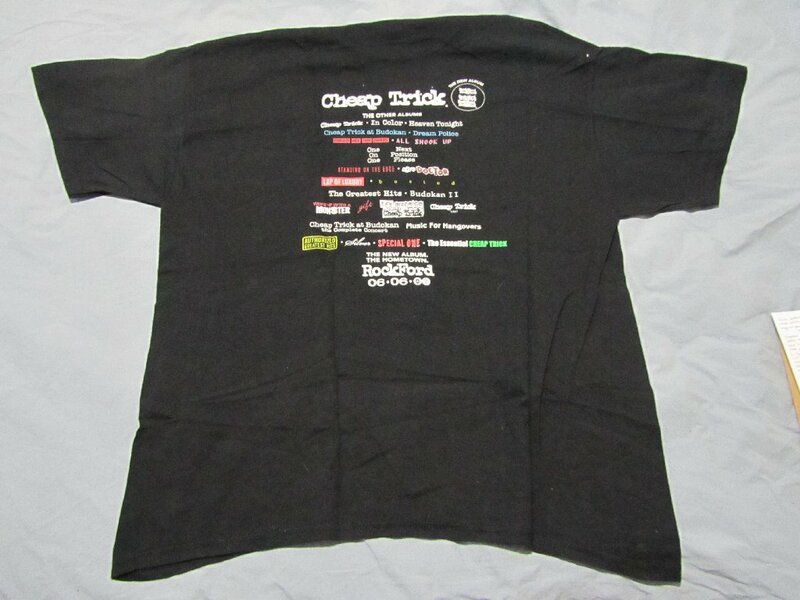 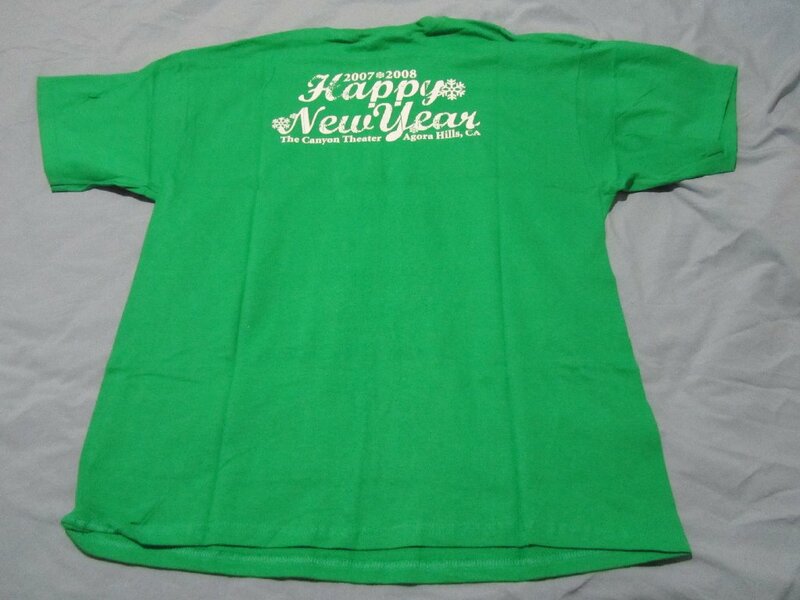 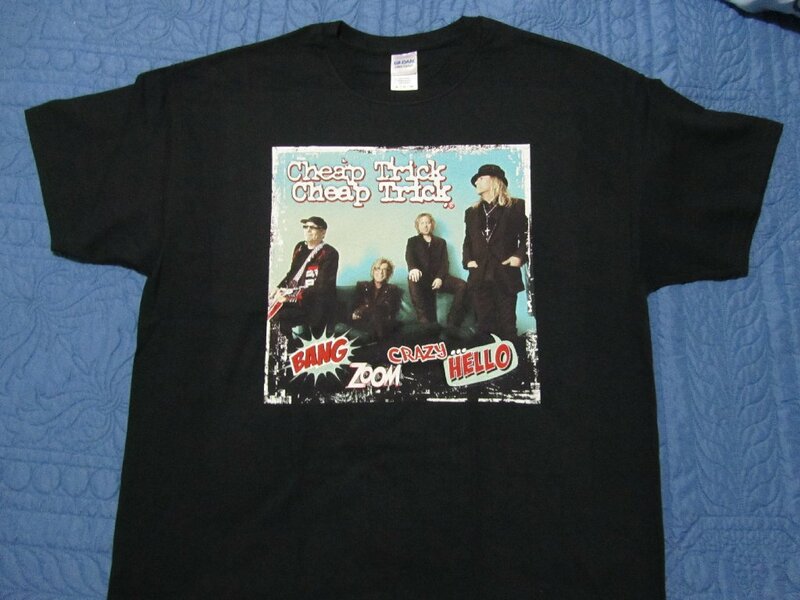 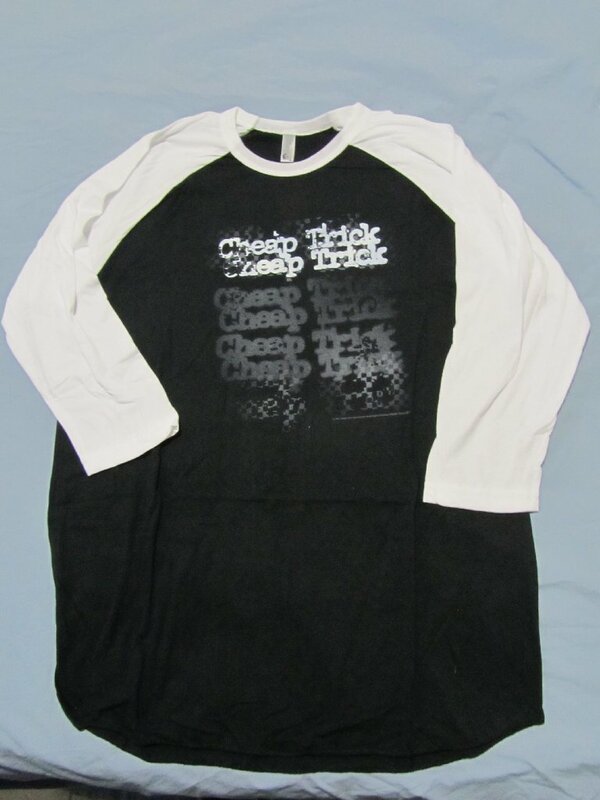 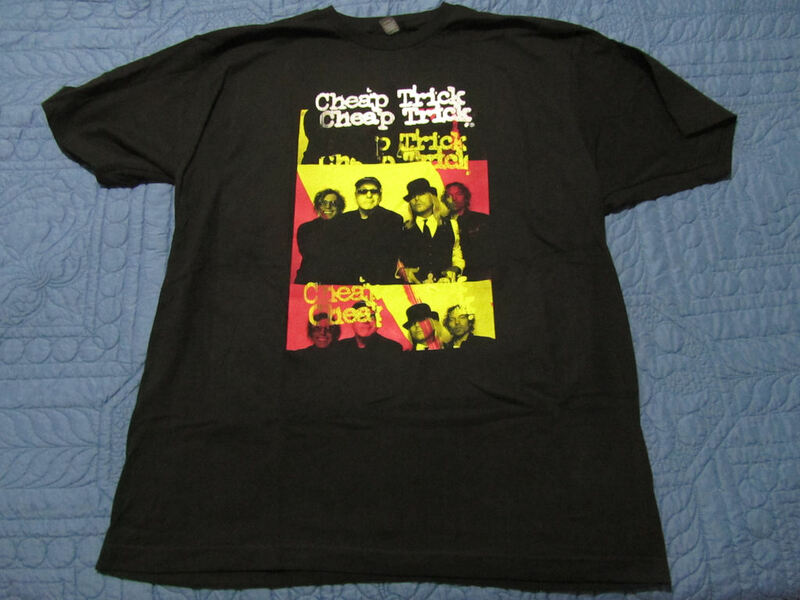 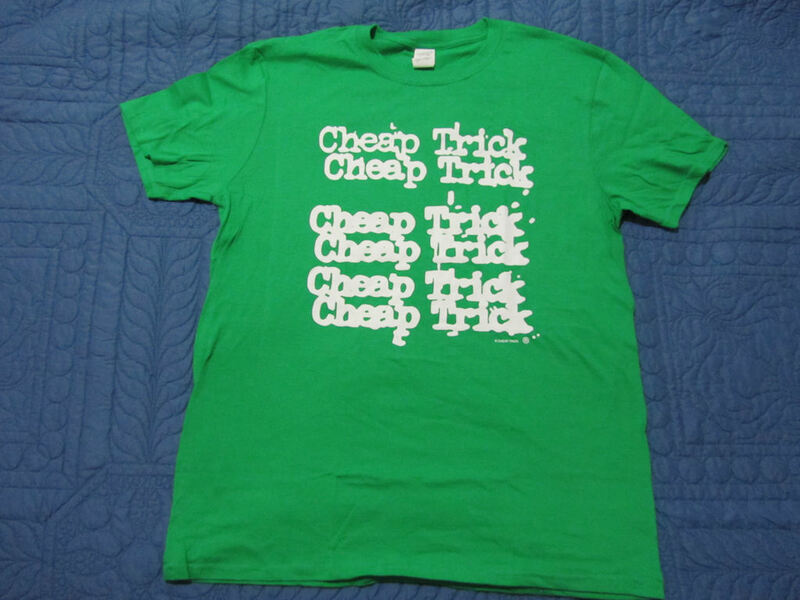 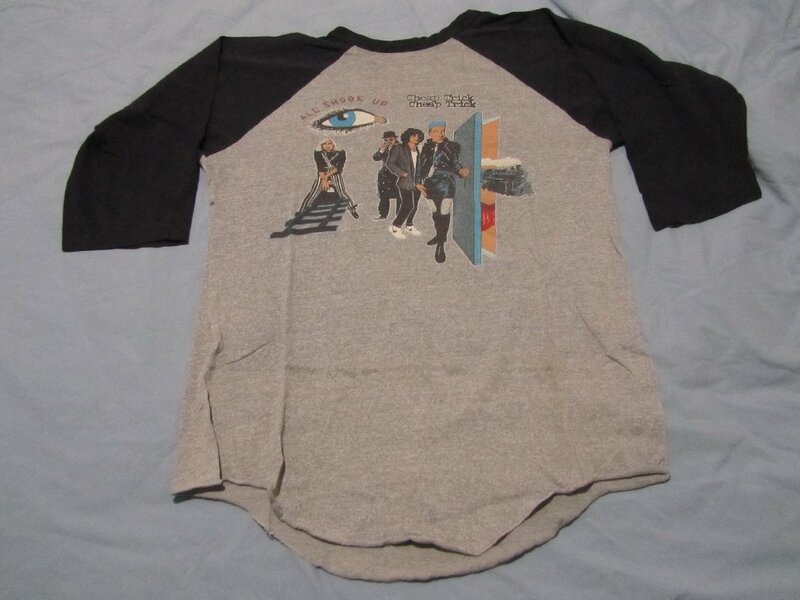 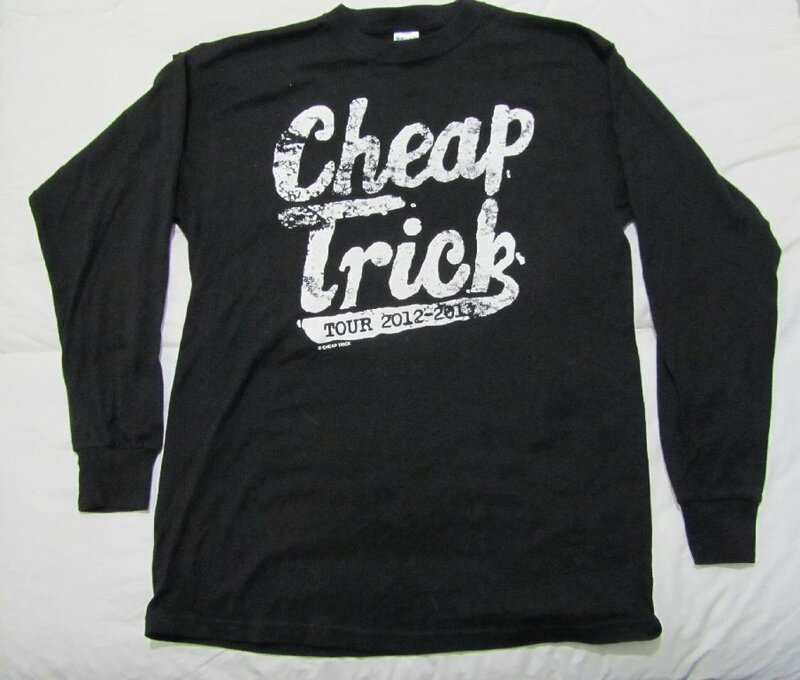 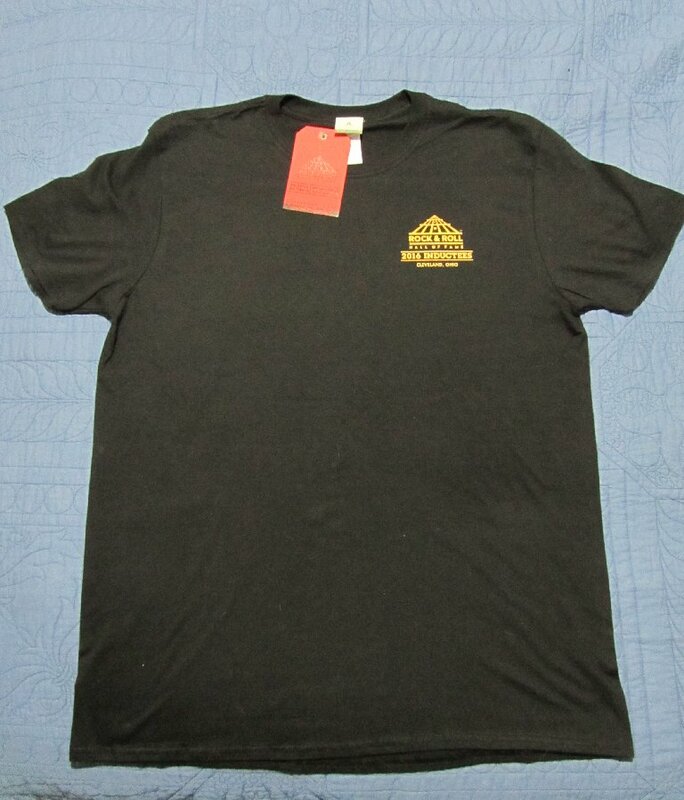 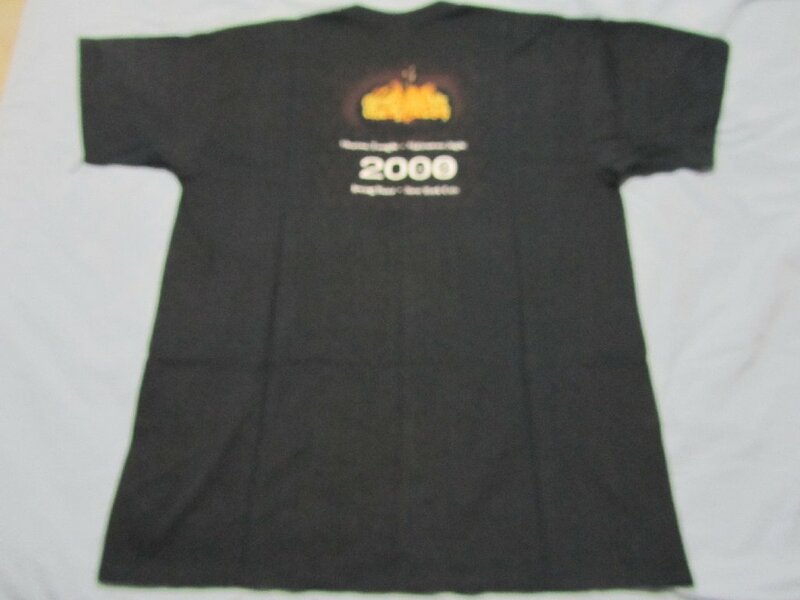 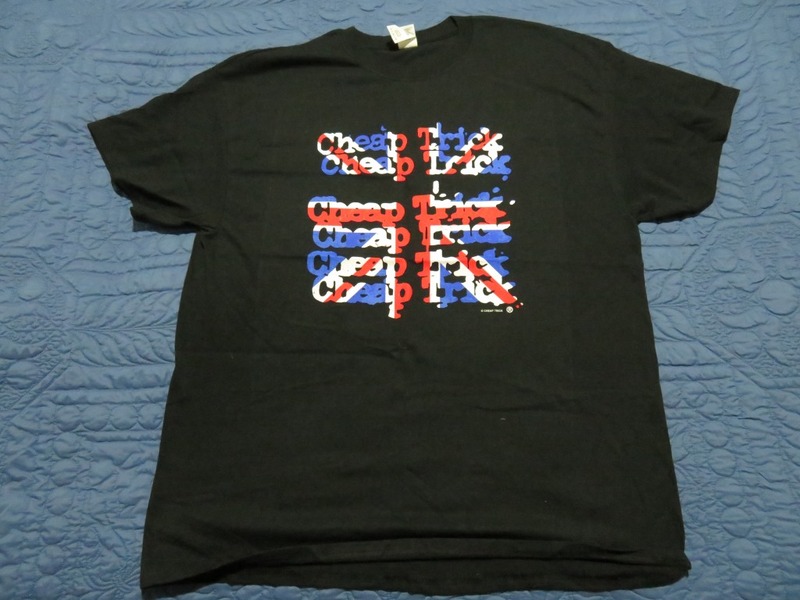 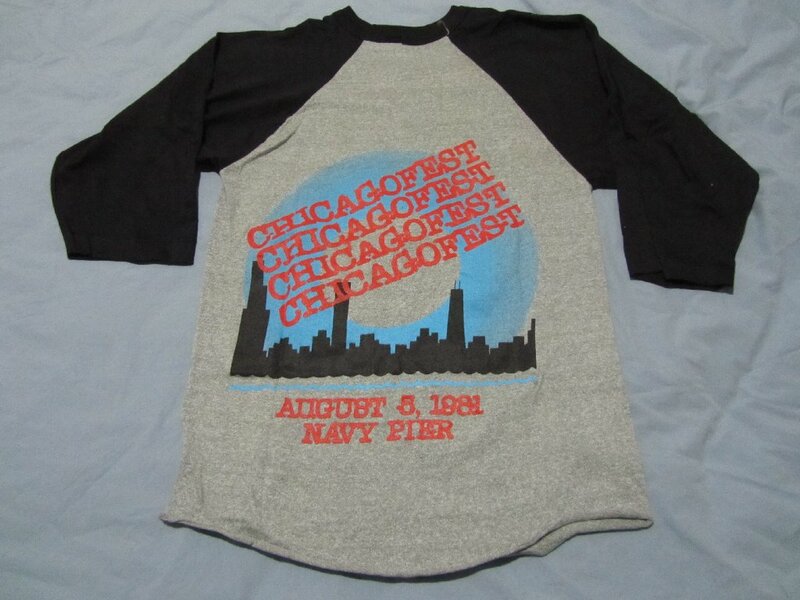 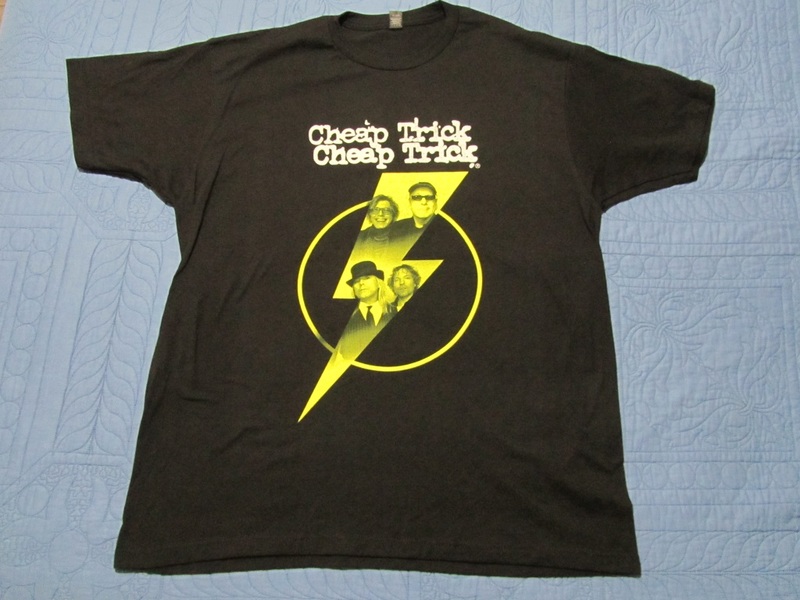 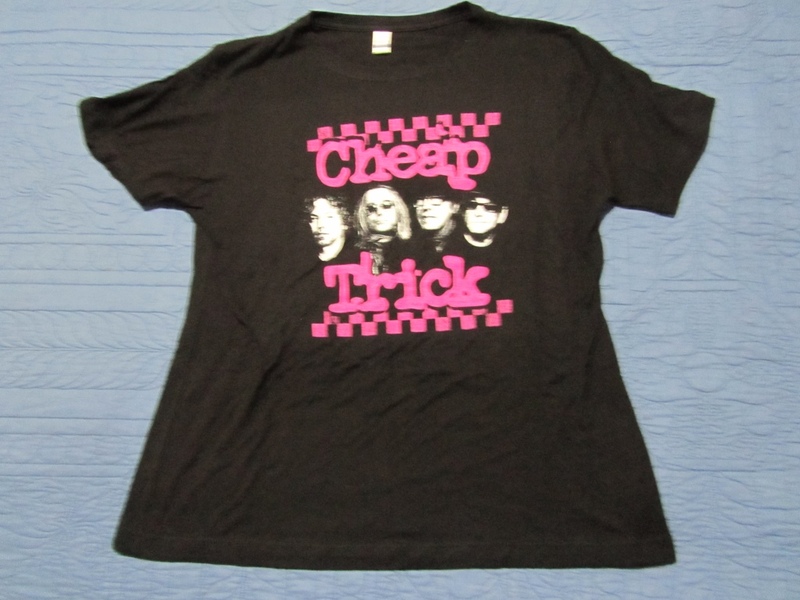 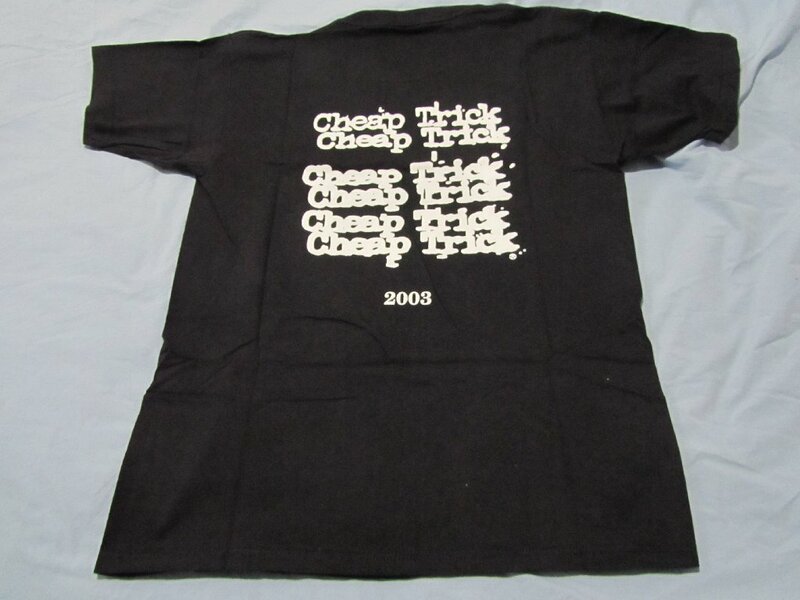 ***Note*** - Around August 2009, the Zazzle" online store started offering custom printed t-shirts & other items featuring the bands distinctive logo. 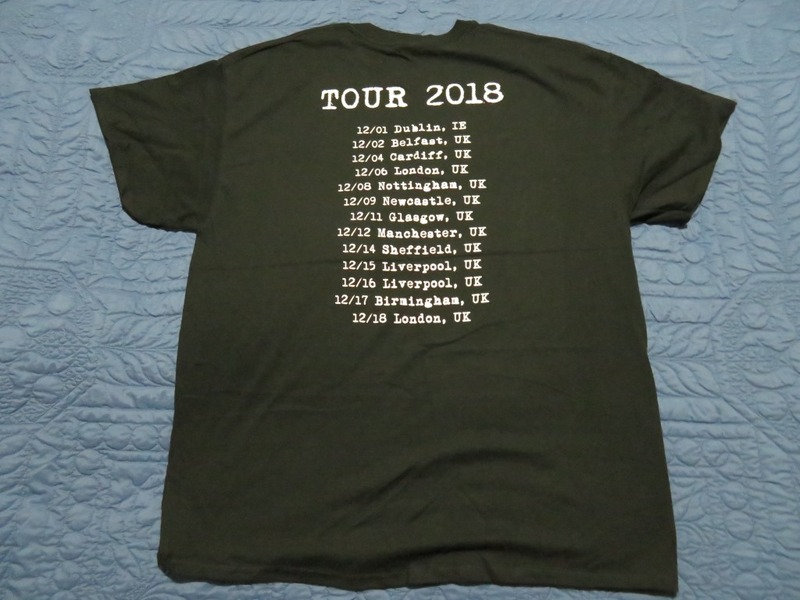 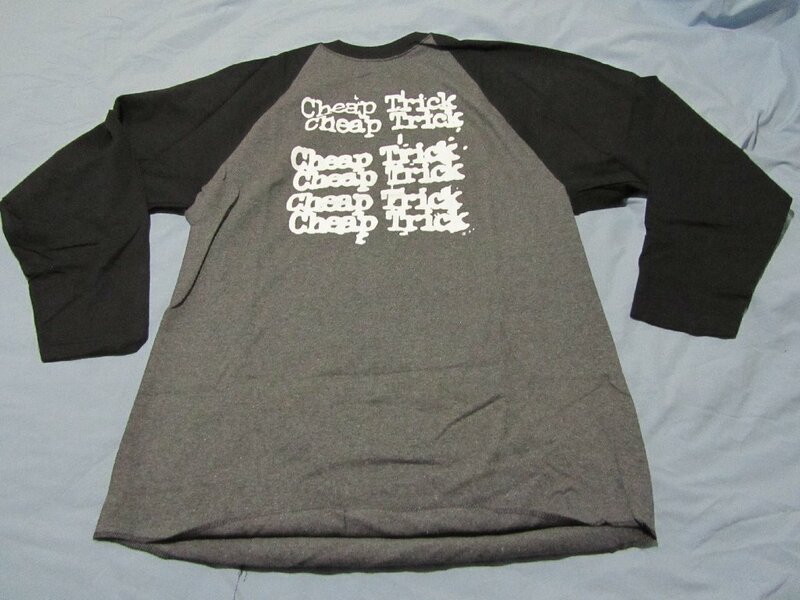 There are too many variations for me to list, so I will continue to only list shirts available to buy at shows and from the bands online store. 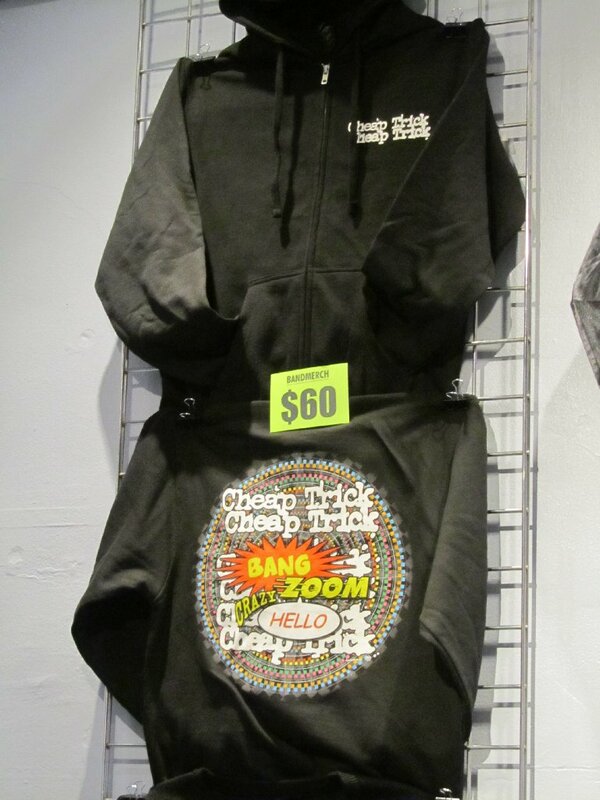 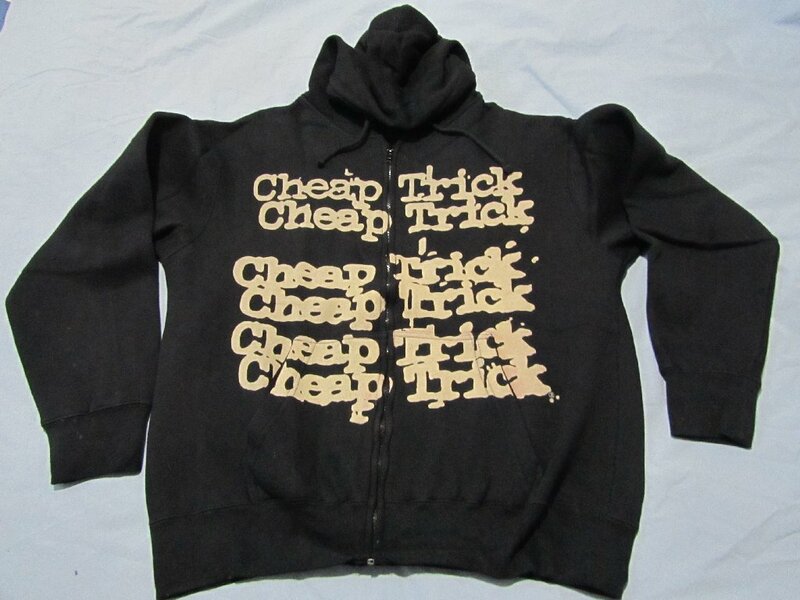 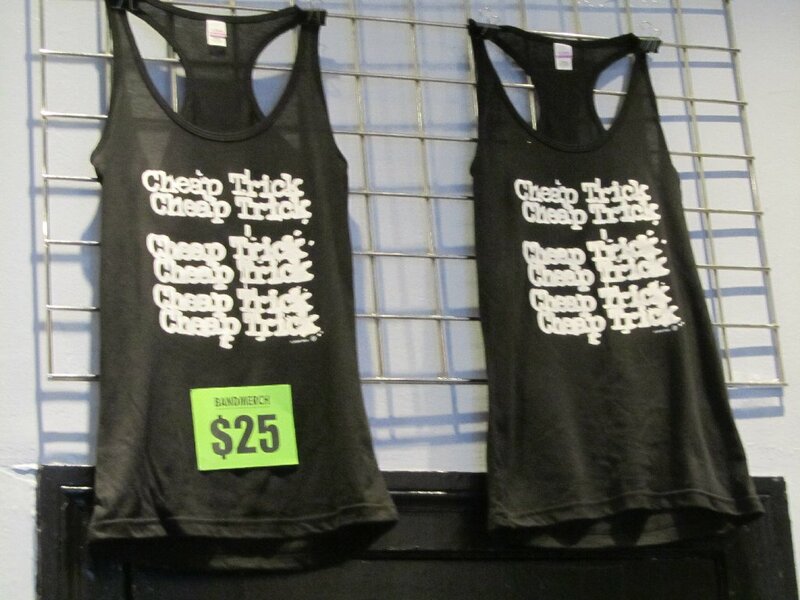 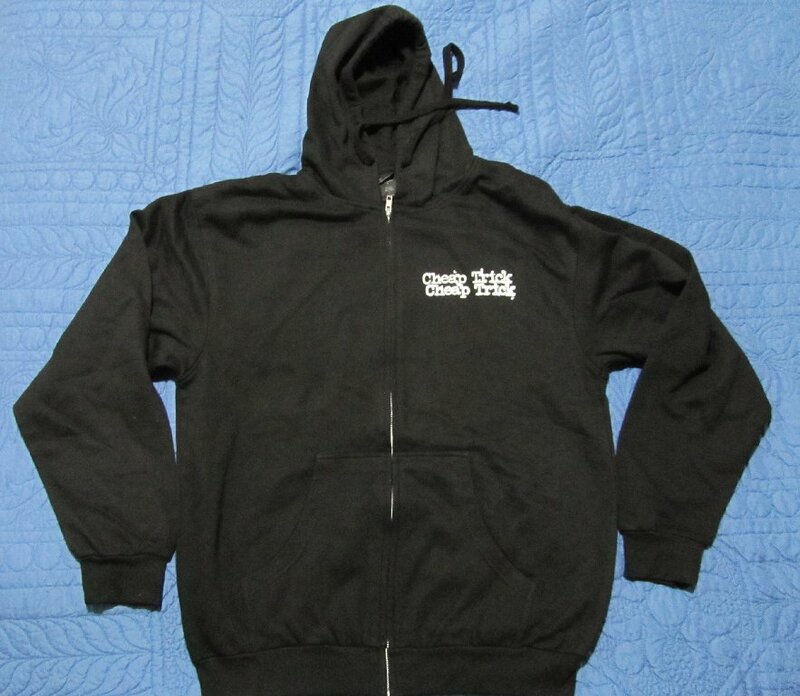 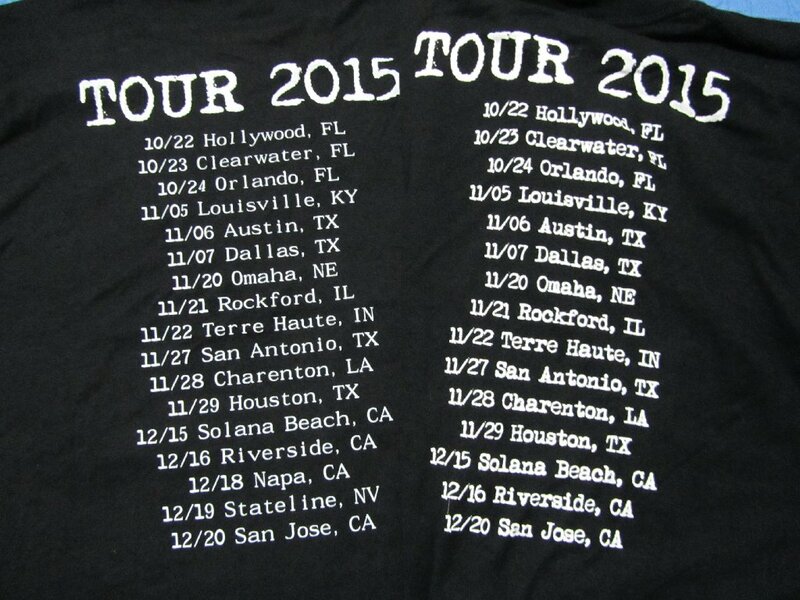 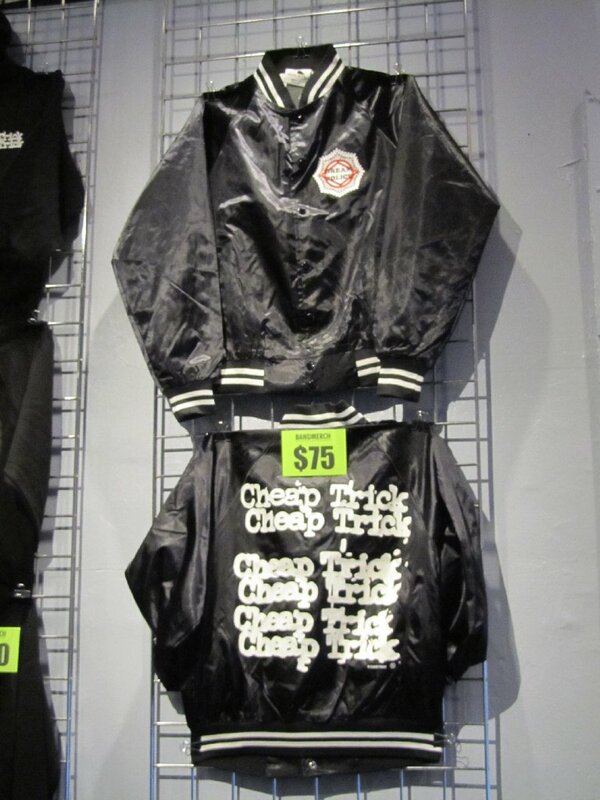 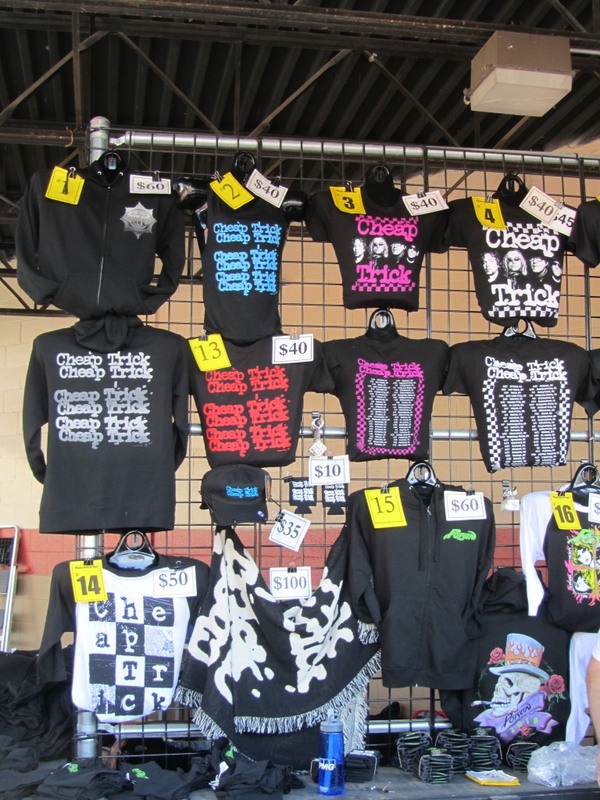 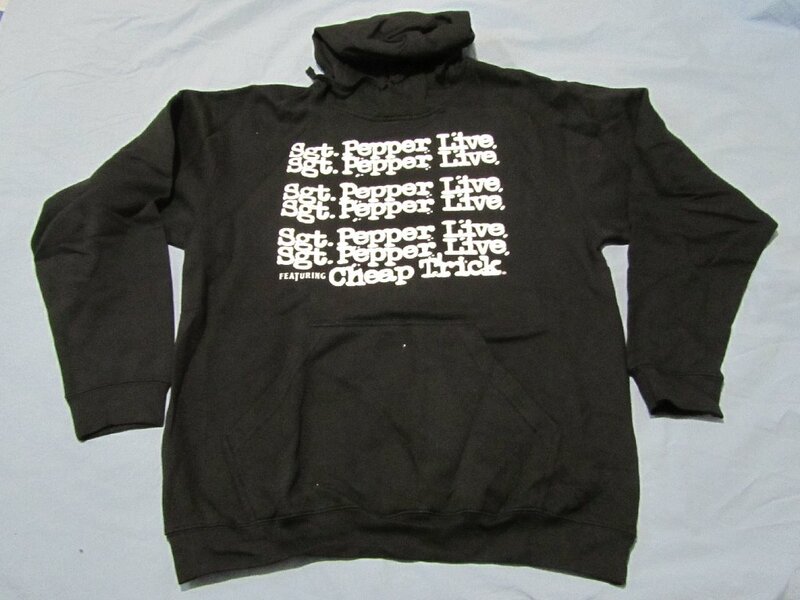 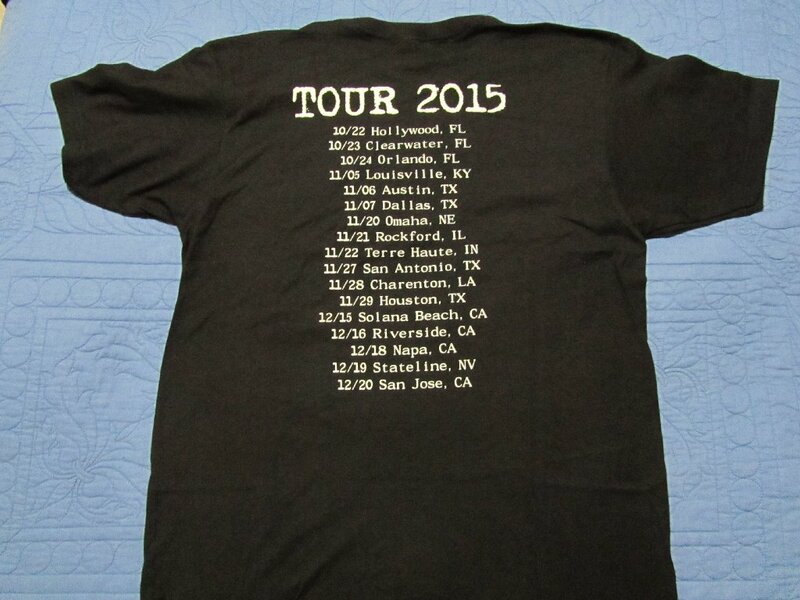 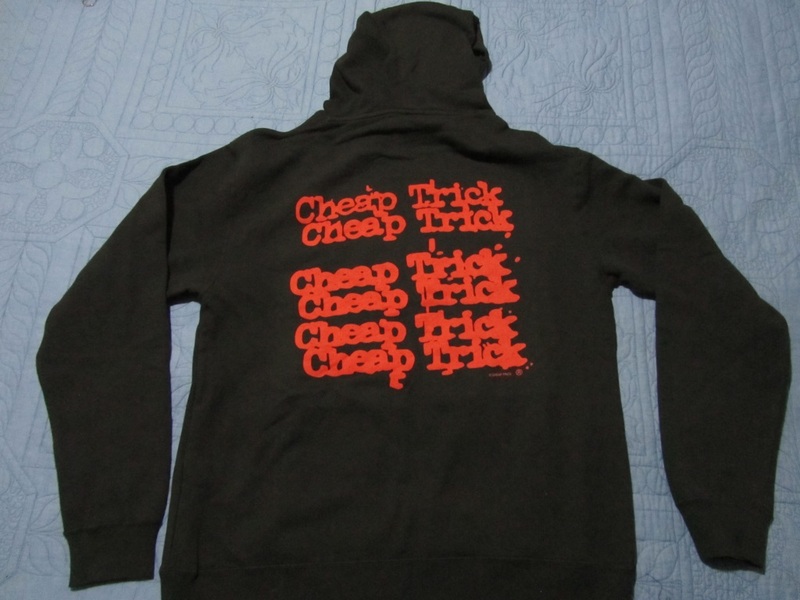 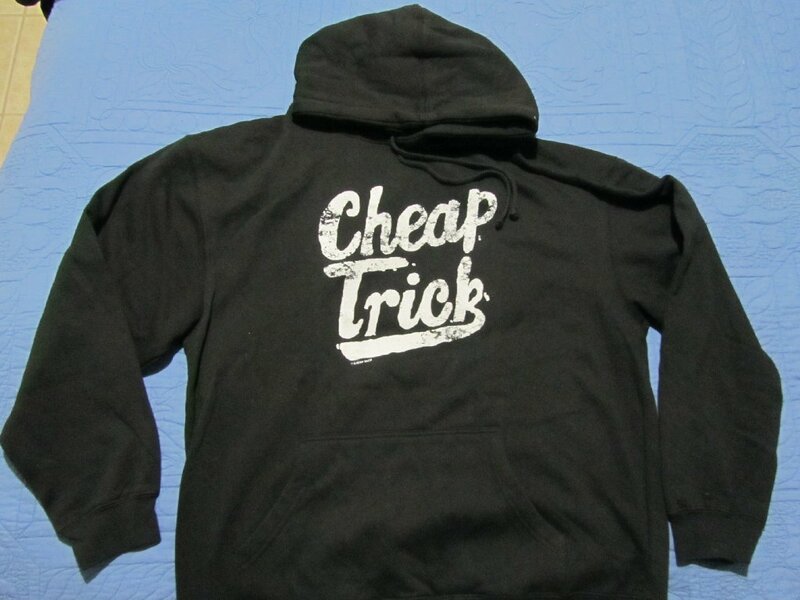 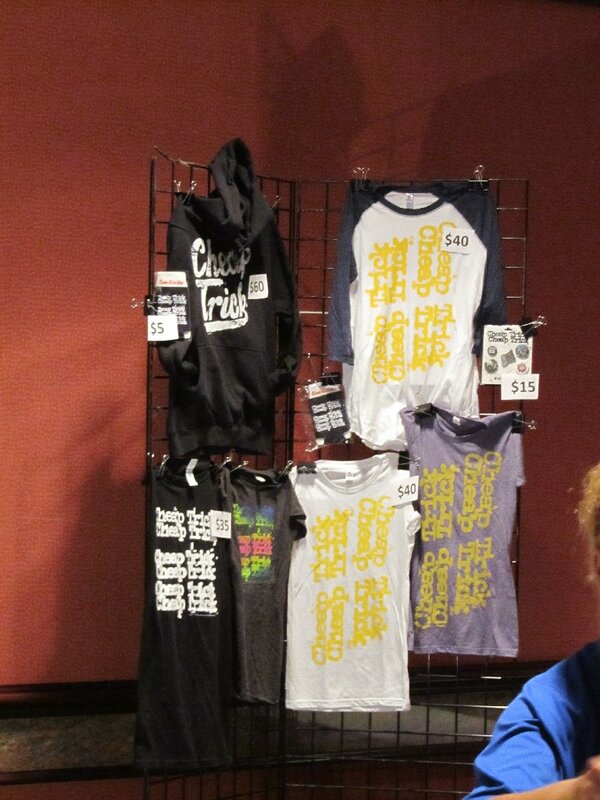 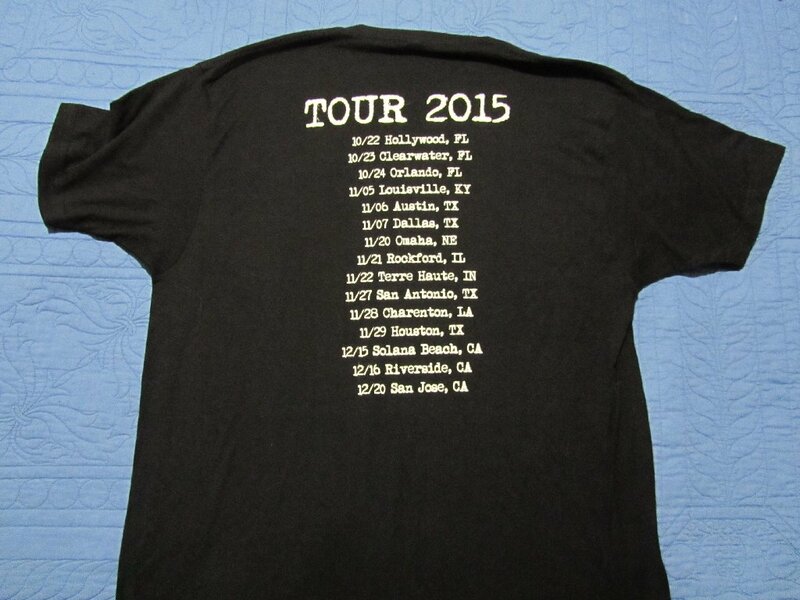 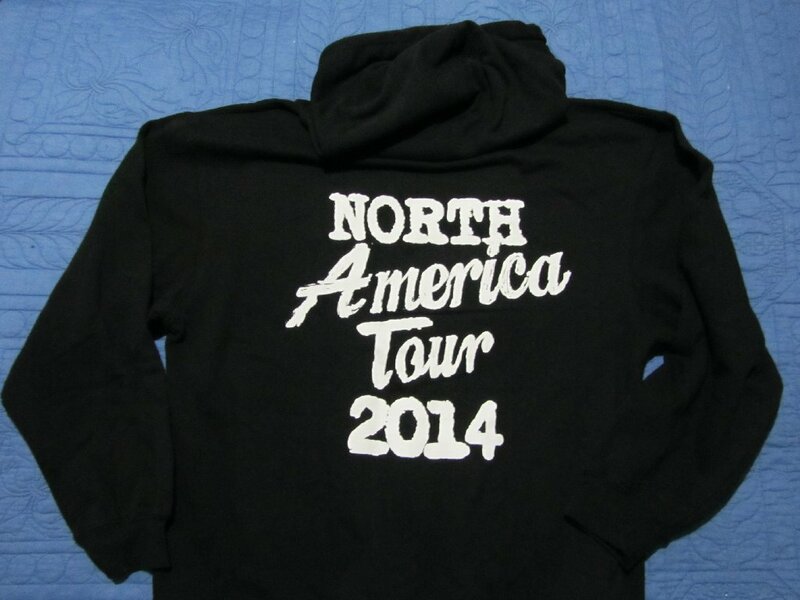 Tour jackets - I'm aware of at least three that were available for fans to buy. 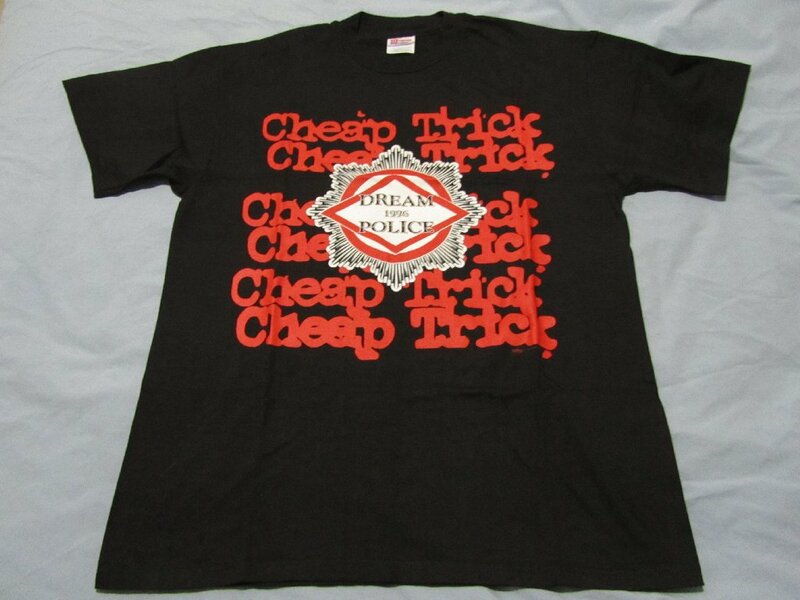 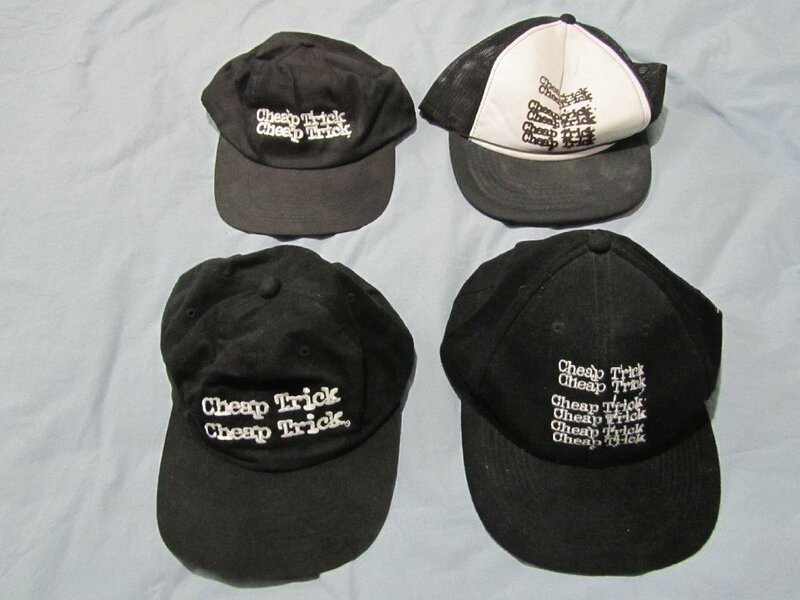 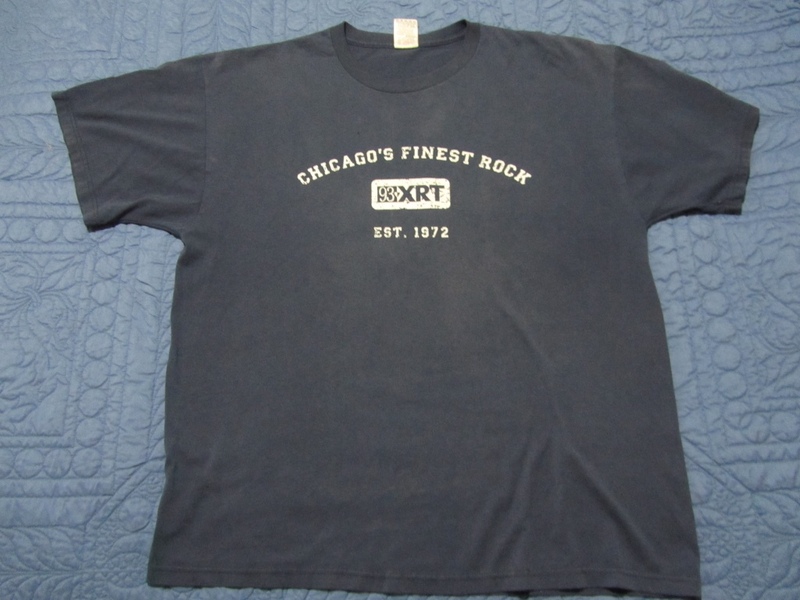 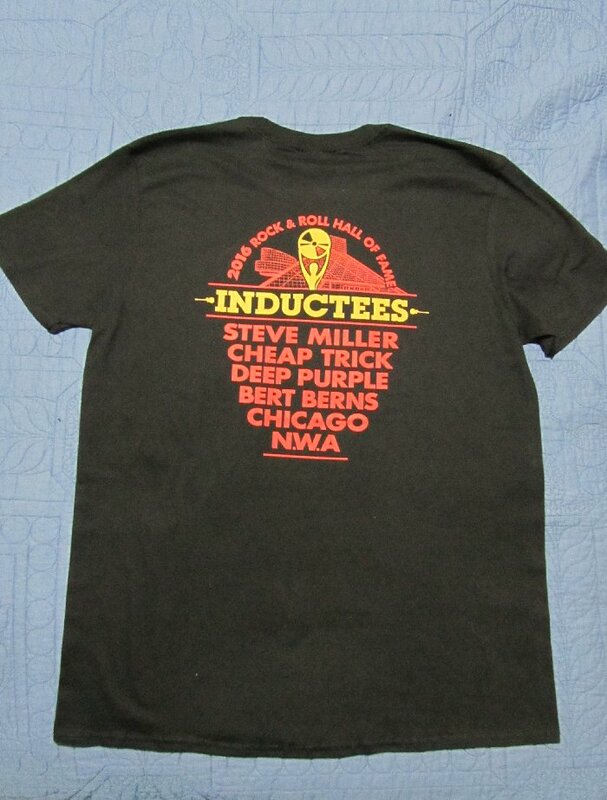 There was the original black logo satin (late 70's) with the 6x logo printed on the back. 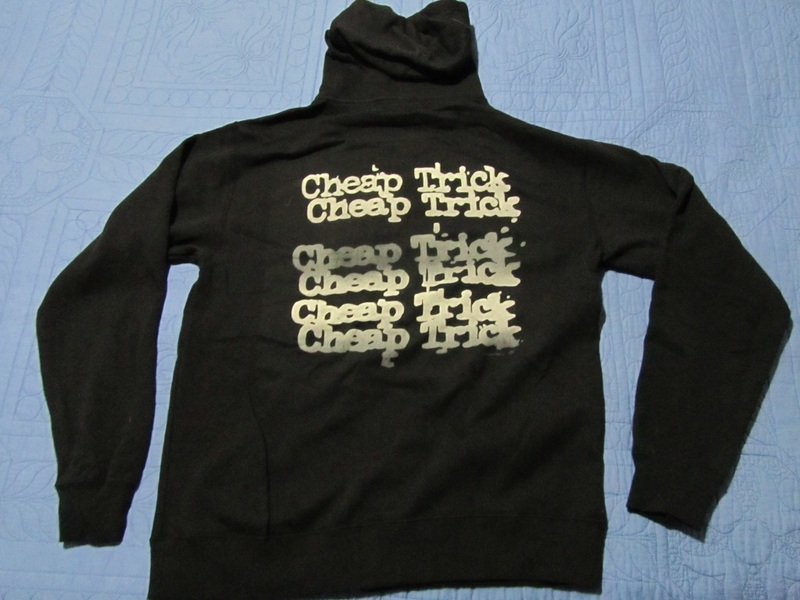 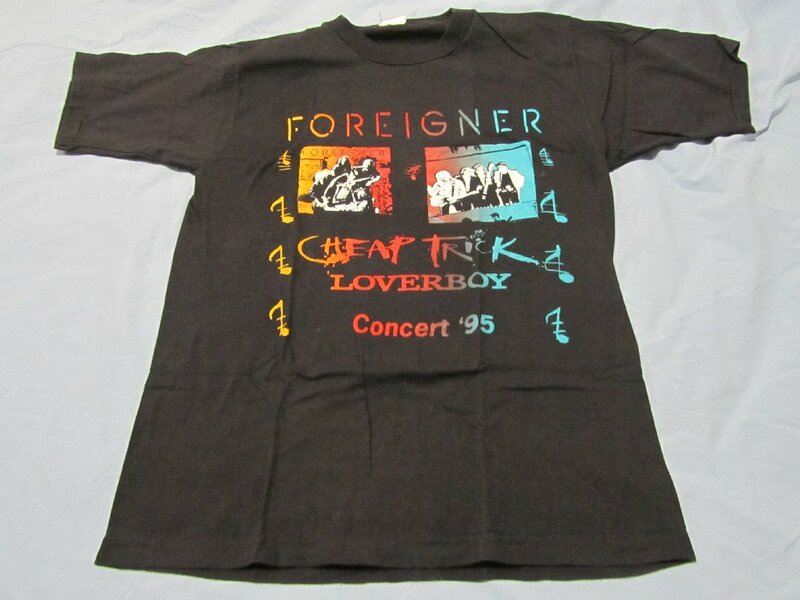 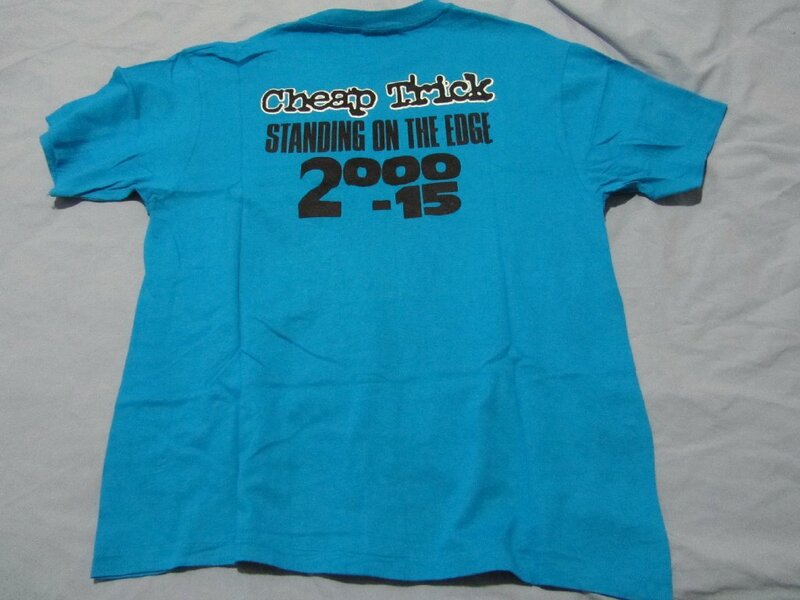 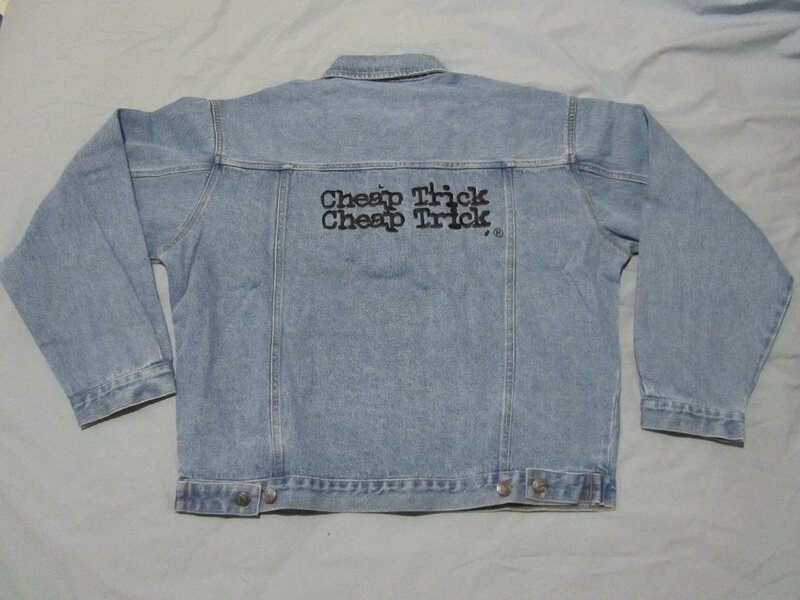 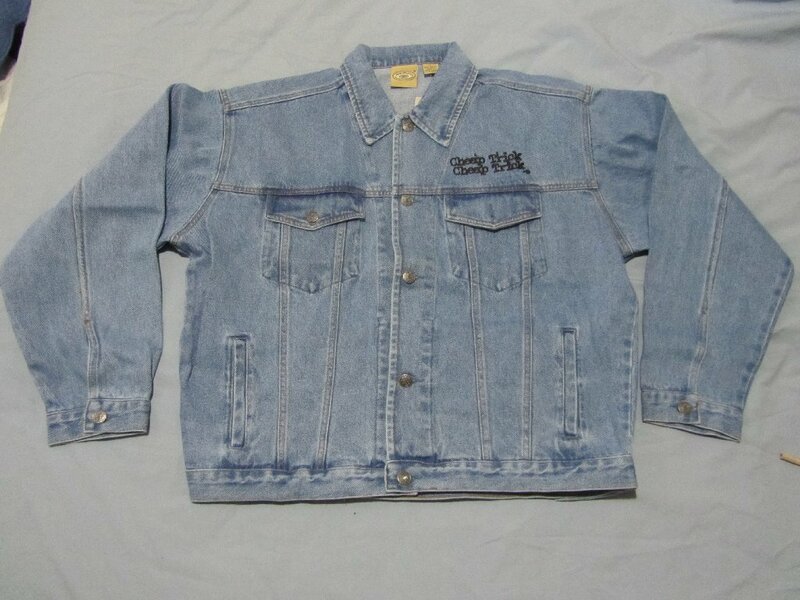 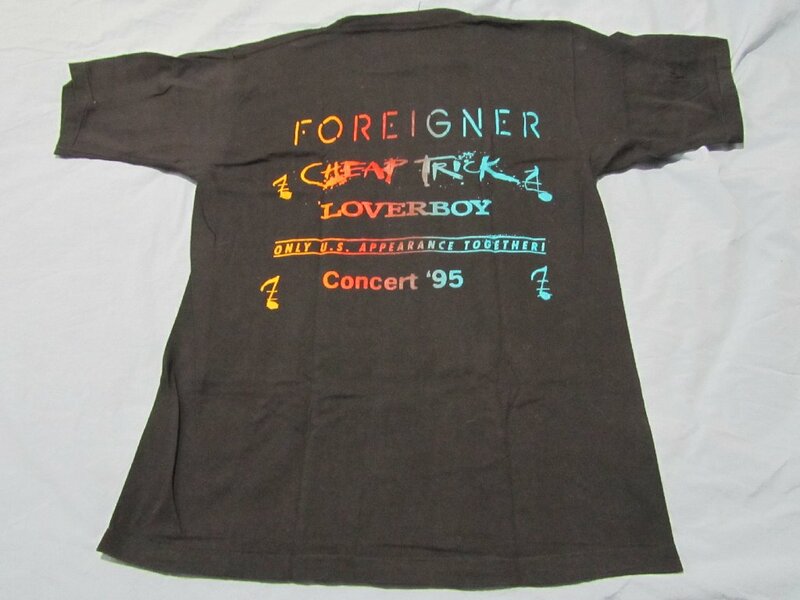 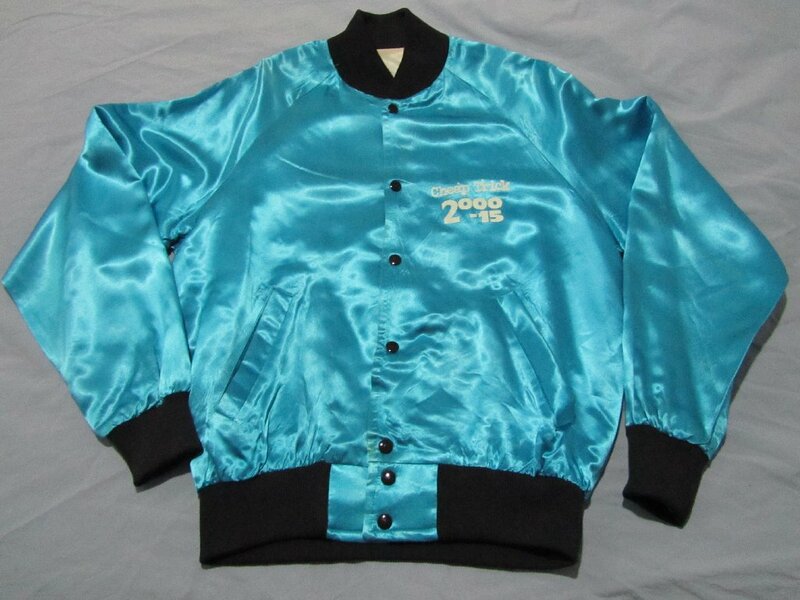 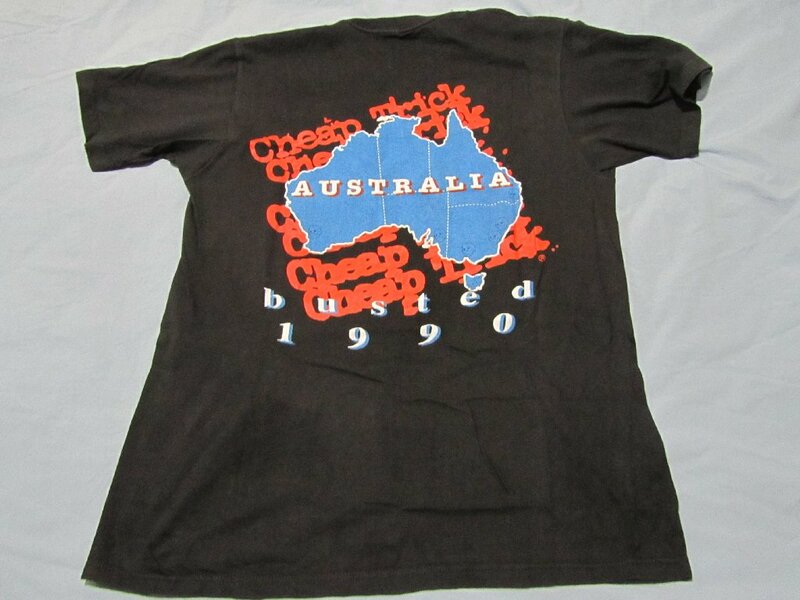 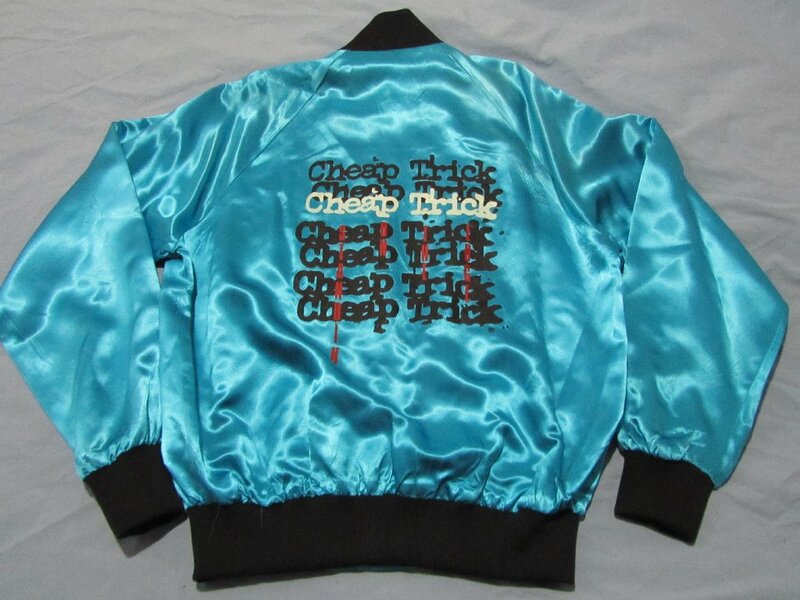 In 1985 there was a turquoise blue "Standing on the Edge" tour jacket, again with printed logo etc. 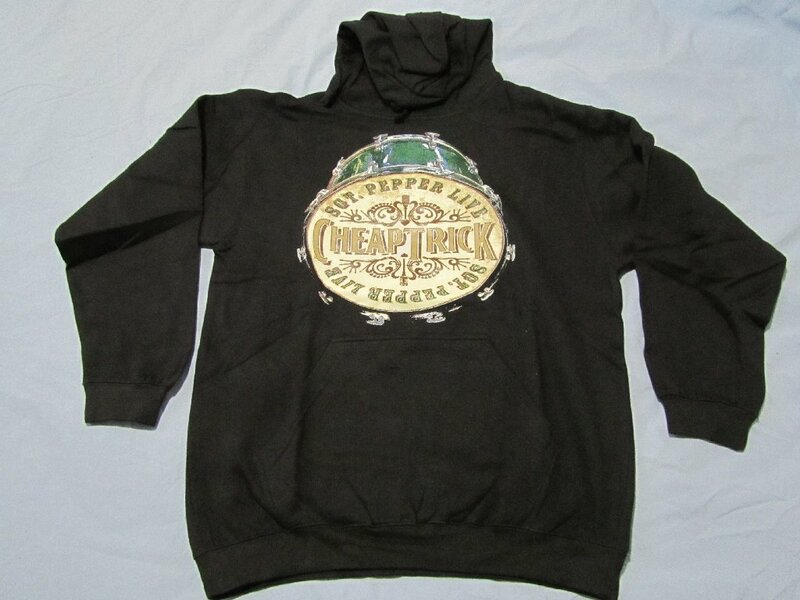 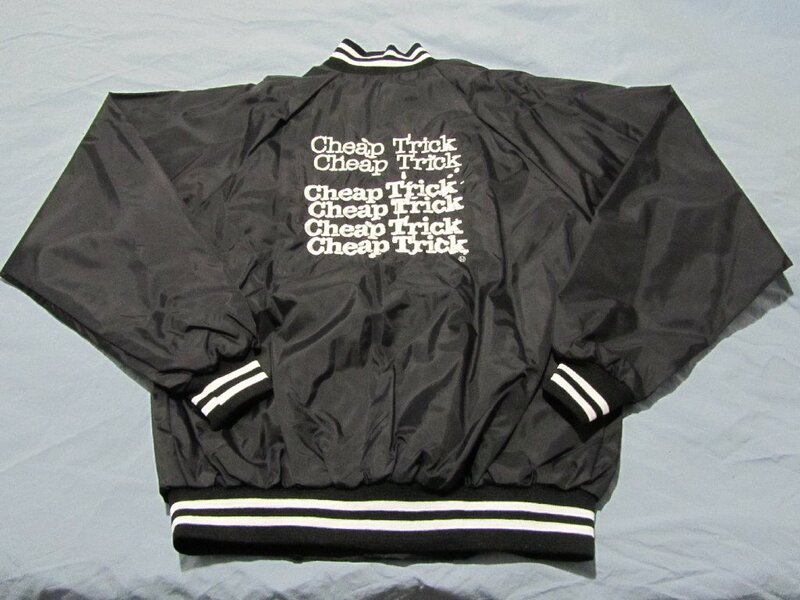 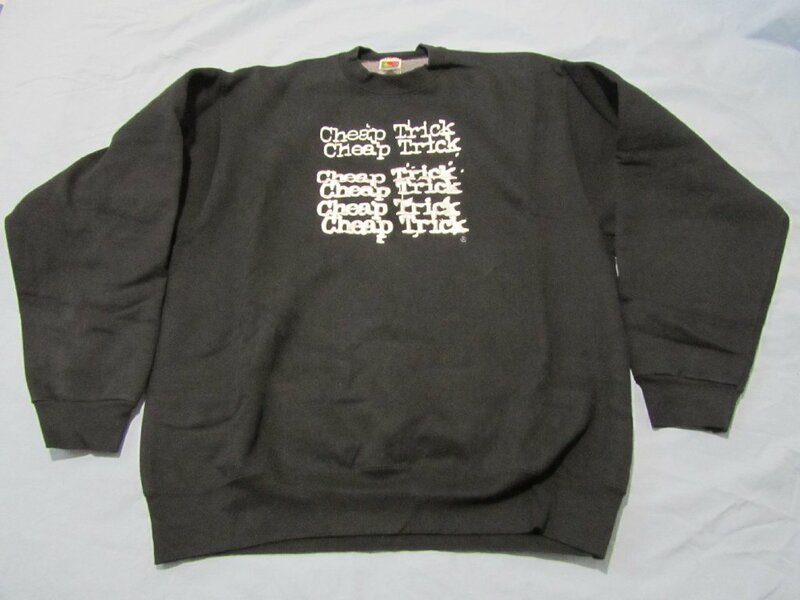 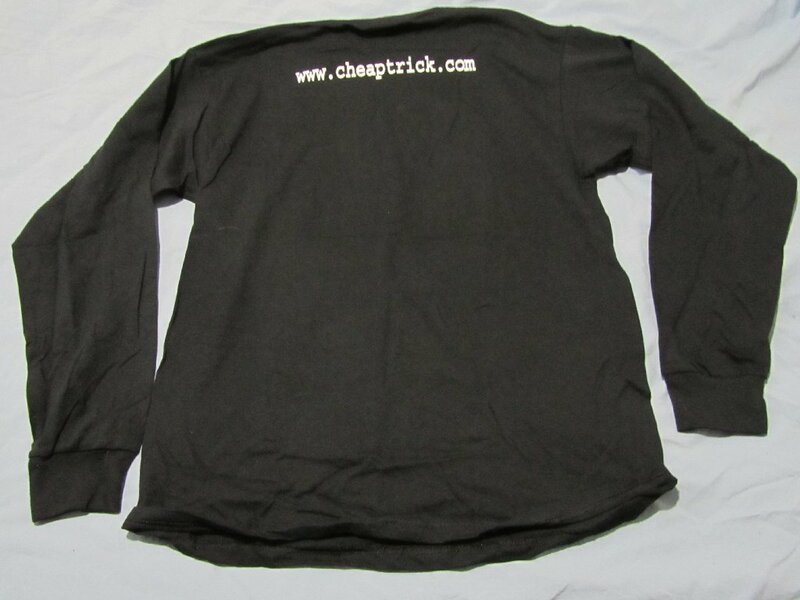 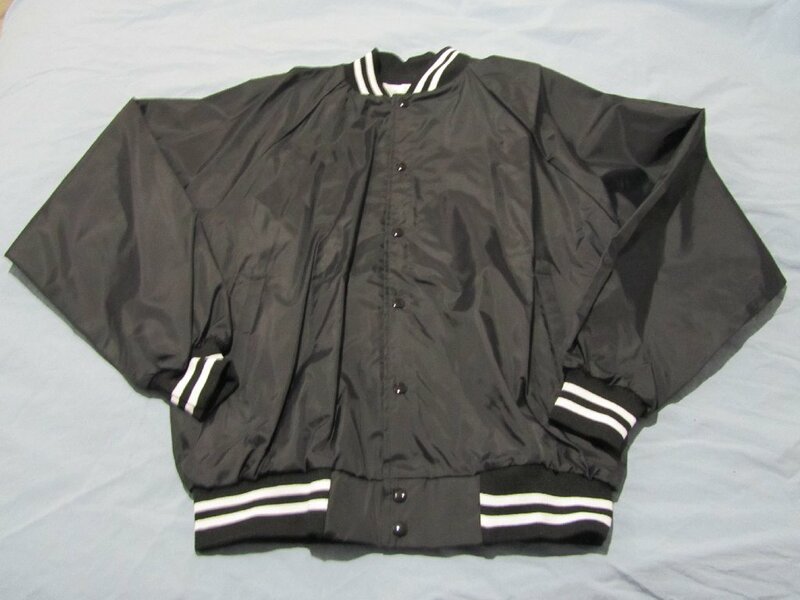 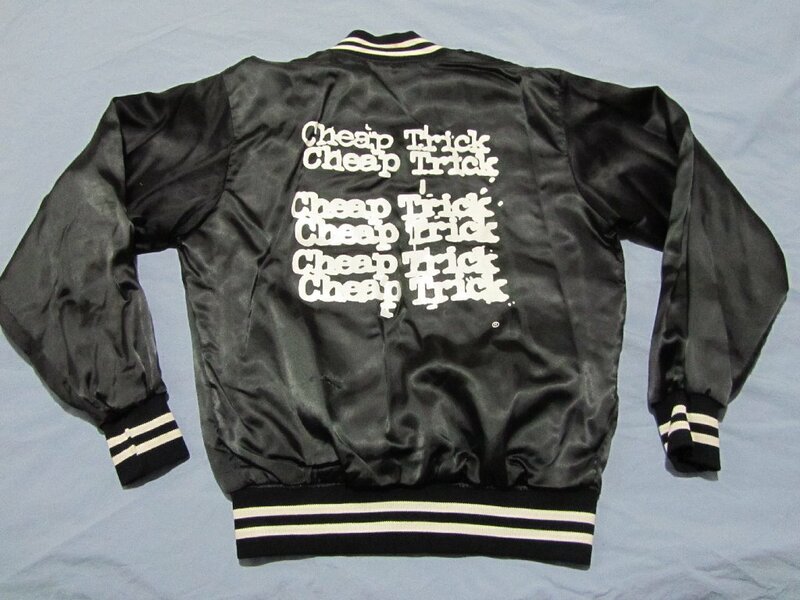 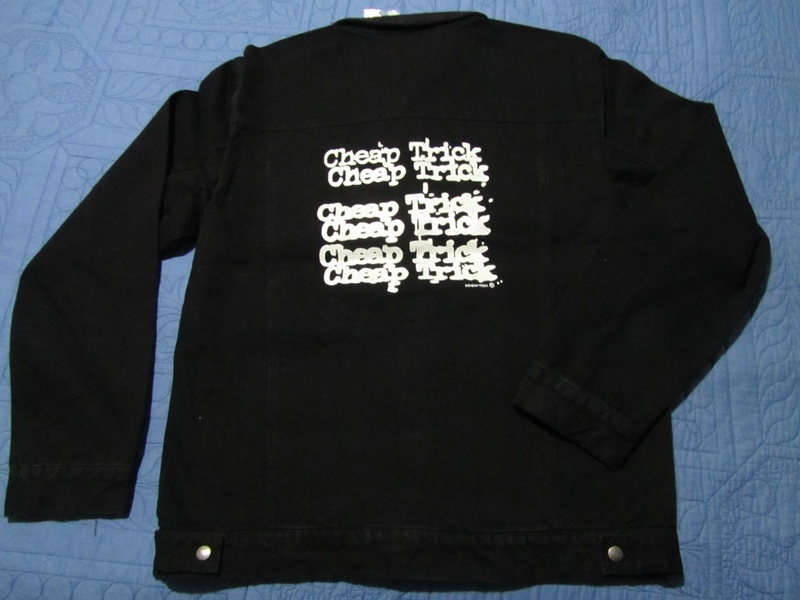 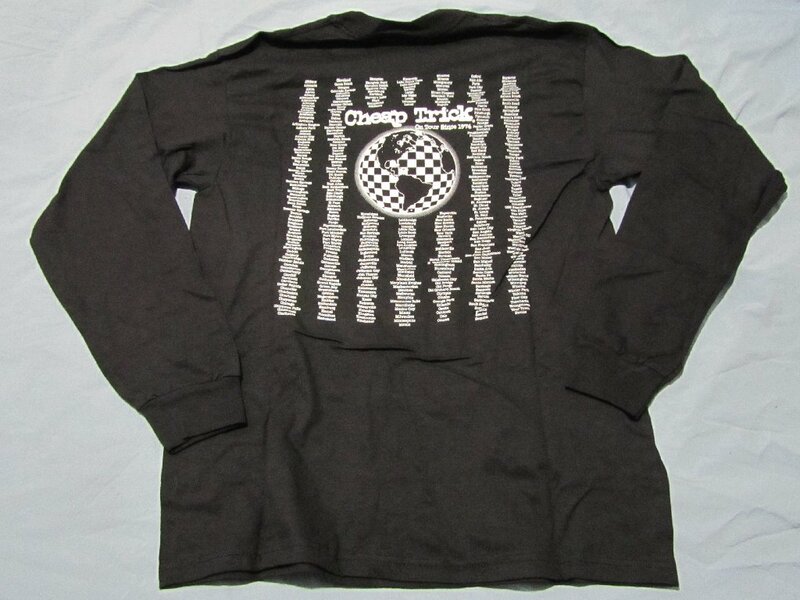 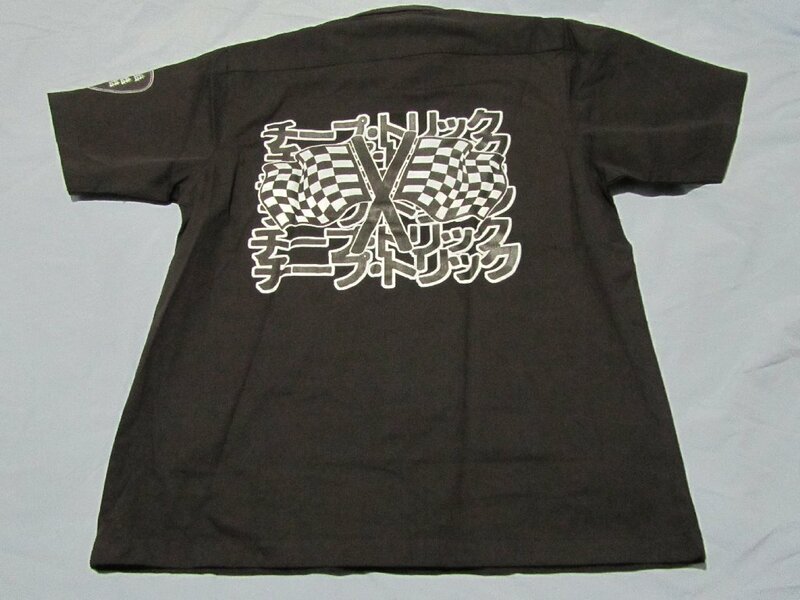 And in 1997 the classic black logo satin jacket was recreated, but this time with the 6x logo embroidered onto the back. 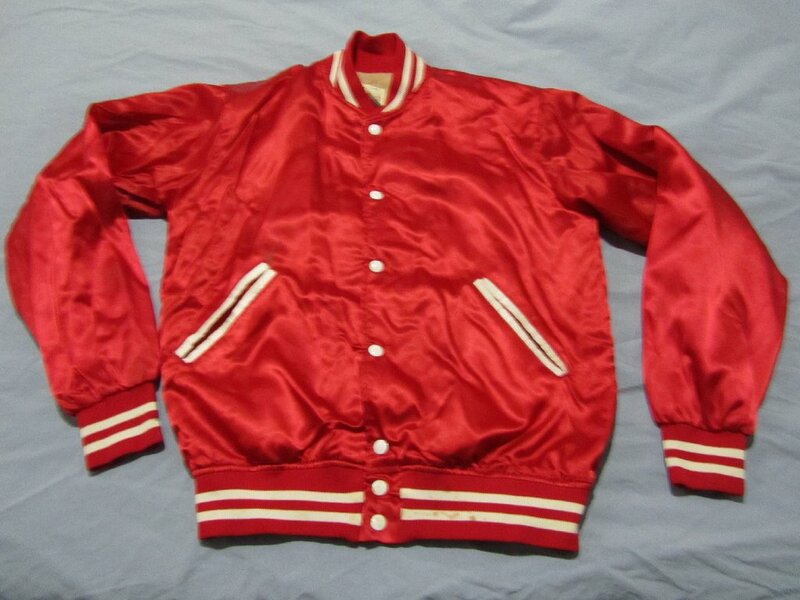 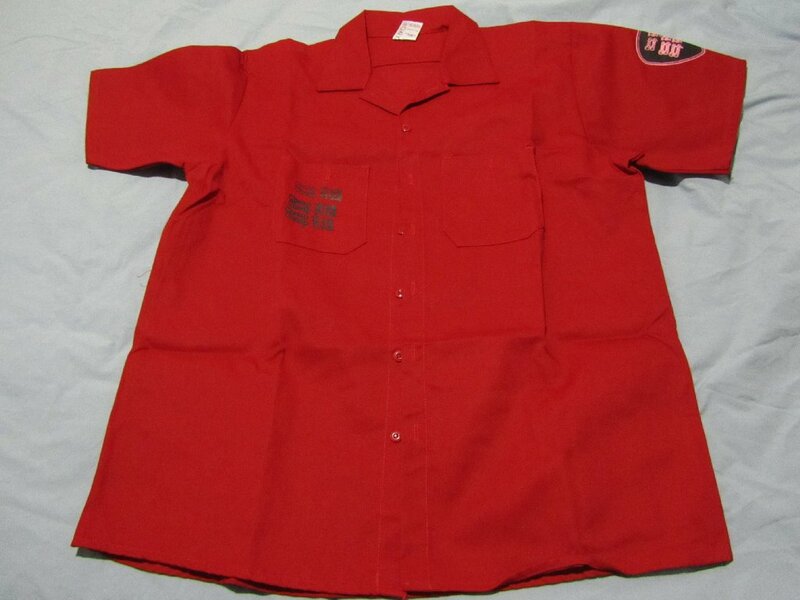 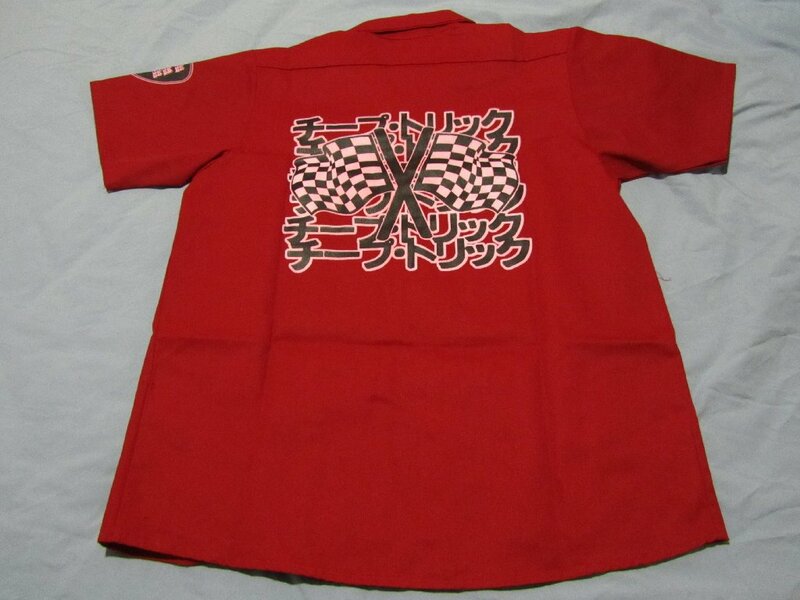 I've also found a red satin jacket from the 70's with the 6x logo printed on the back. 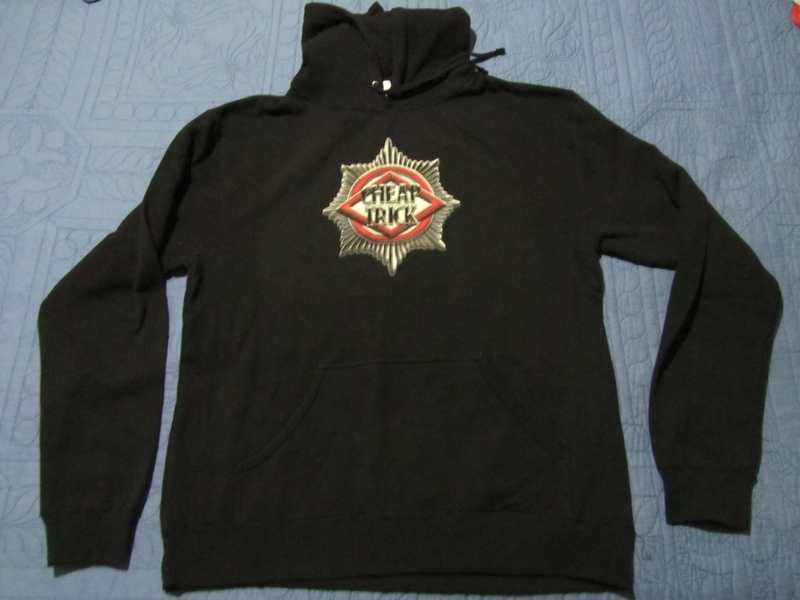 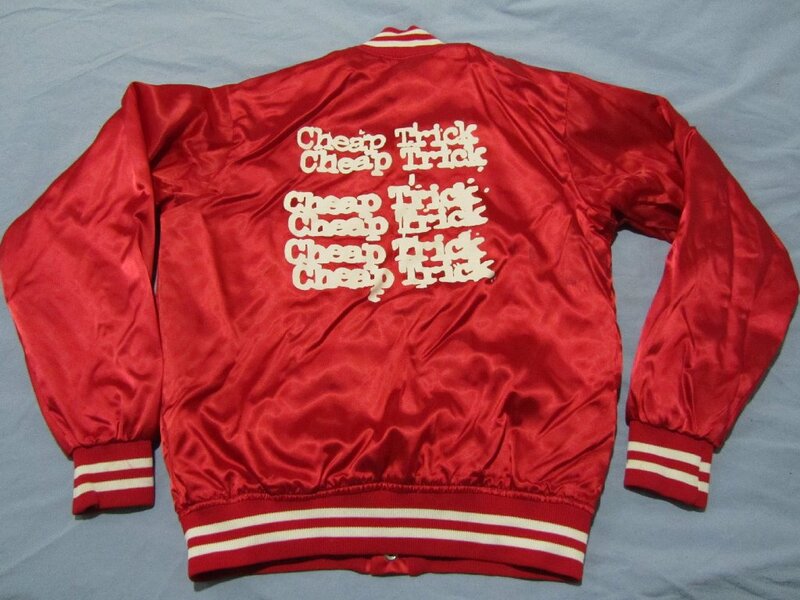 Additionally, I've been told of two further jackets though I no nothing of their history or general availability - a light blue satin with the words "Dream Police" embroidered in red on the left breast and 2x CT logo in red on the rear; and a purple jacket with 6x CT logo on the rear, and other wording suggesting this was an Epic Records Canada (promo?) 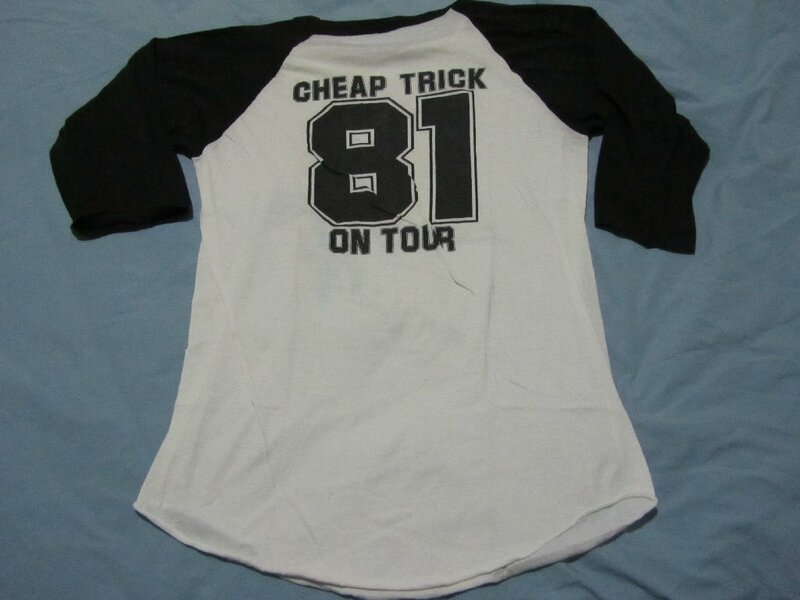 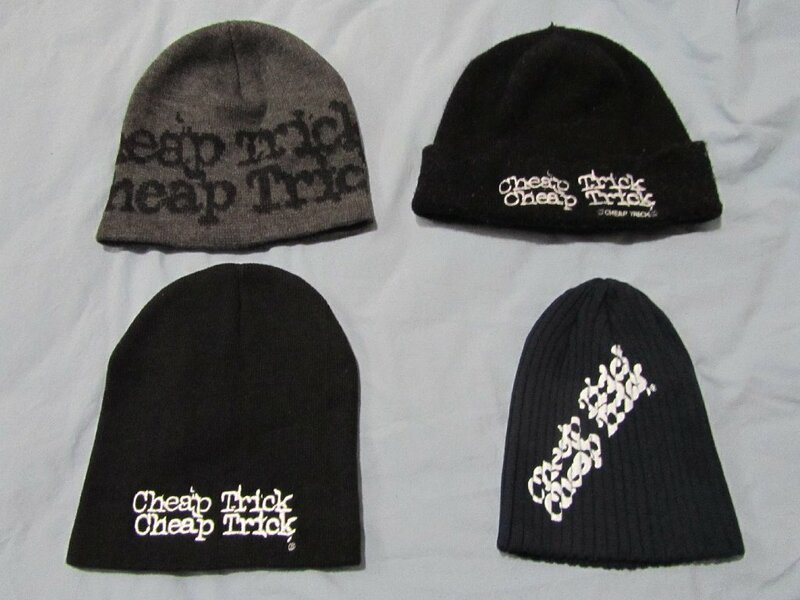 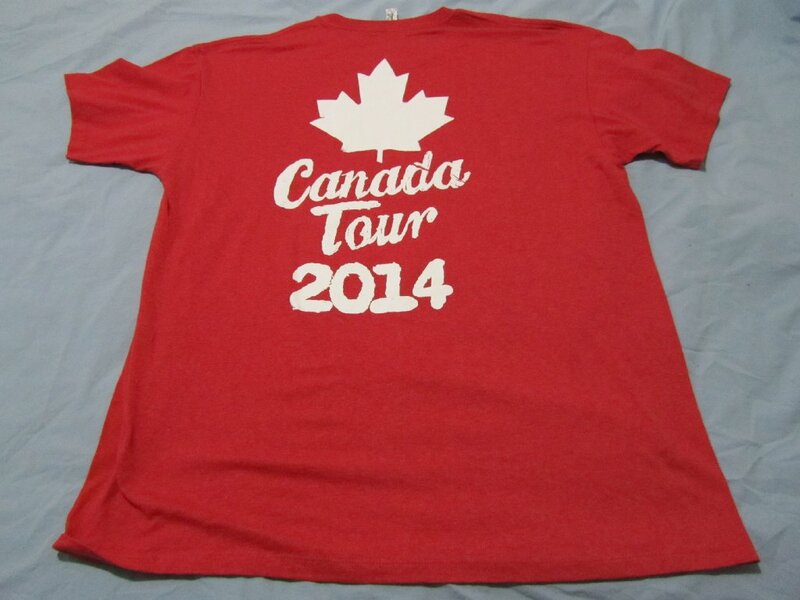 for a Canadian tour. 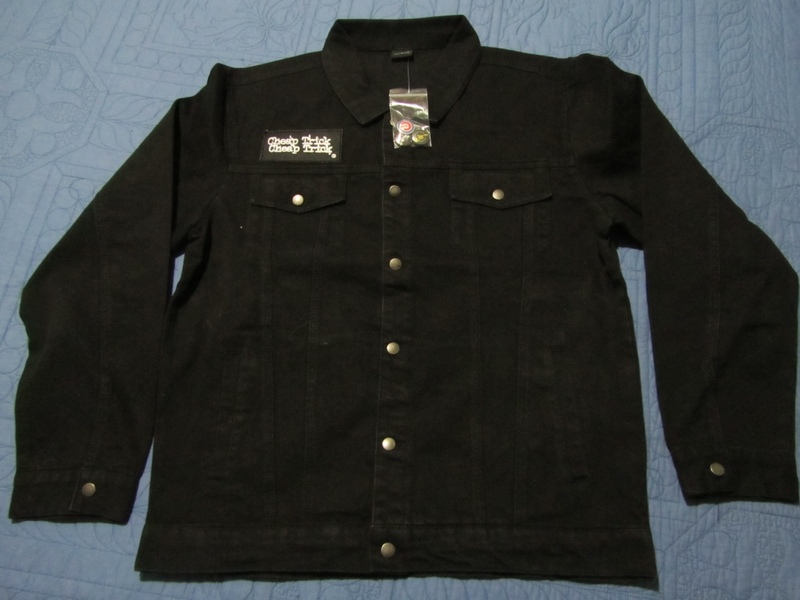 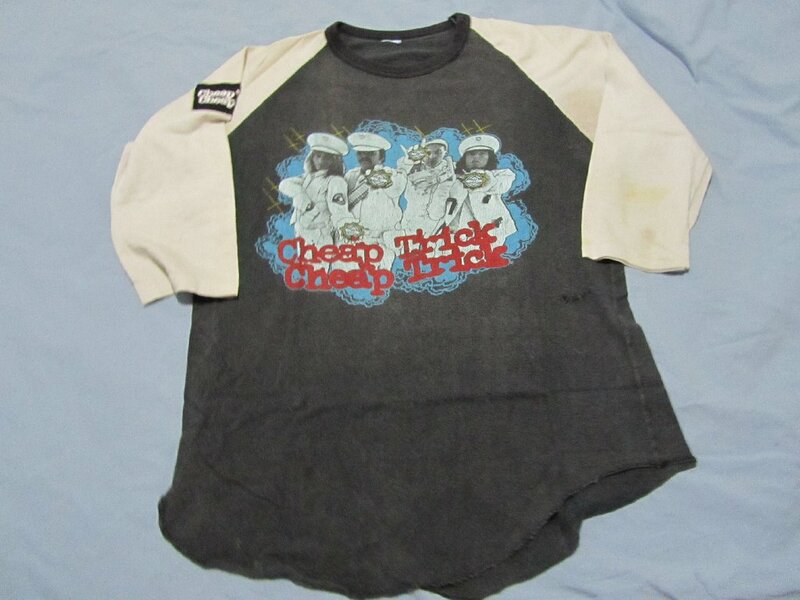 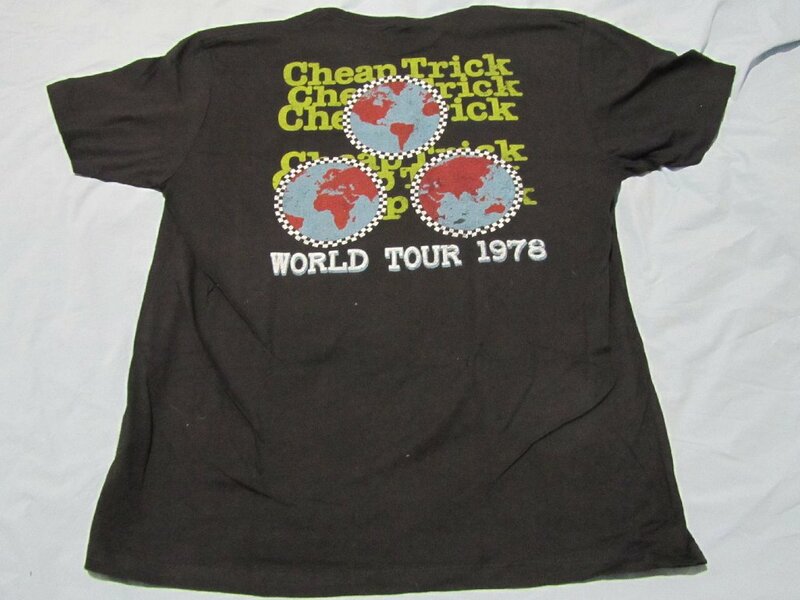 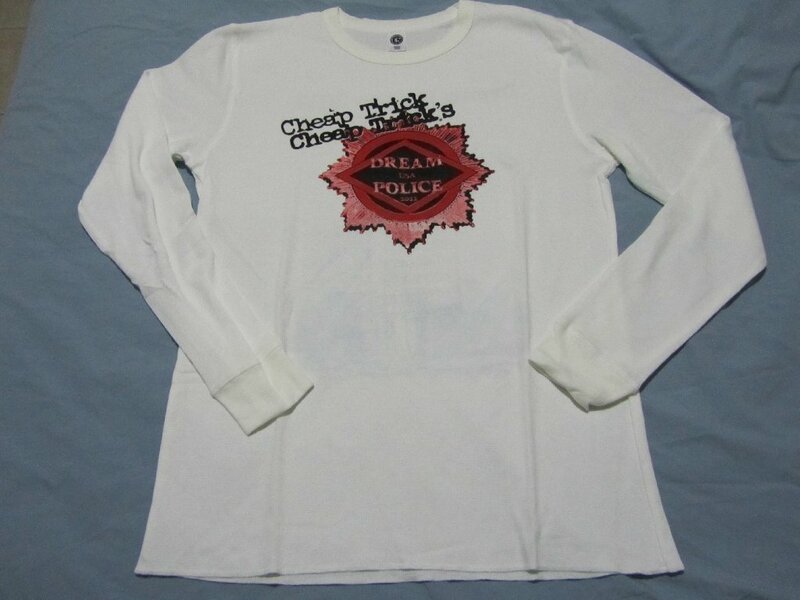 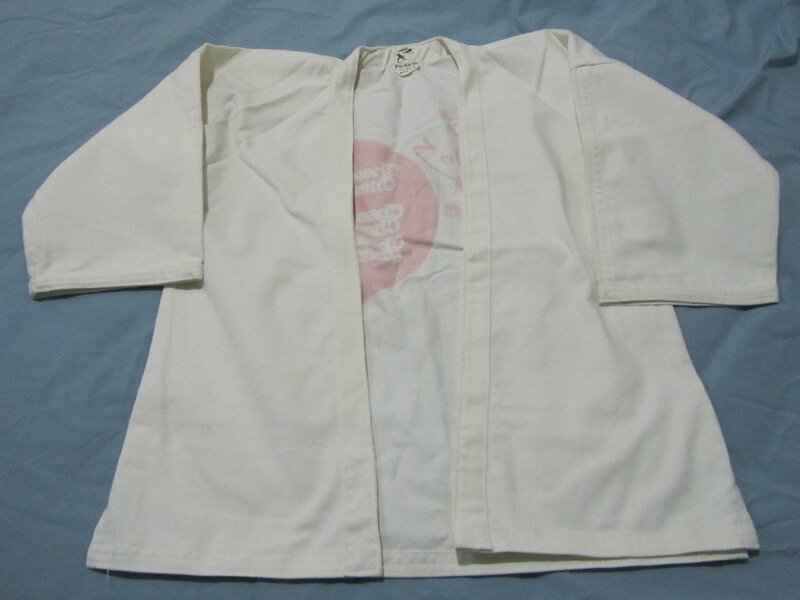 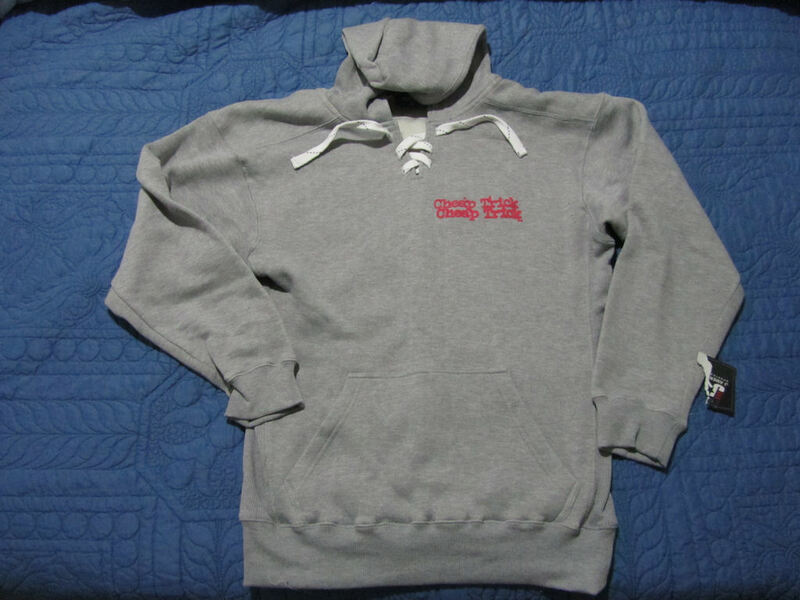 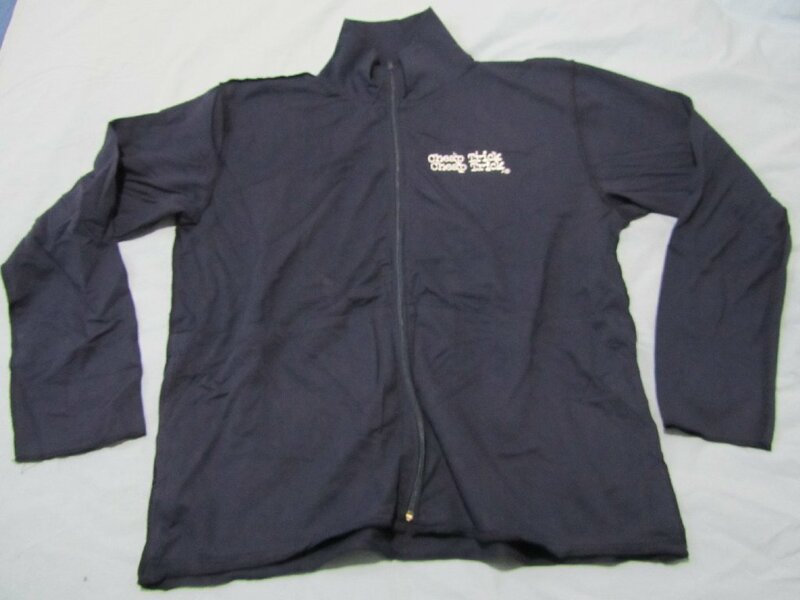 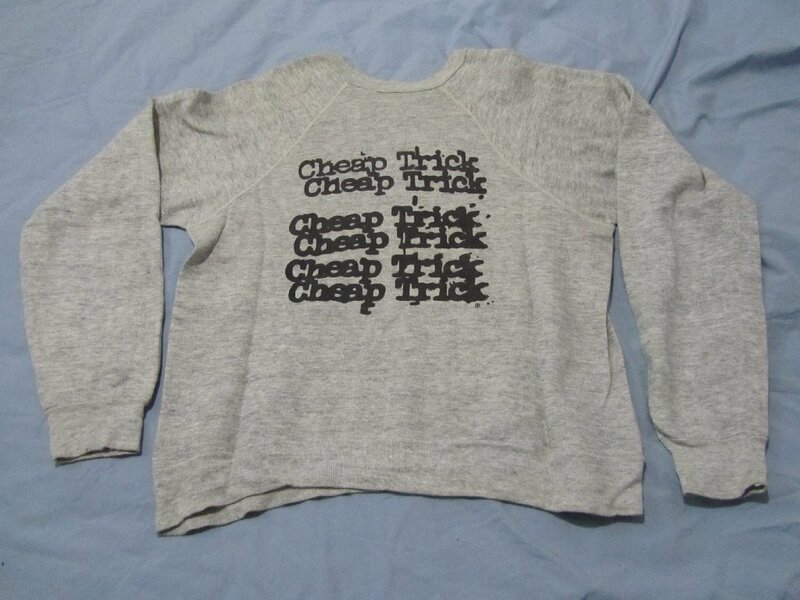 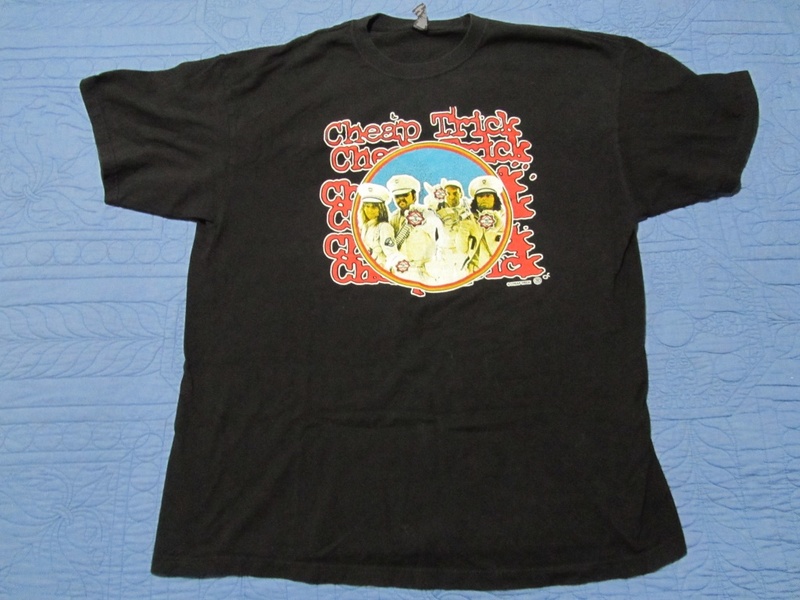 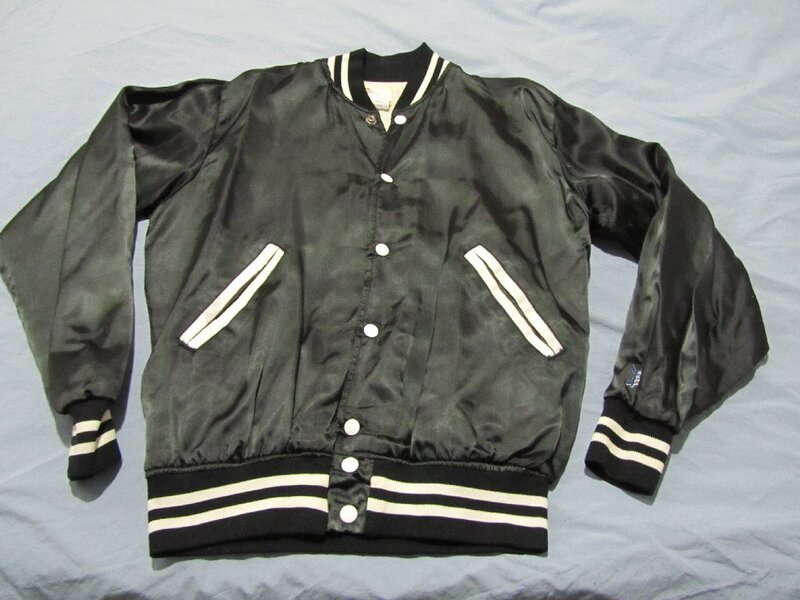 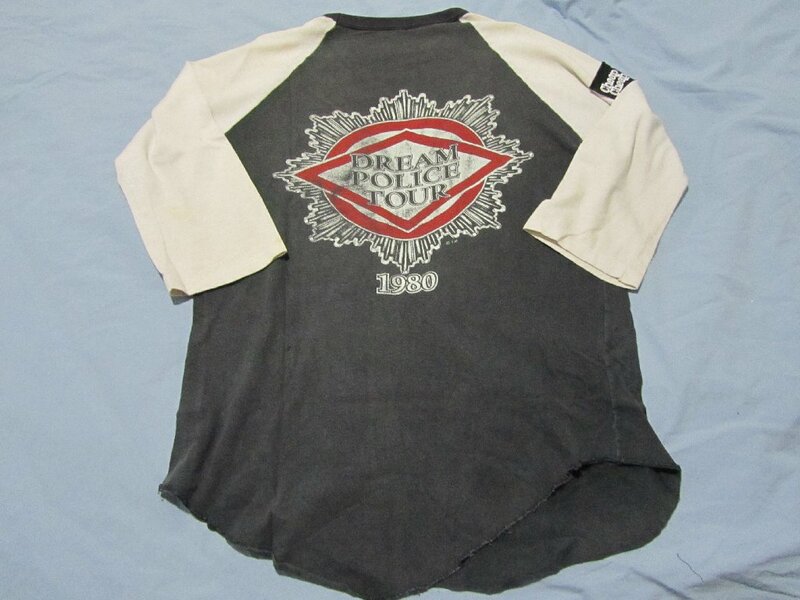 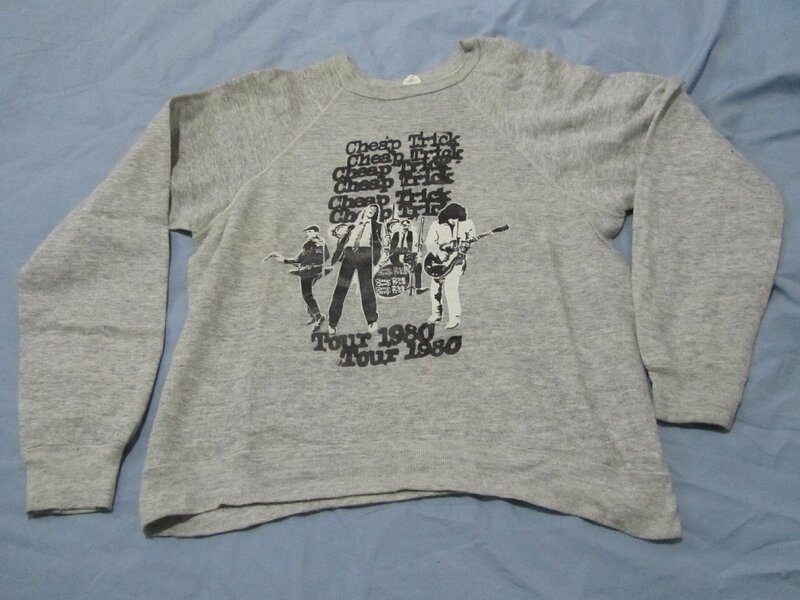 And finally, since I've mentioned what appears to be an official tour jacket in Canada, there were the official silver satin tour jackets issued to the crew for the Japan tour in, I believe, 1979.